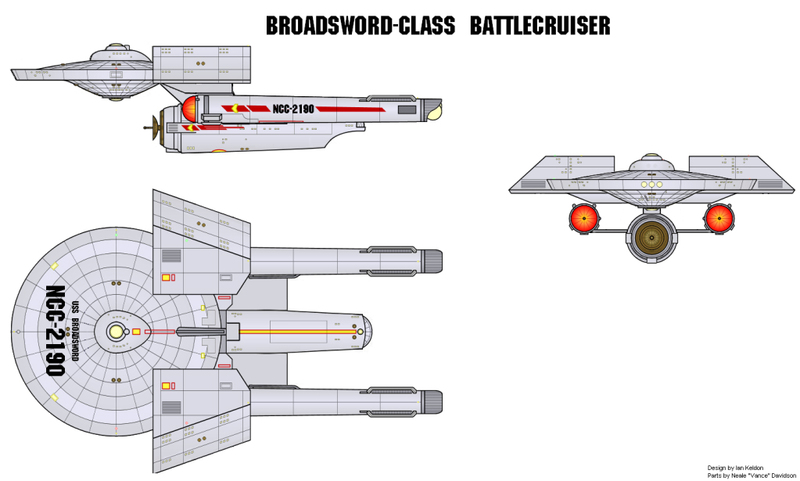 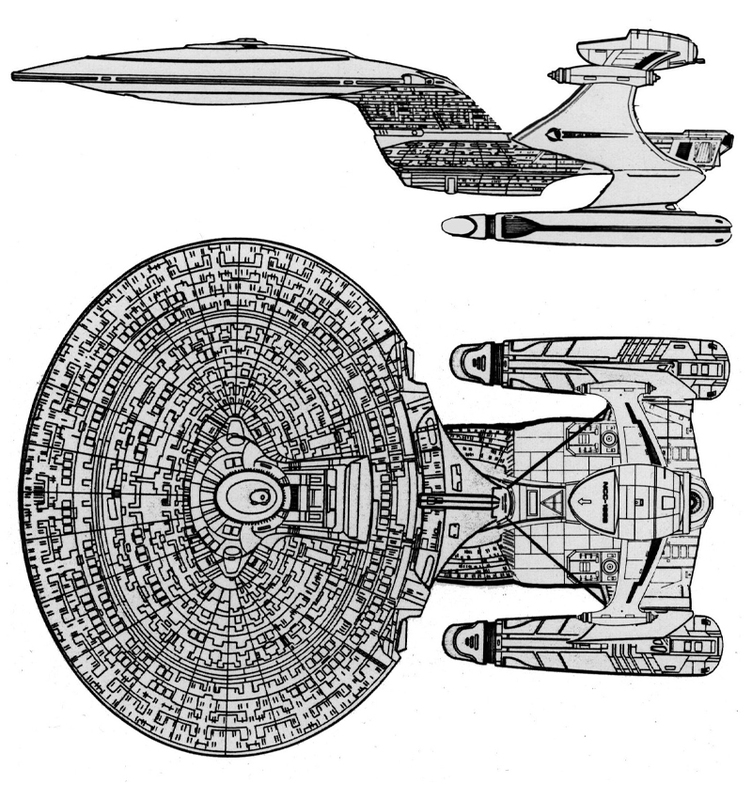 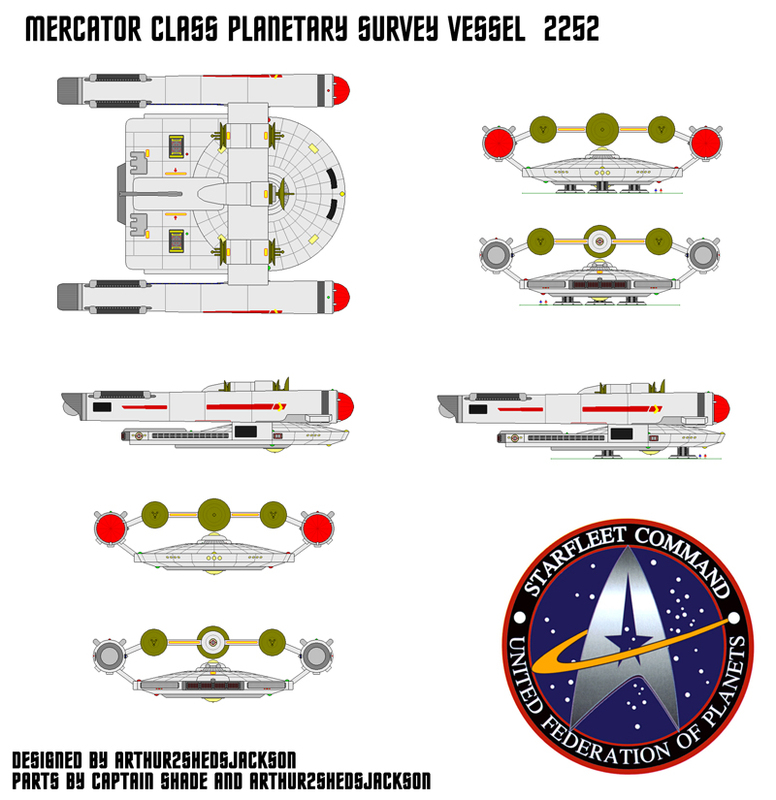 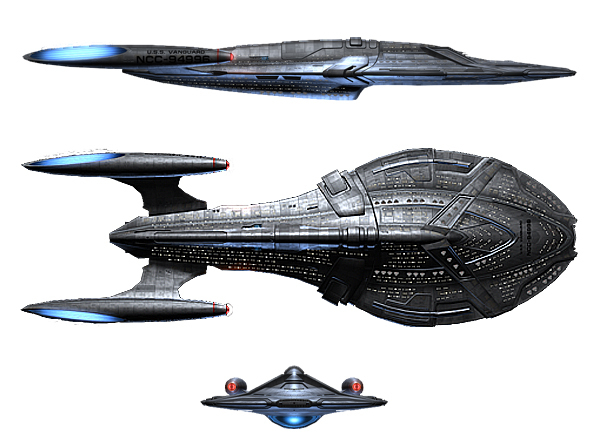 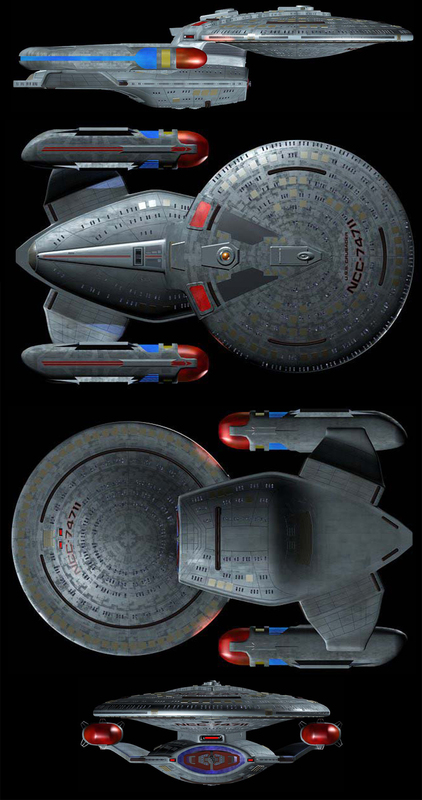 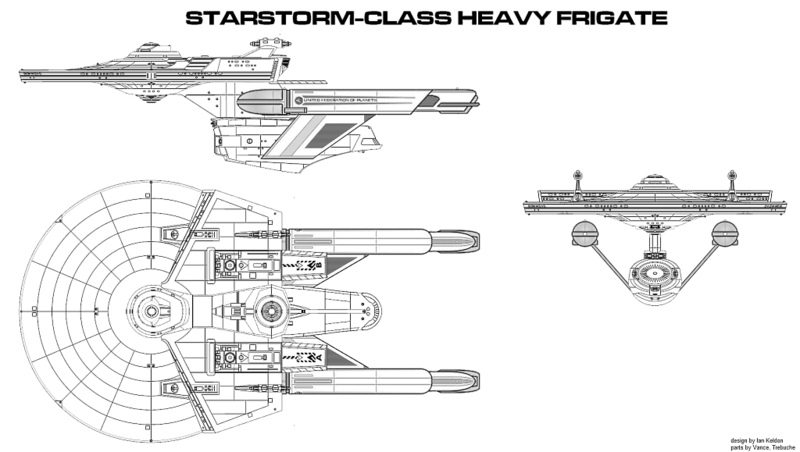 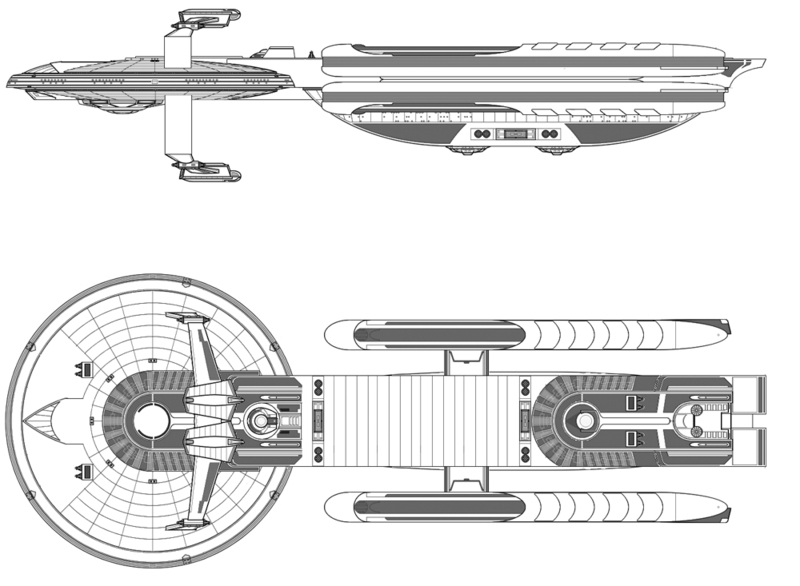 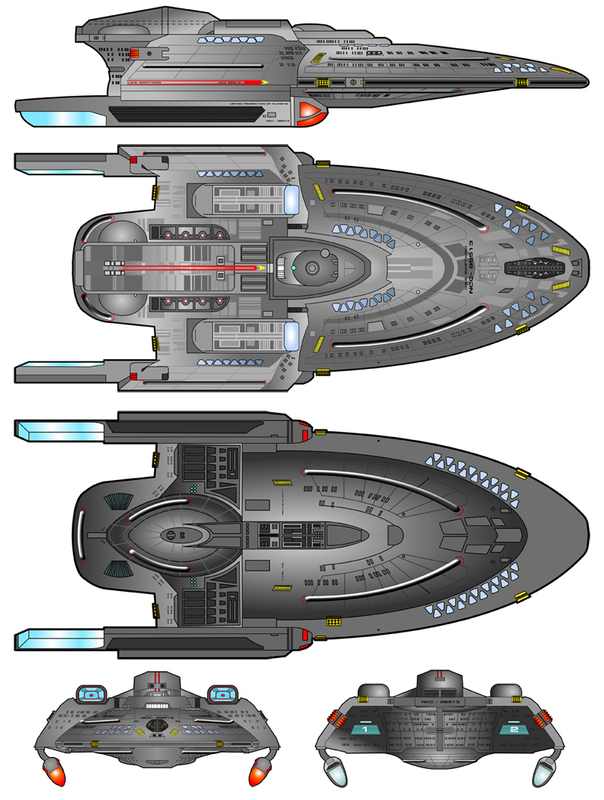 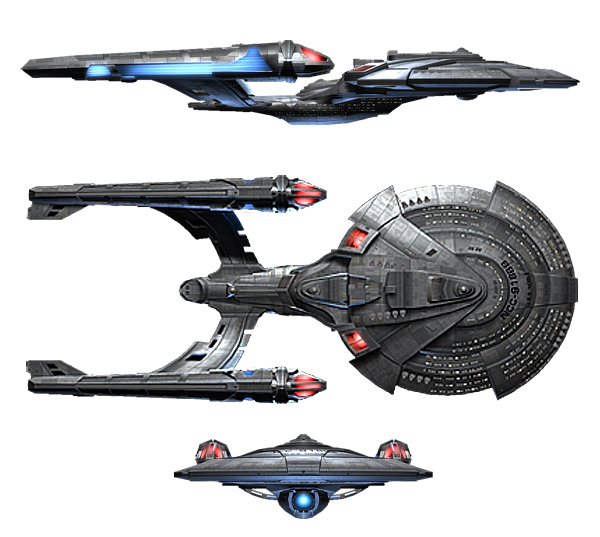 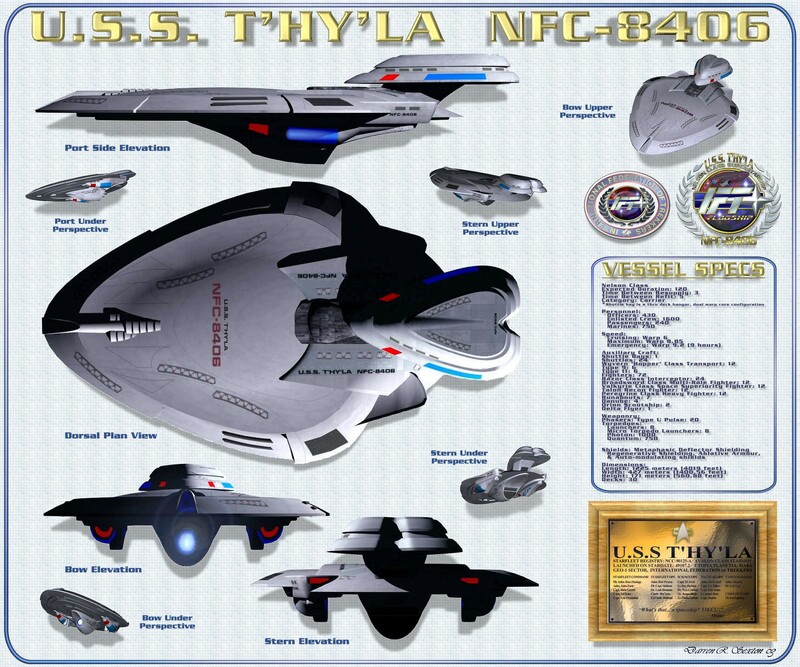 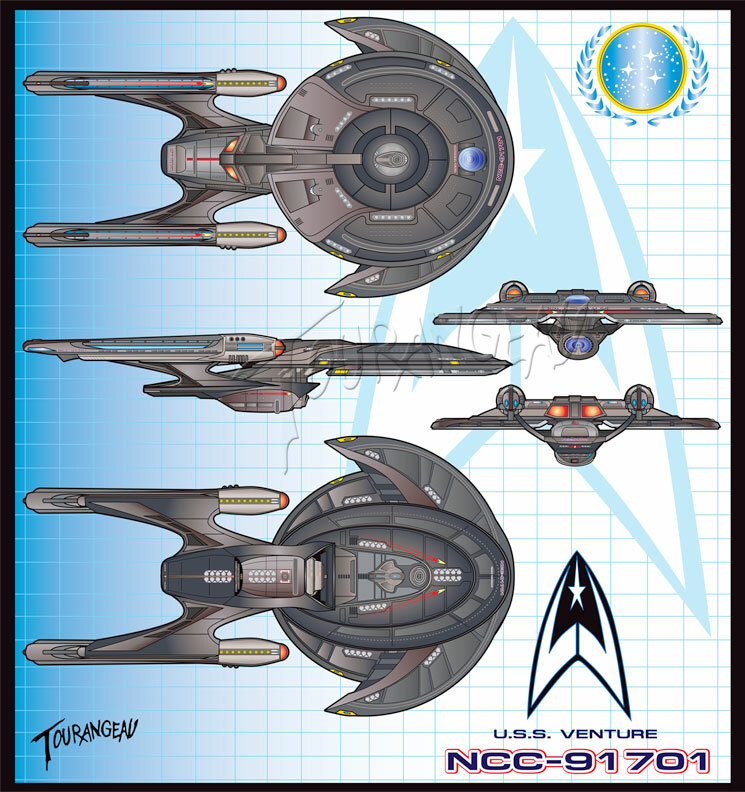 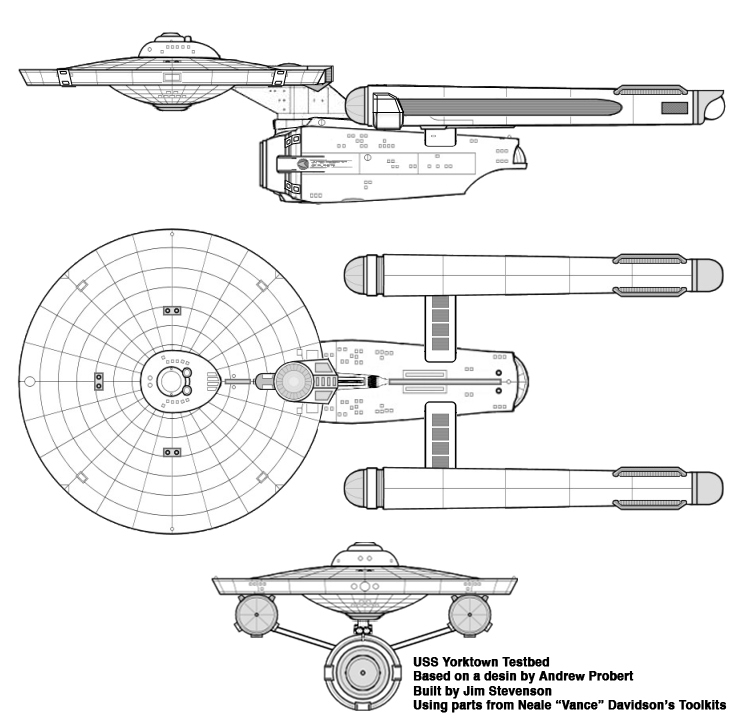 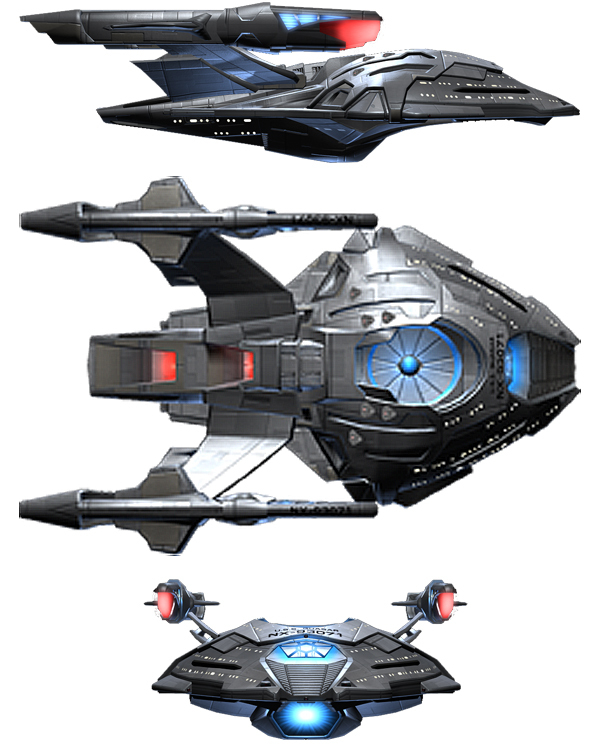 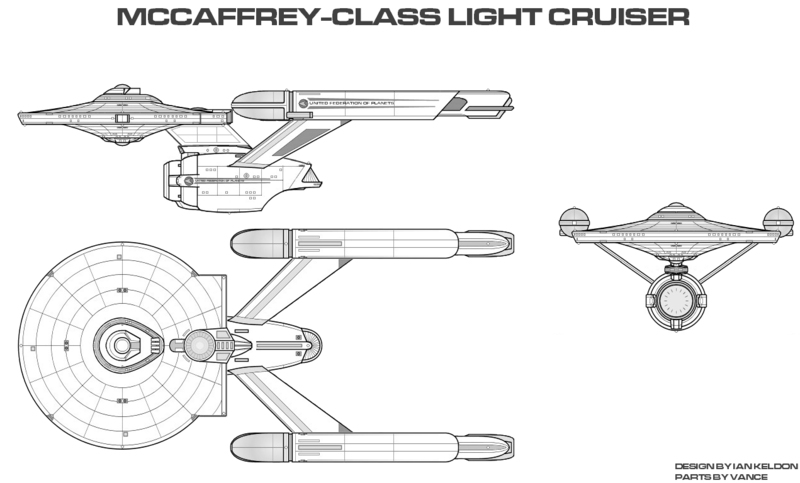 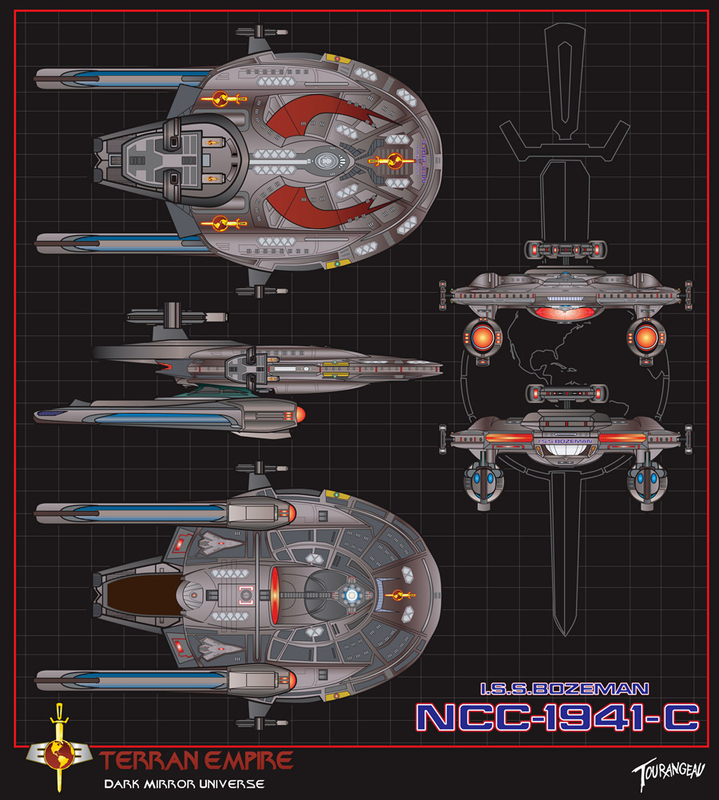 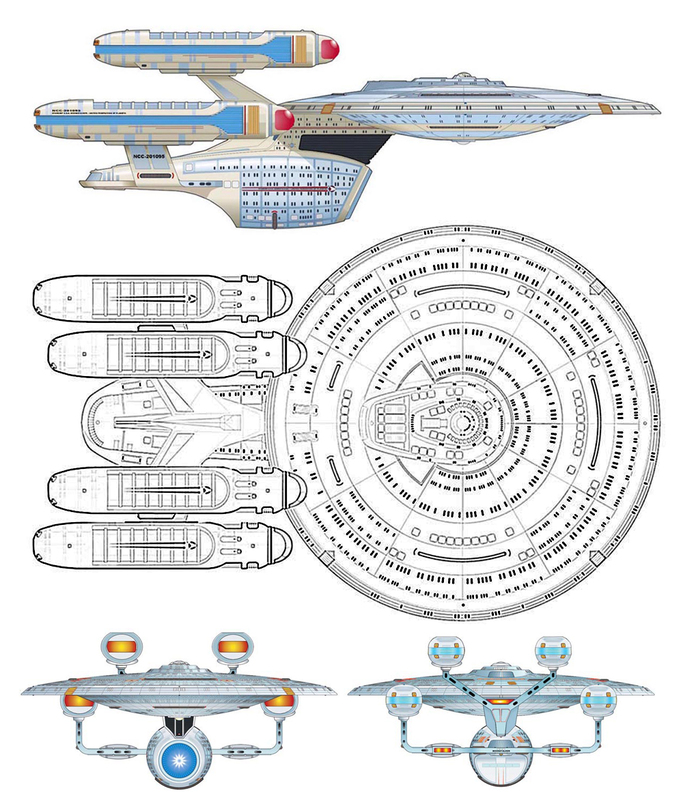 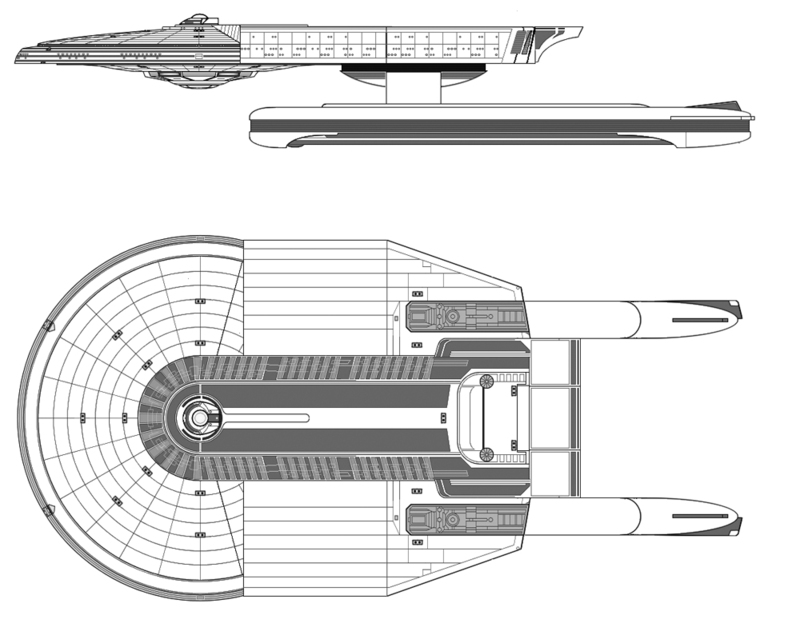 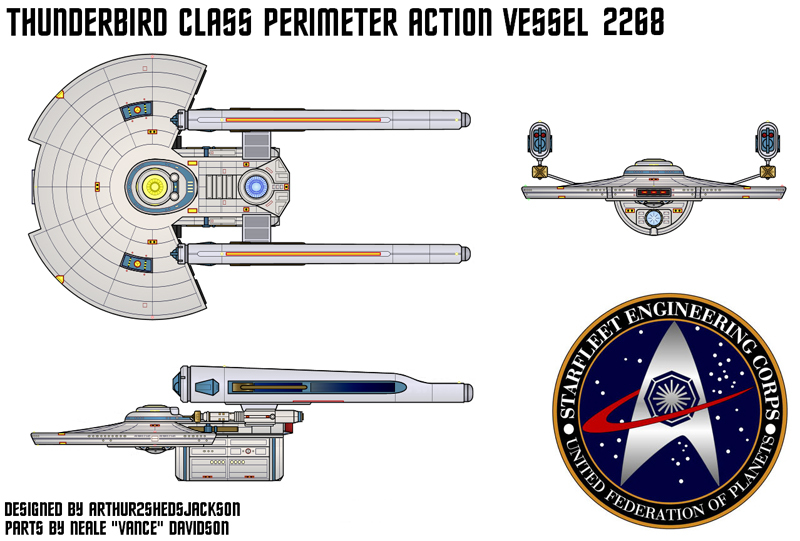 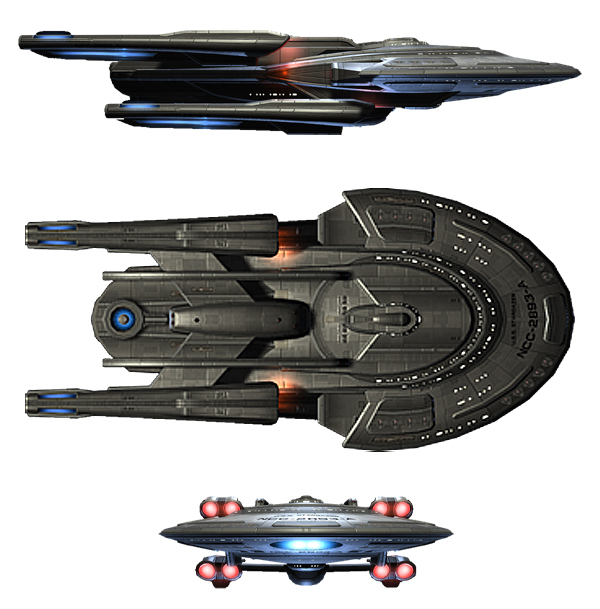 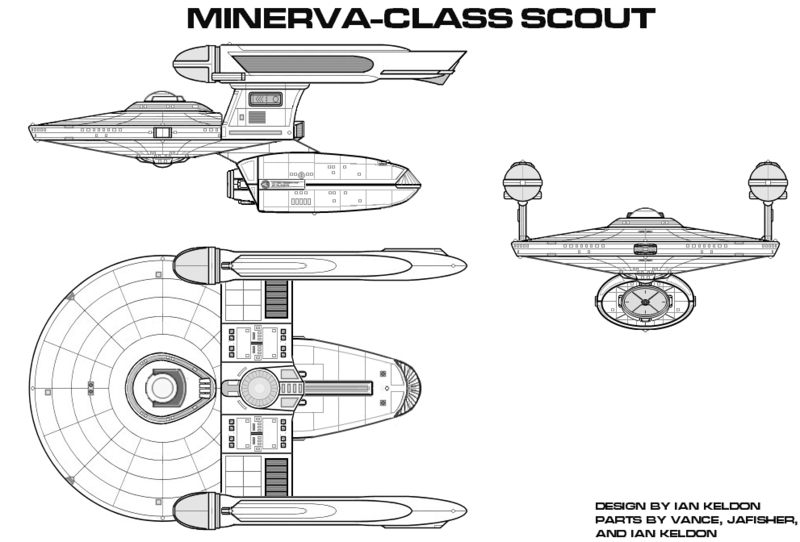 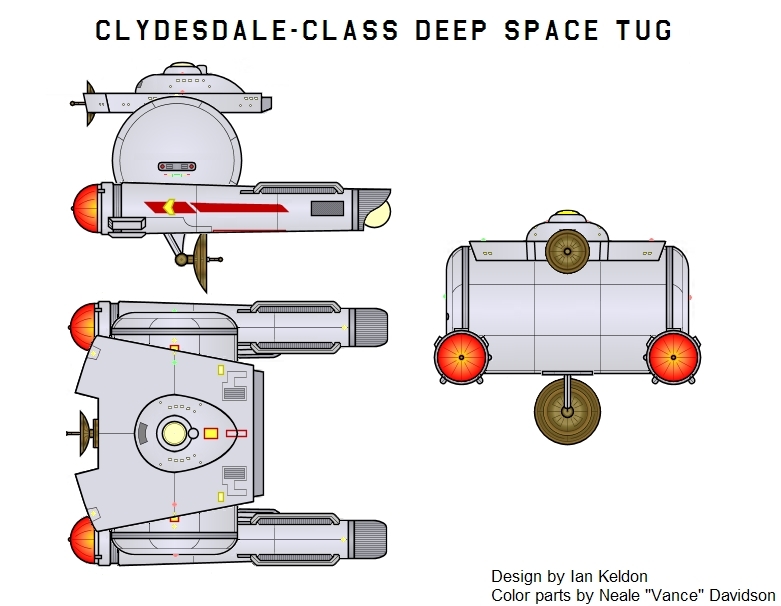 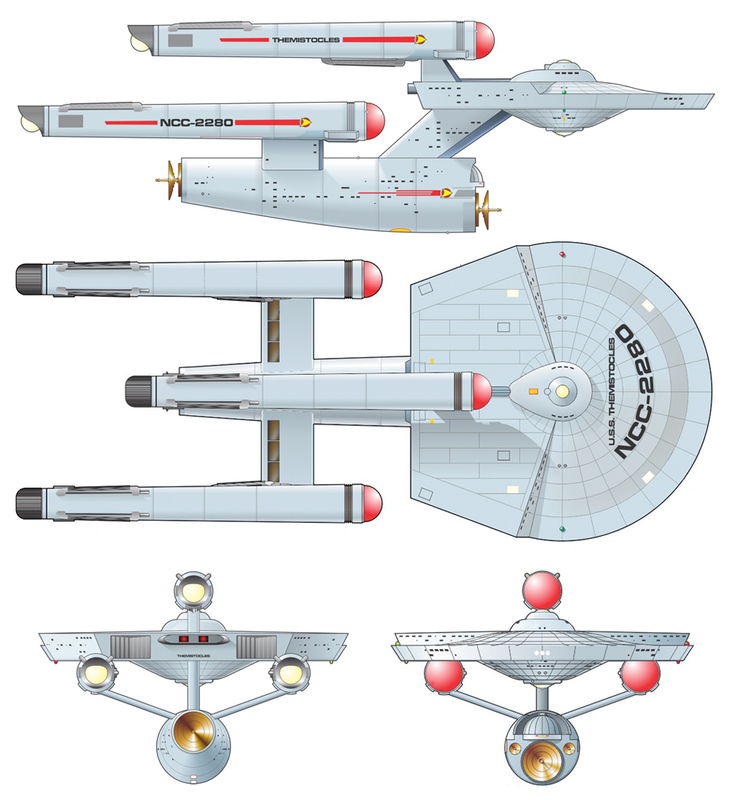 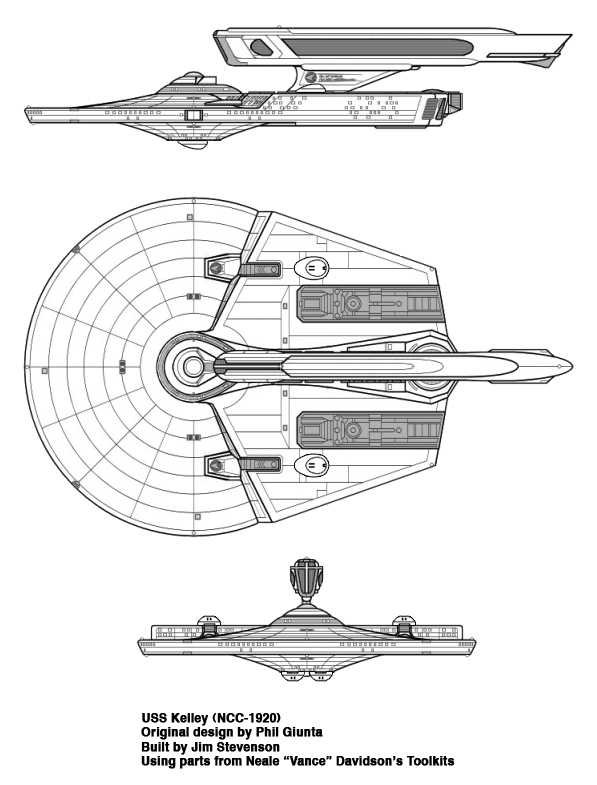 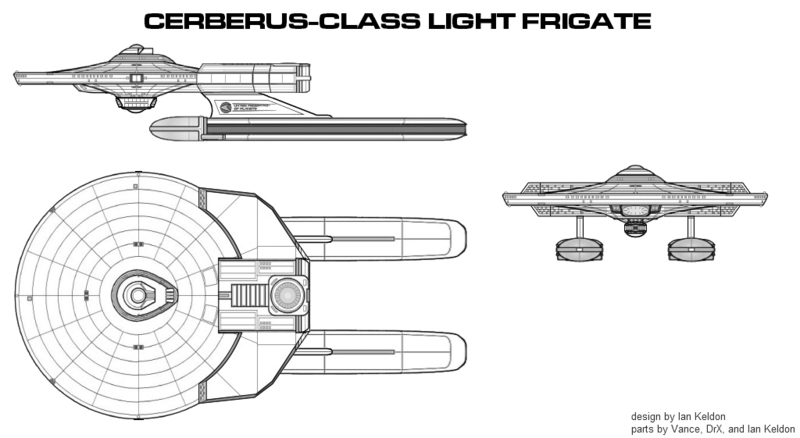 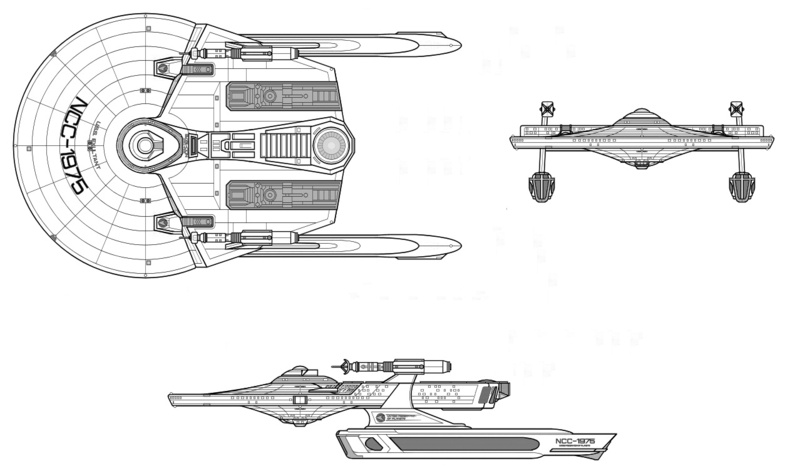 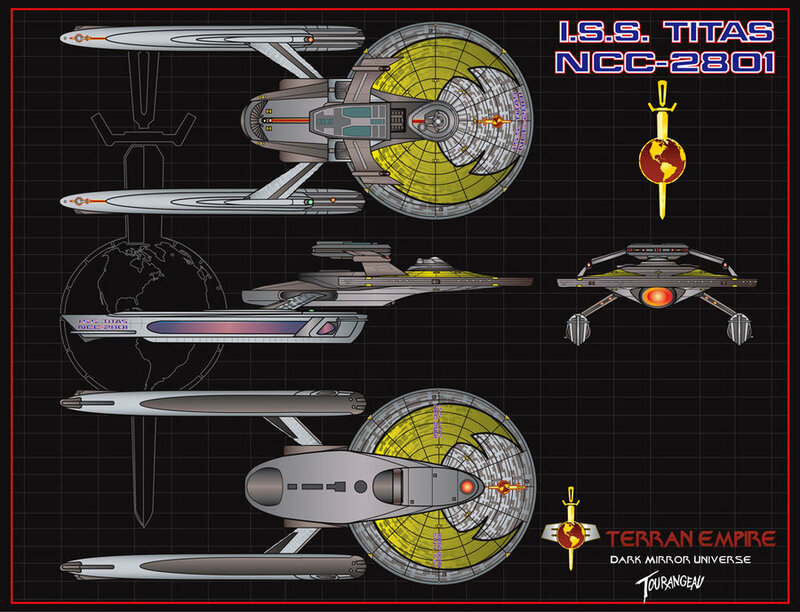 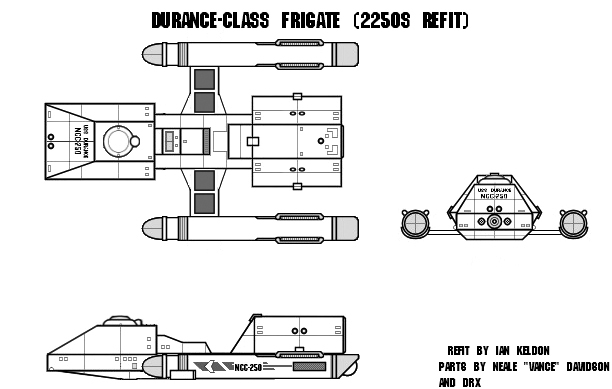 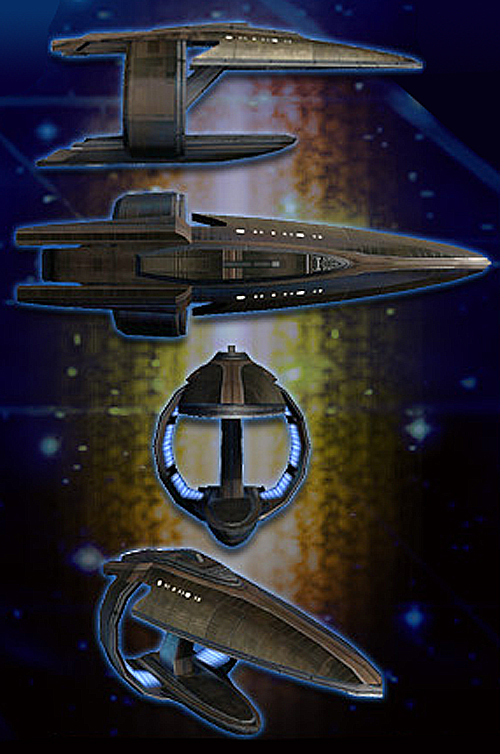 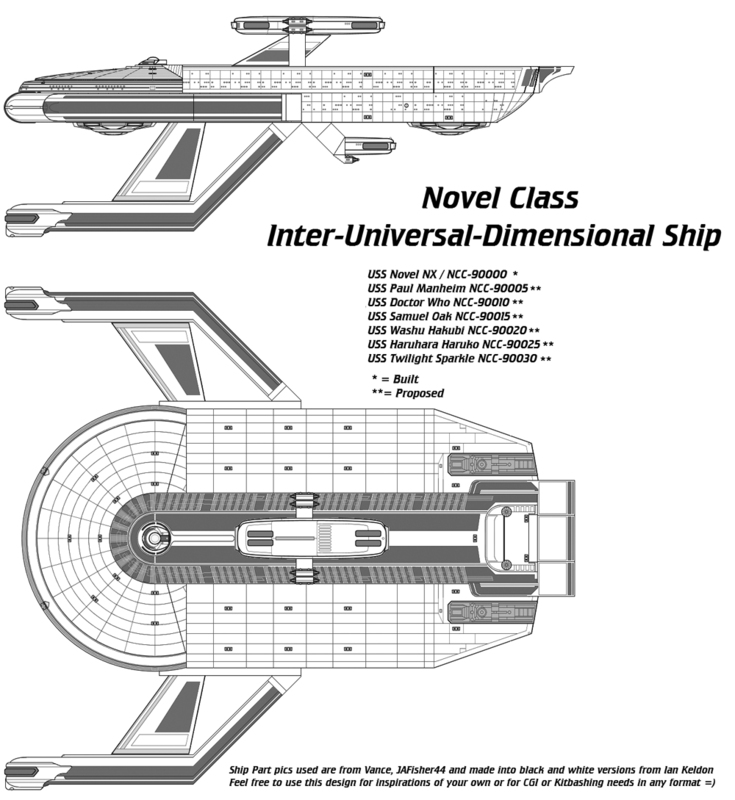 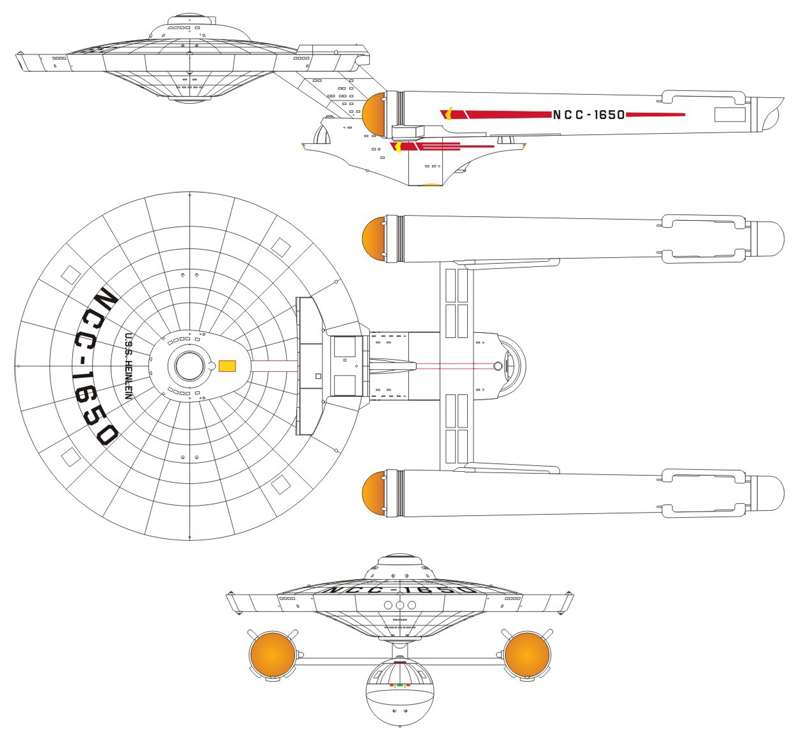 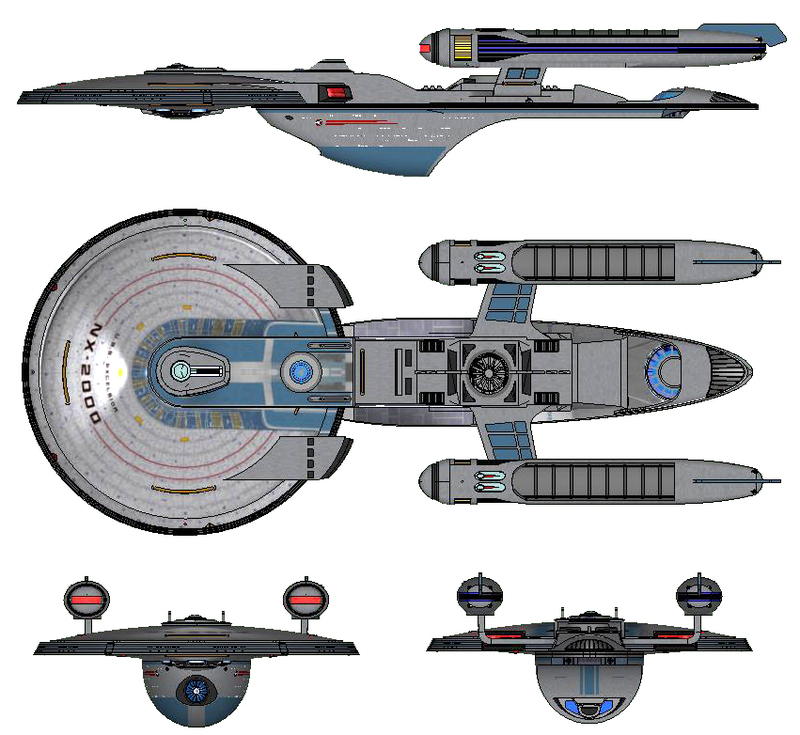 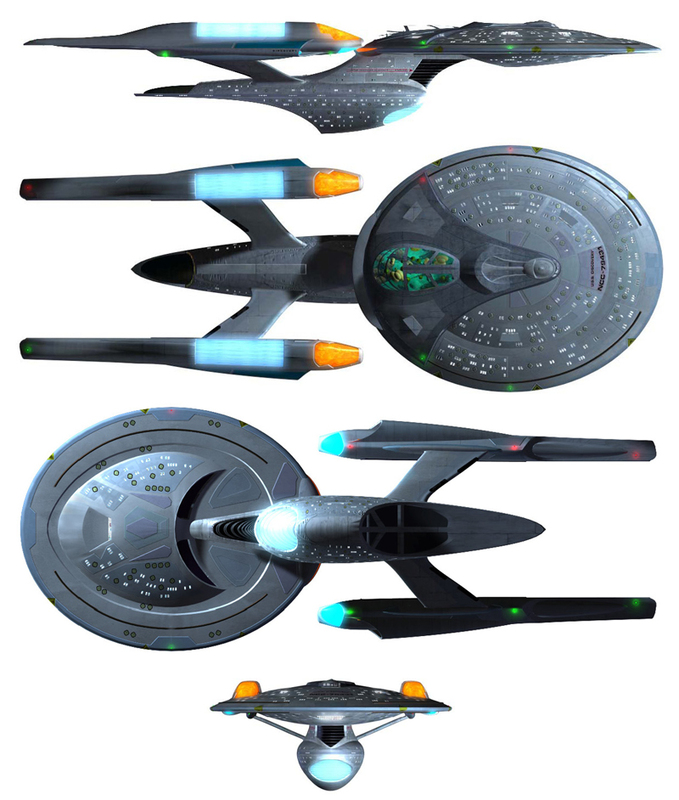 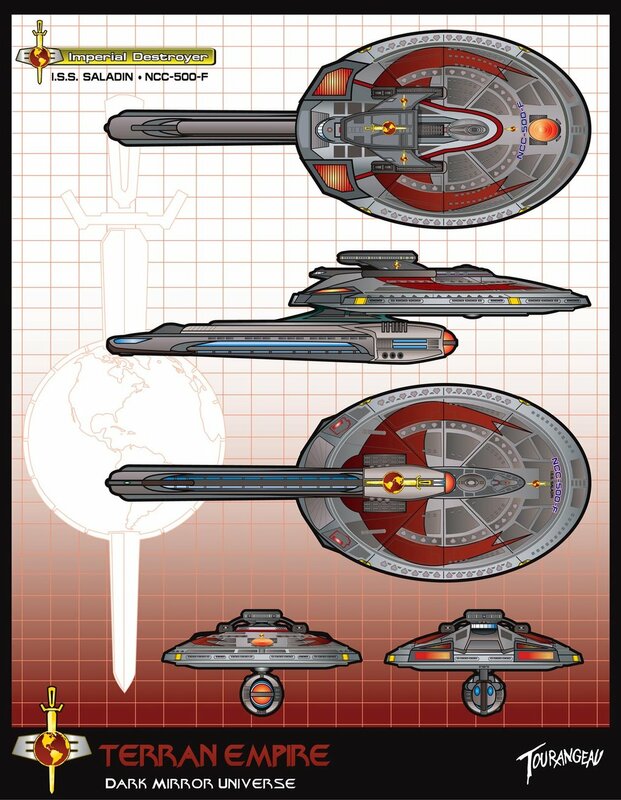 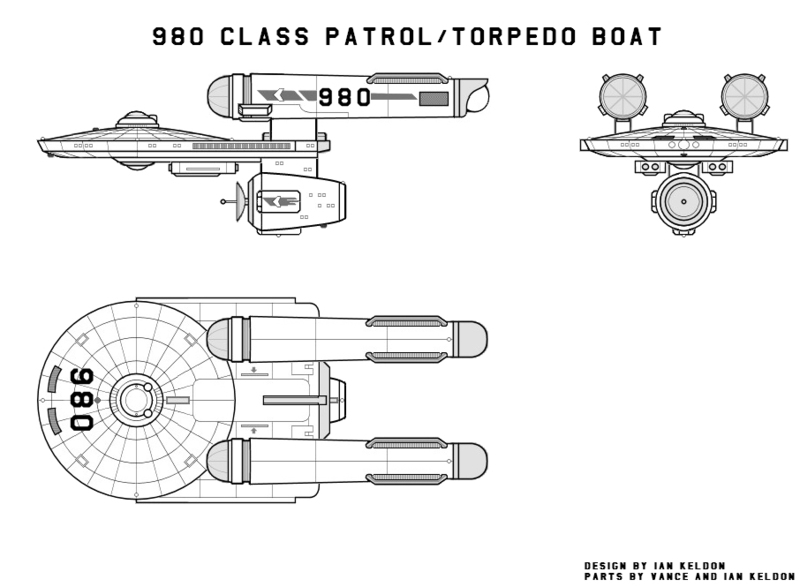 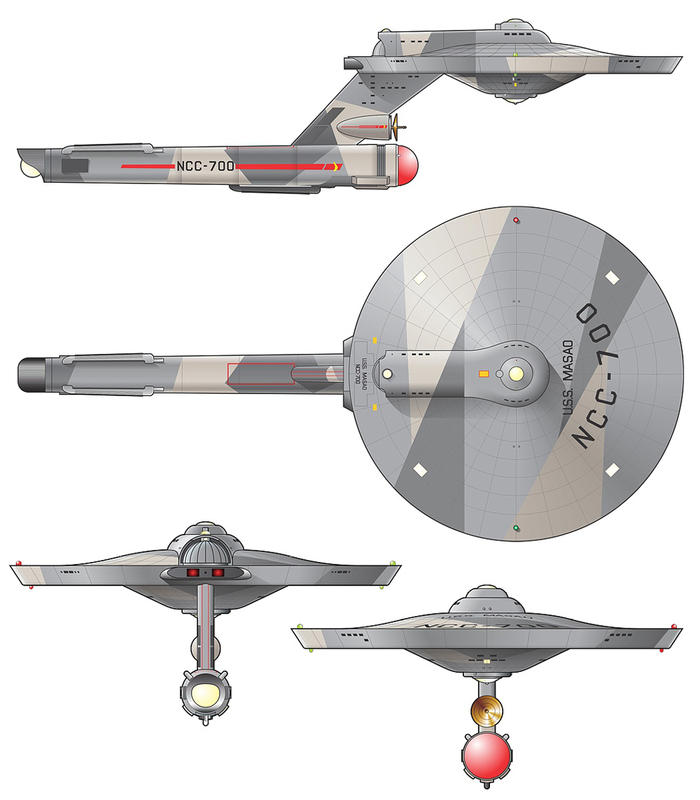 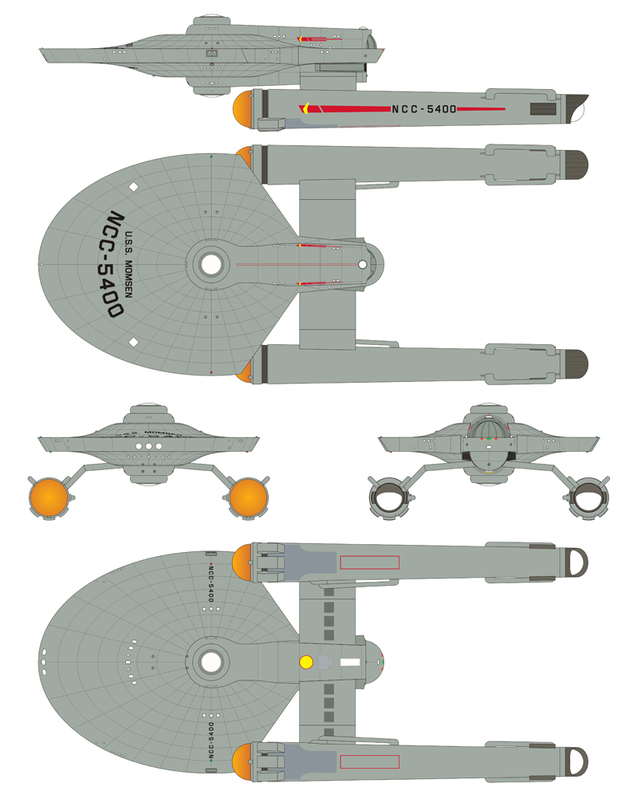 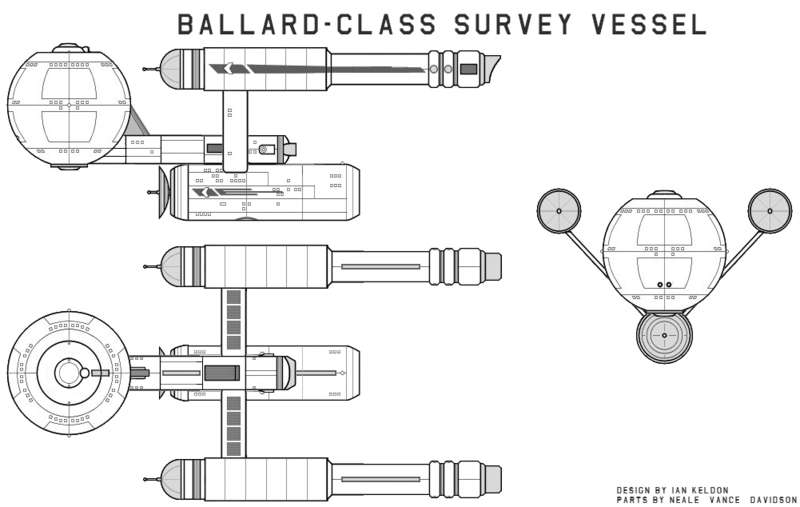 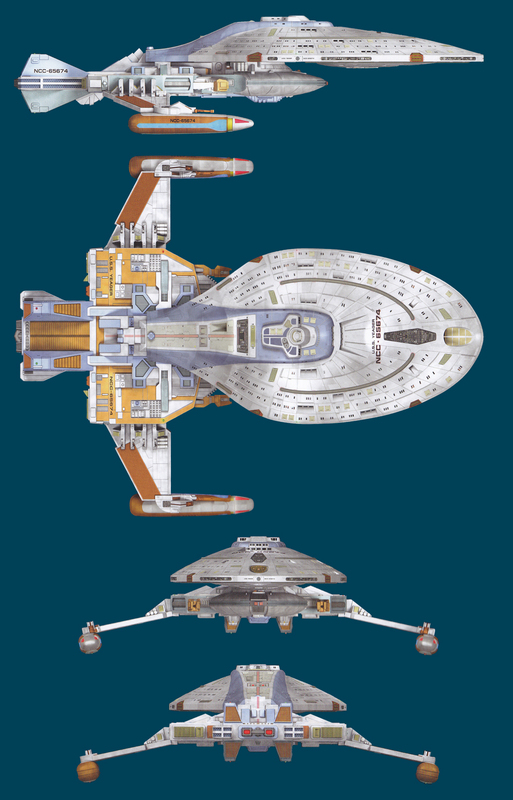 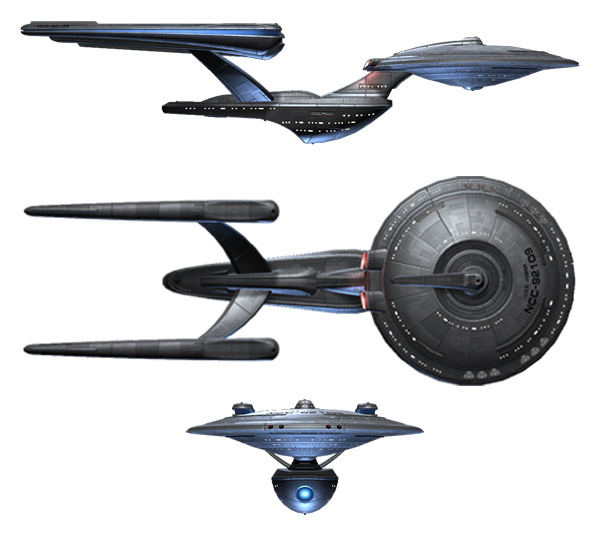 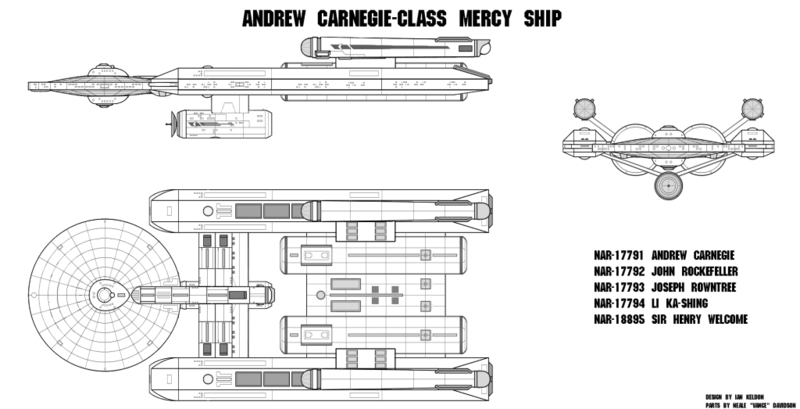 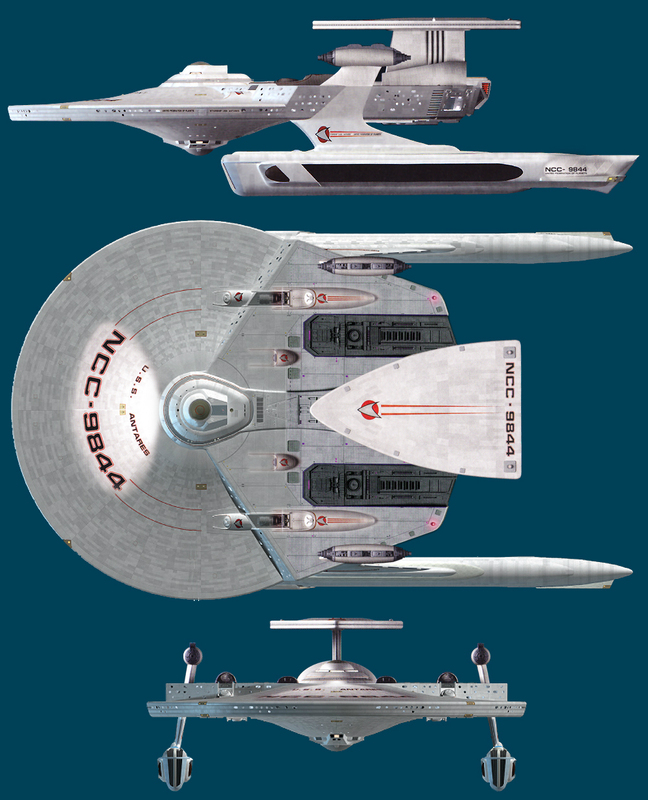 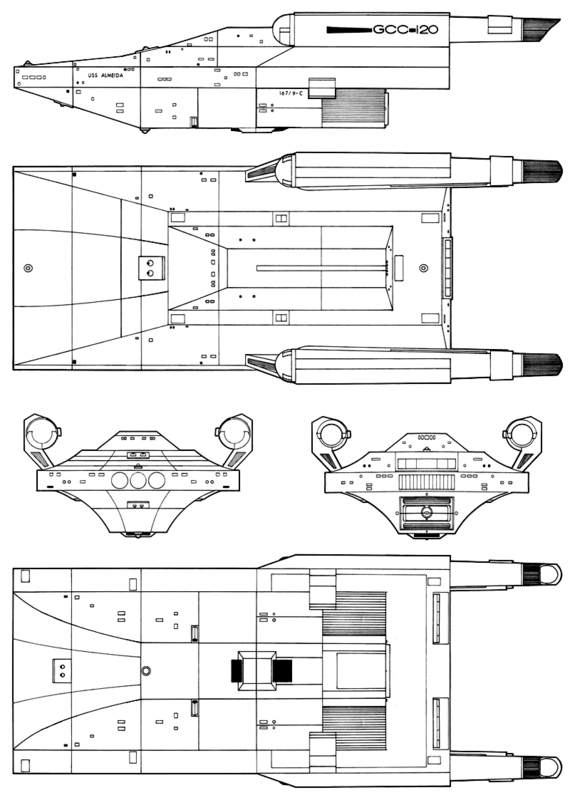 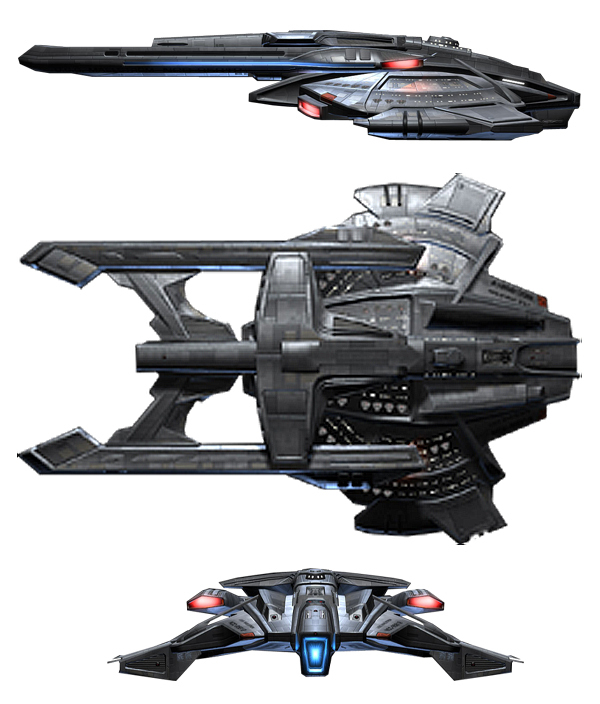 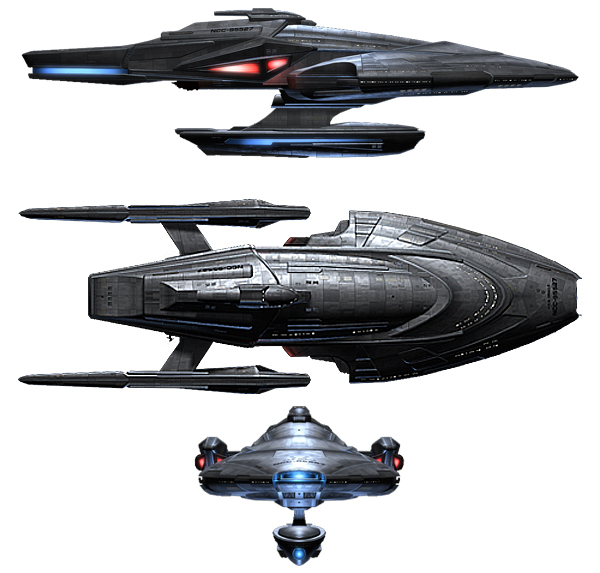 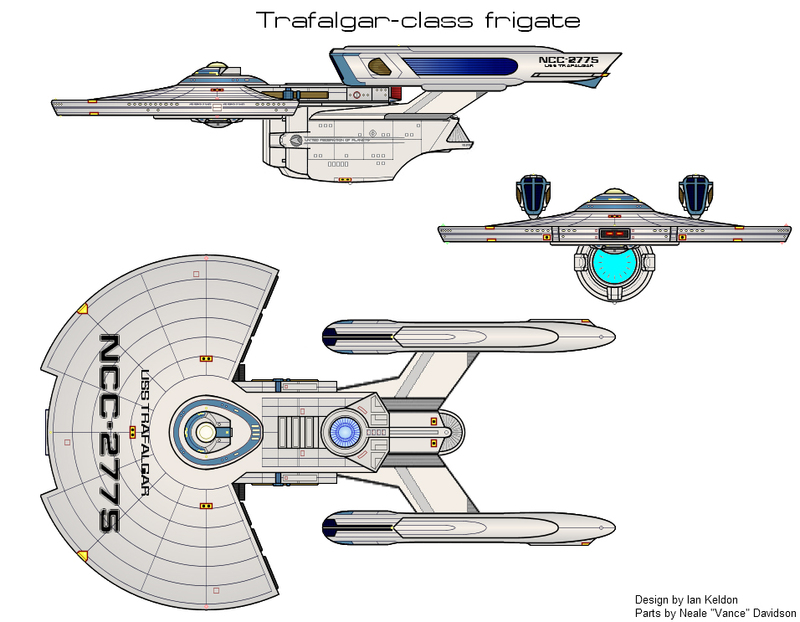 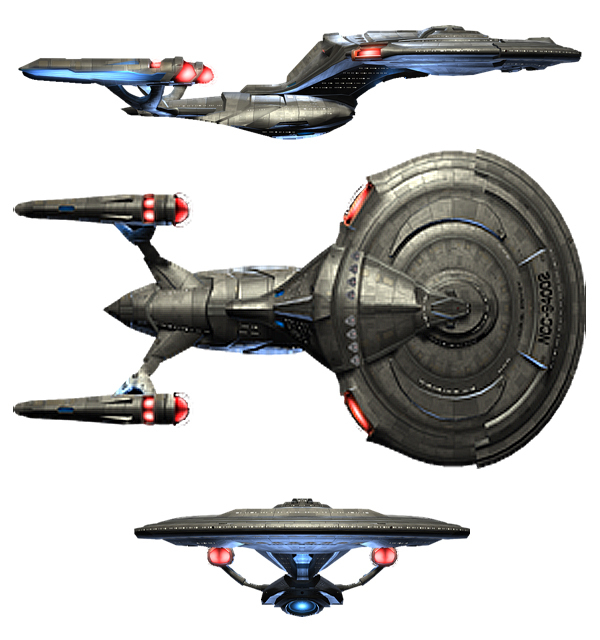 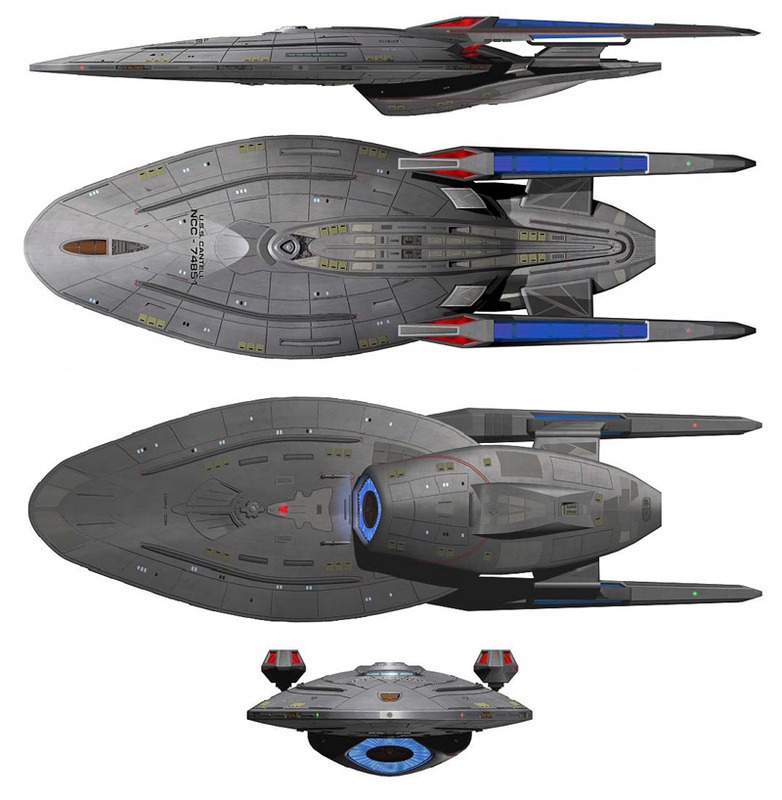 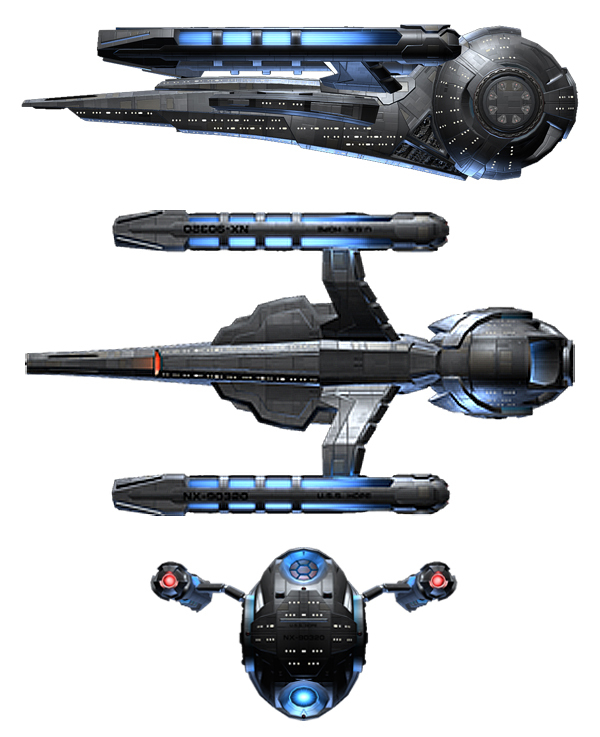 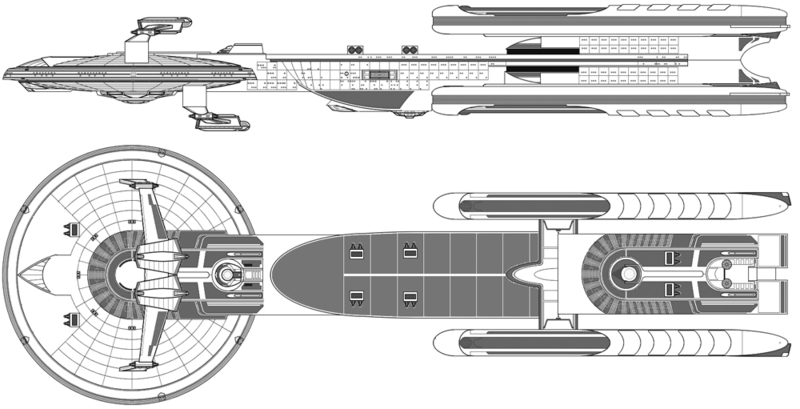 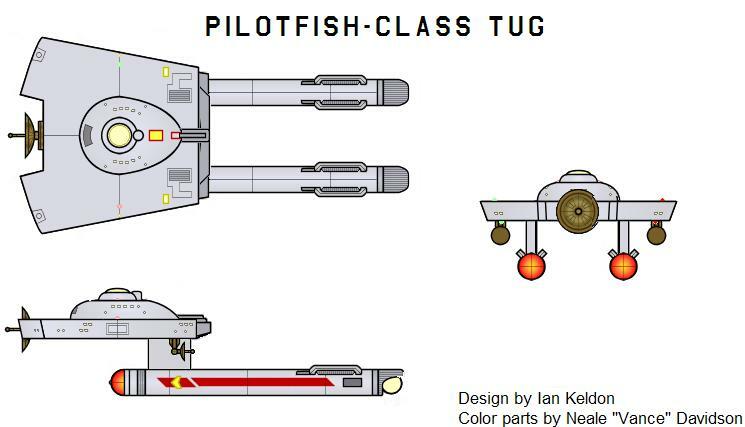 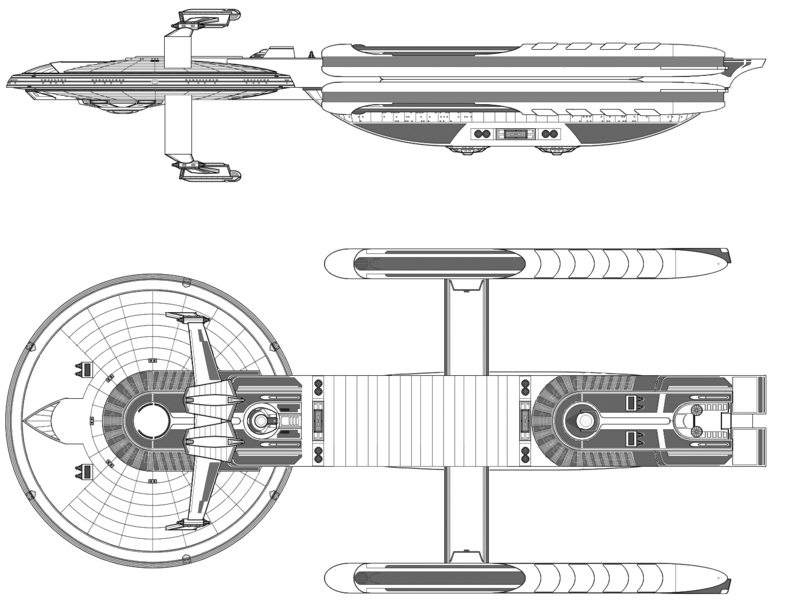 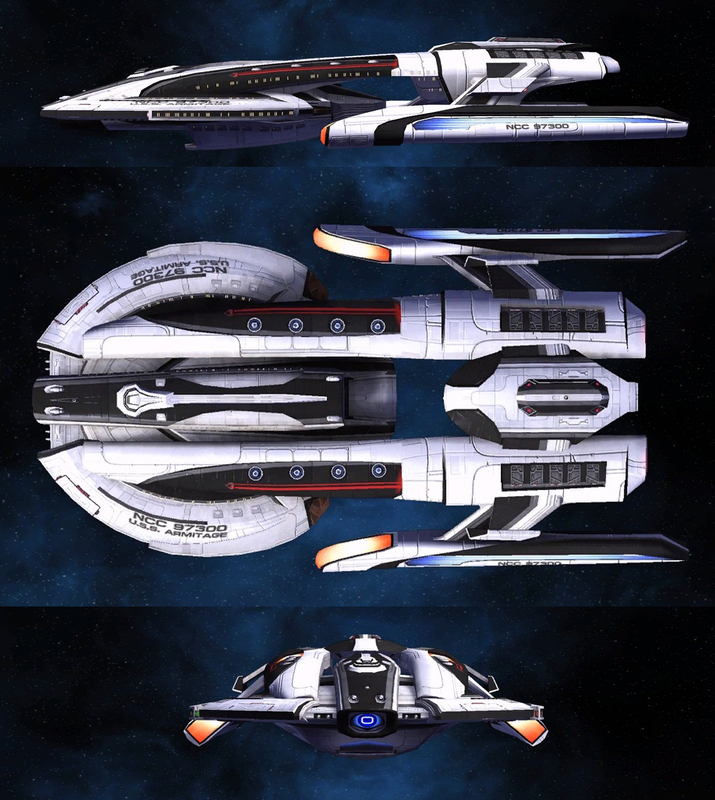 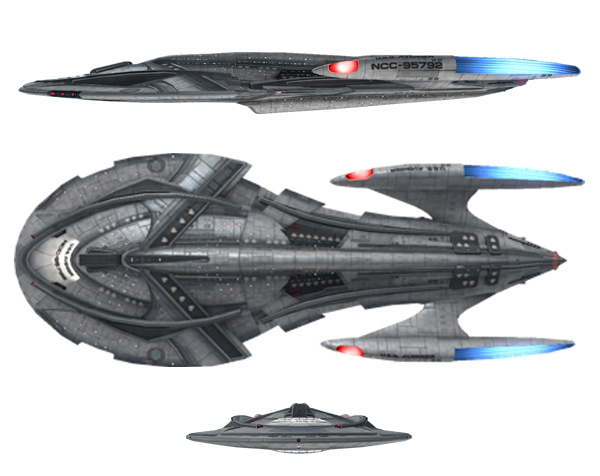 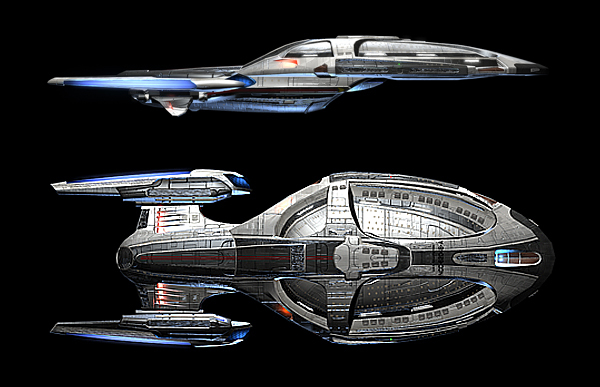 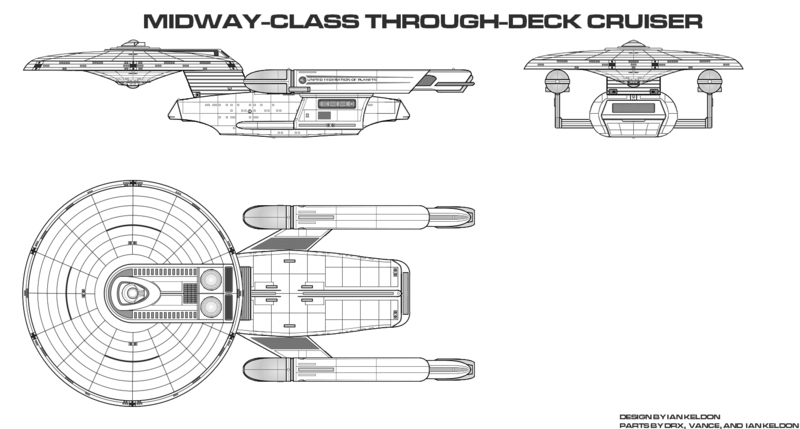 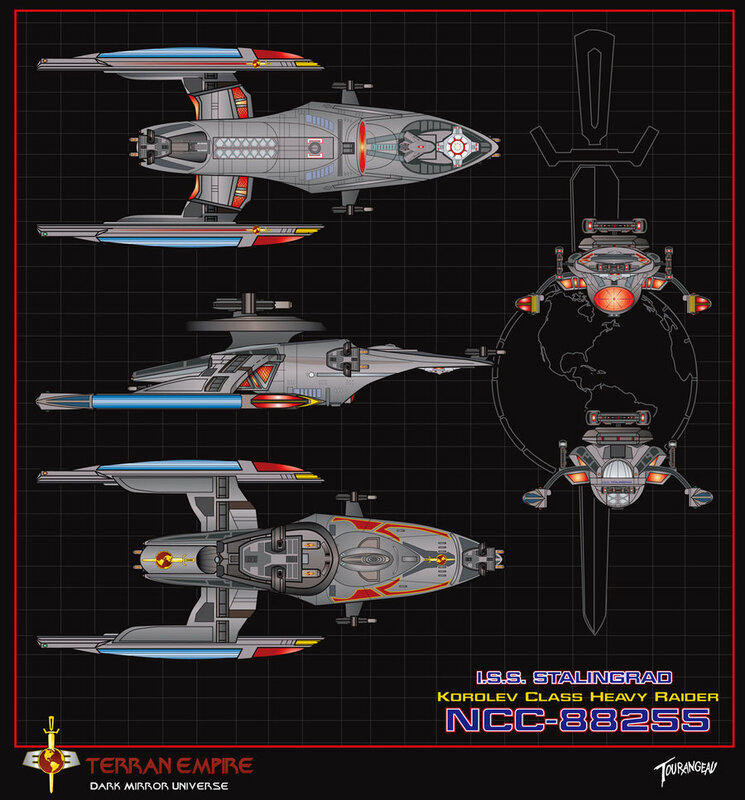 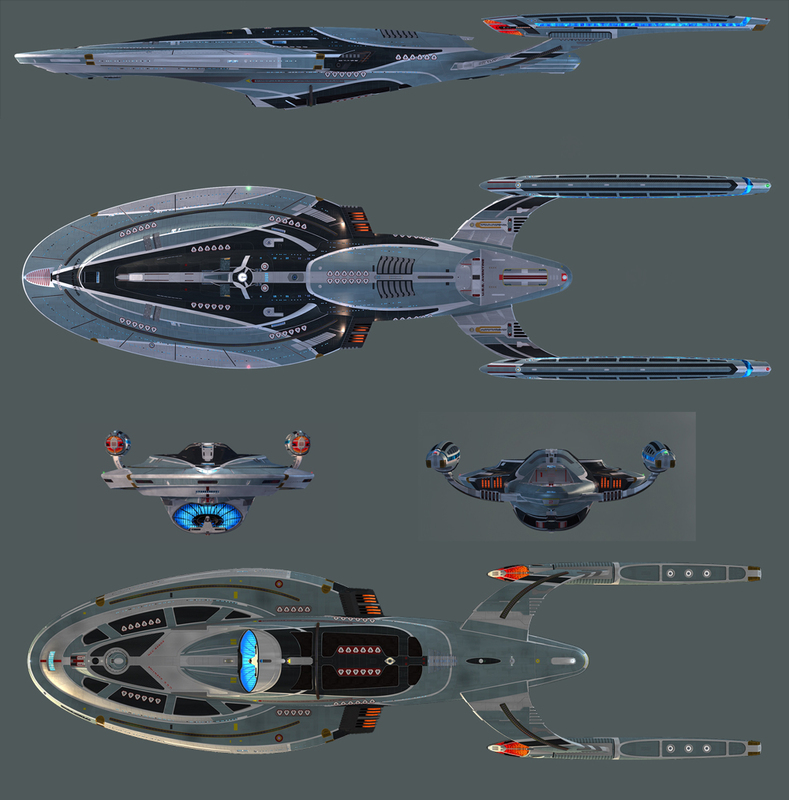 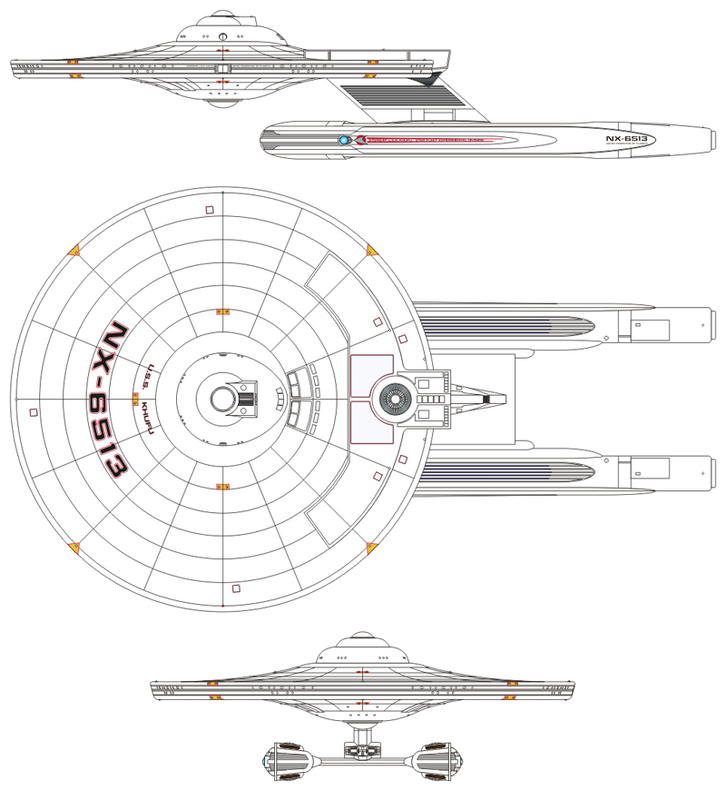 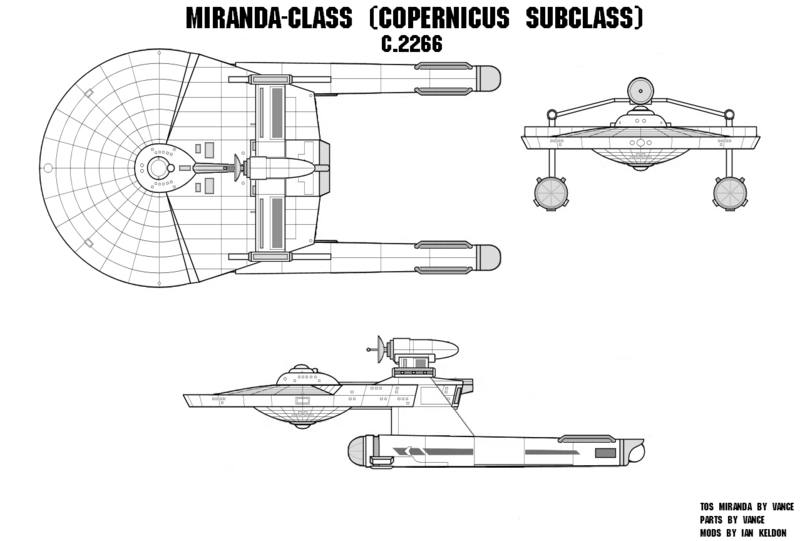 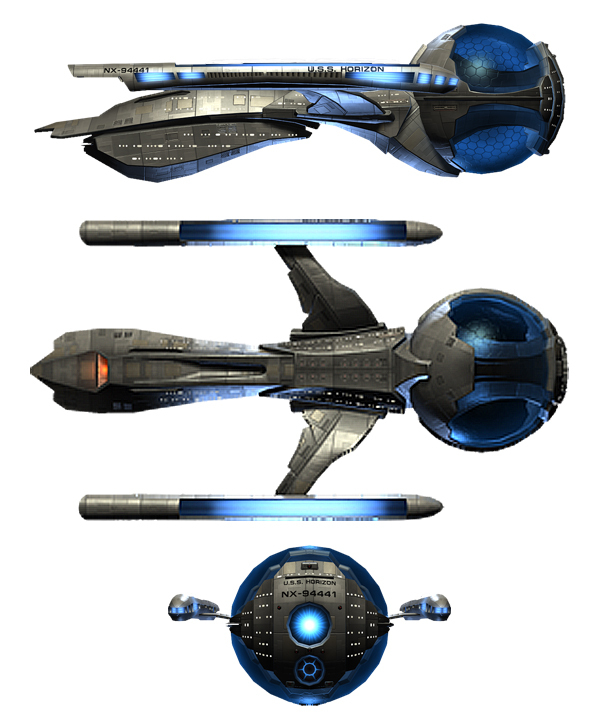 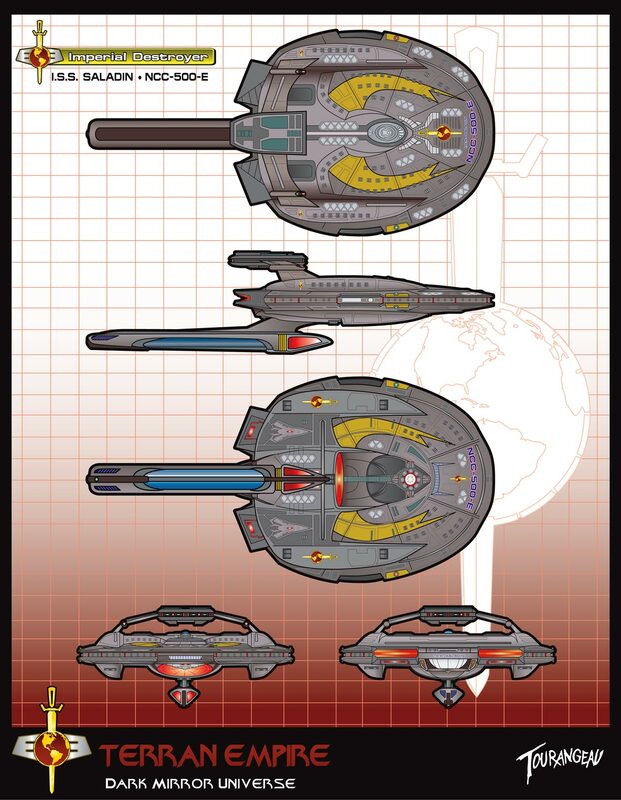 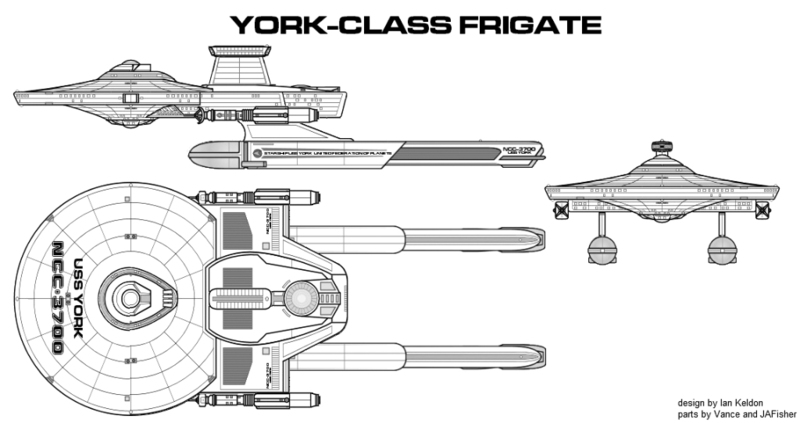 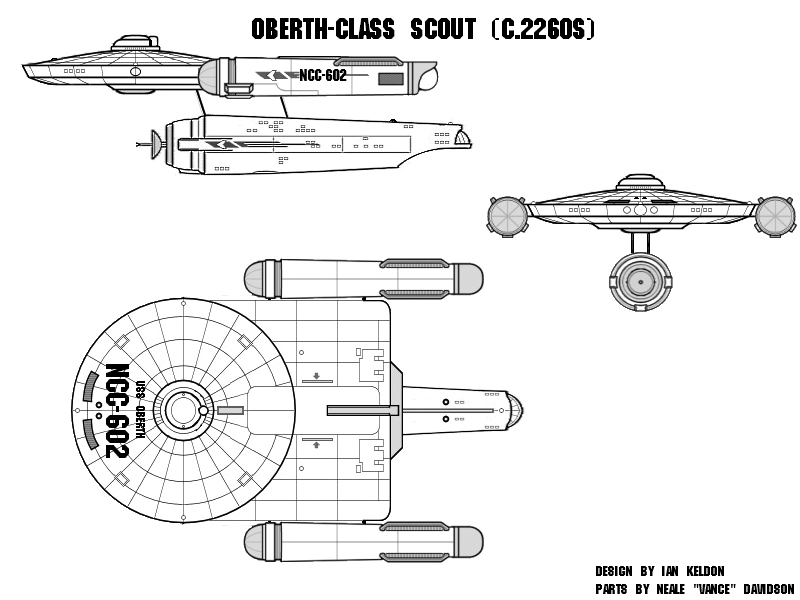 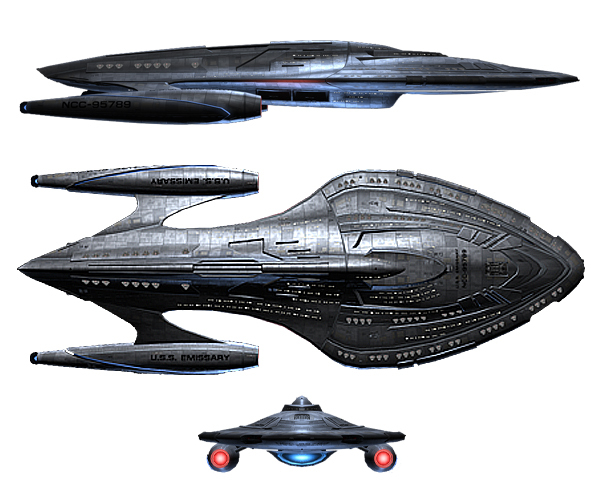 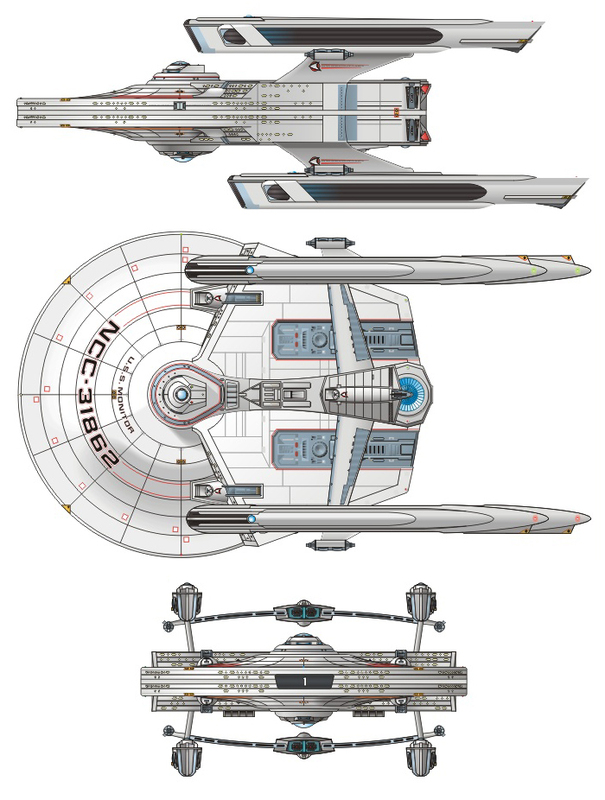 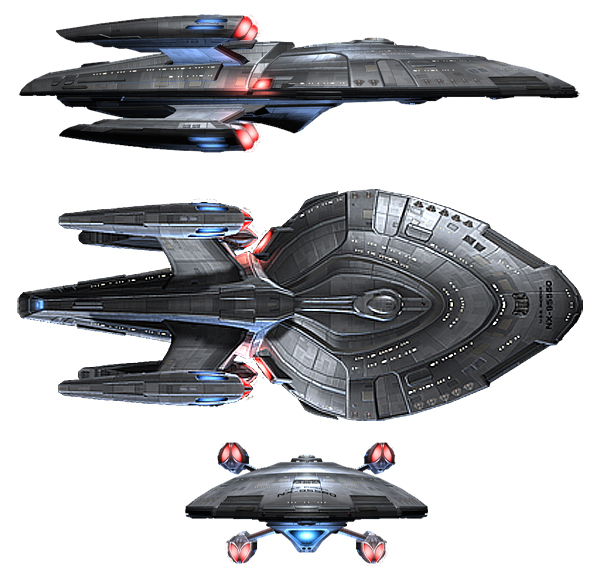 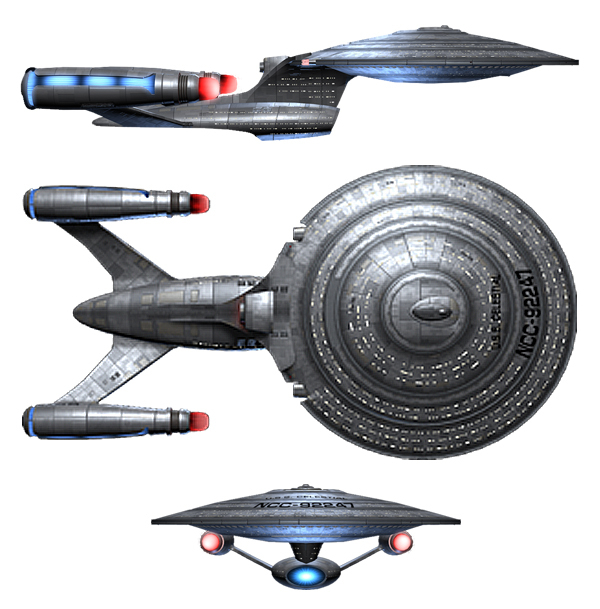 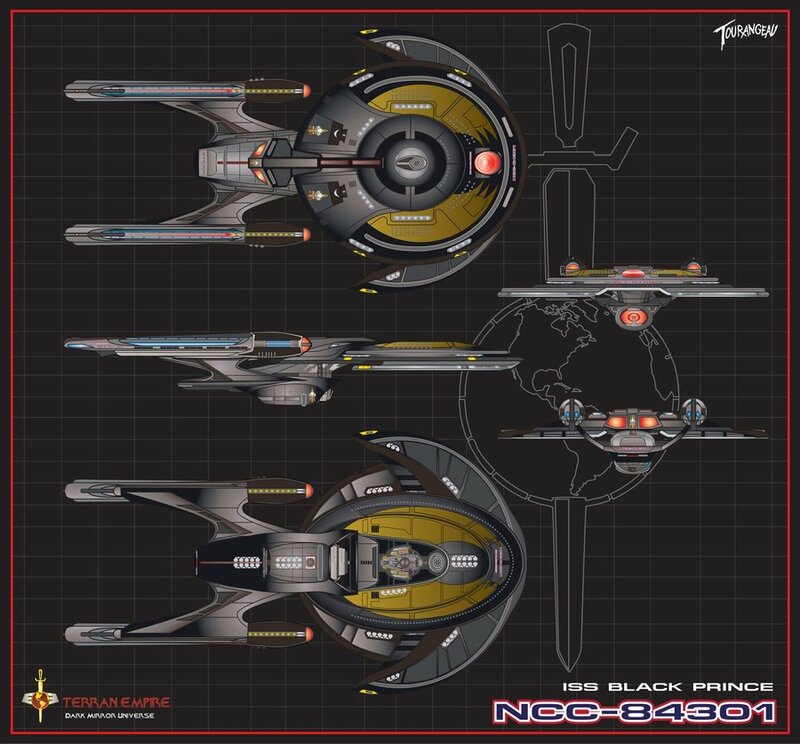 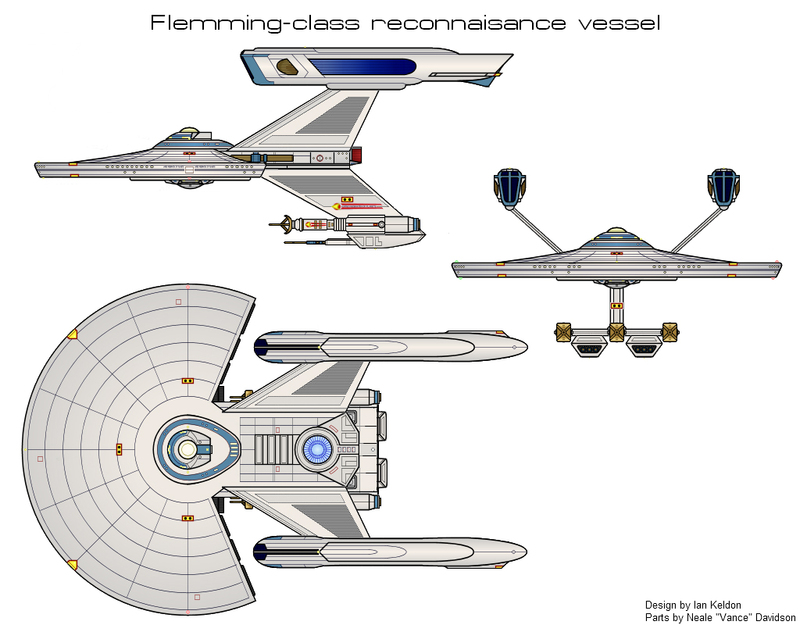 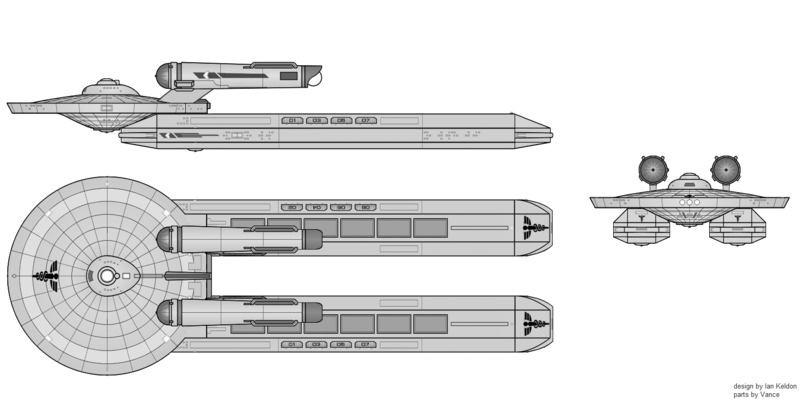 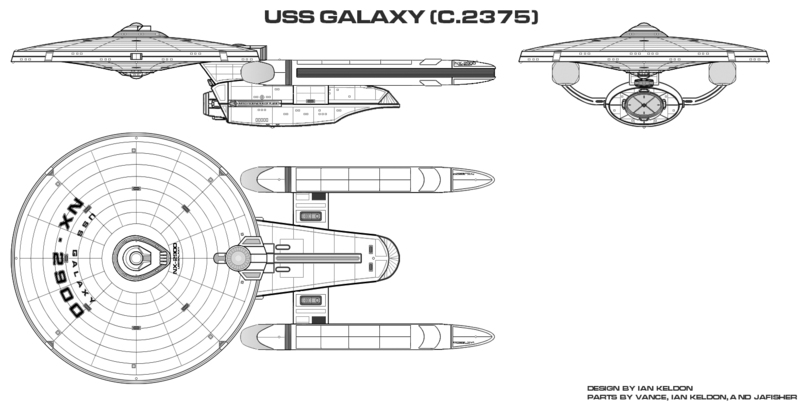 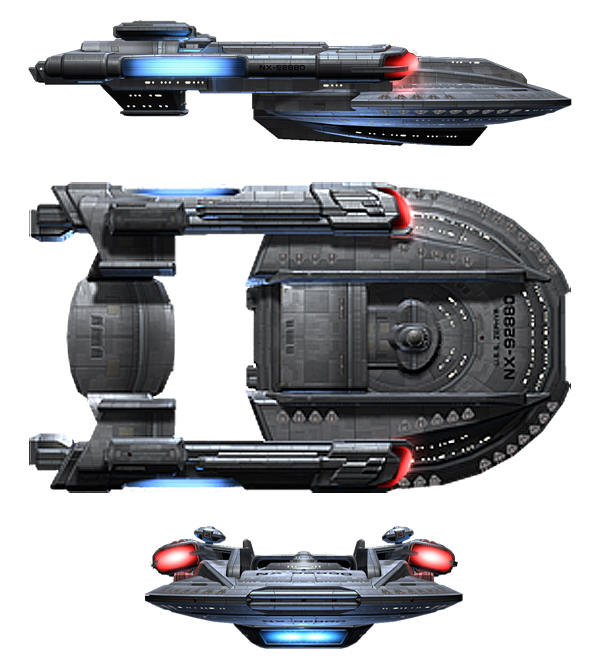 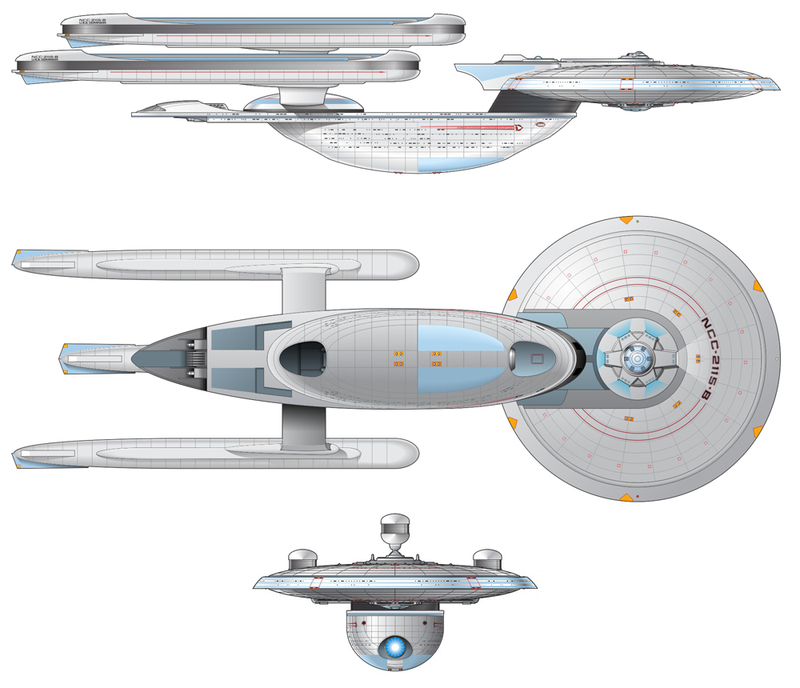 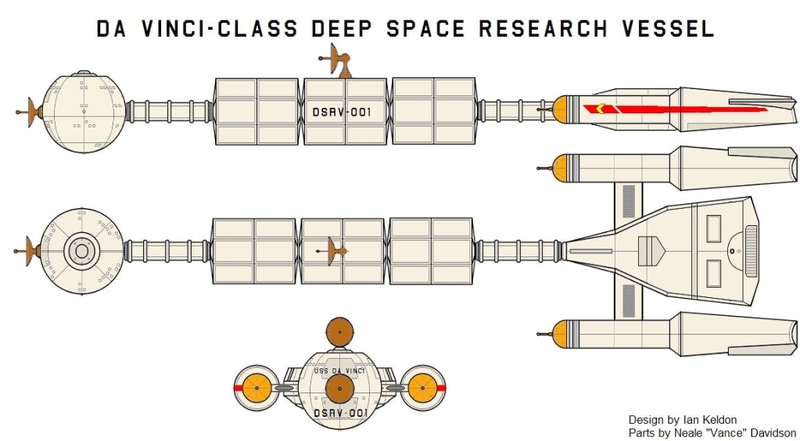 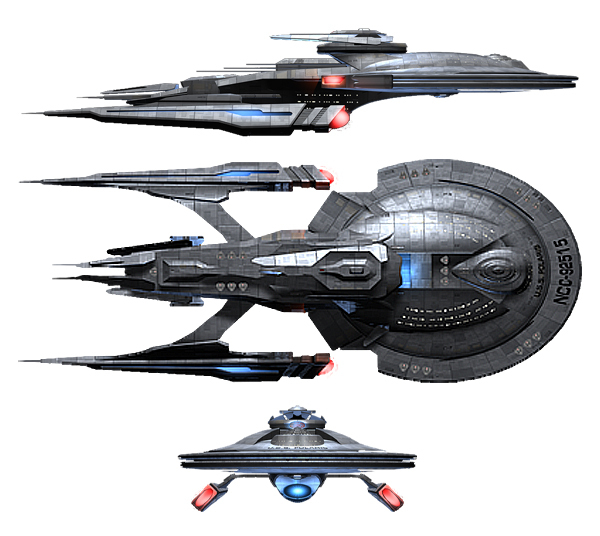 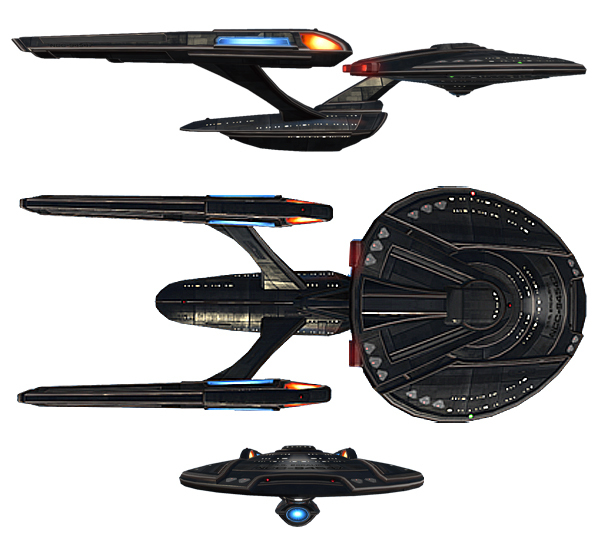 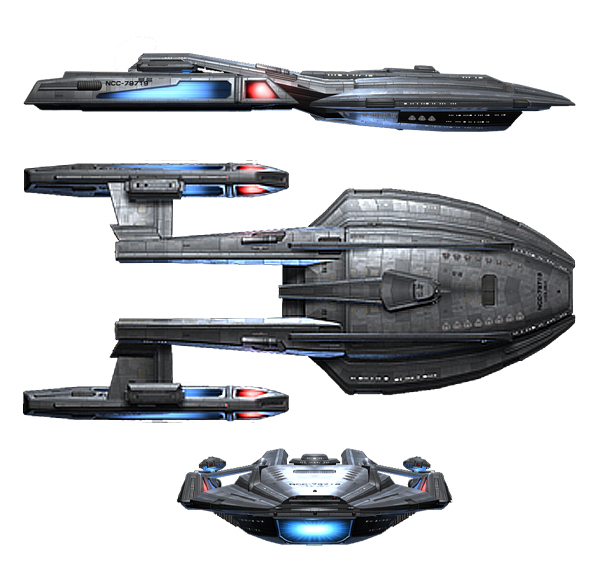 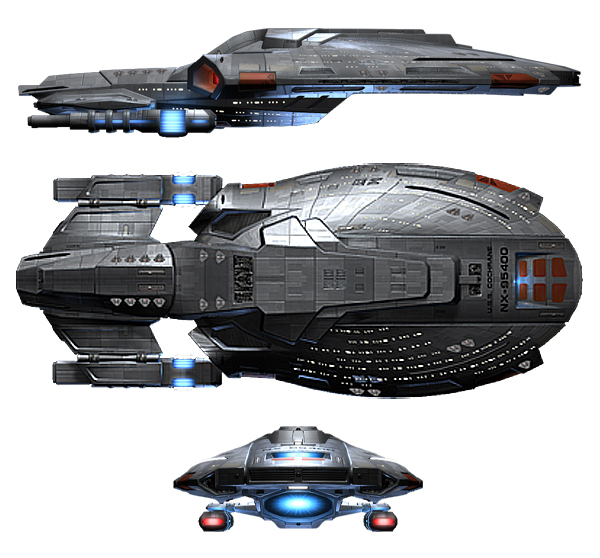 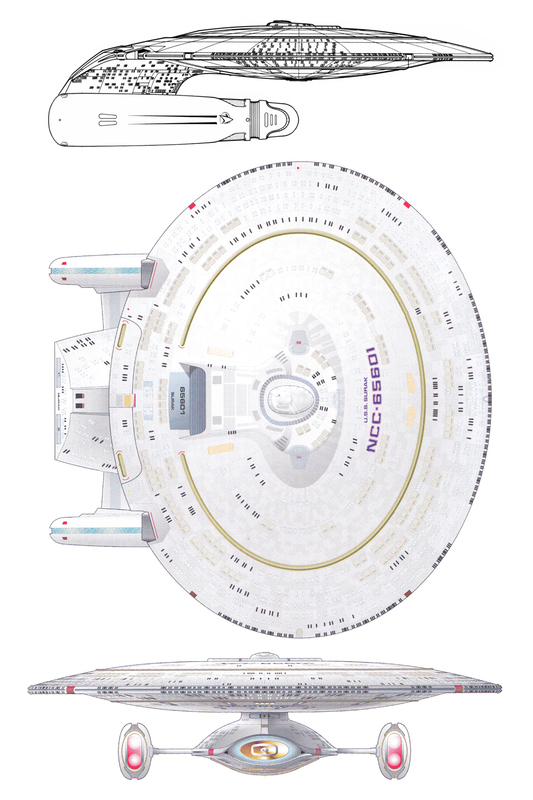 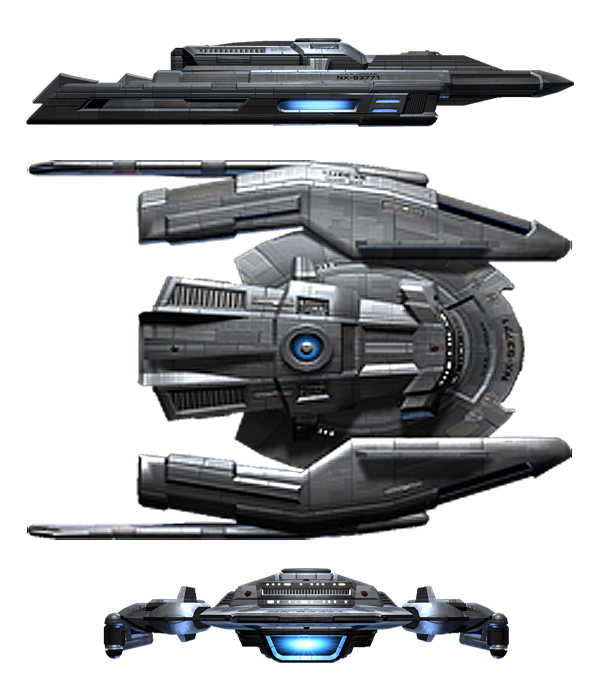 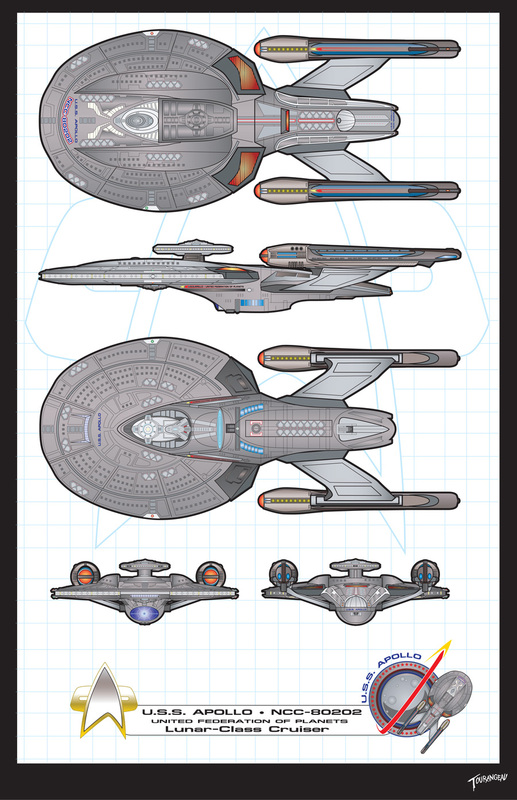 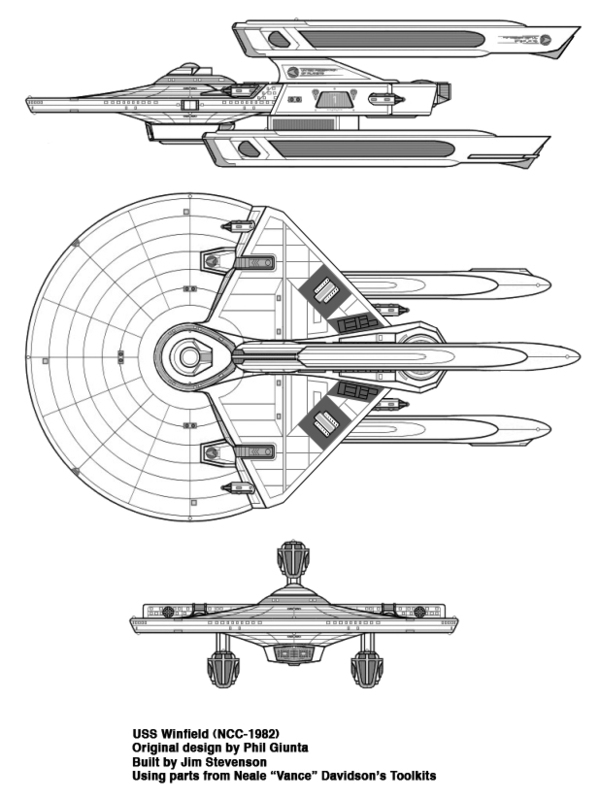 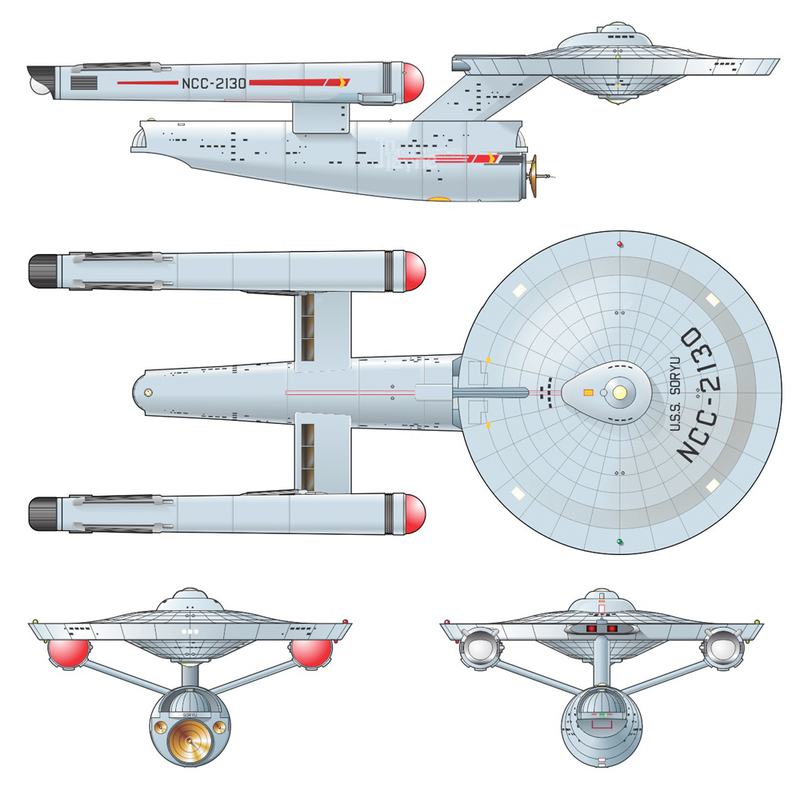 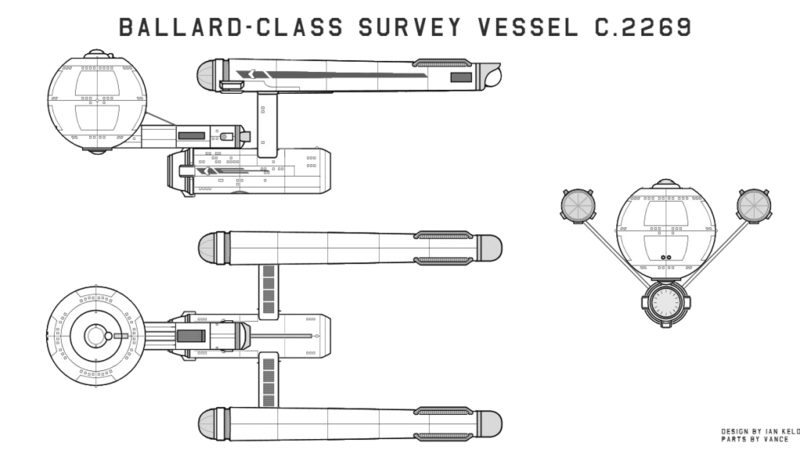 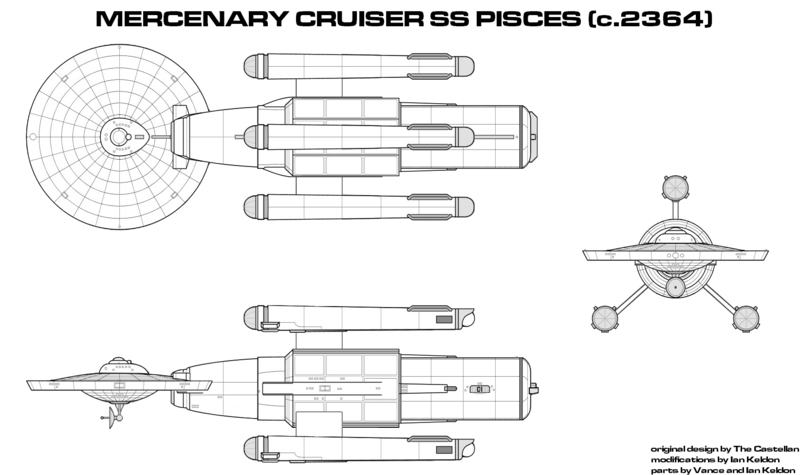 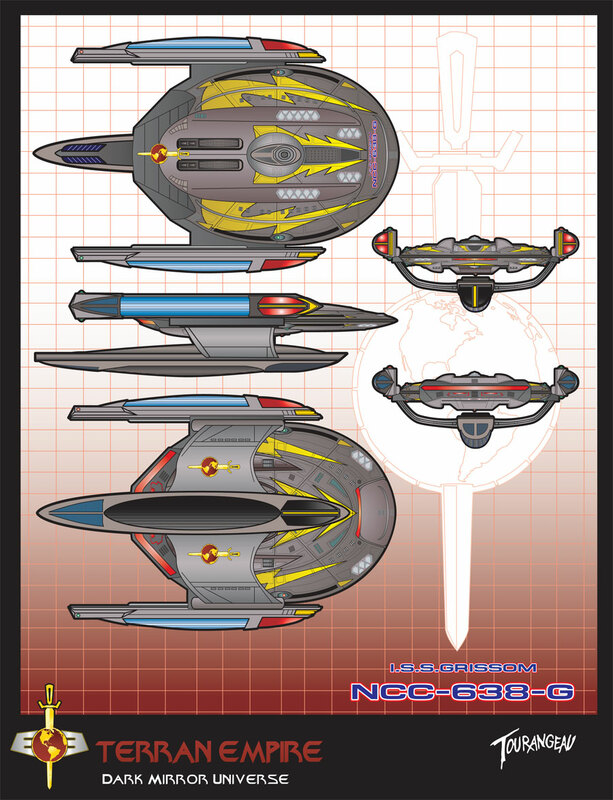 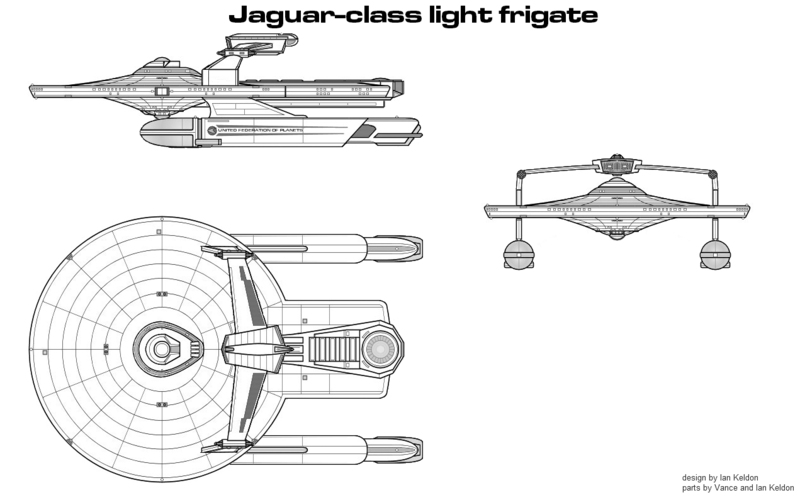 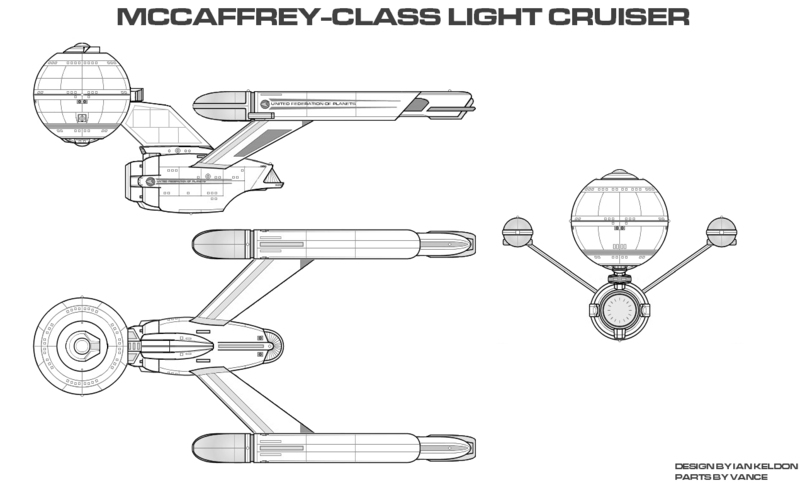 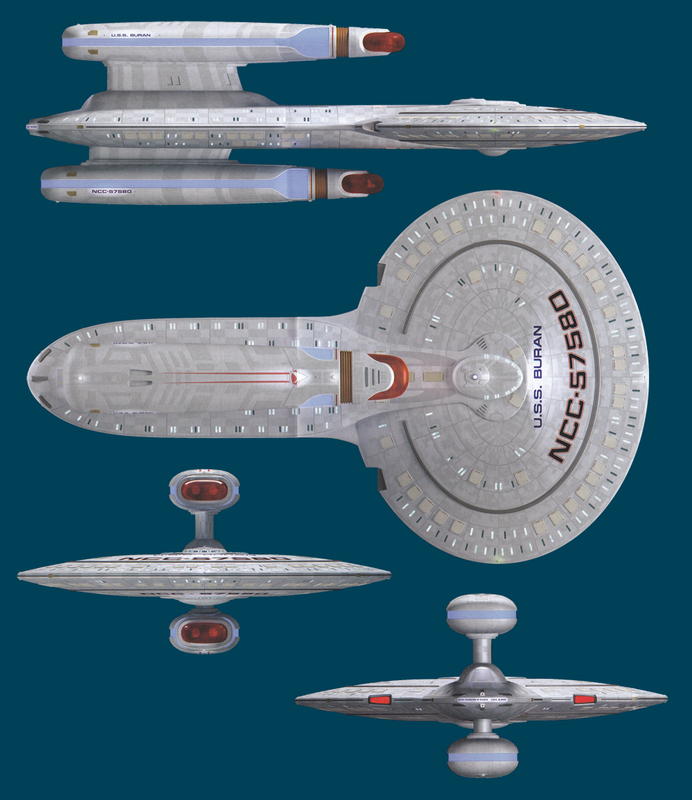 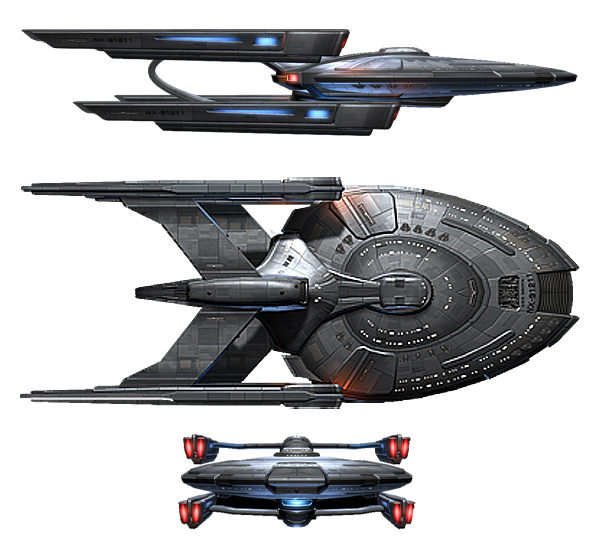 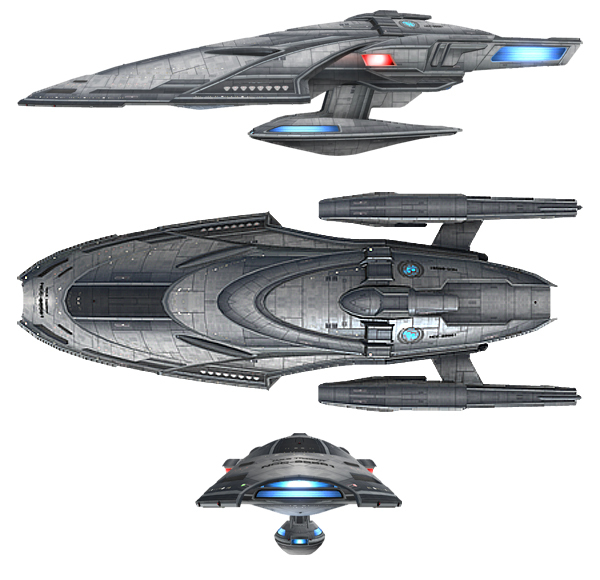 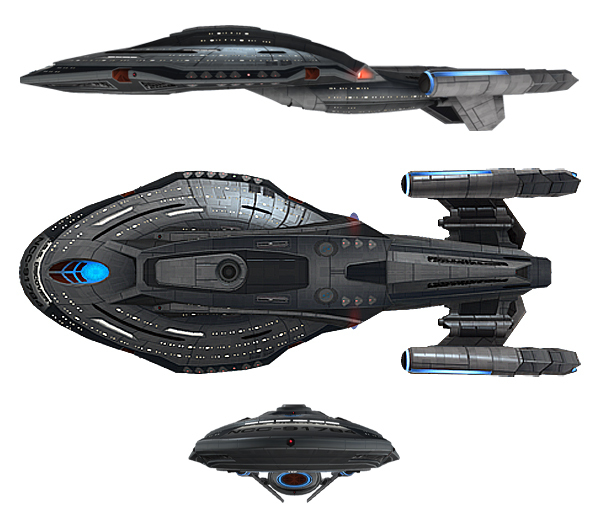 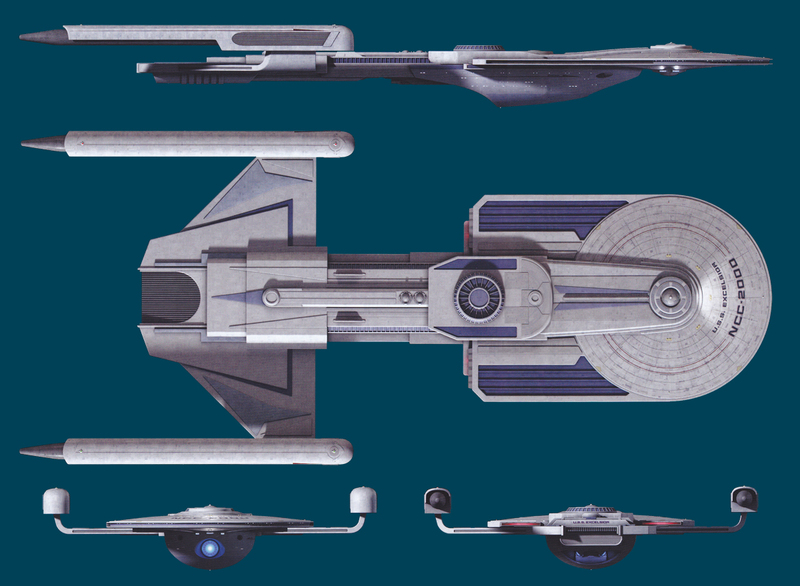 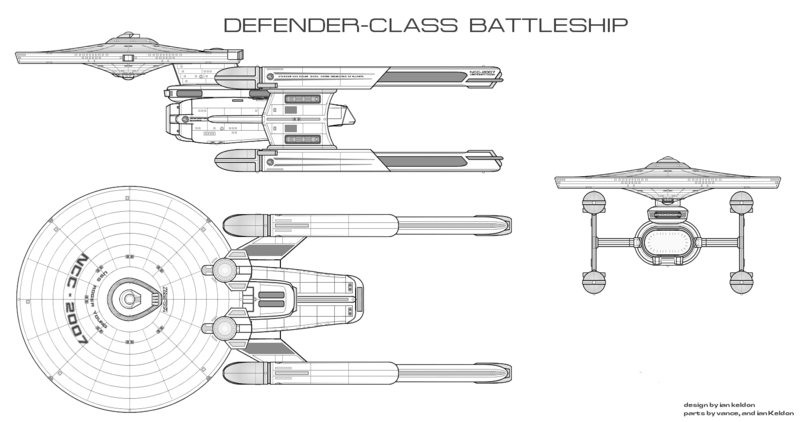 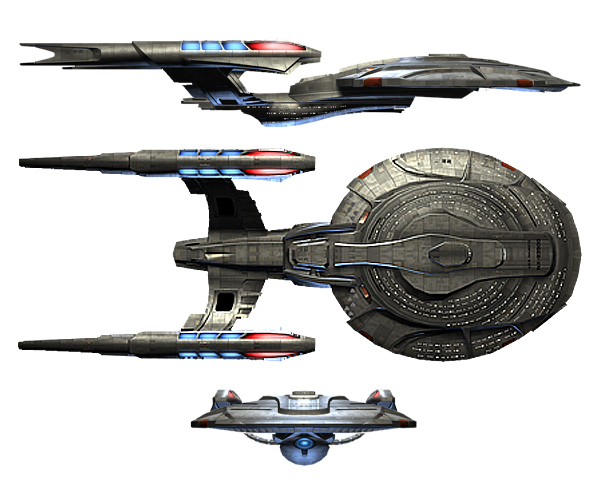 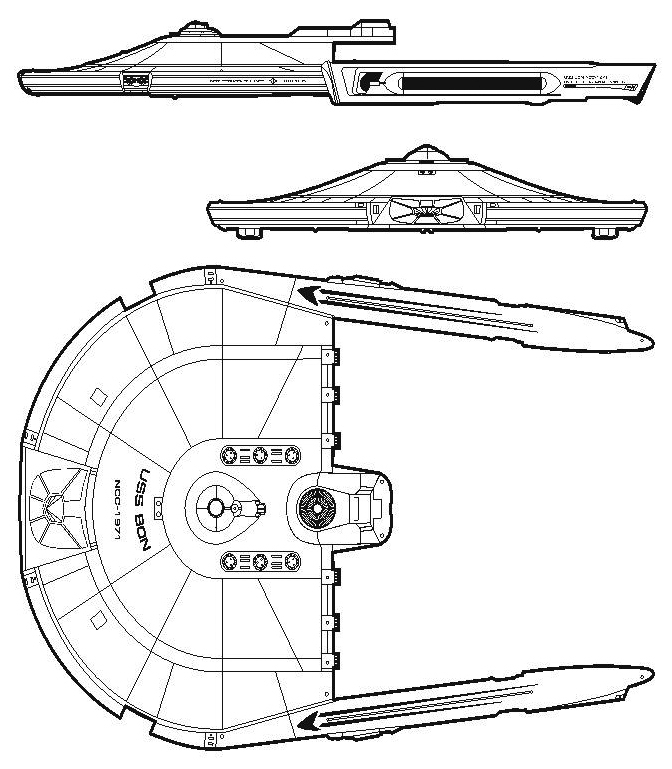 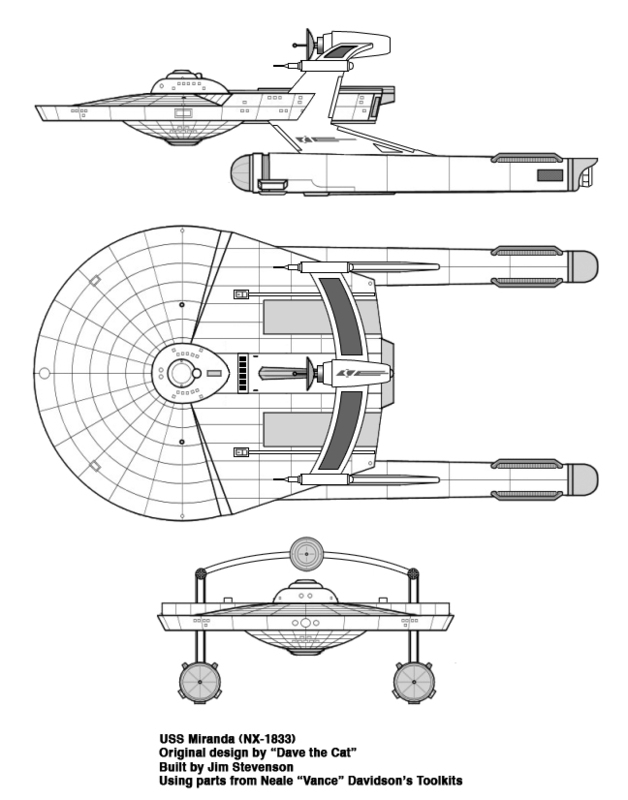 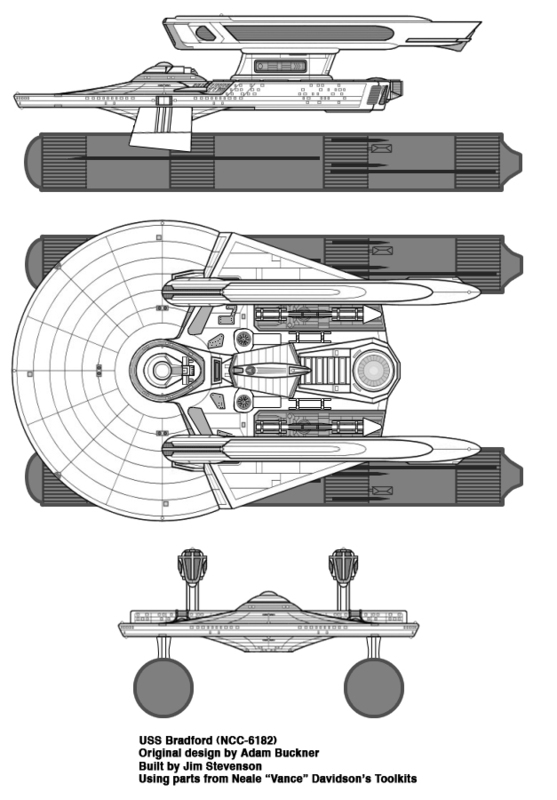 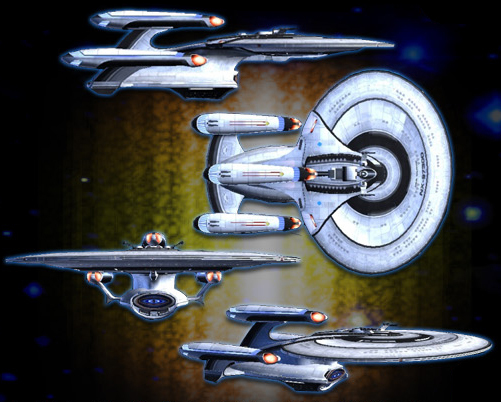 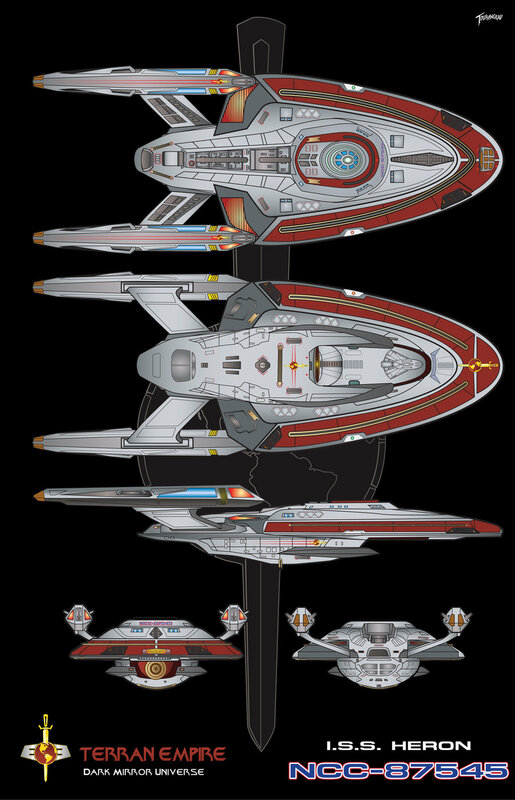 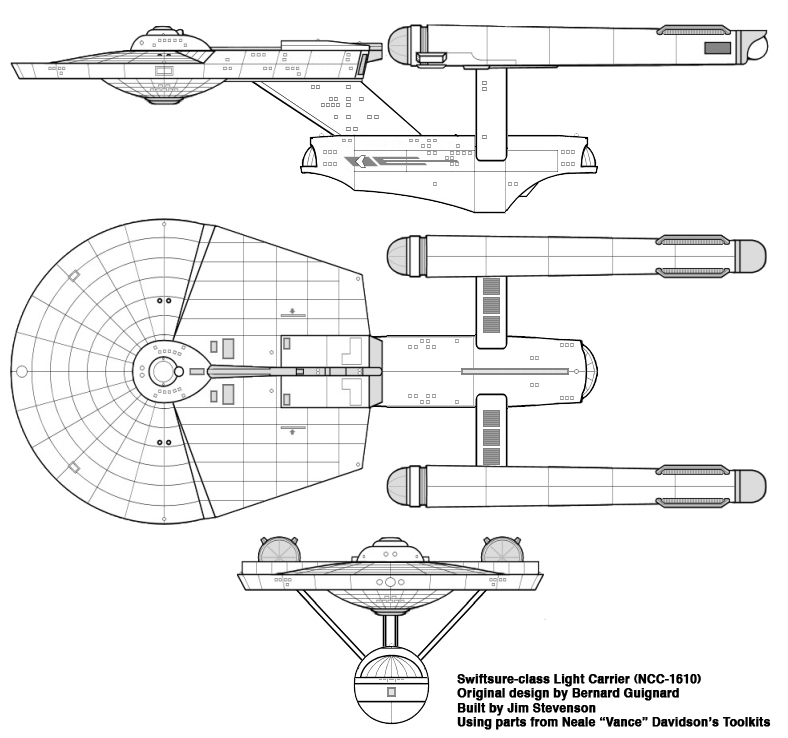 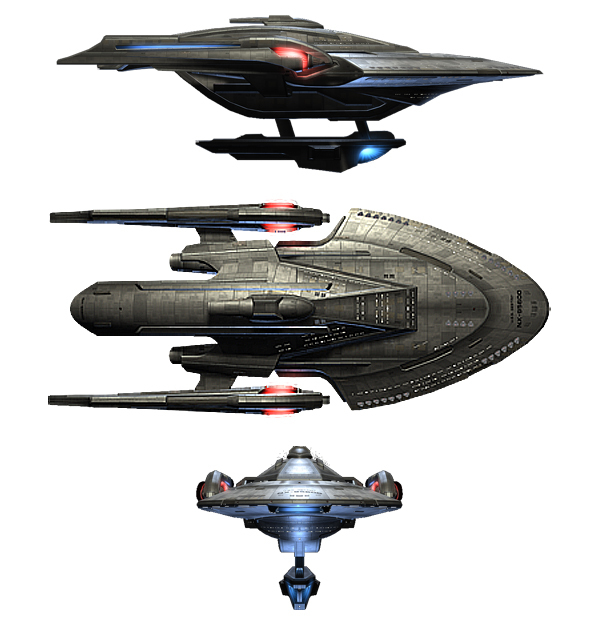 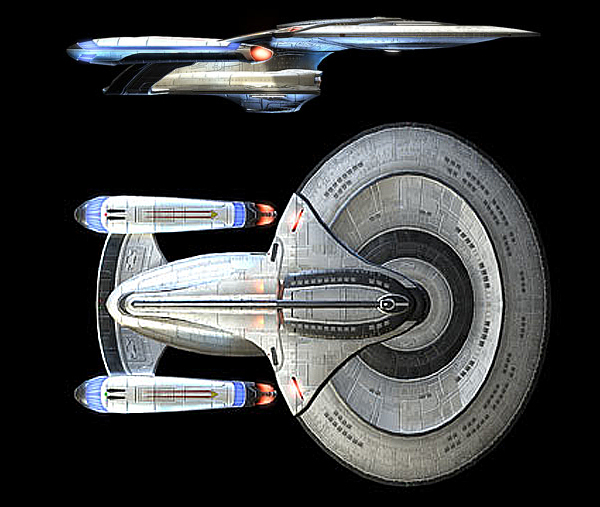 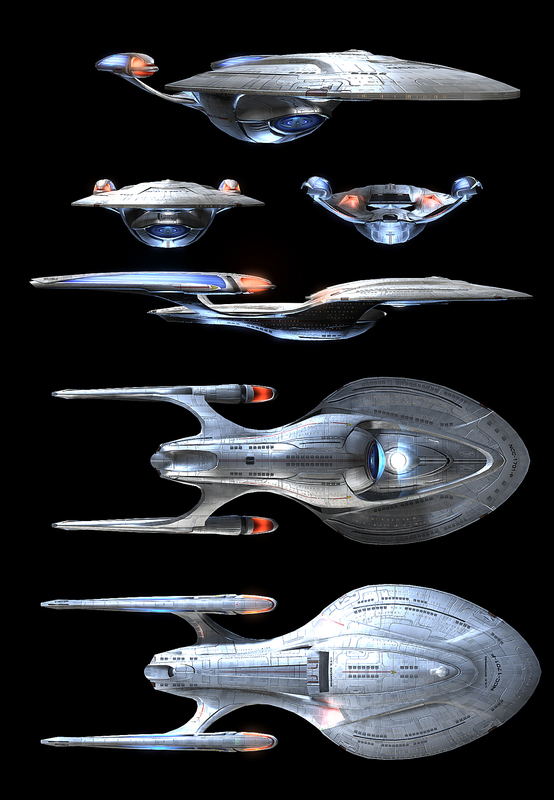 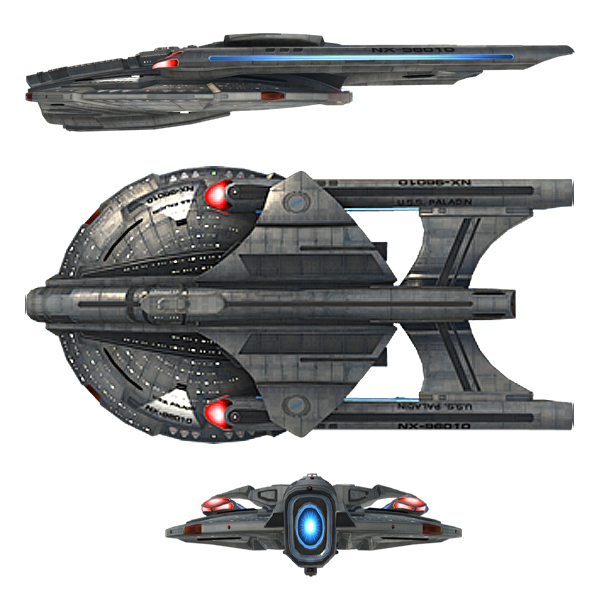 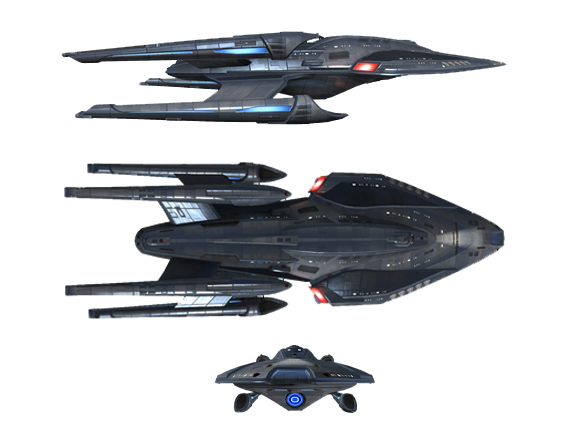 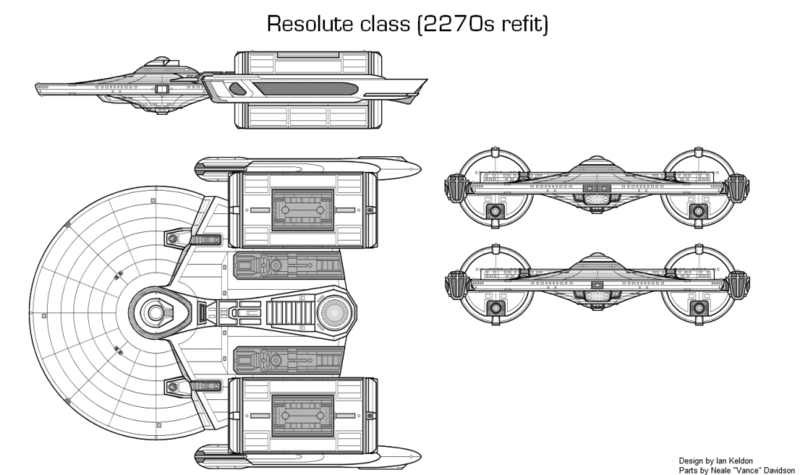 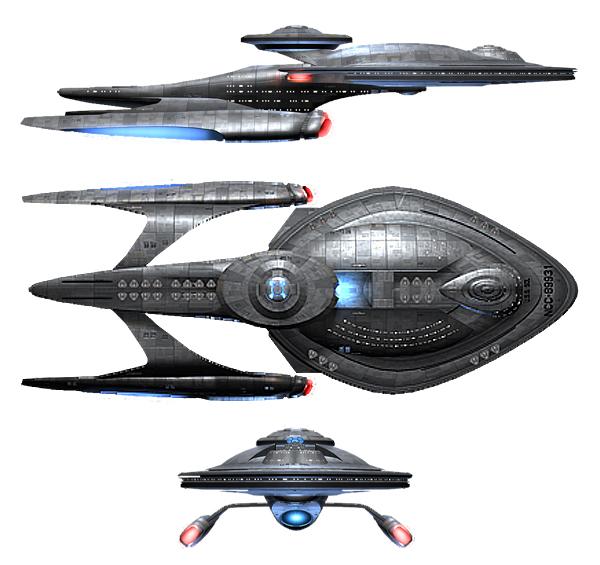 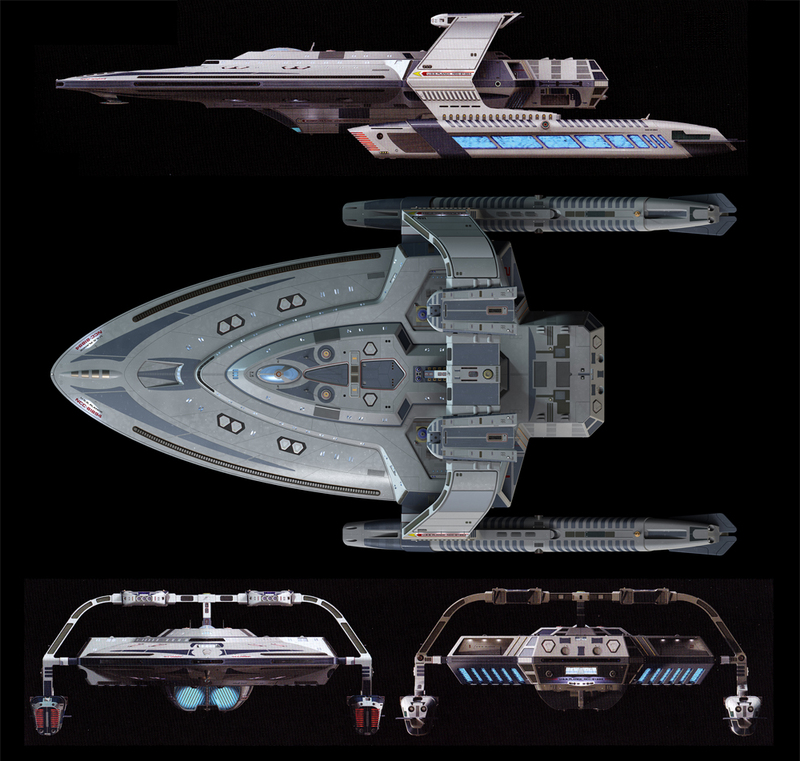 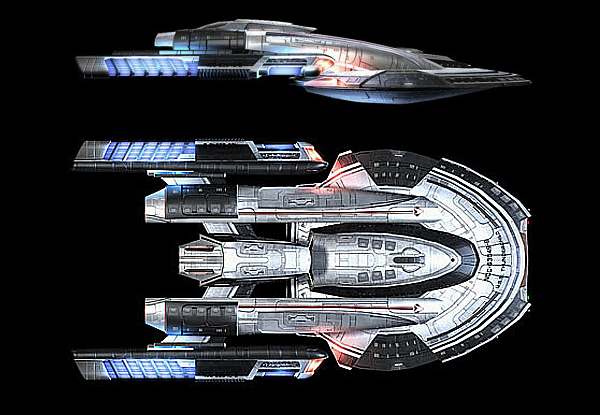 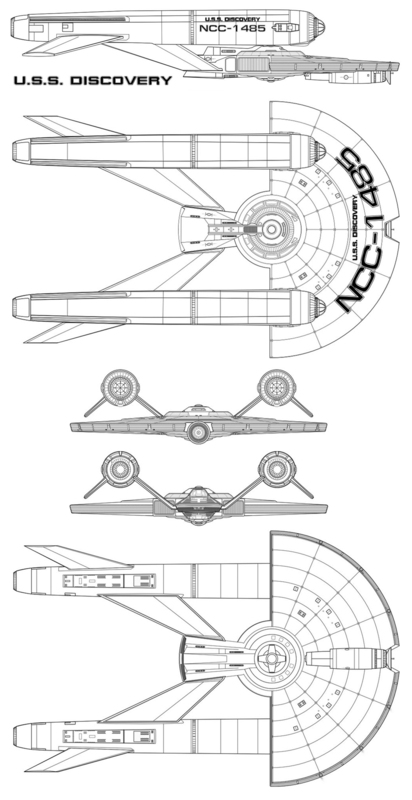 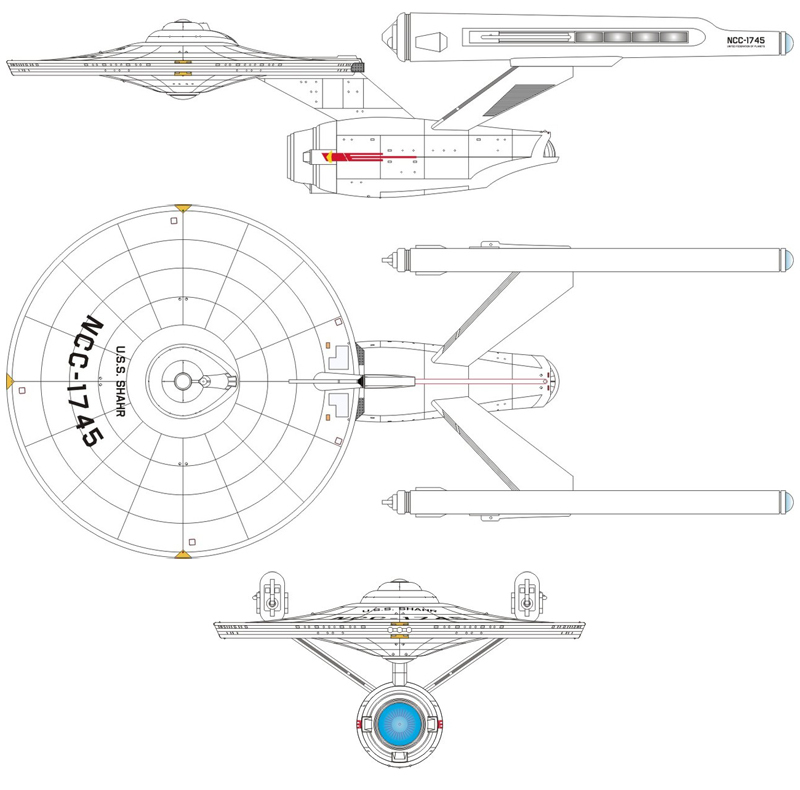 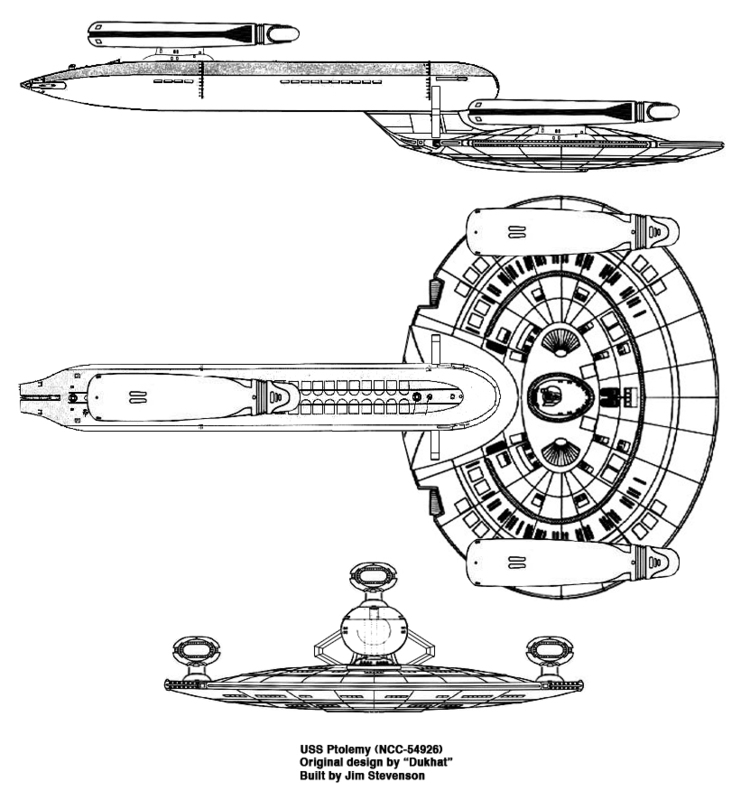 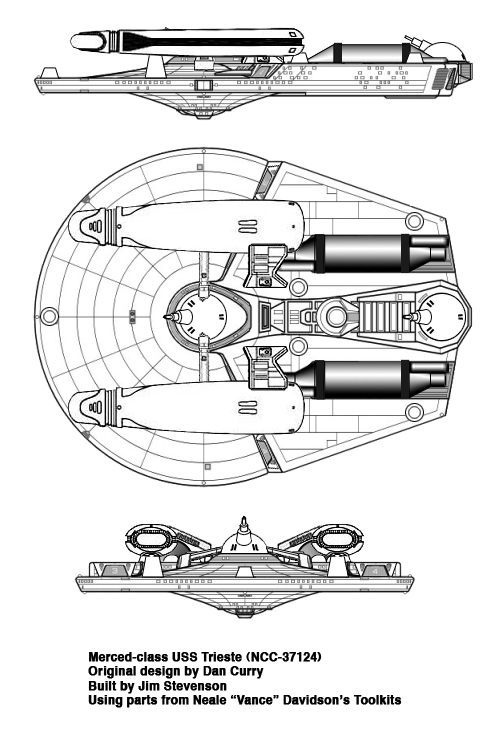 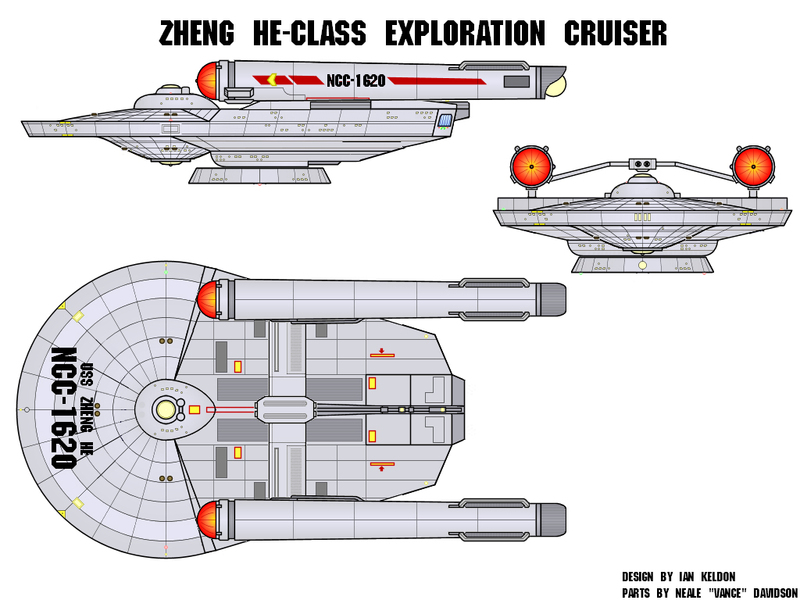 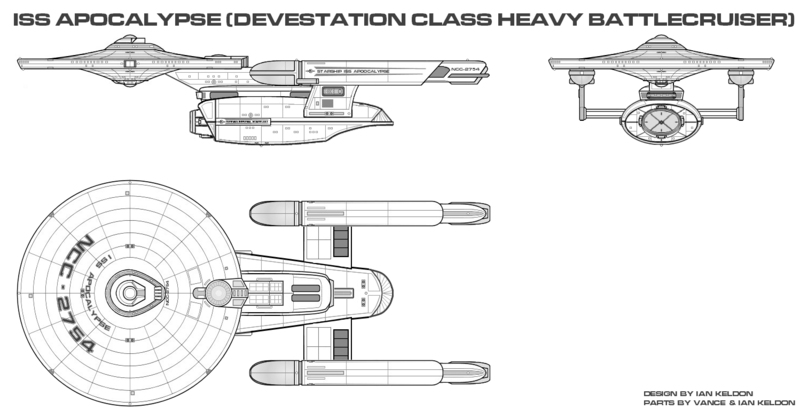 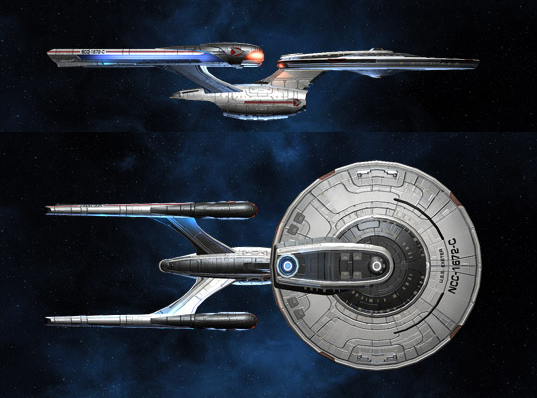 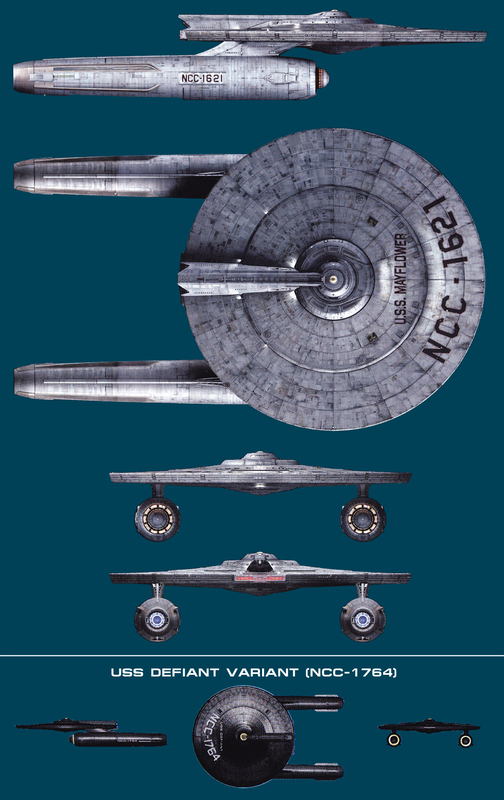 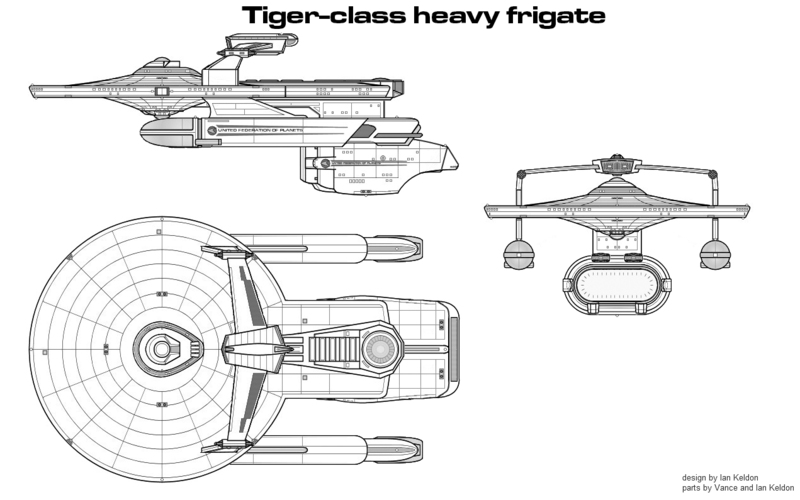 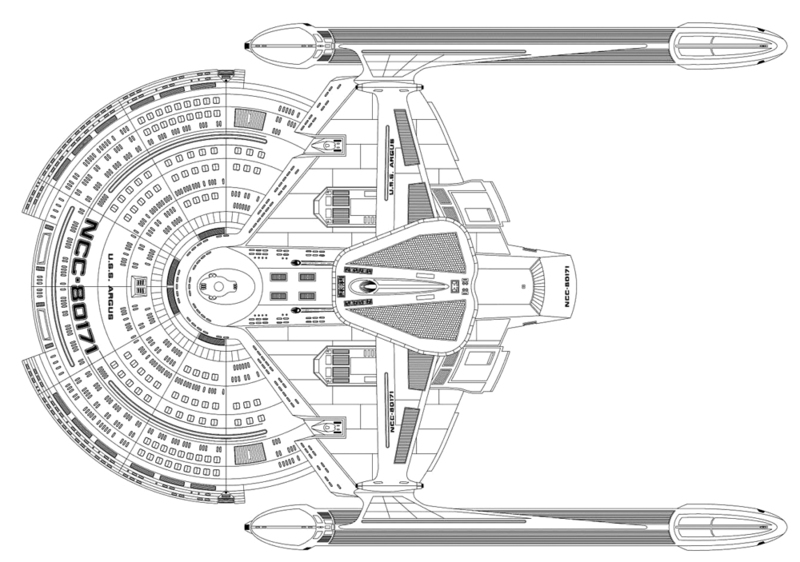 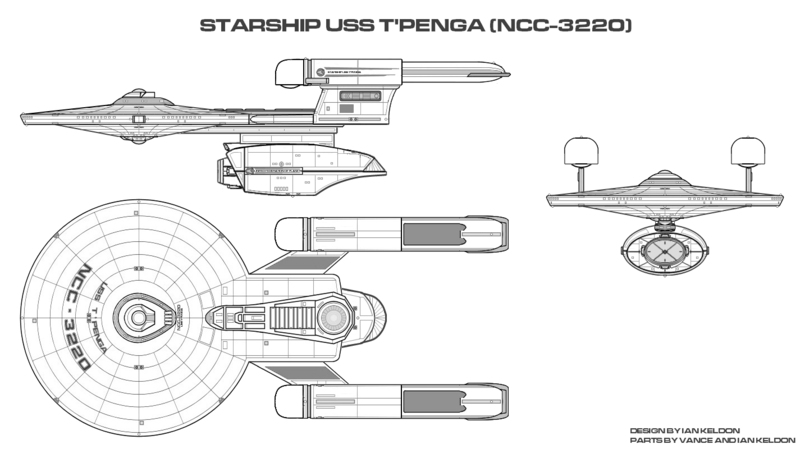 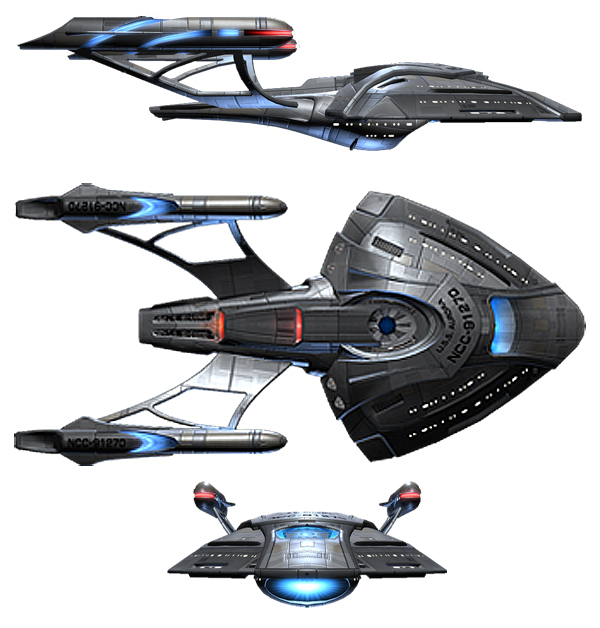 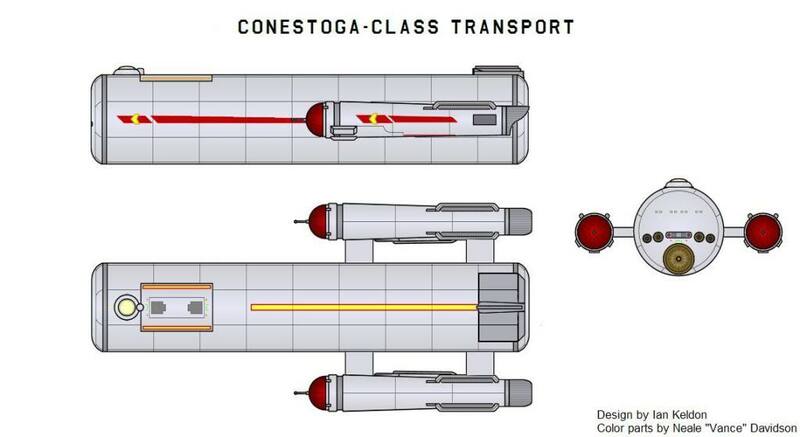 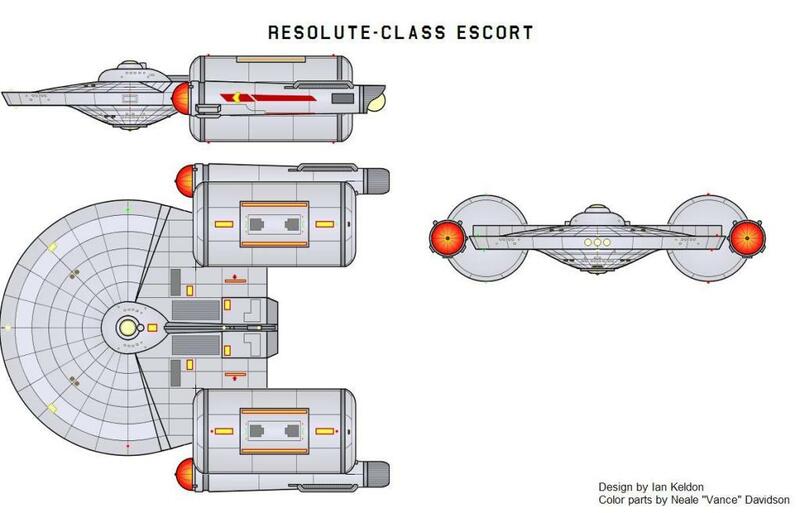 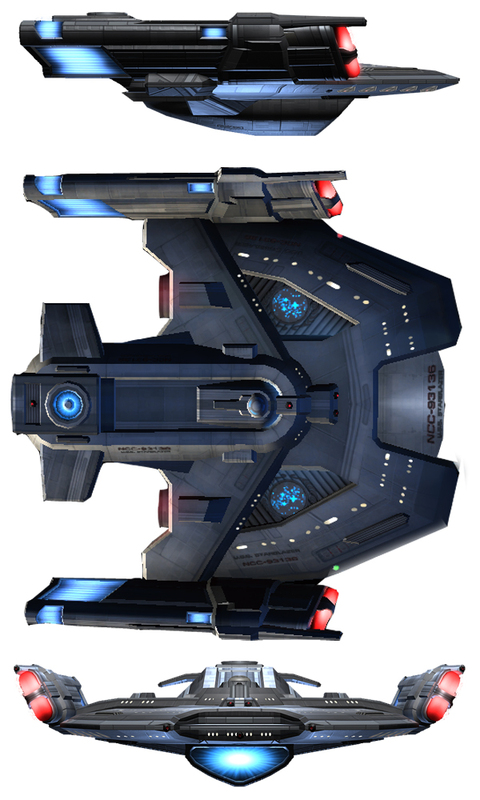 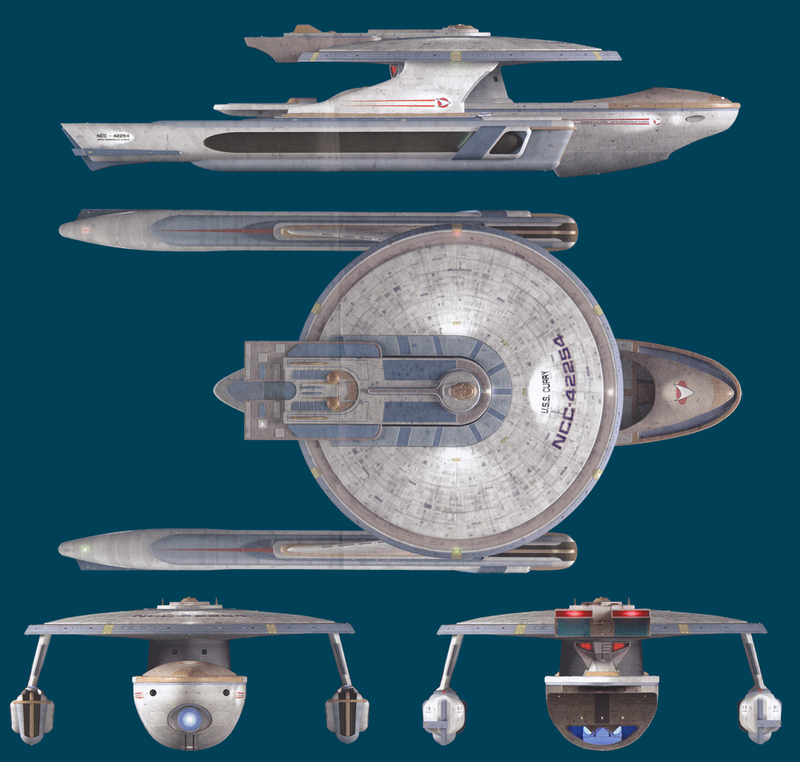 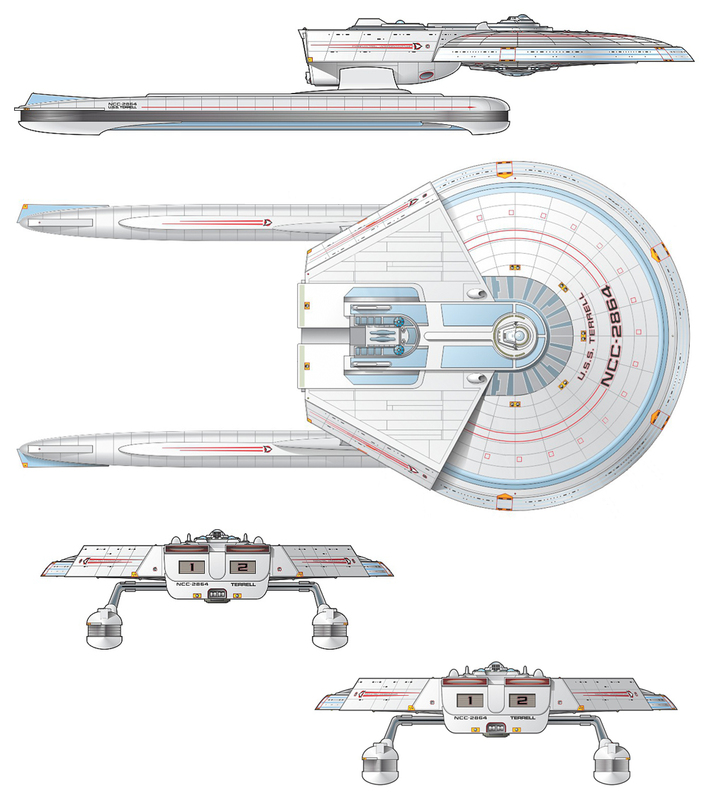 The Merced class came about from a model of the USS Trieste that was constructed by Dan Curry, likely for use in an episode of Star Trek: Deep Space Nine. 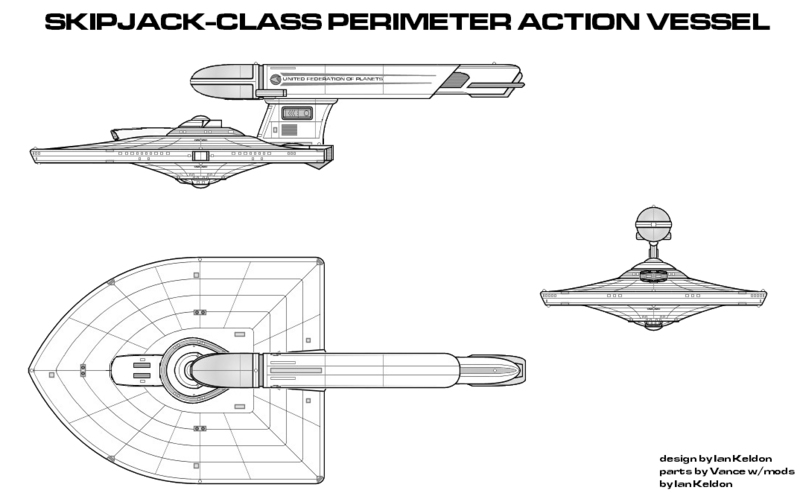 Since it never saw screen time, it's "officiality" is in a kind of "gray zone", even though it was intended for usage in episode. 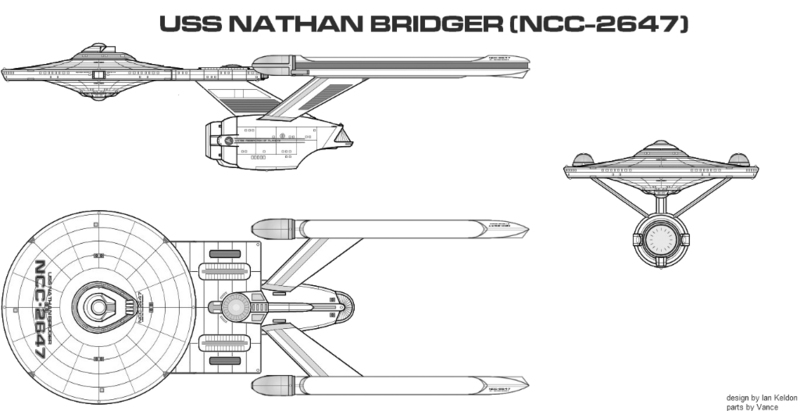 For the intent of inclusion in this database, I'm considering it "official", regardless of its screen presence. 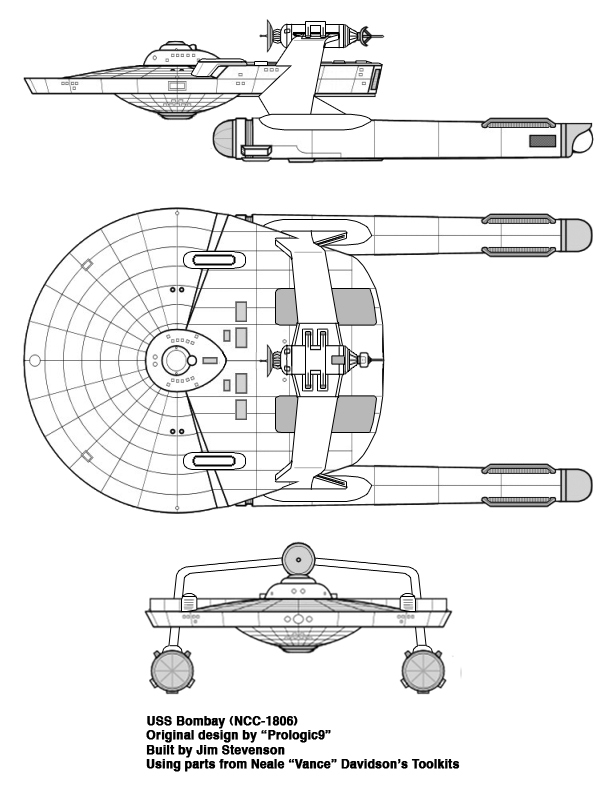 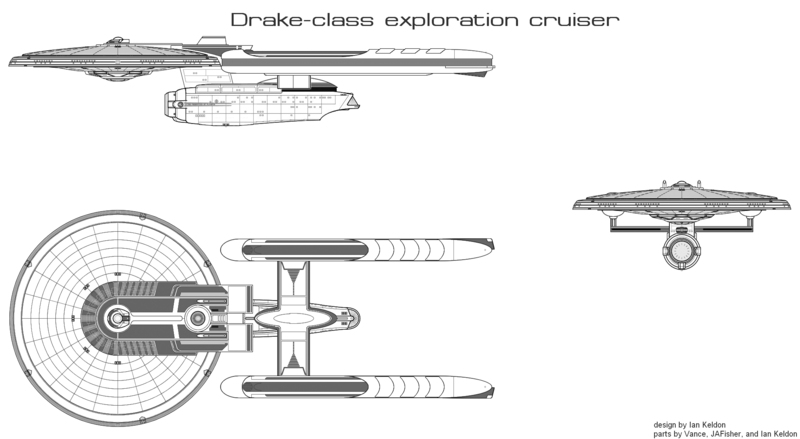 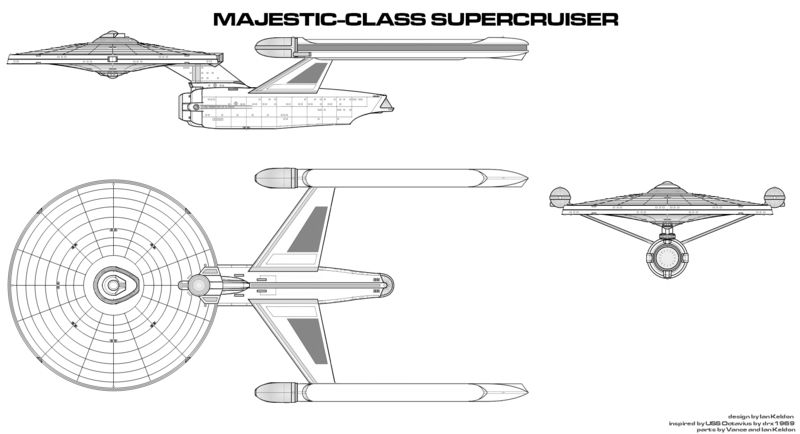 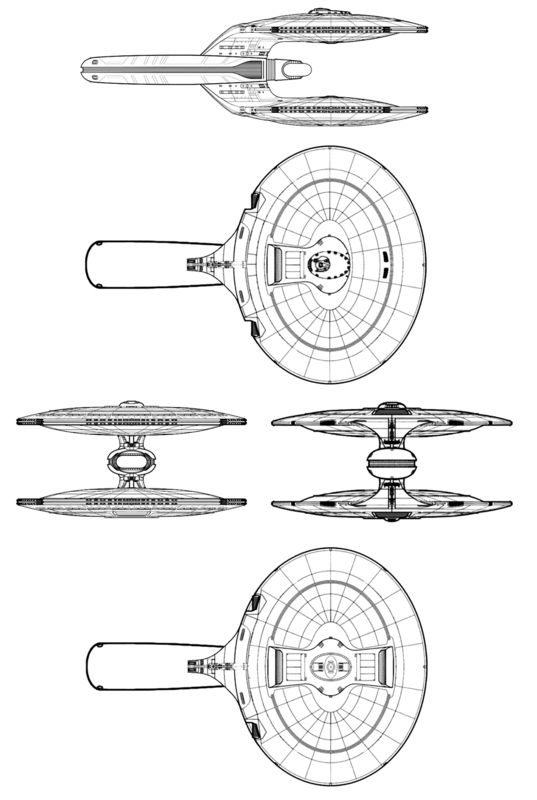 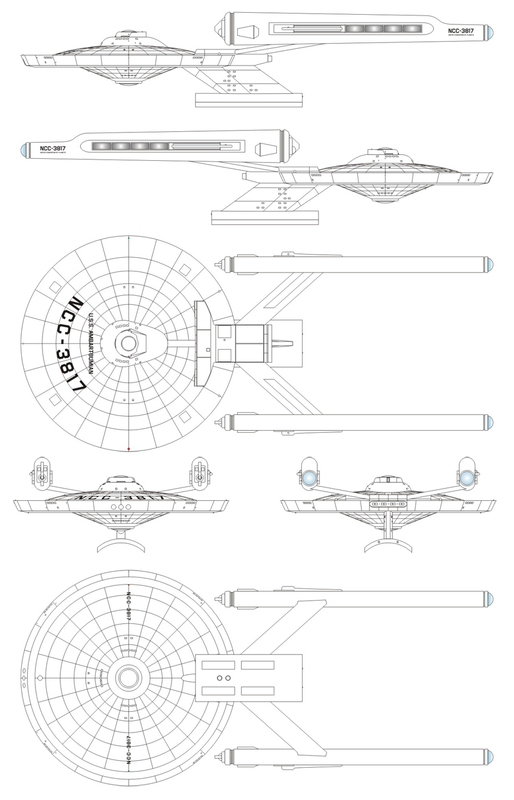 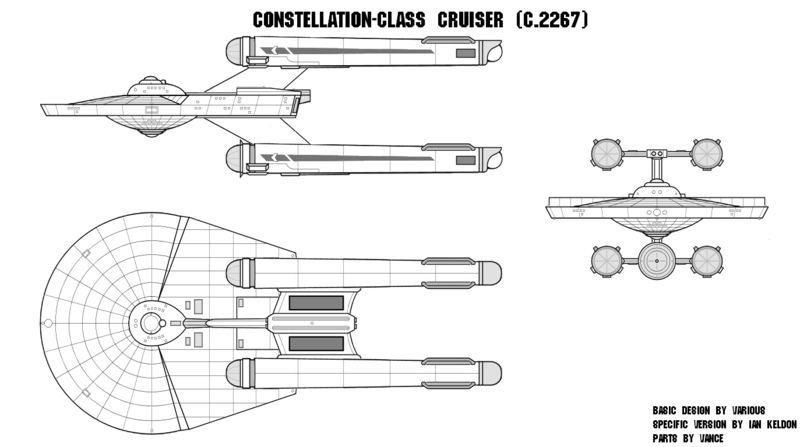 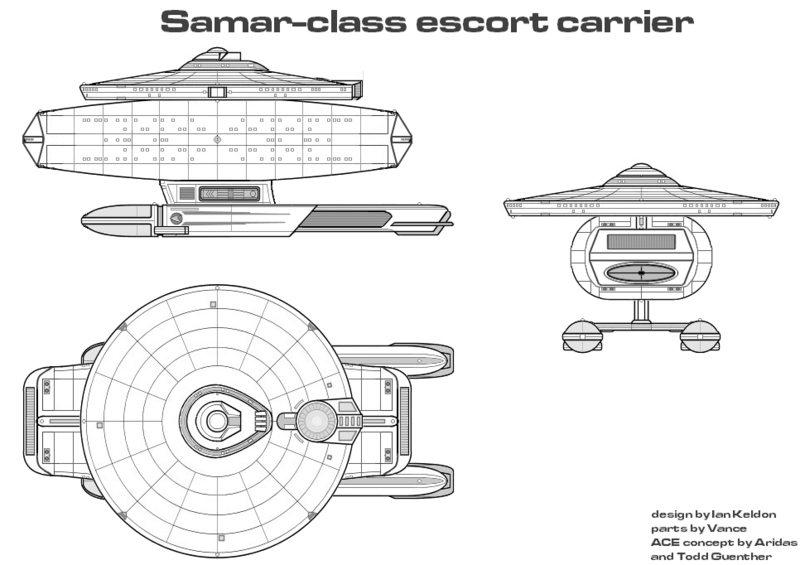 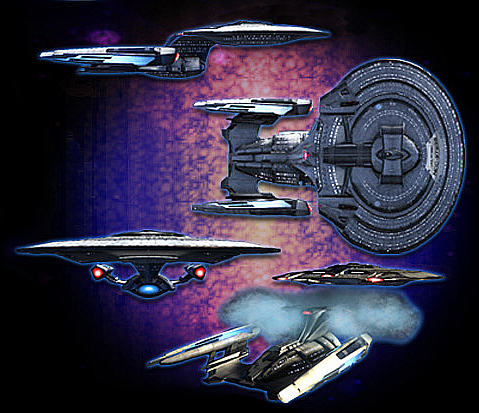 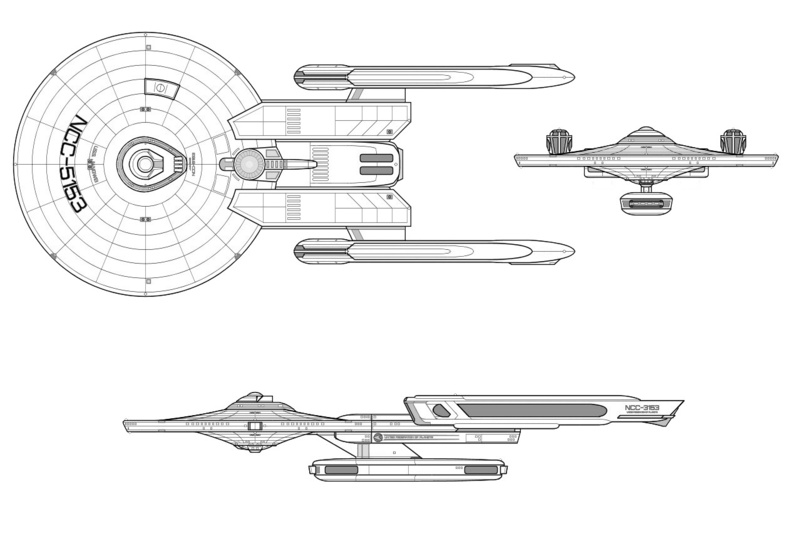 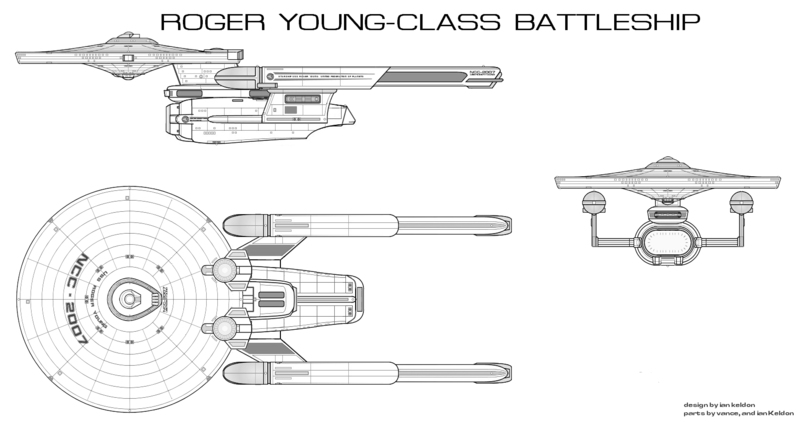 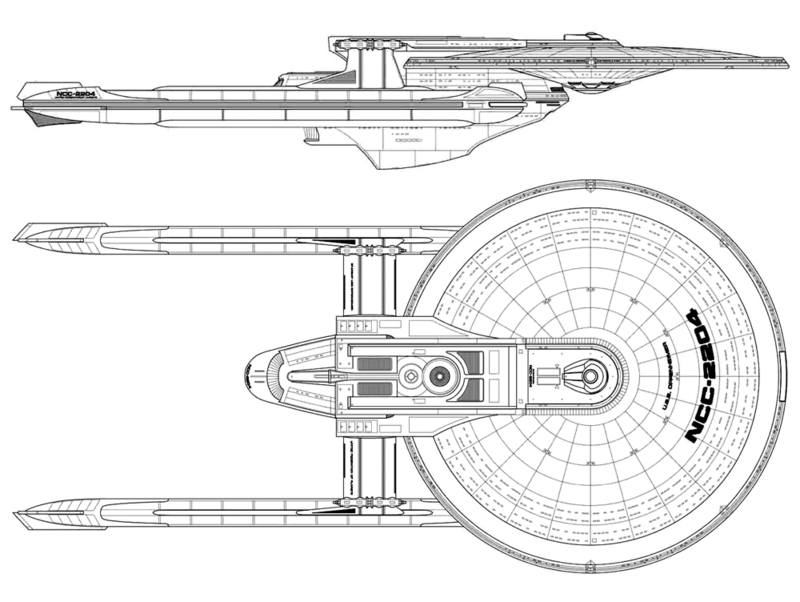 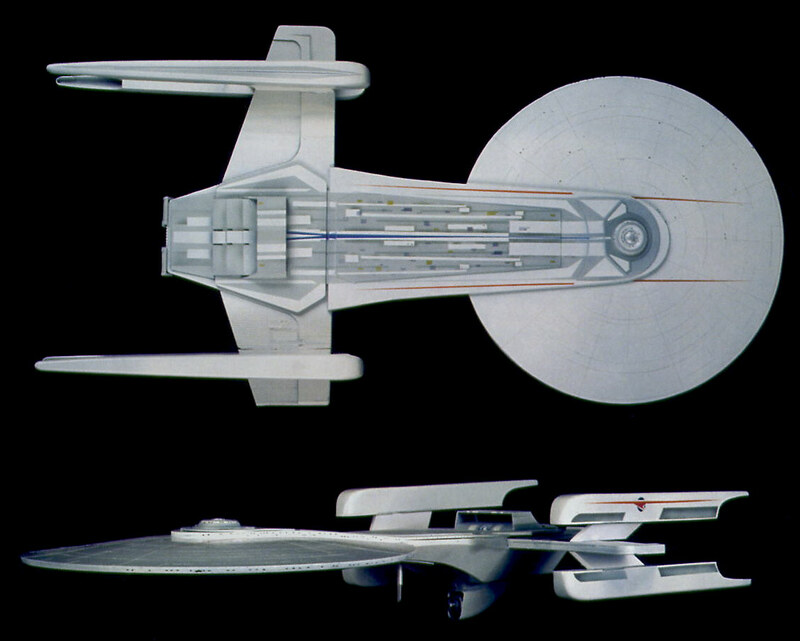 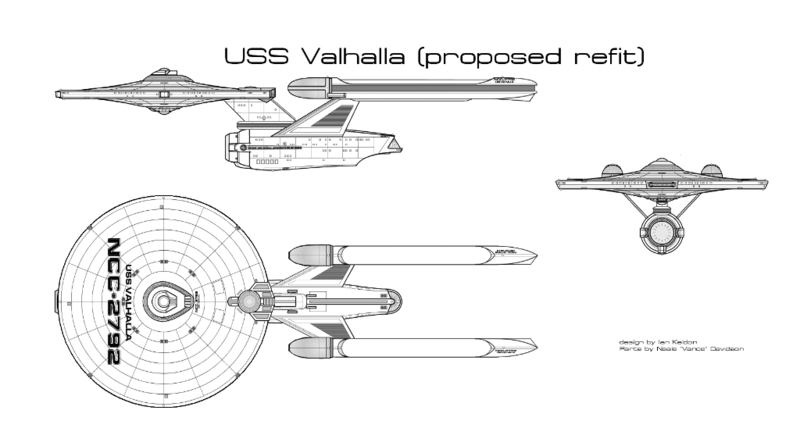 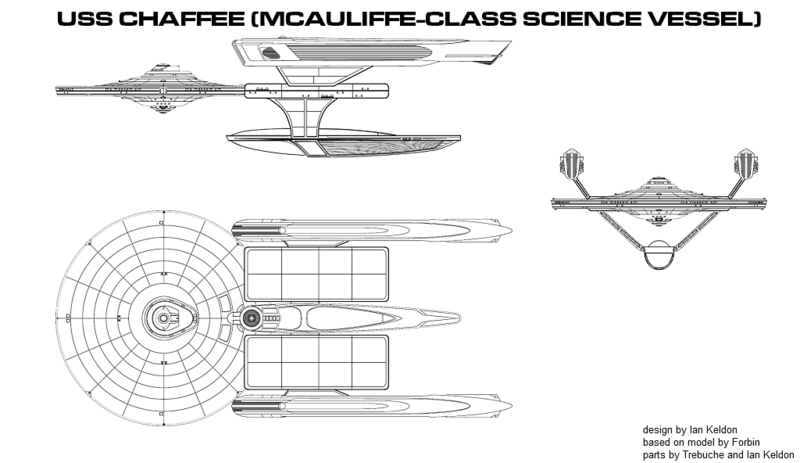 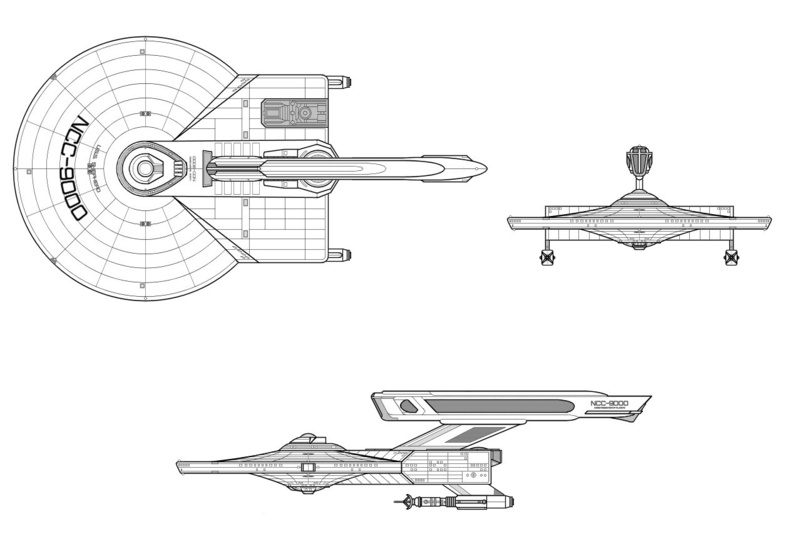 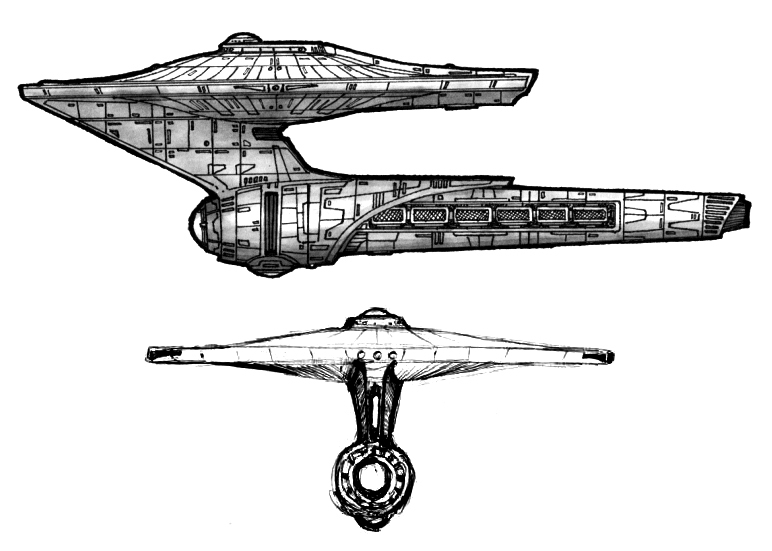 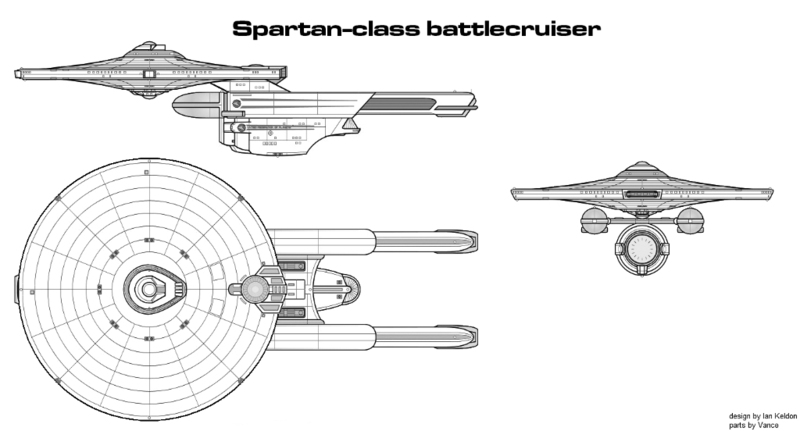 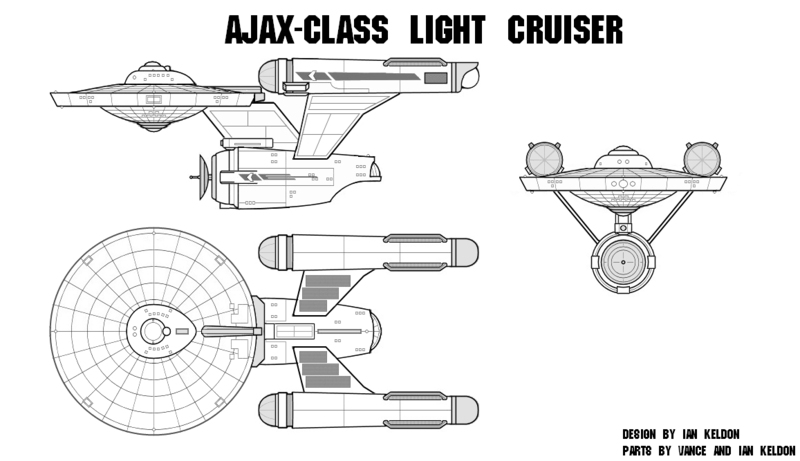 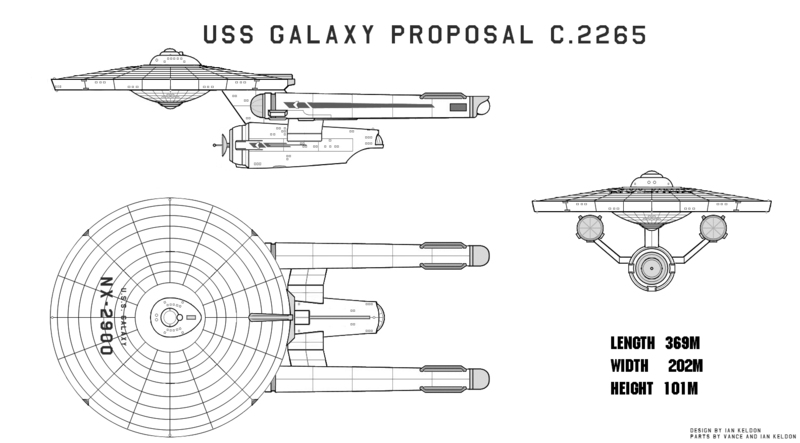 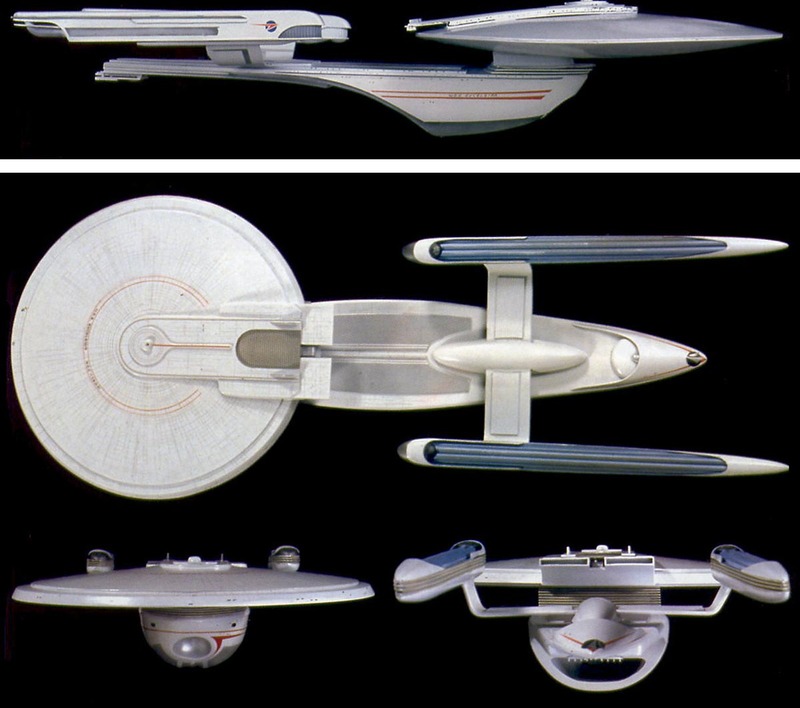 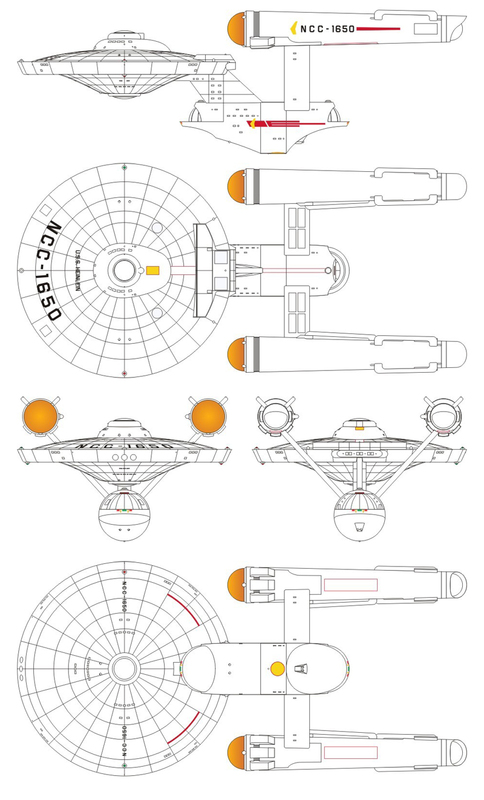 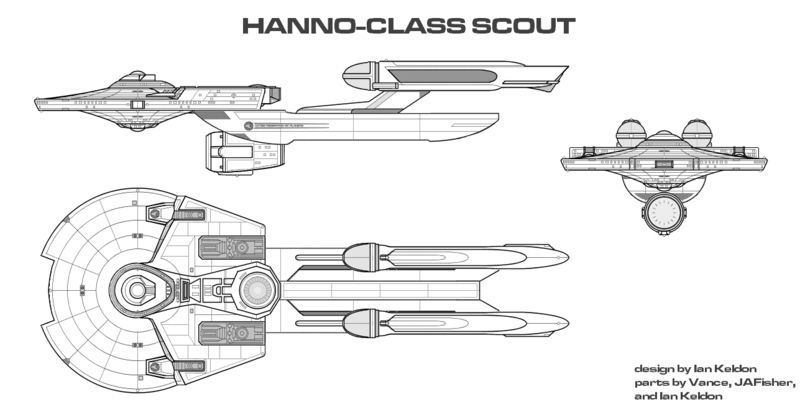 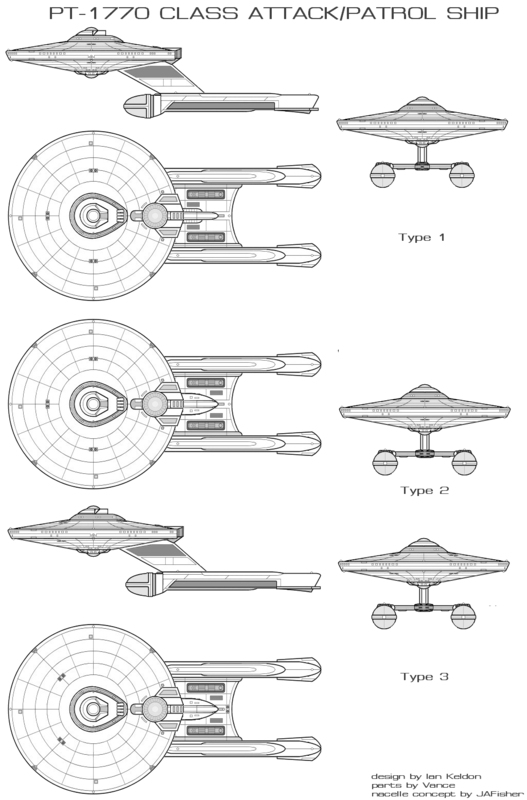 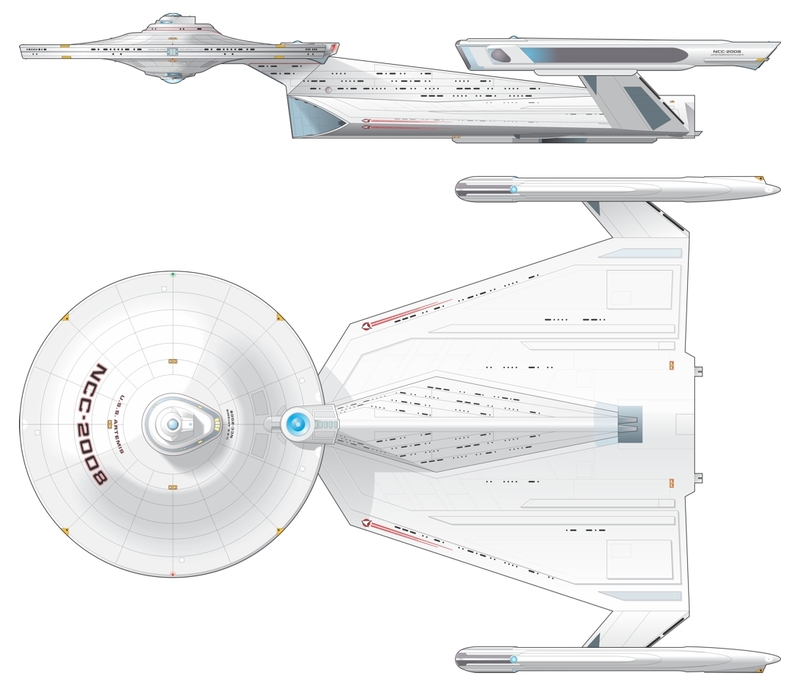 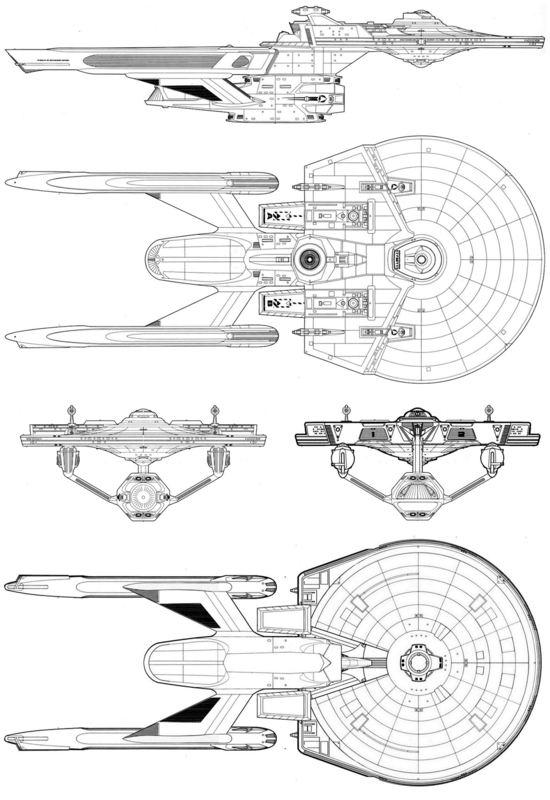 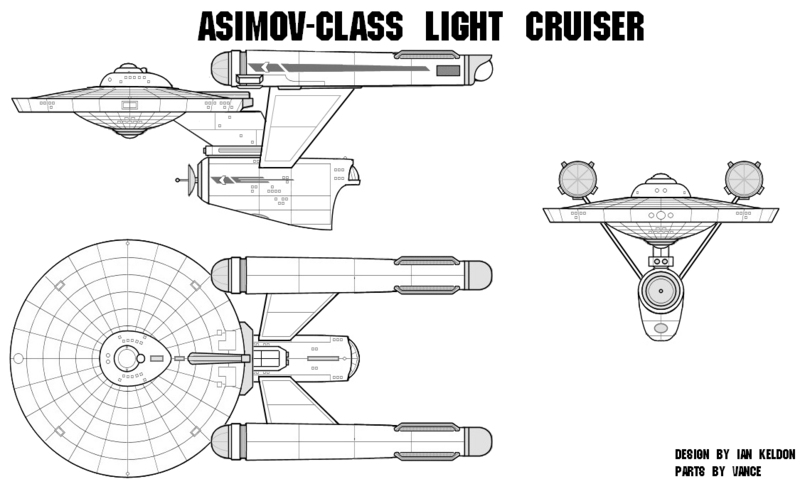 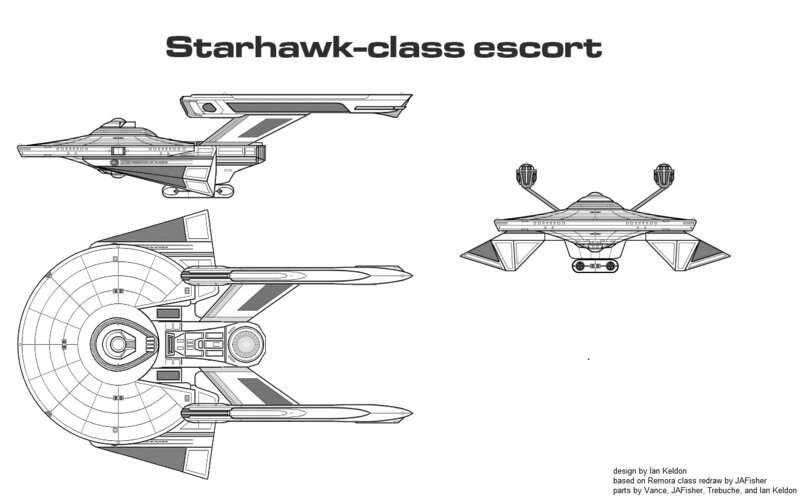 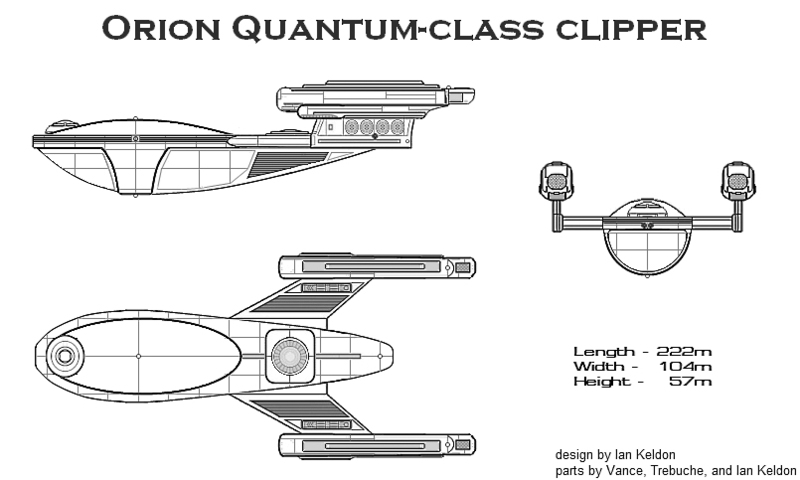 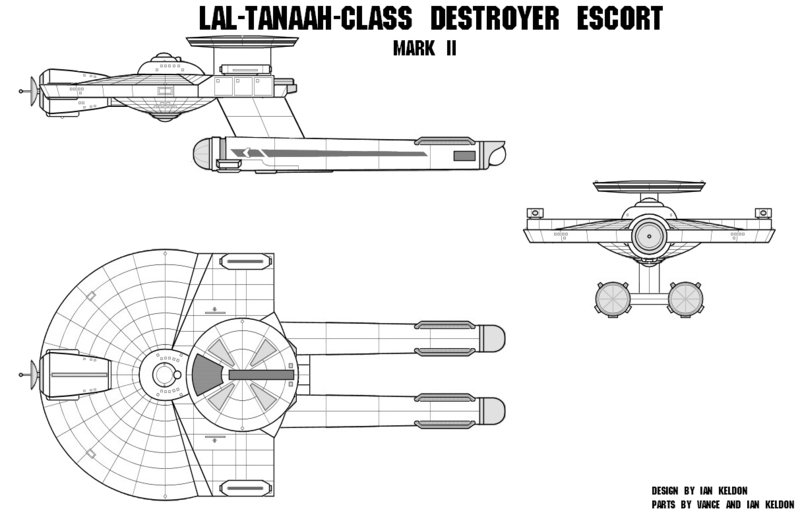 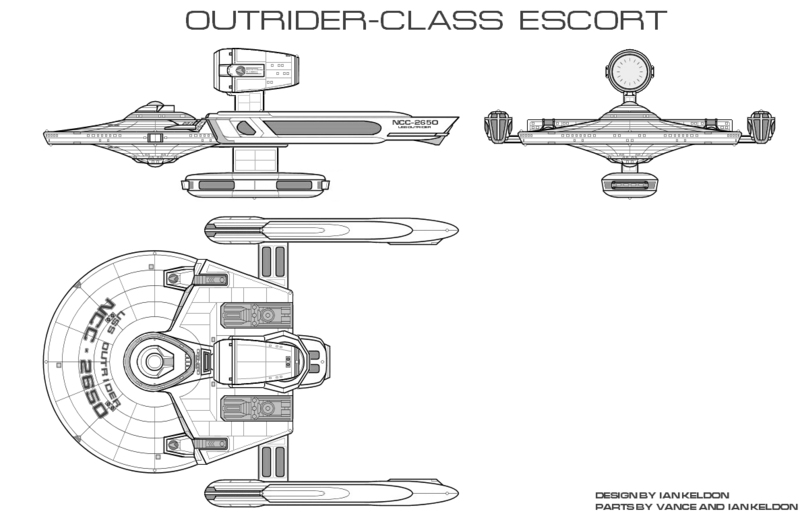 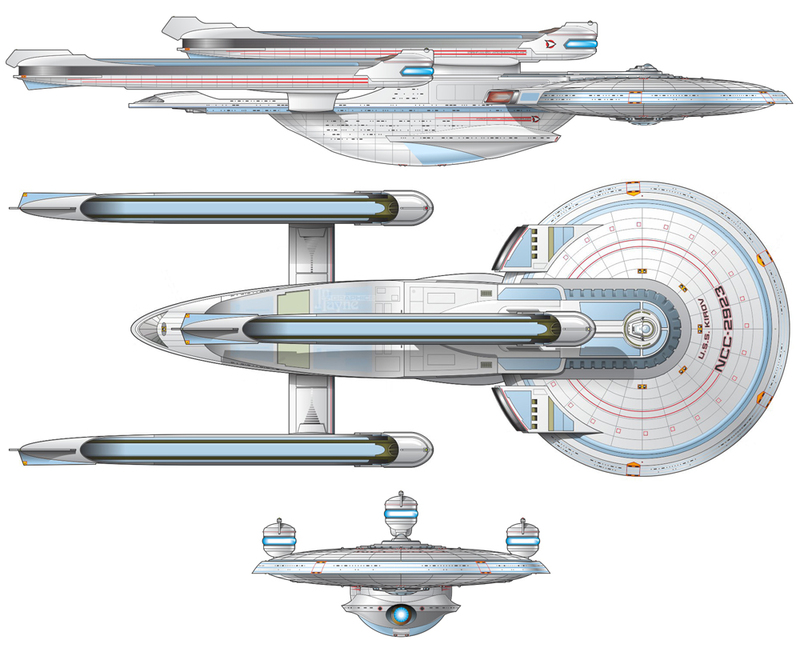 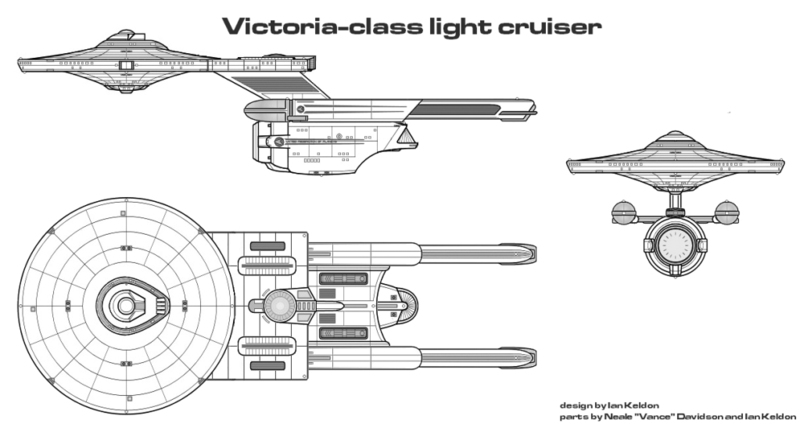 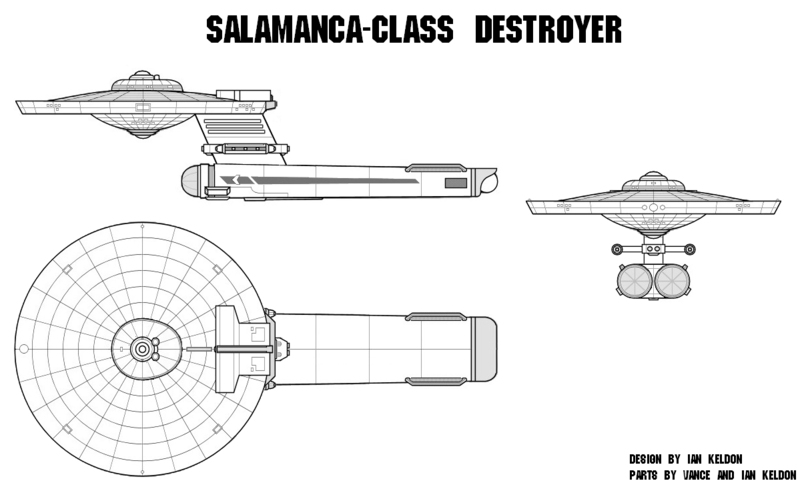 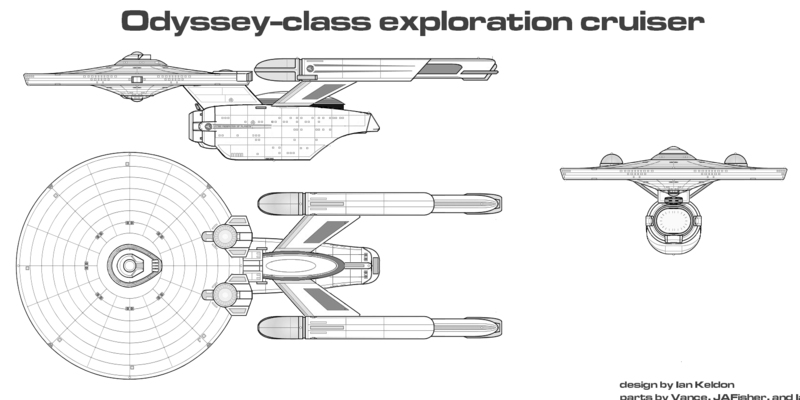 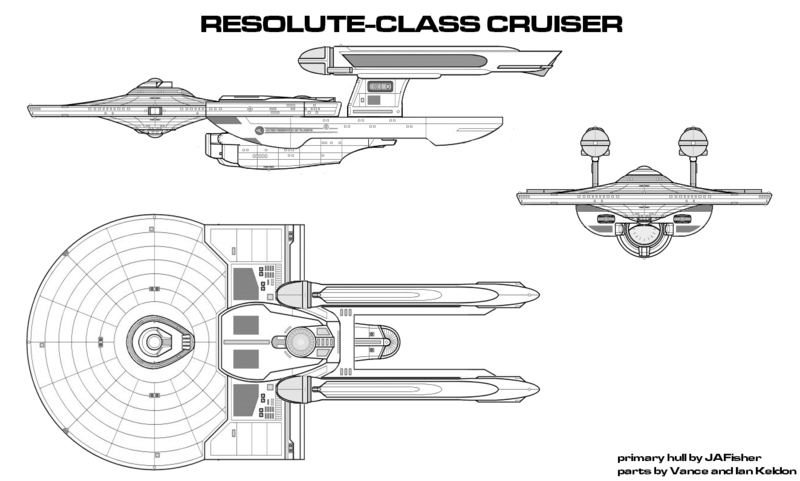 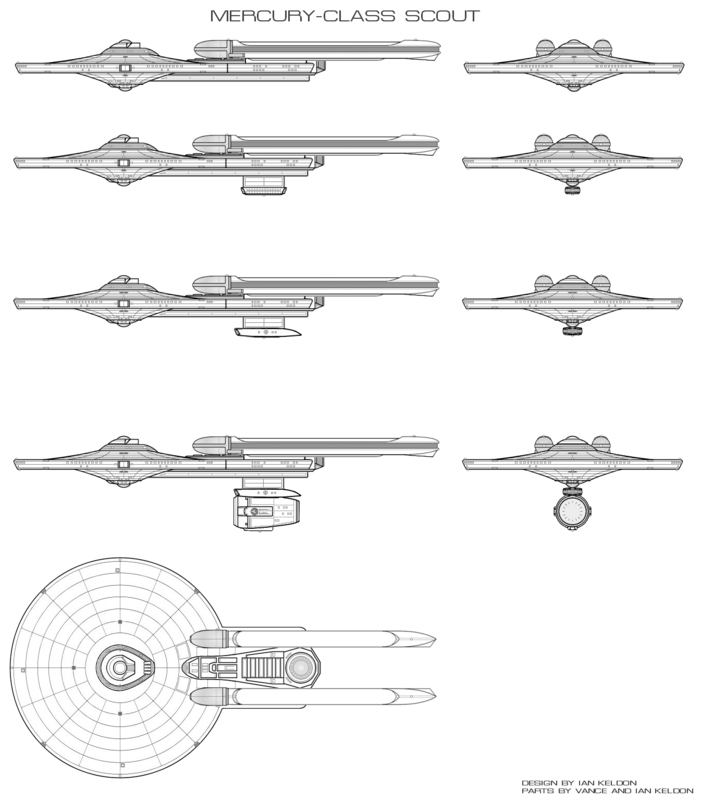 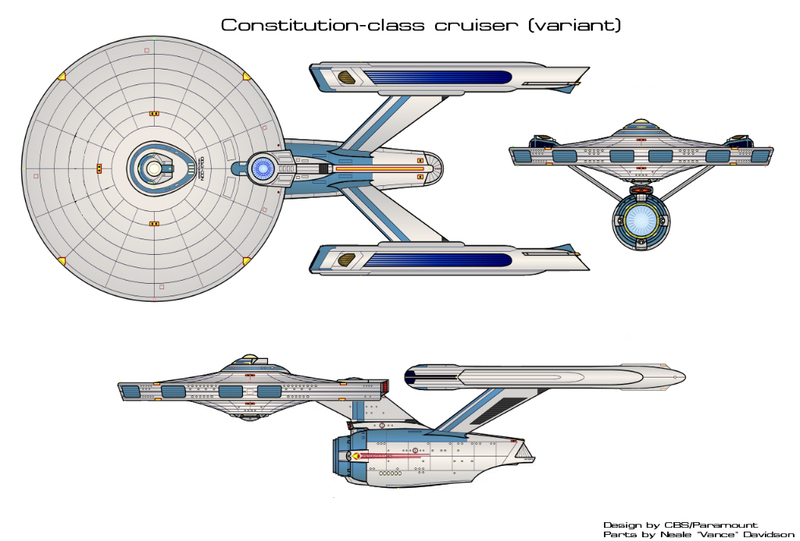 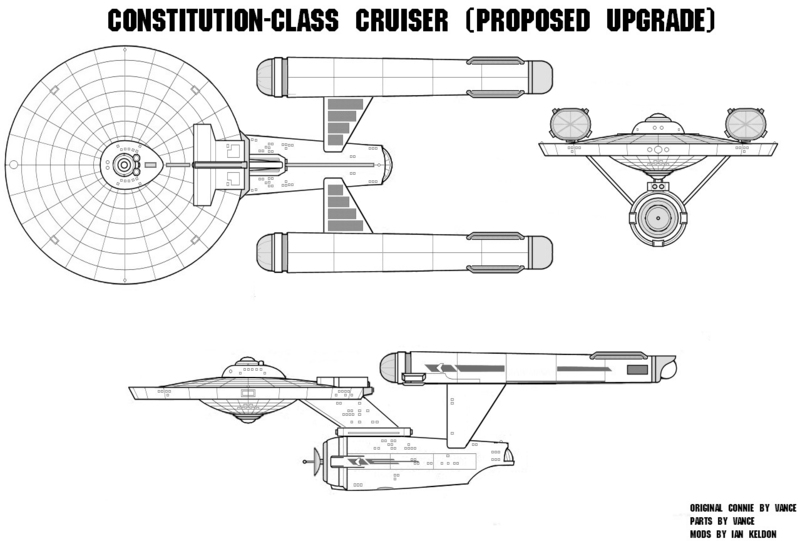 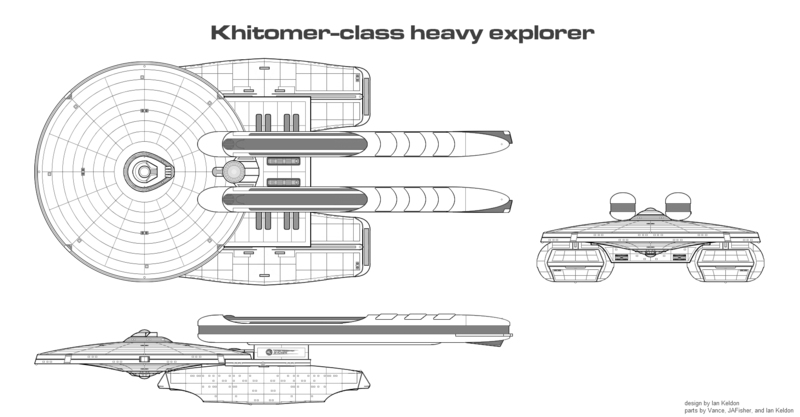 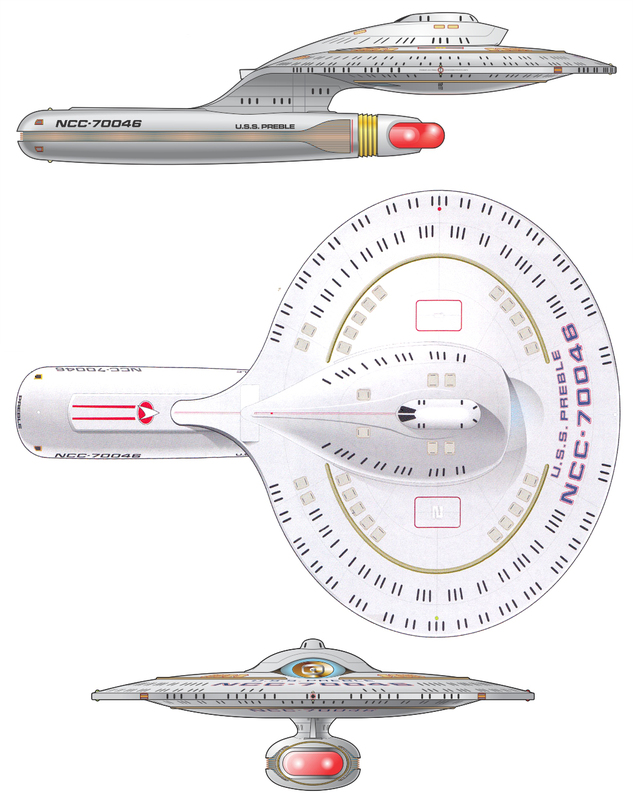 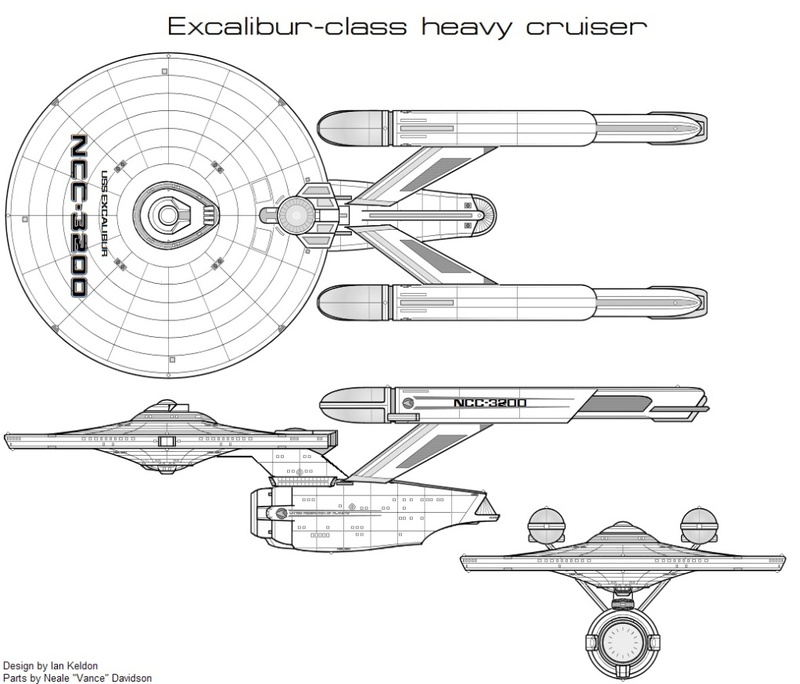 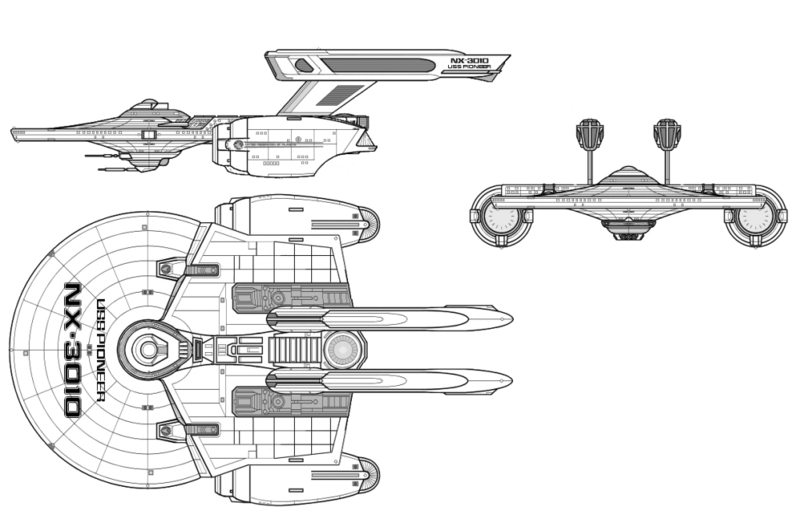 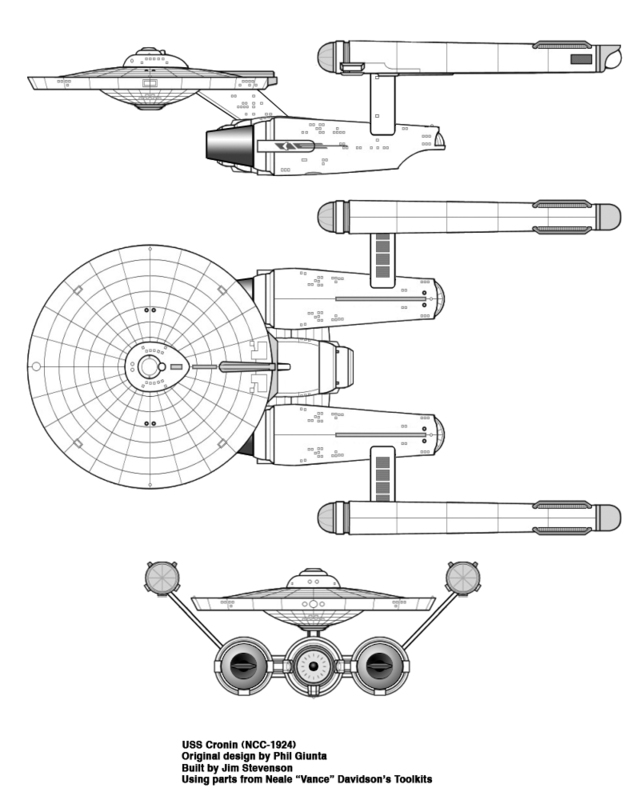 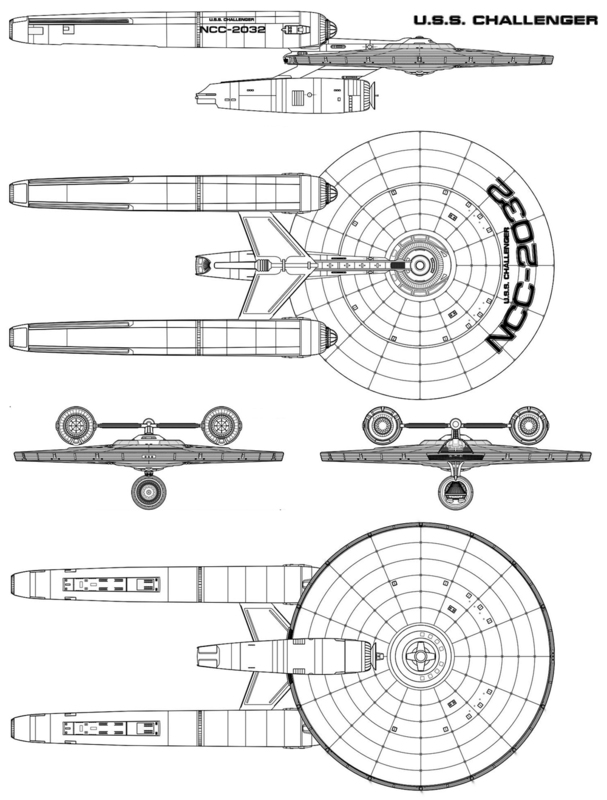 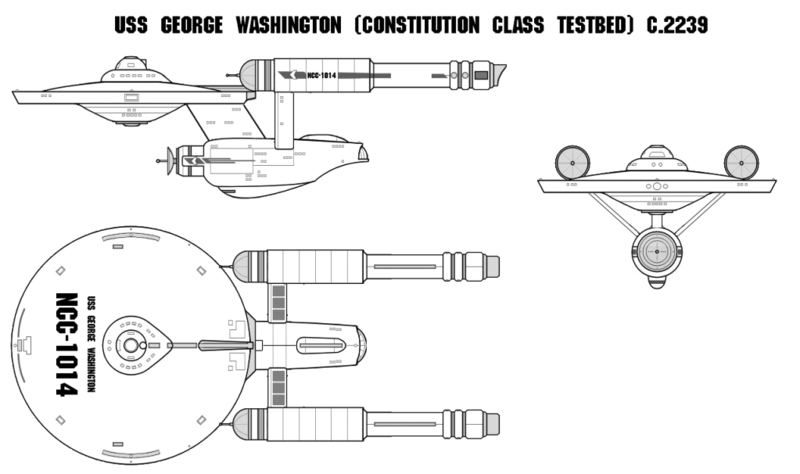 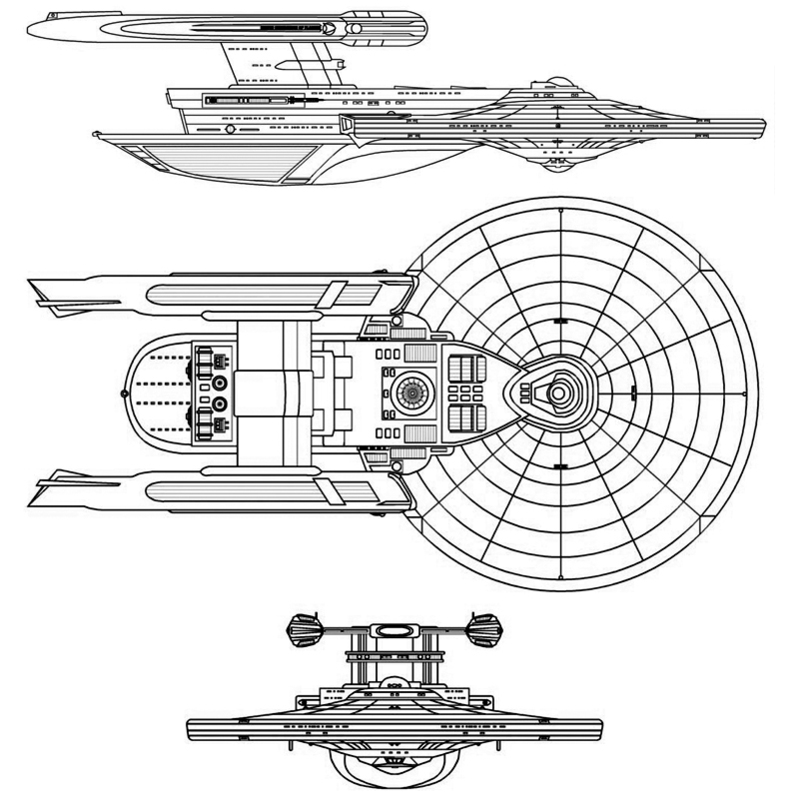 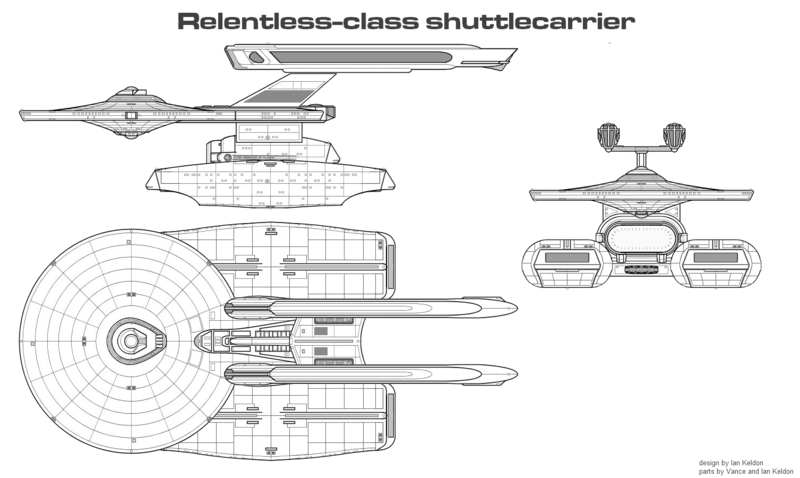 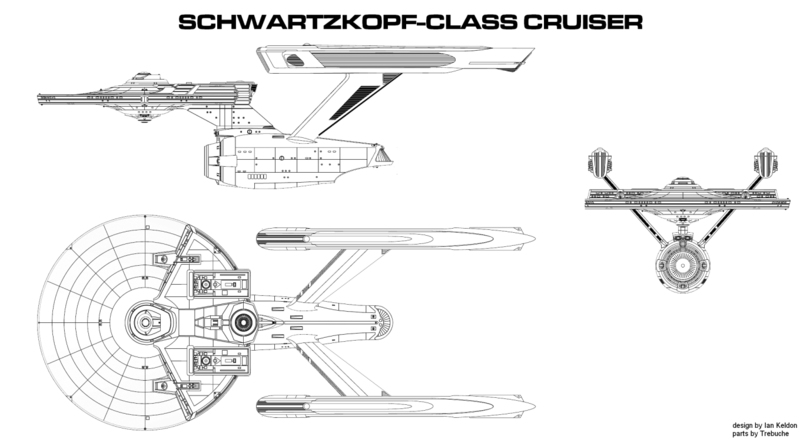 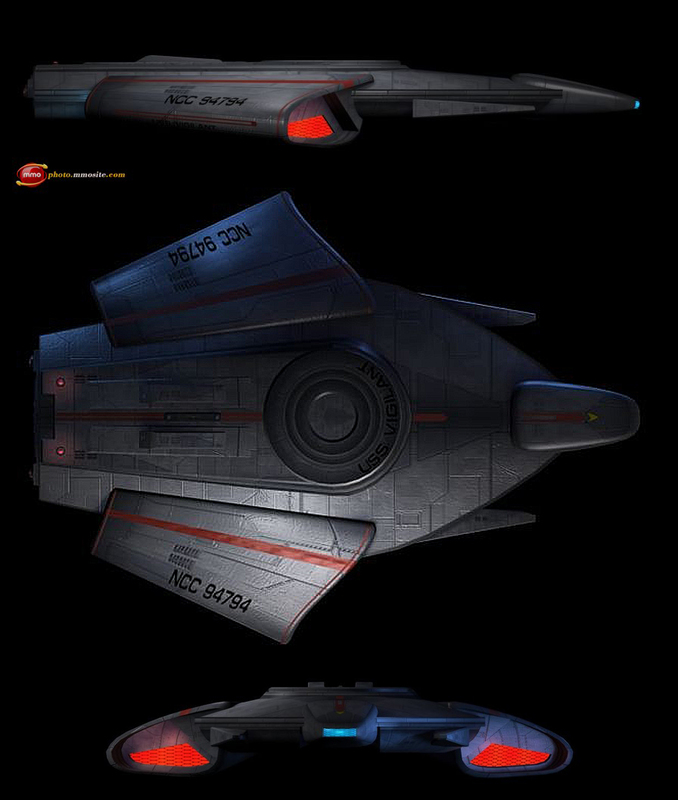 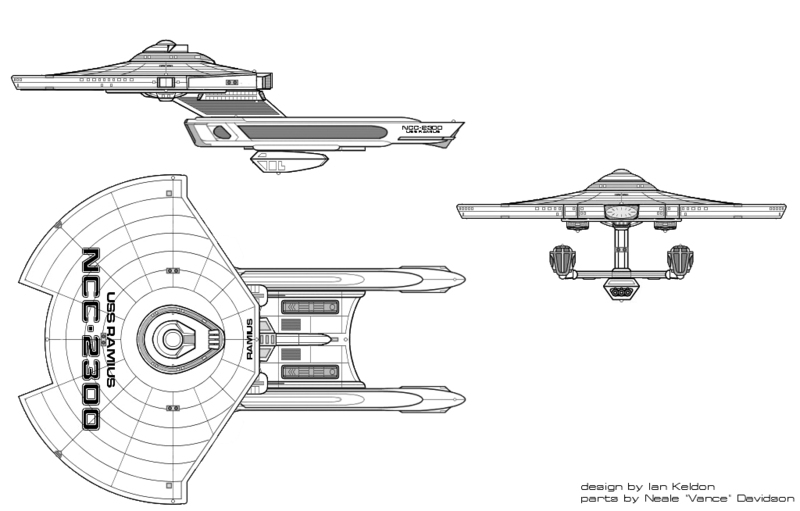 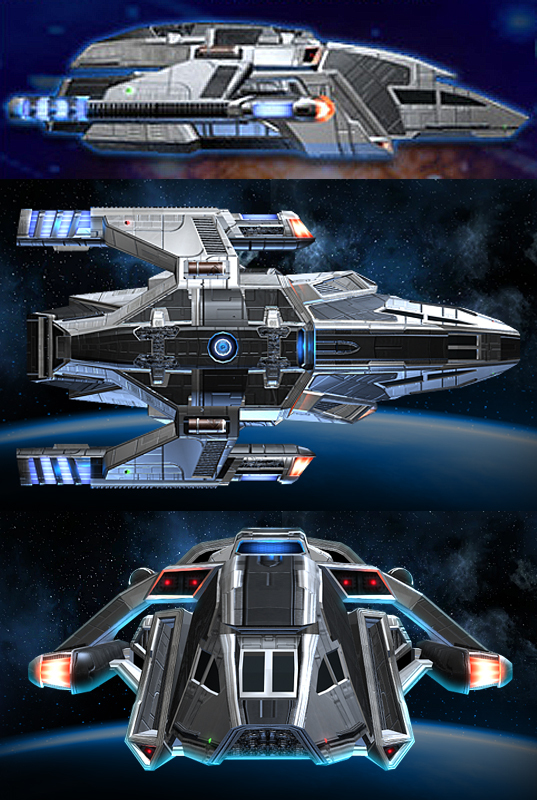 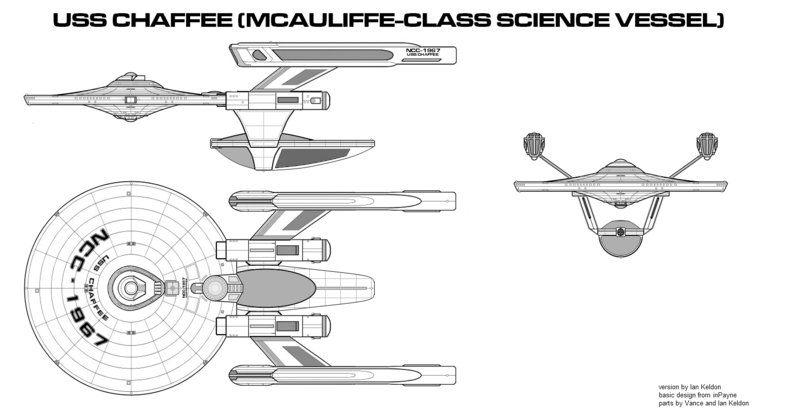 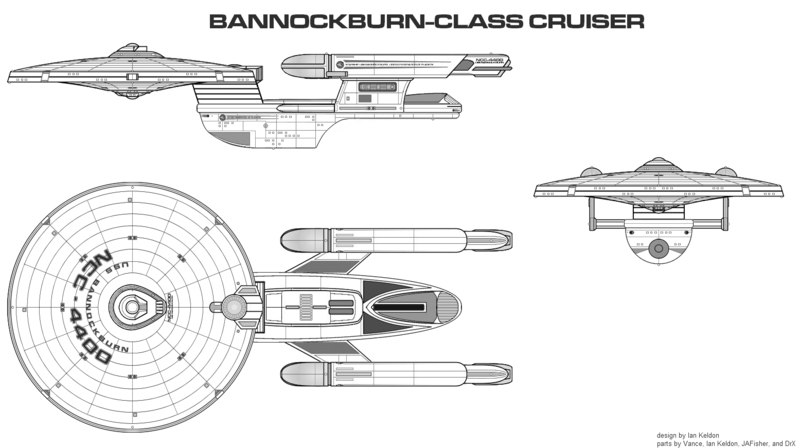 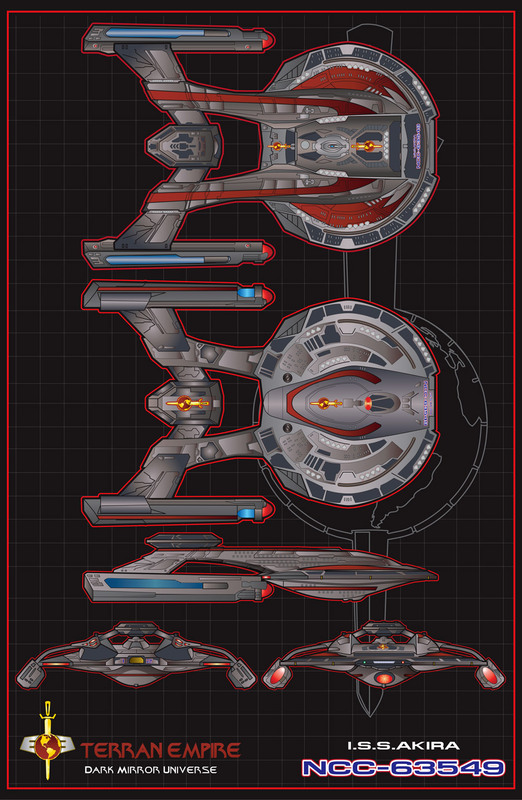 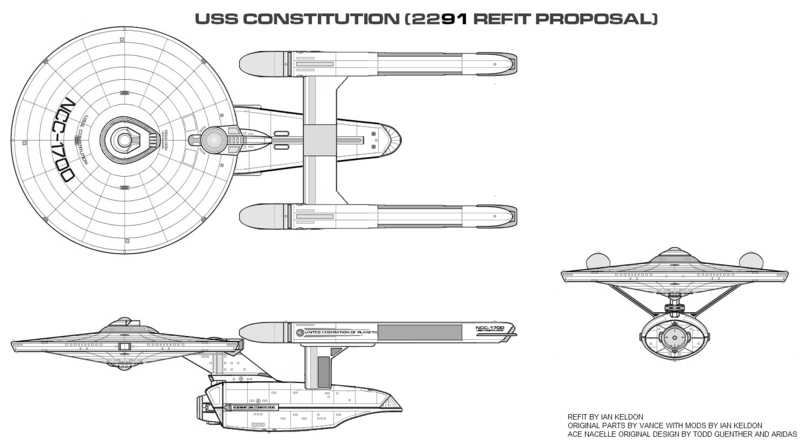 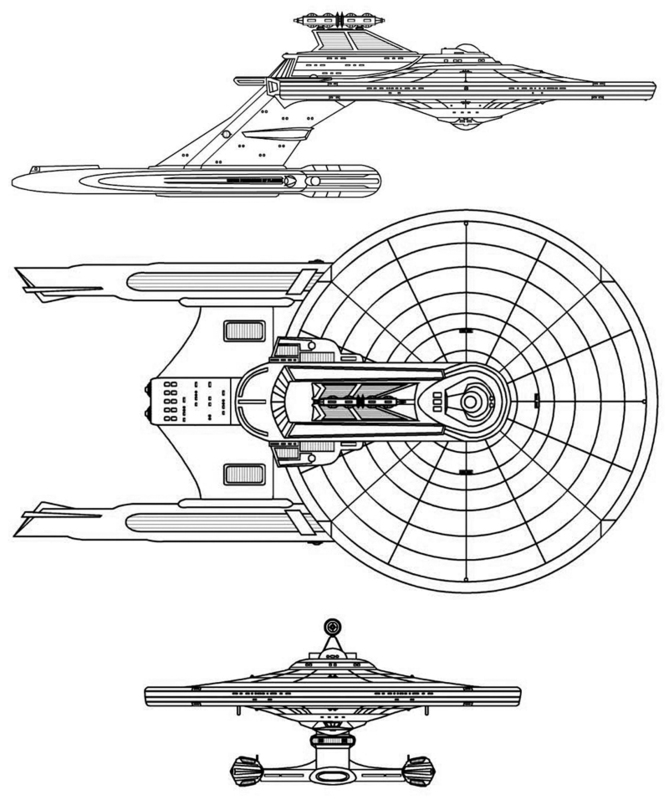 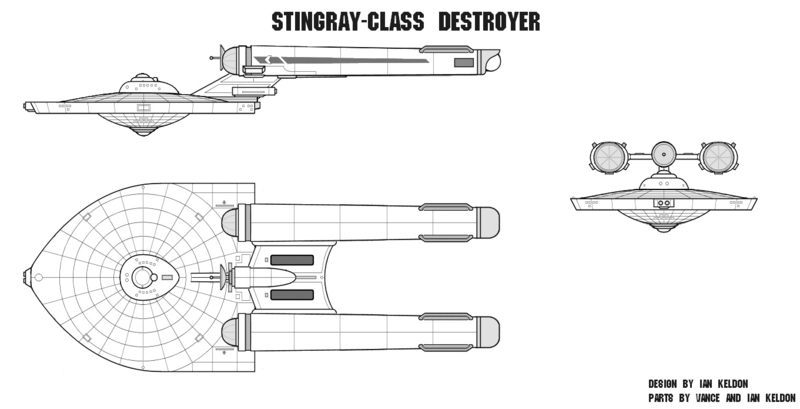 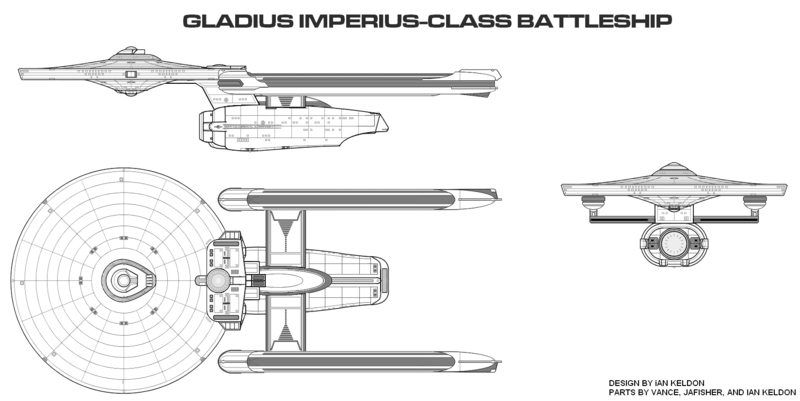 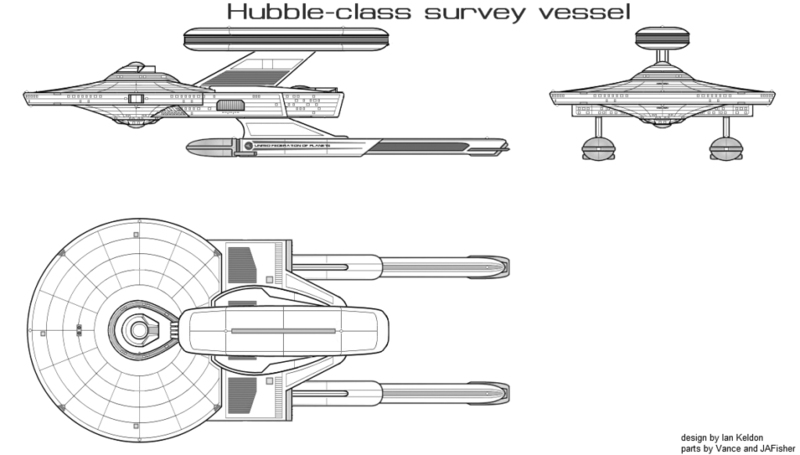 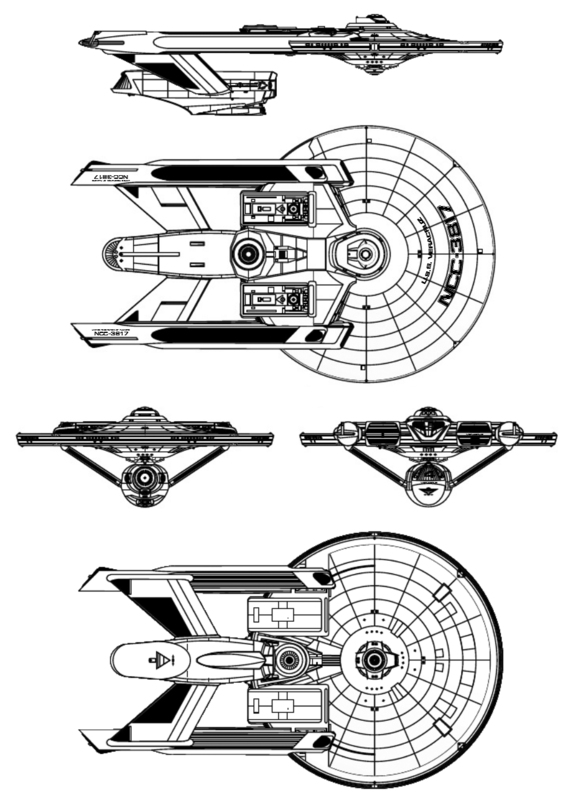 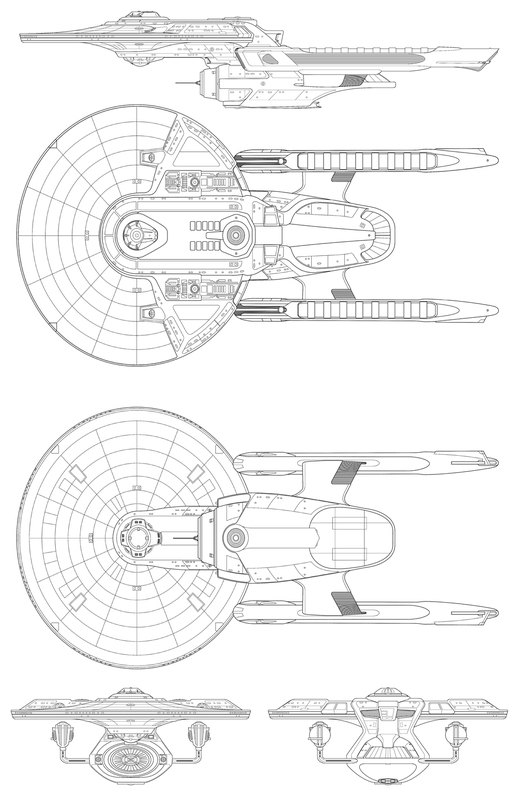 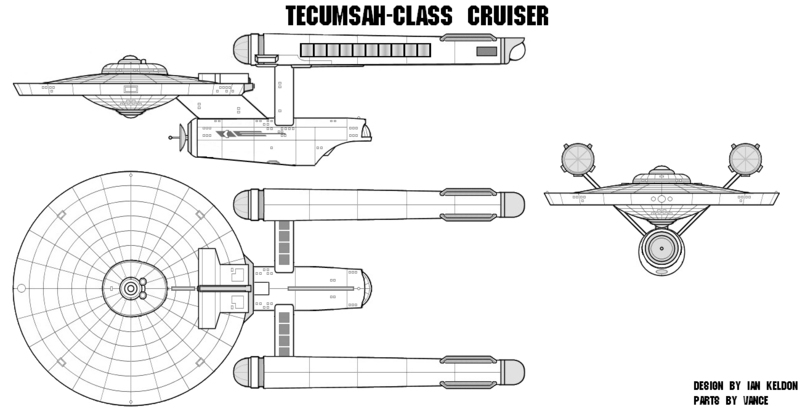 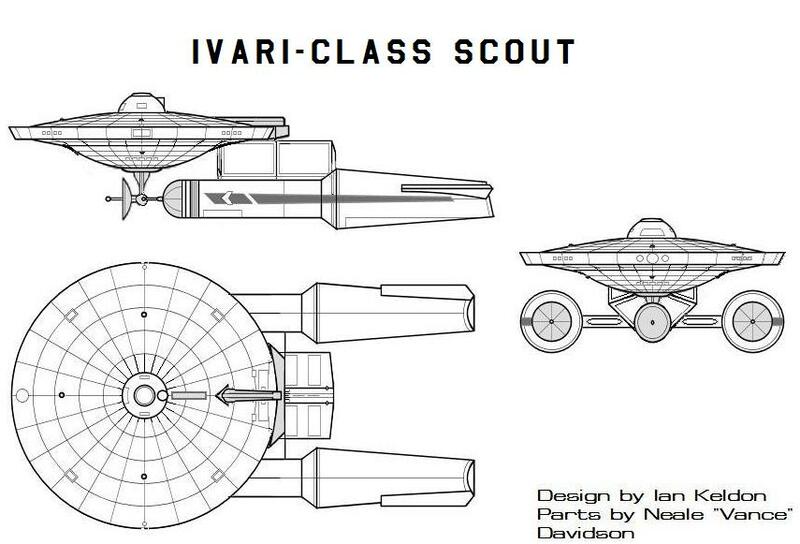 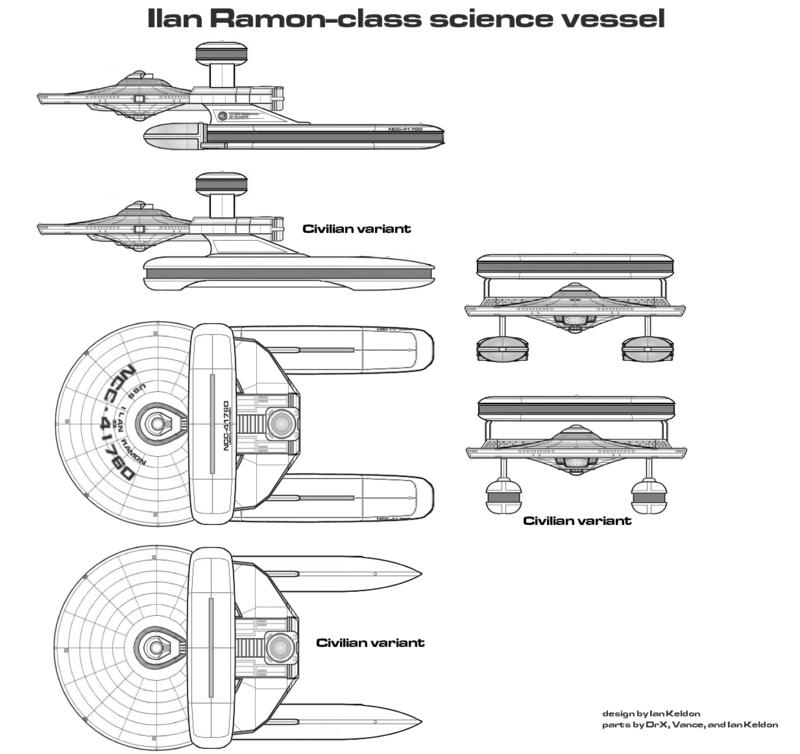 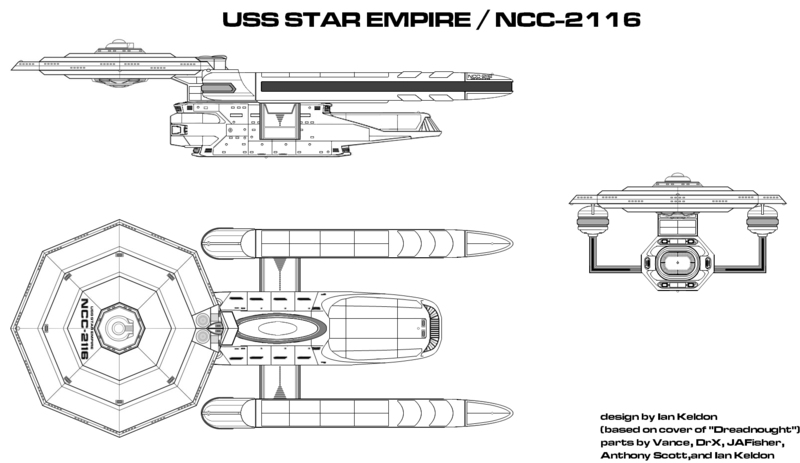 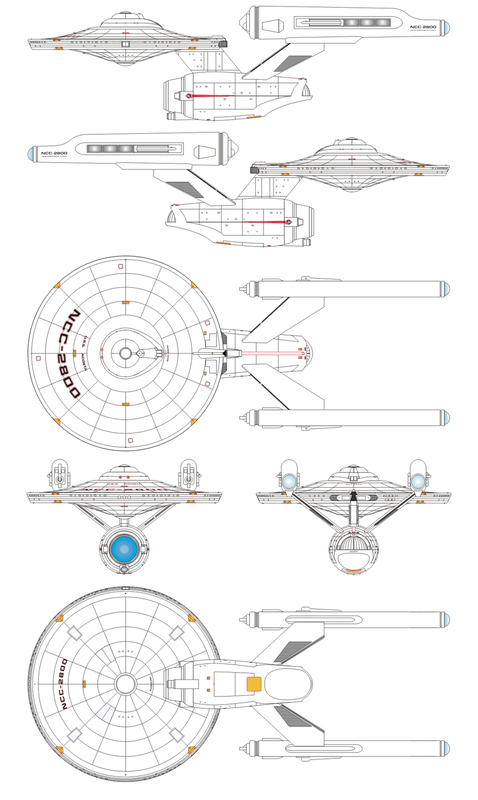 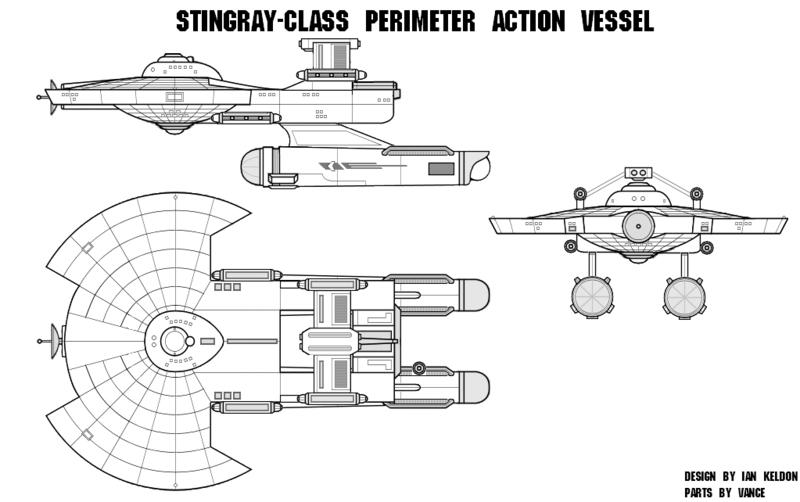 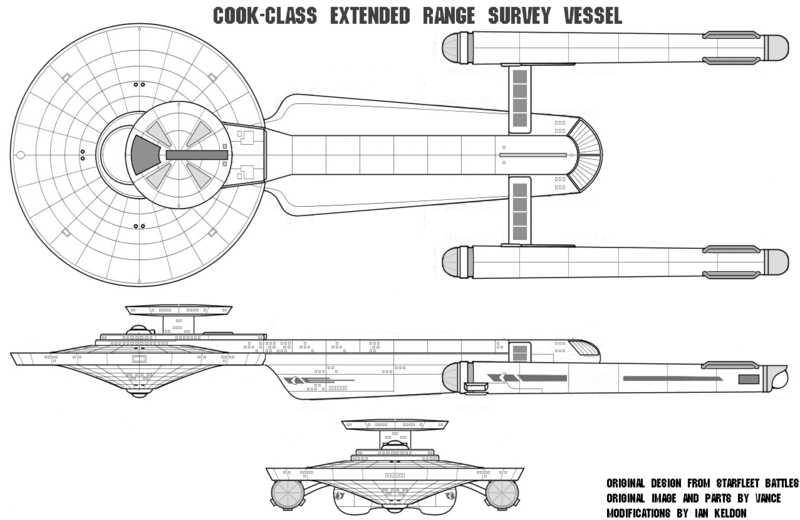 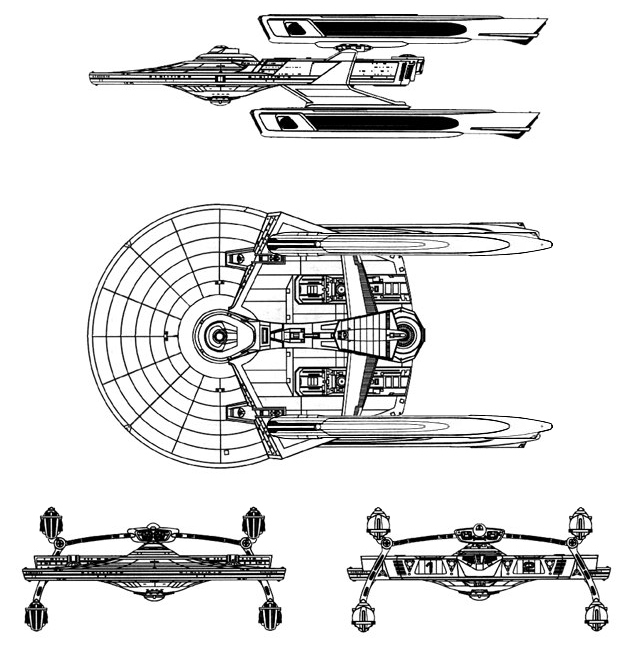 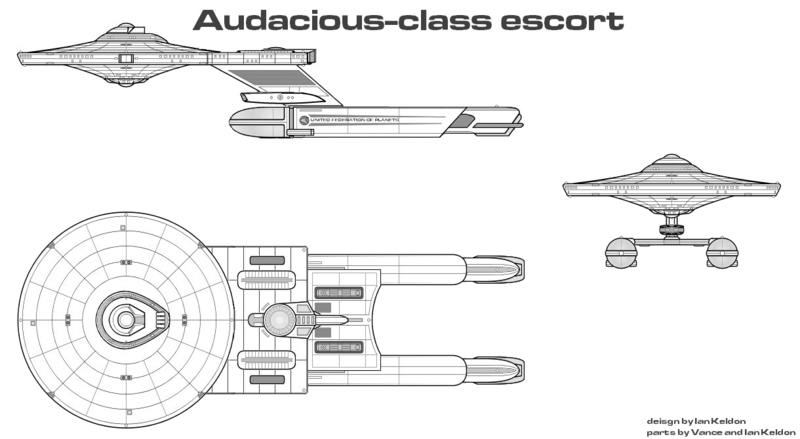 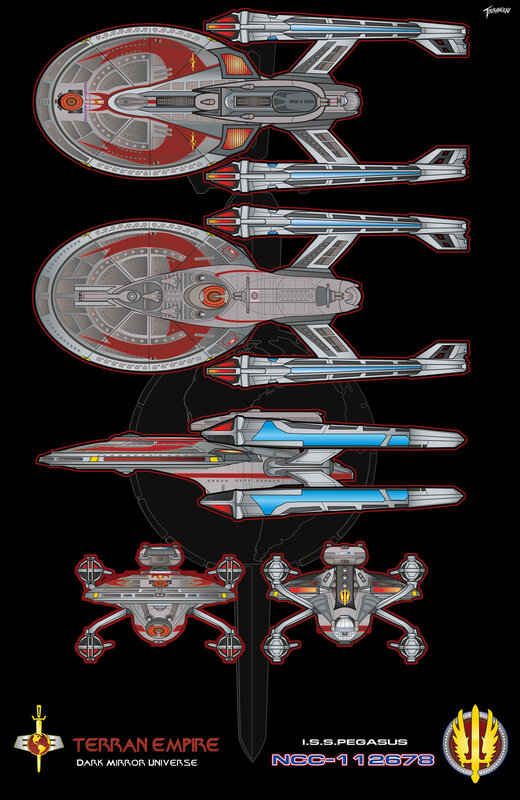 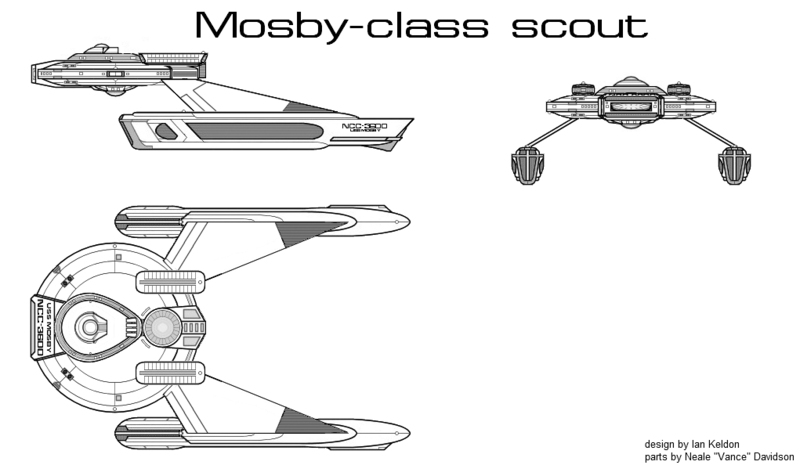 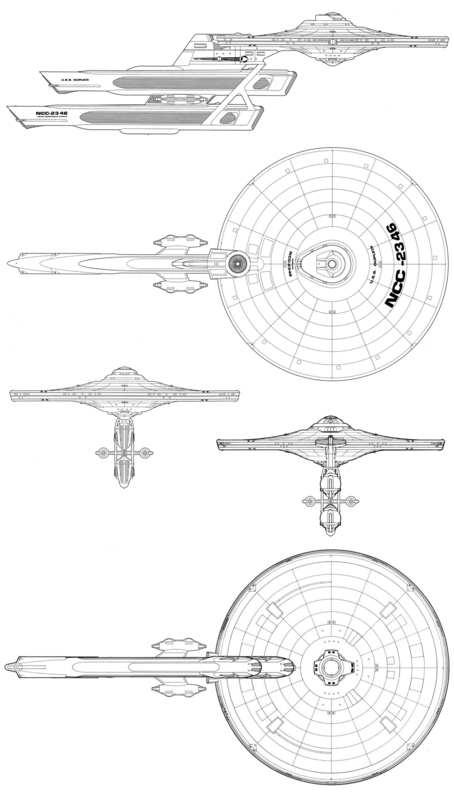 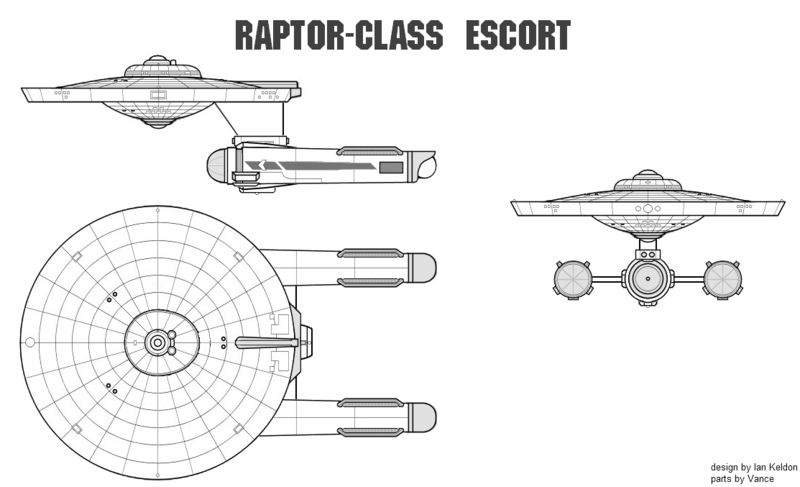 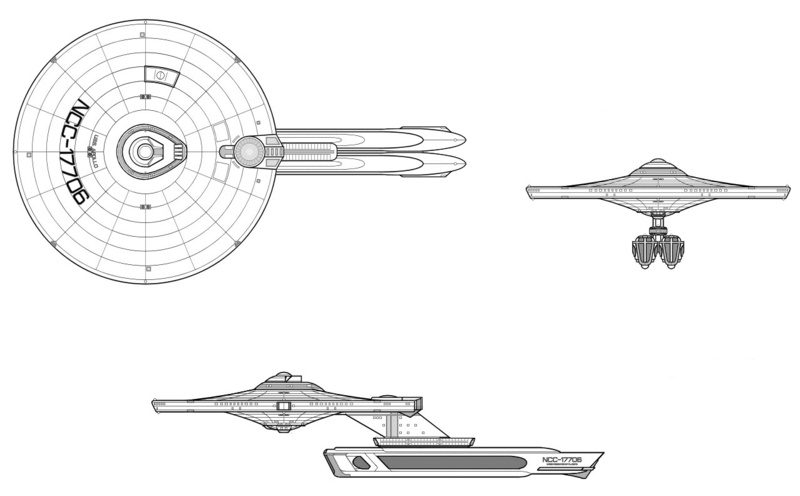 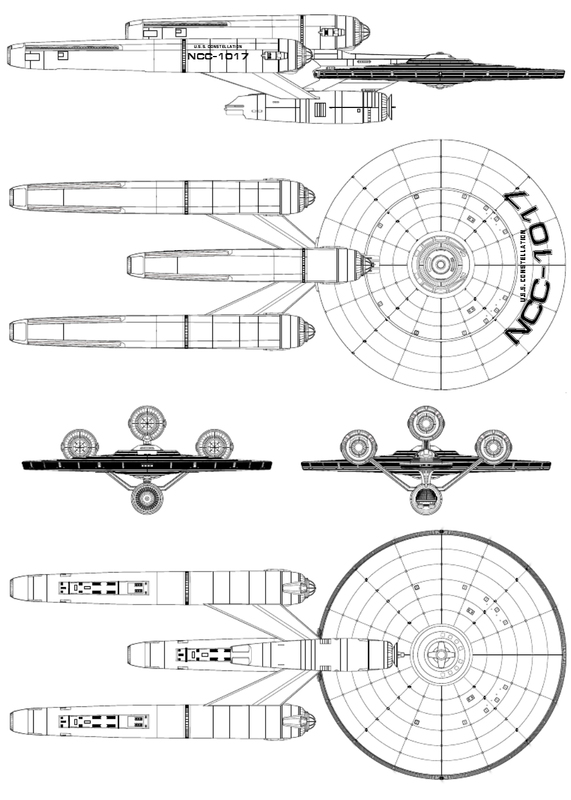 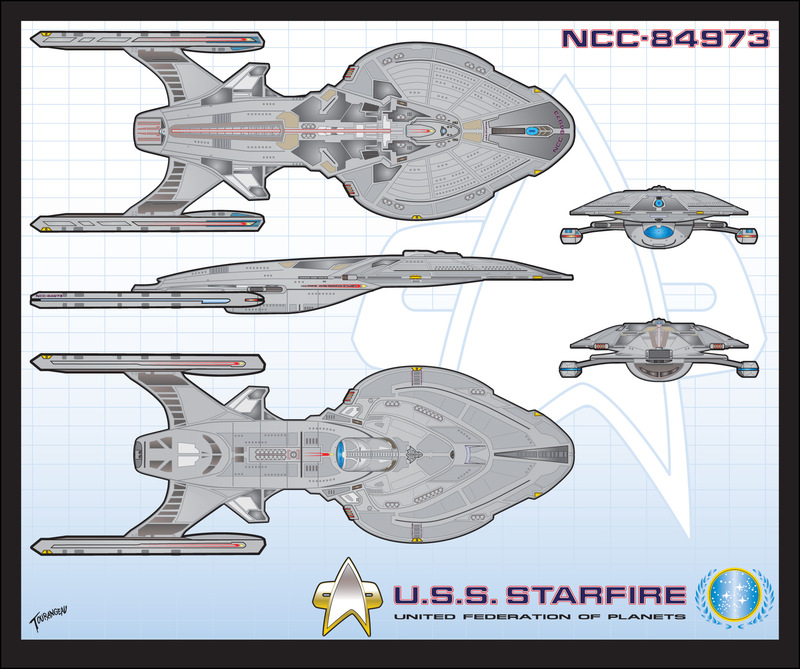 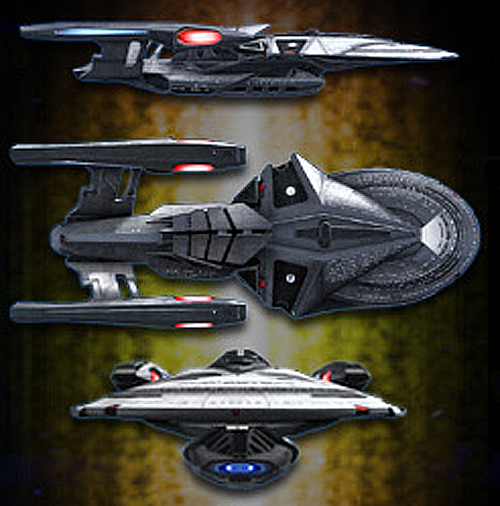 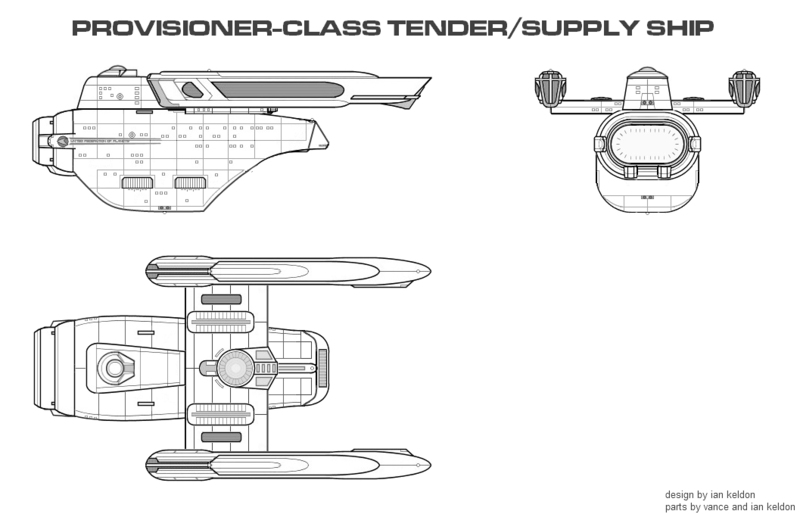 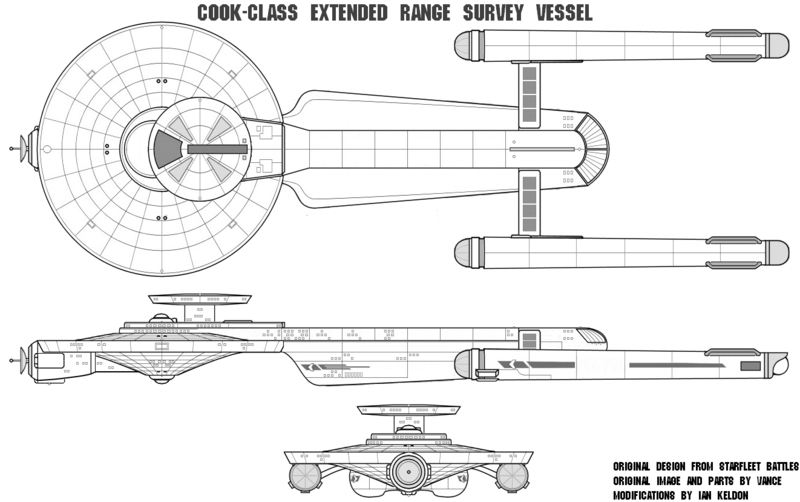 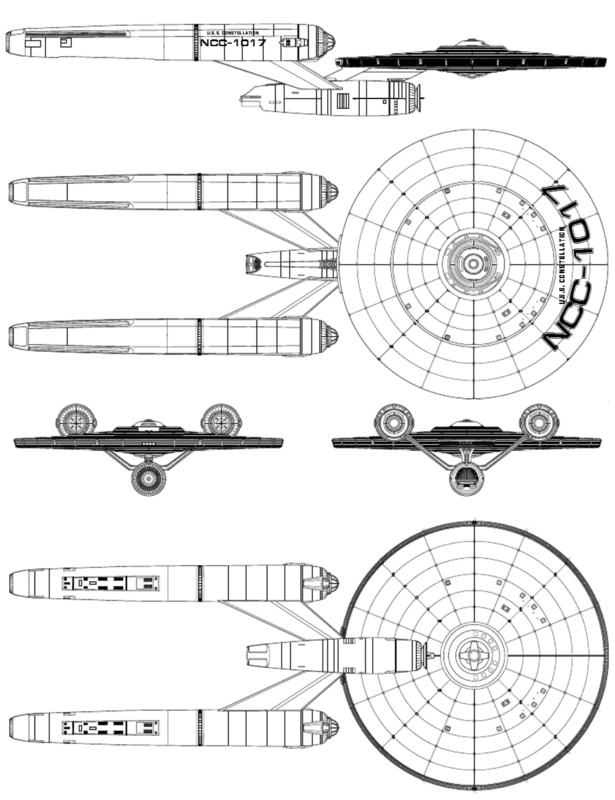 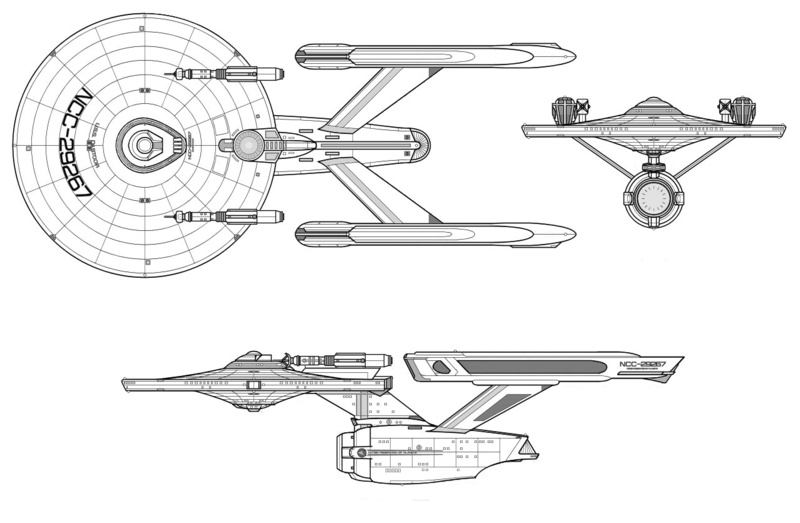 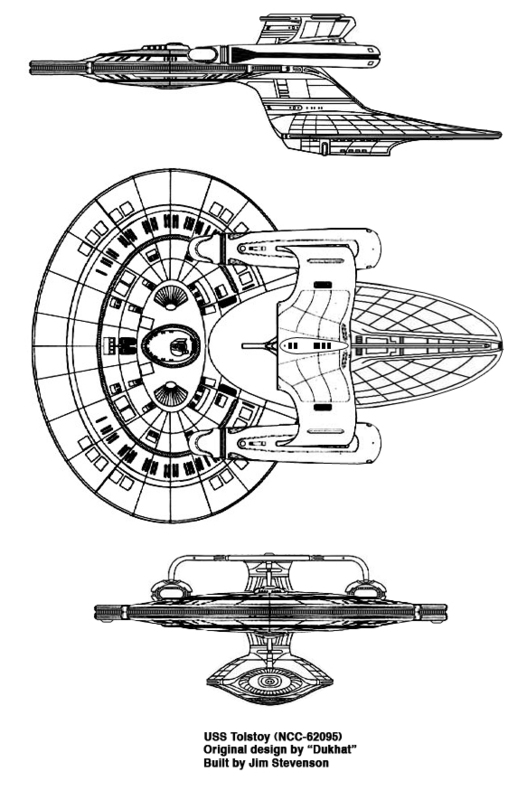 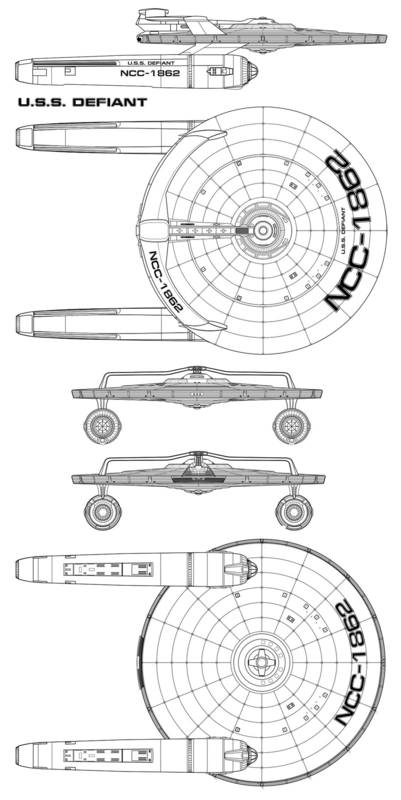 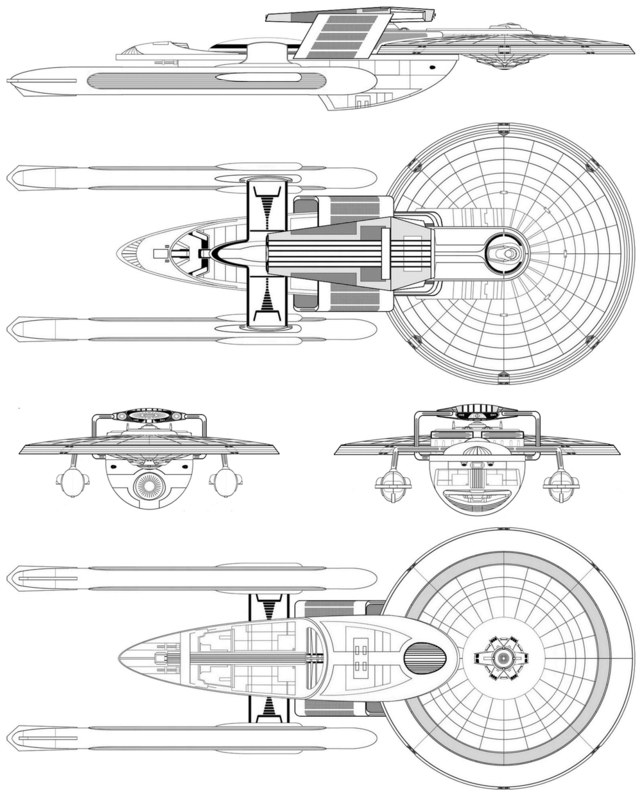 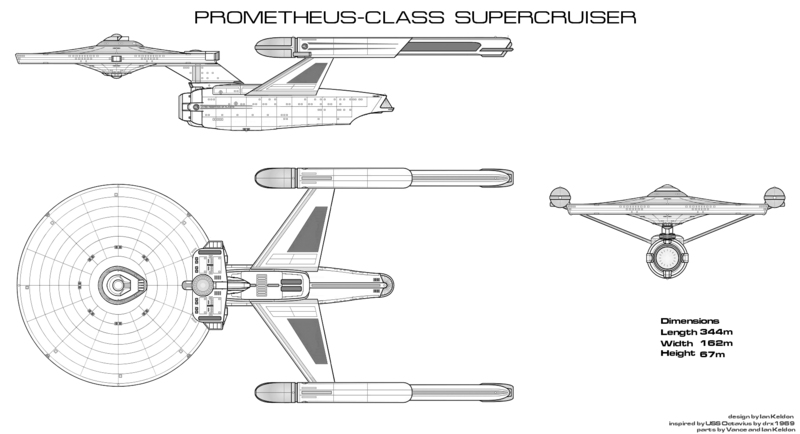 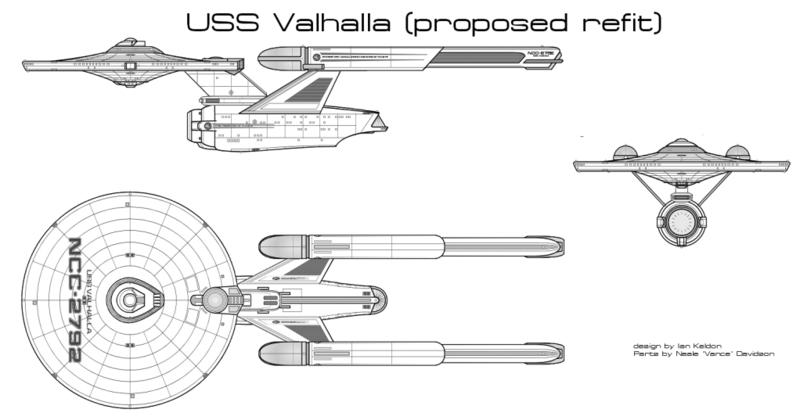 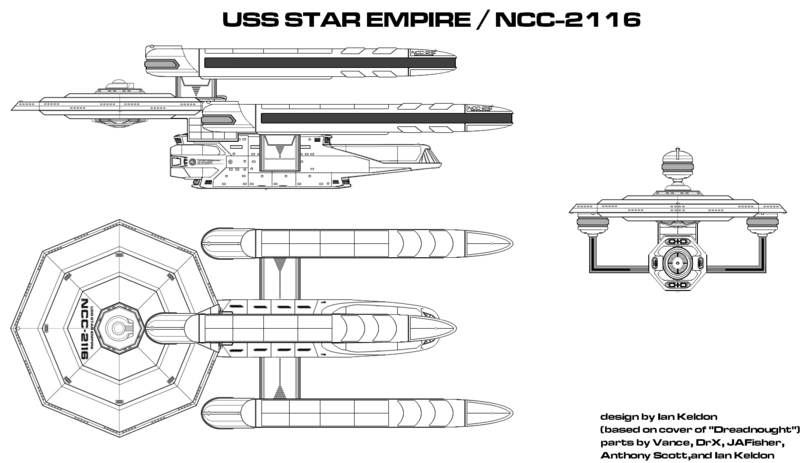 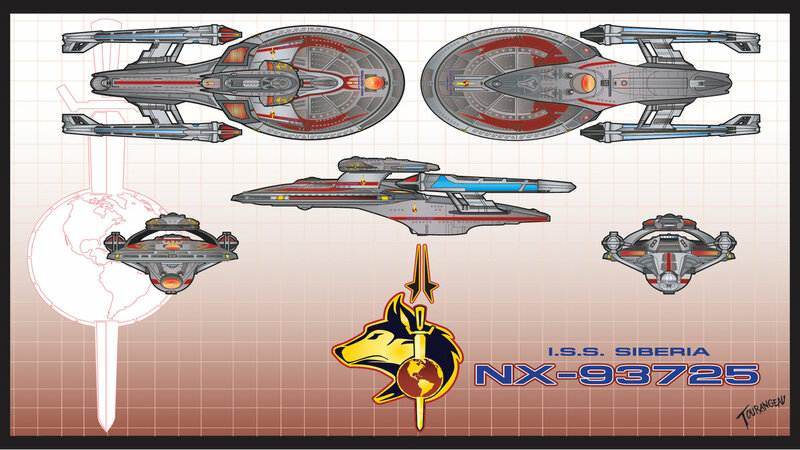 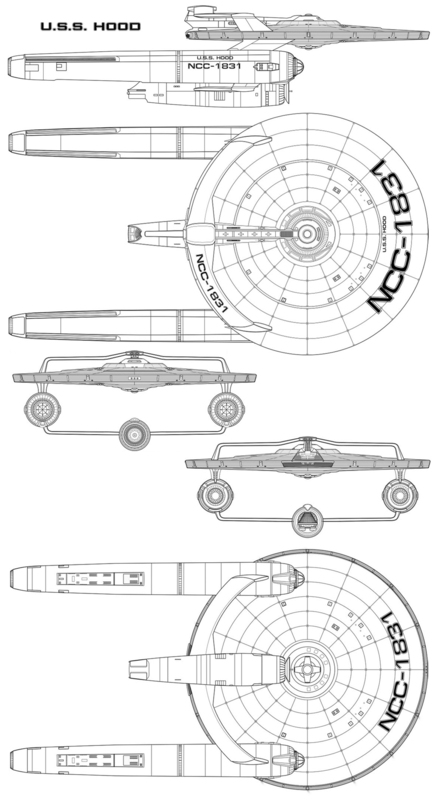 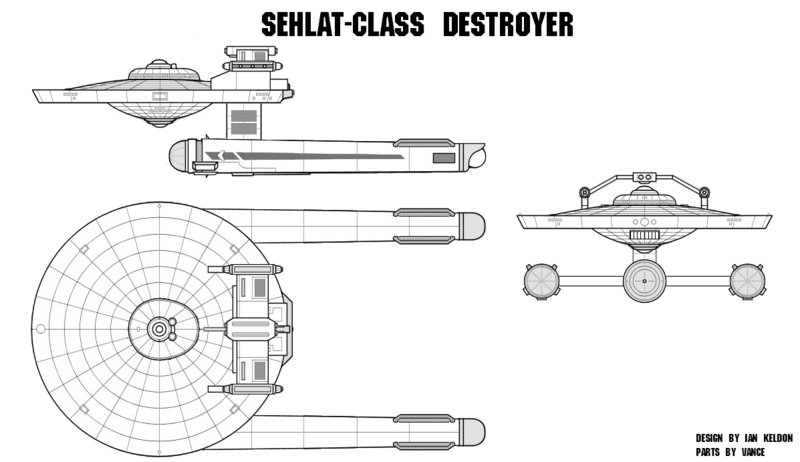 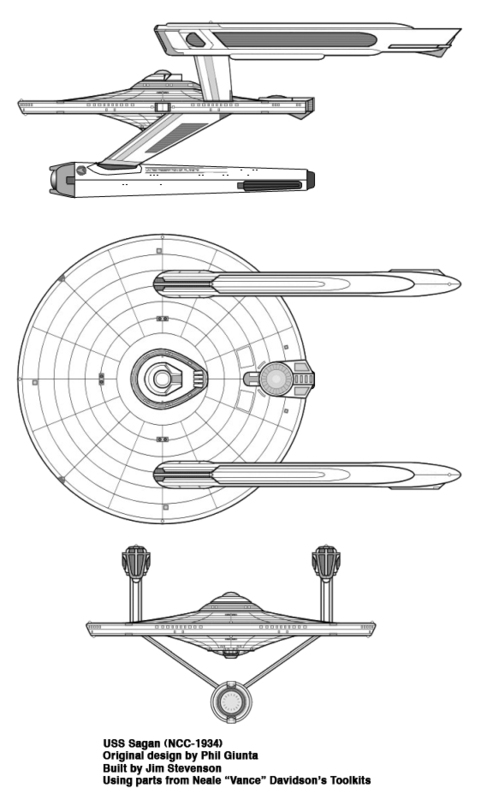 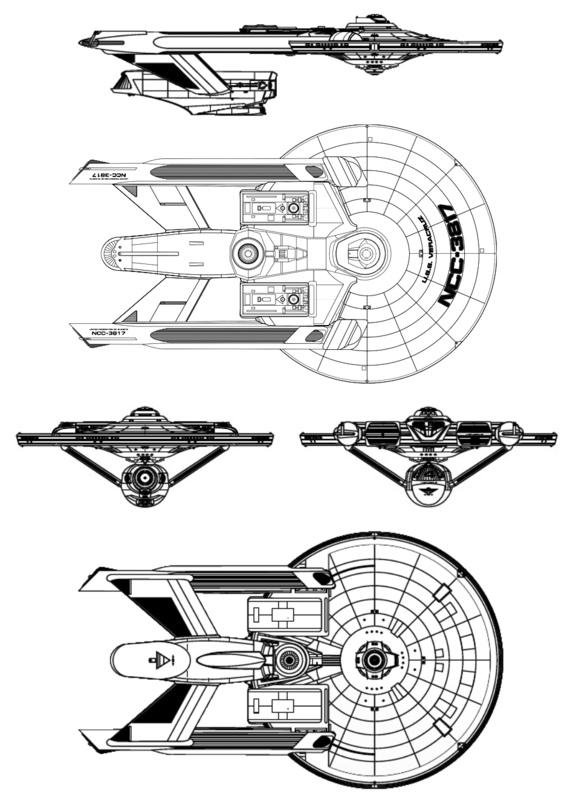 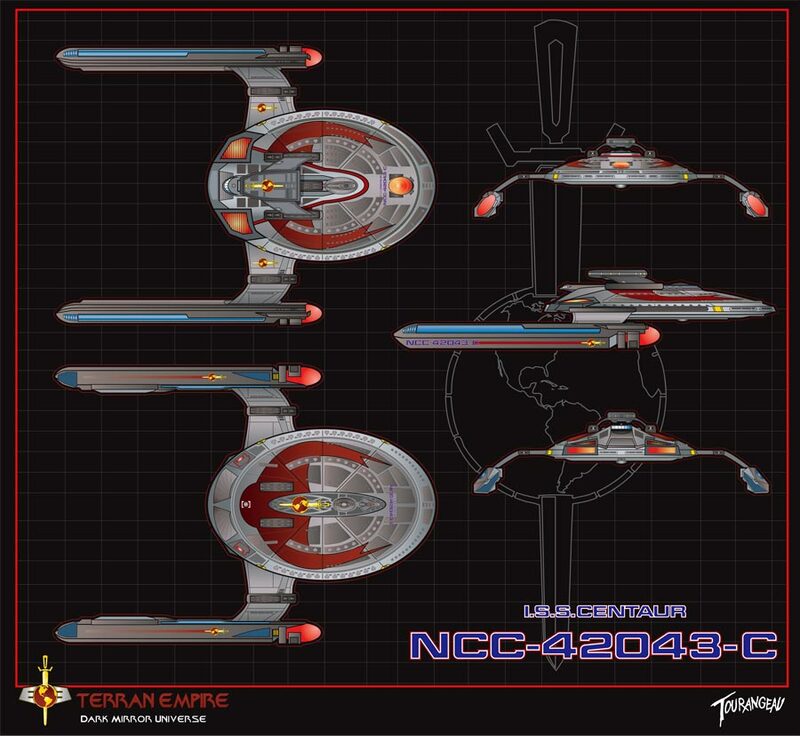 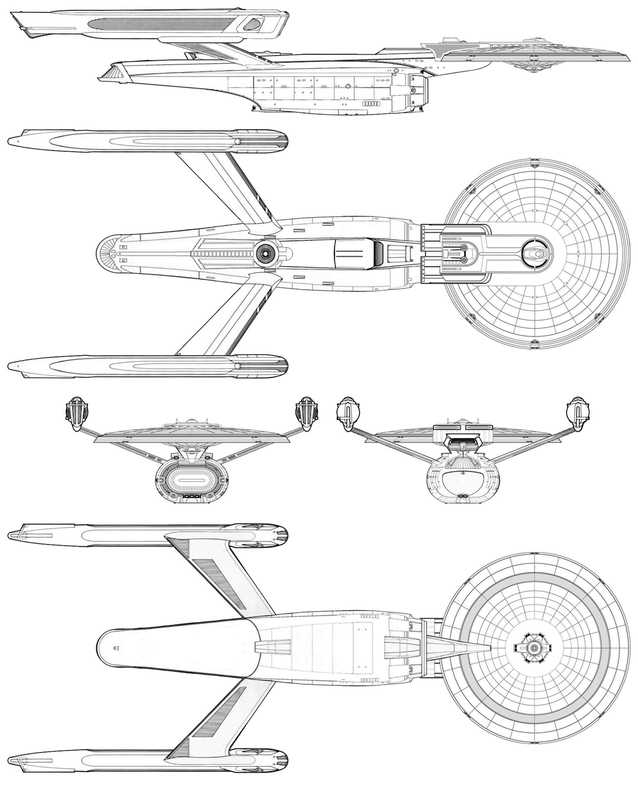 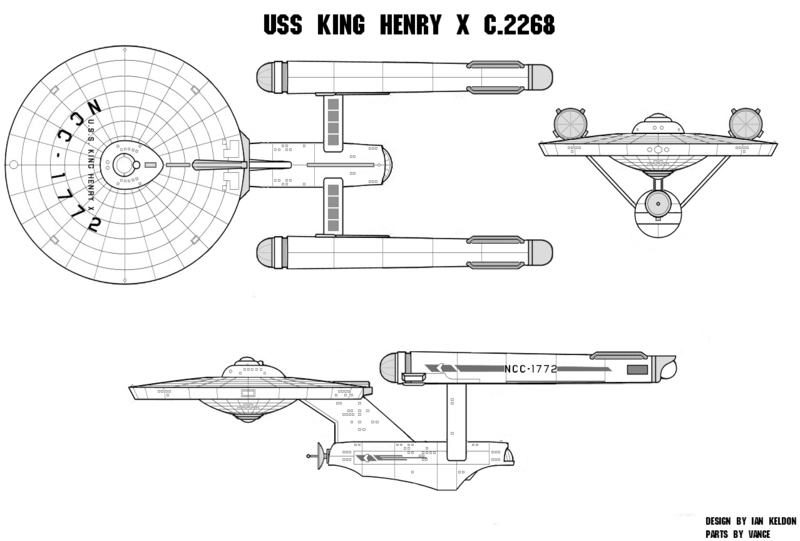 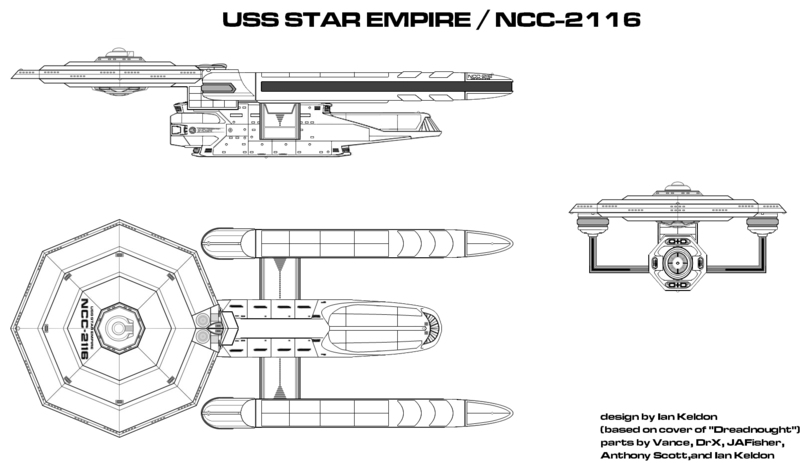 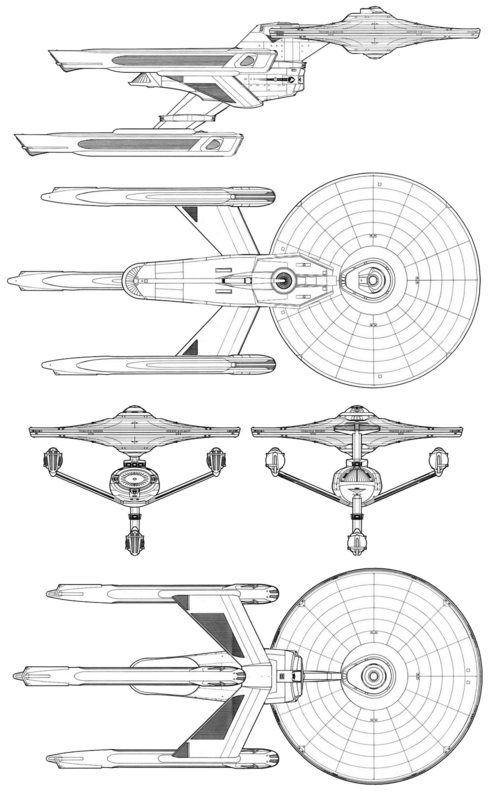 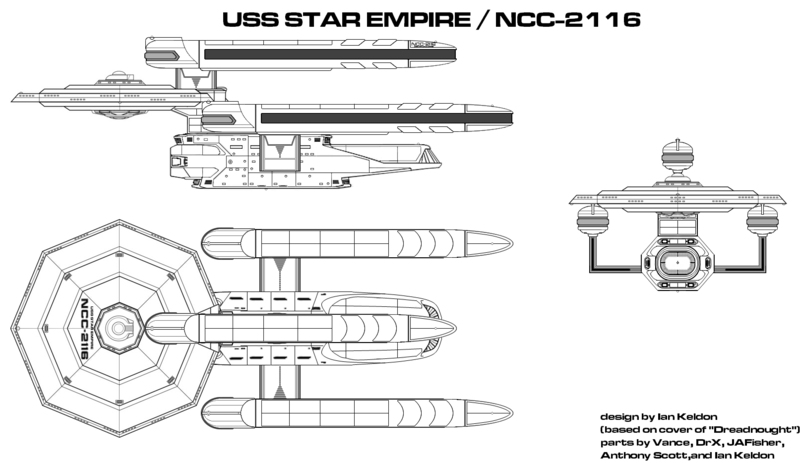 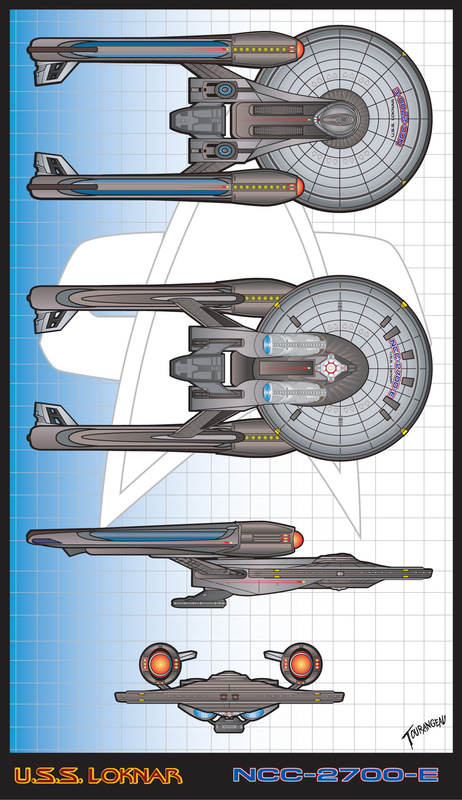 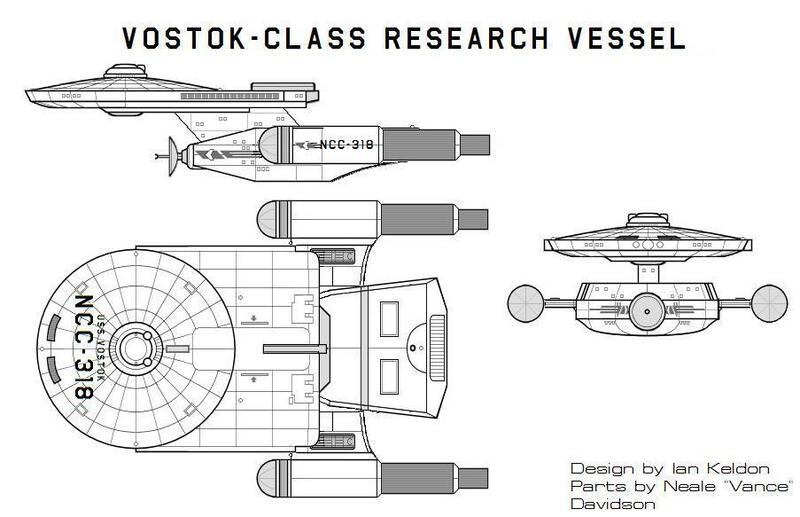 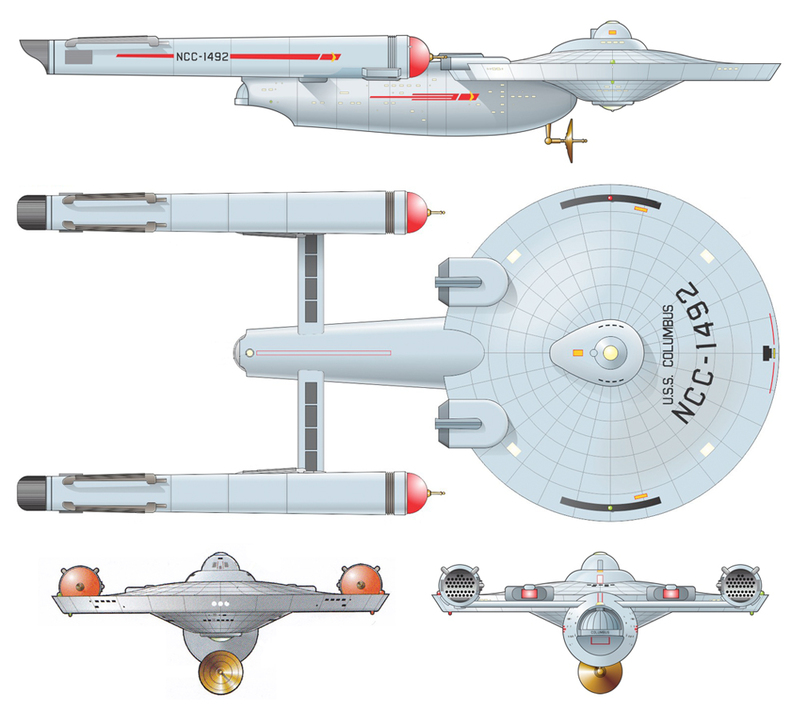 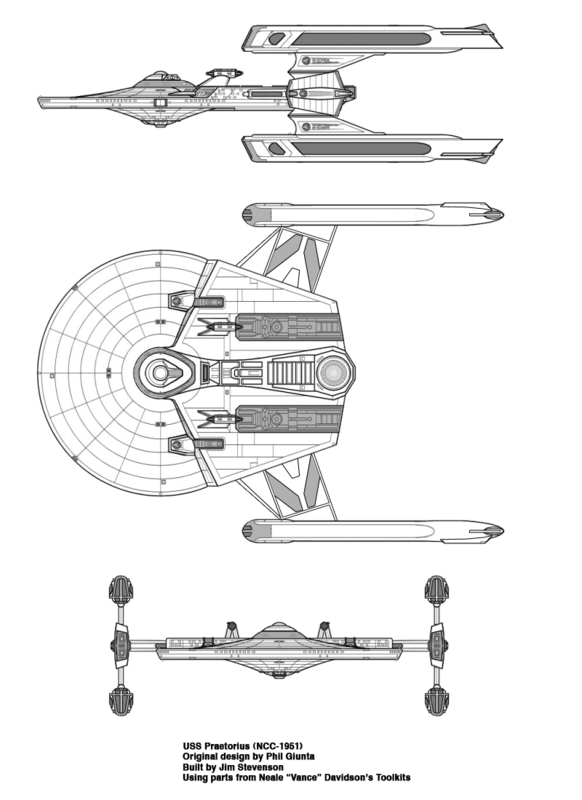 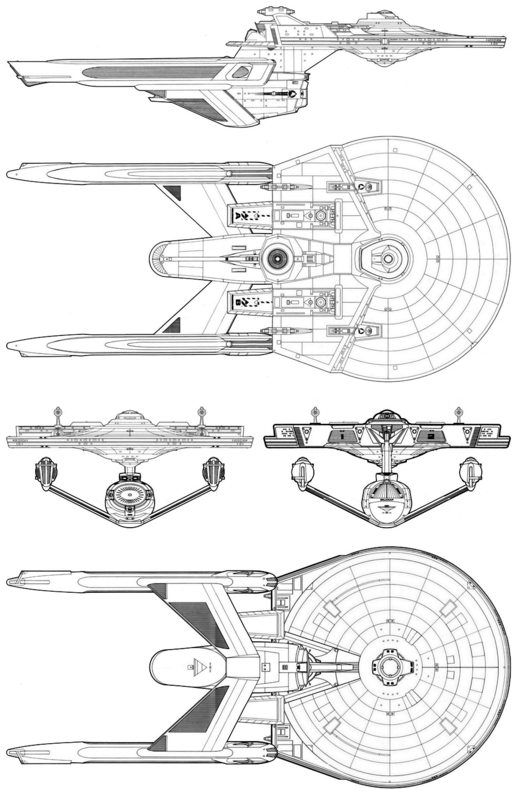 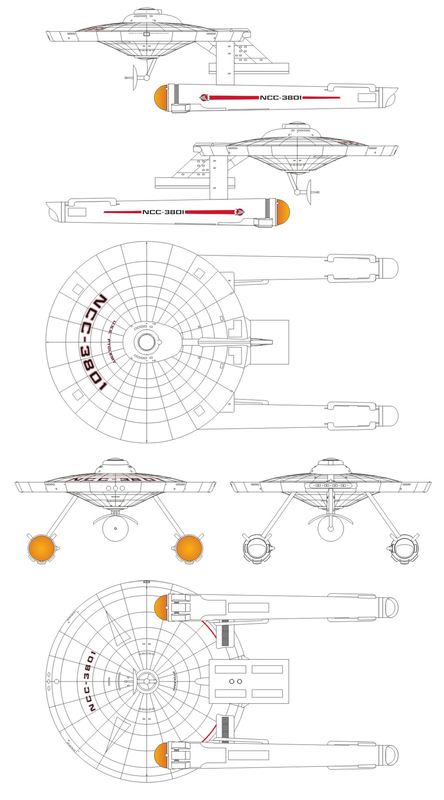 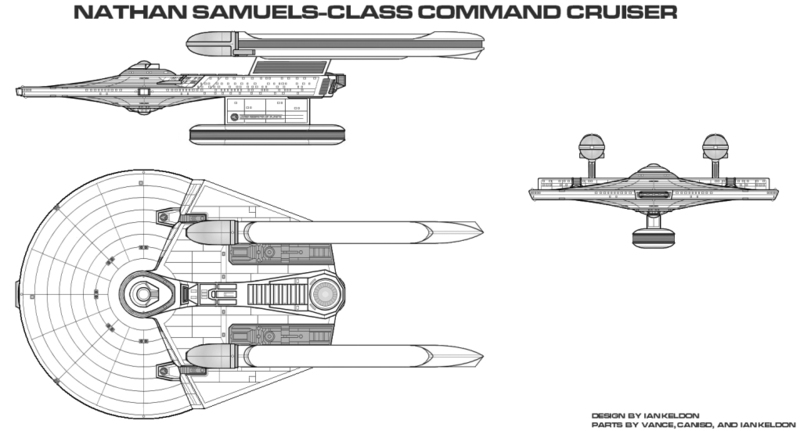 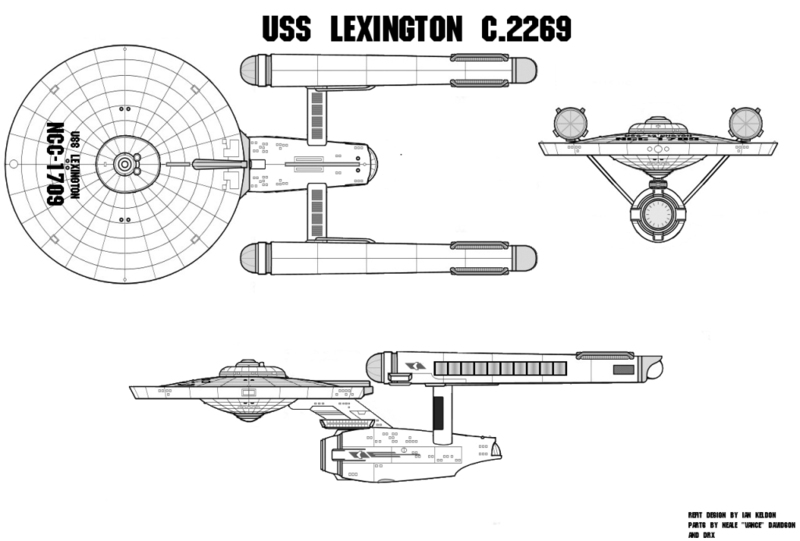 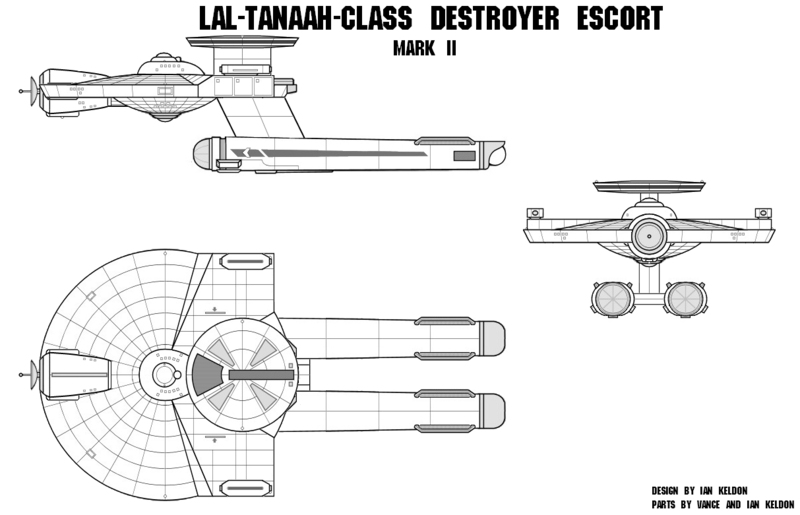 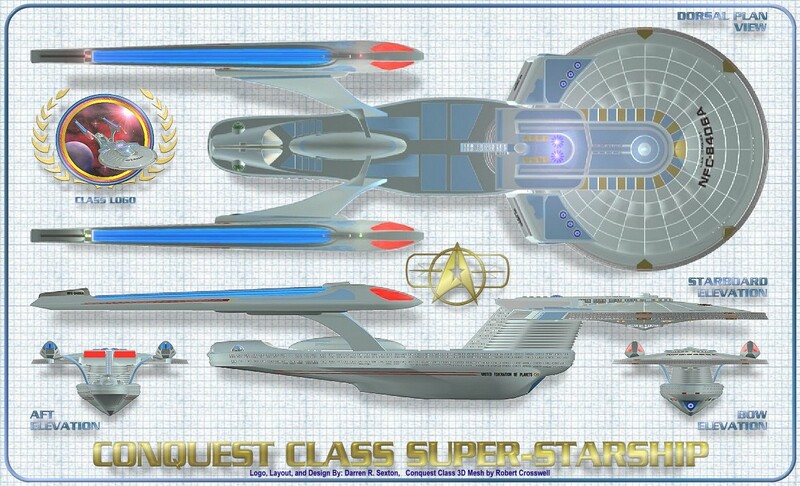 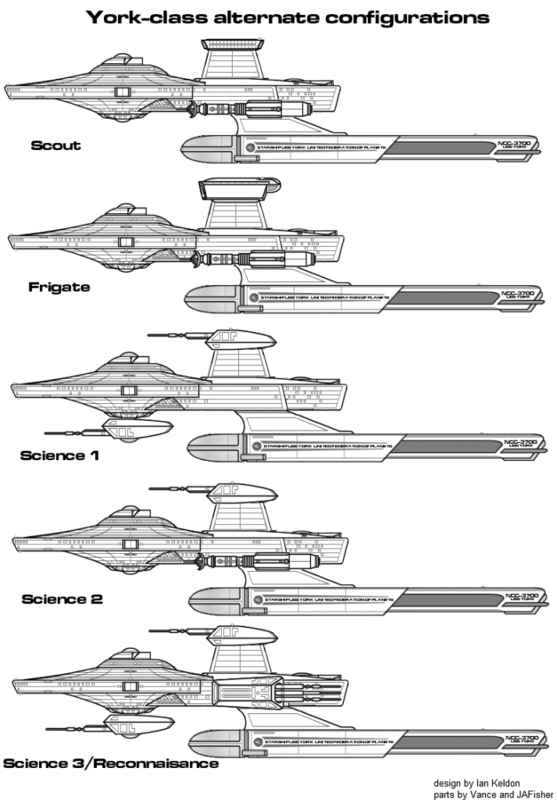 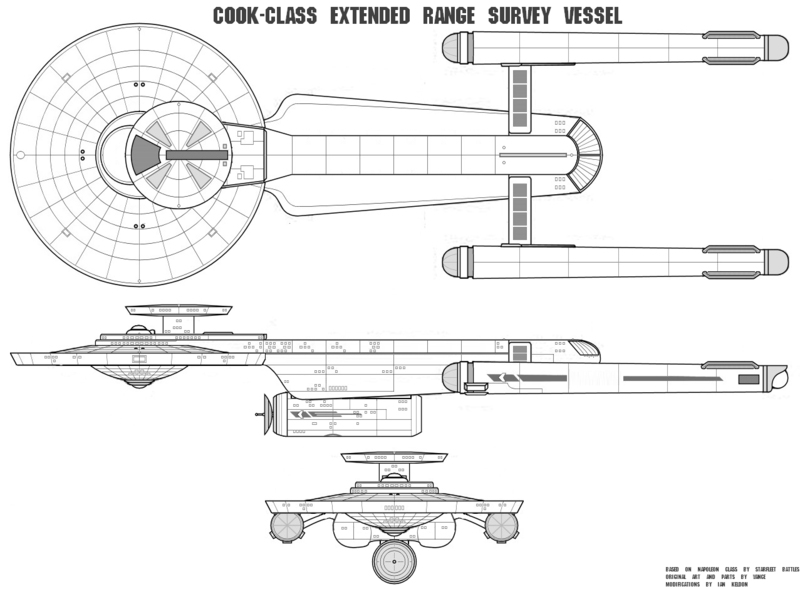 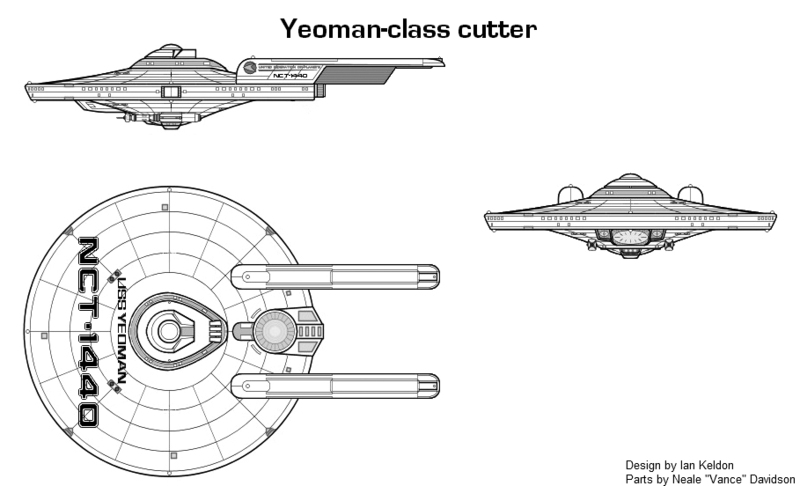 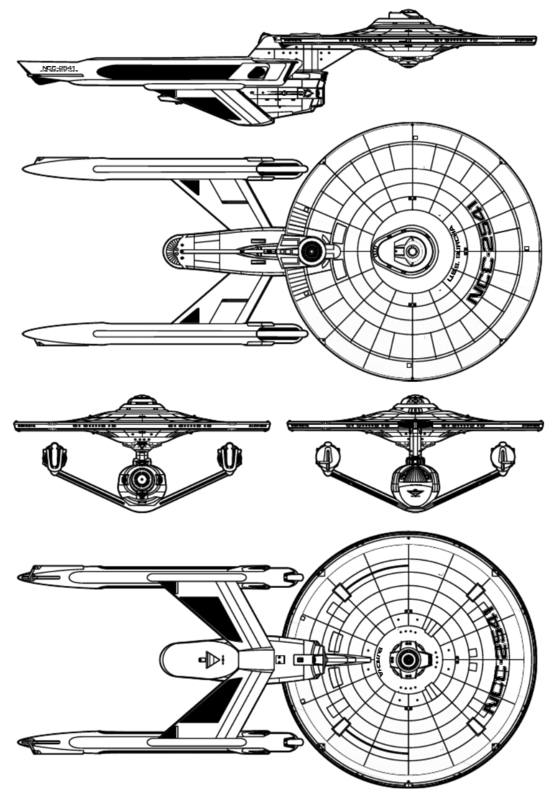 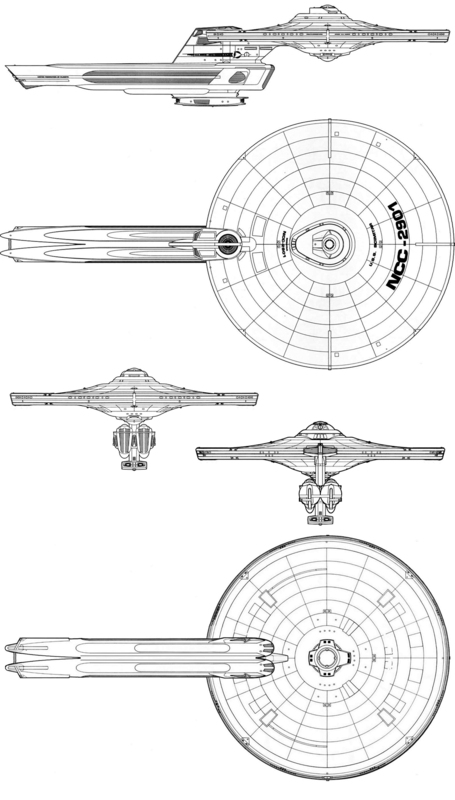 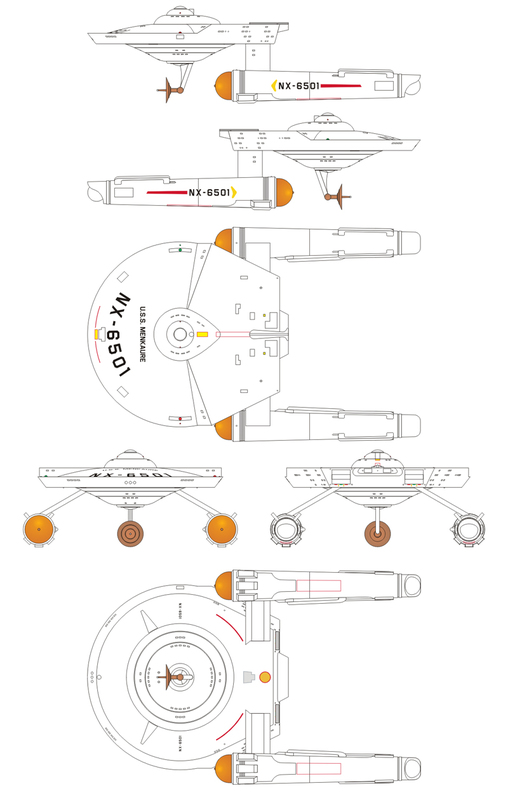 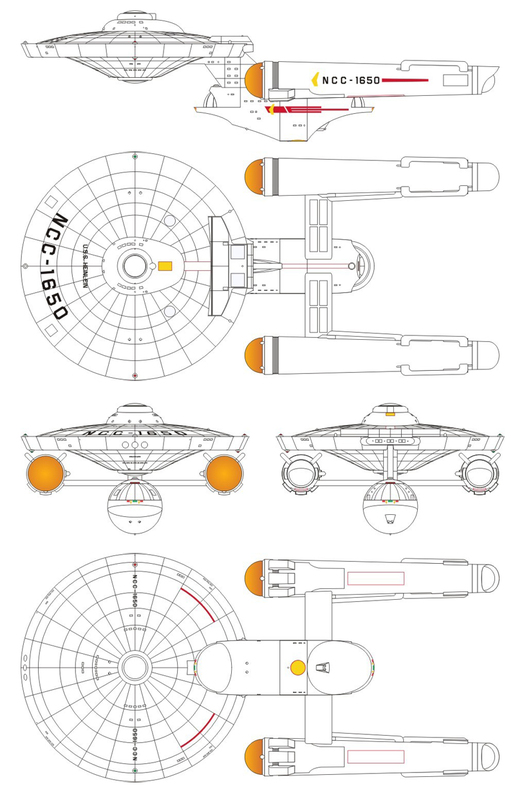 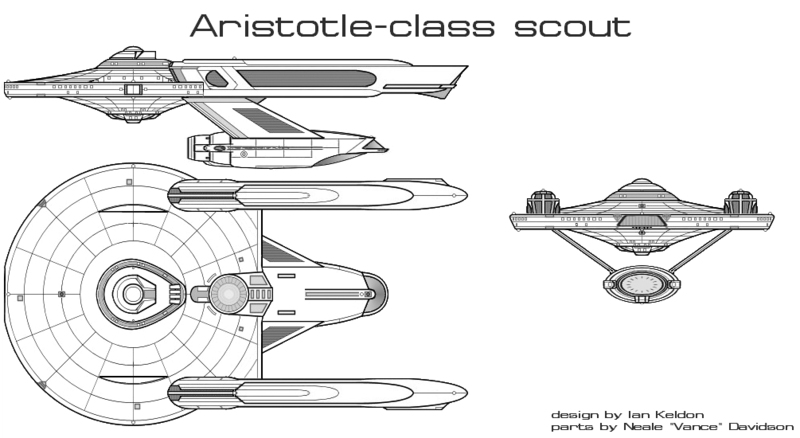 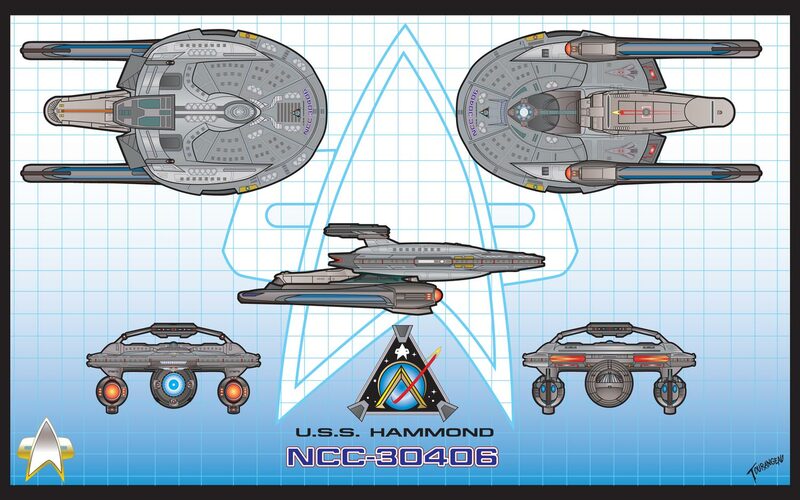 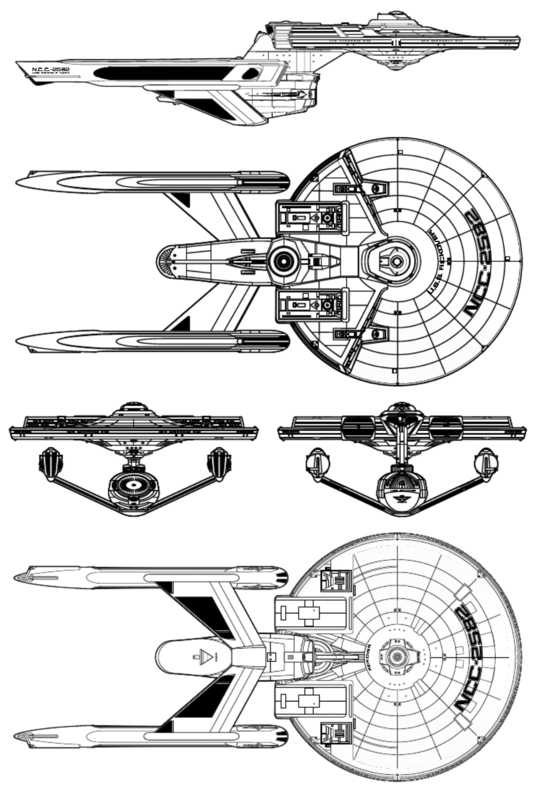 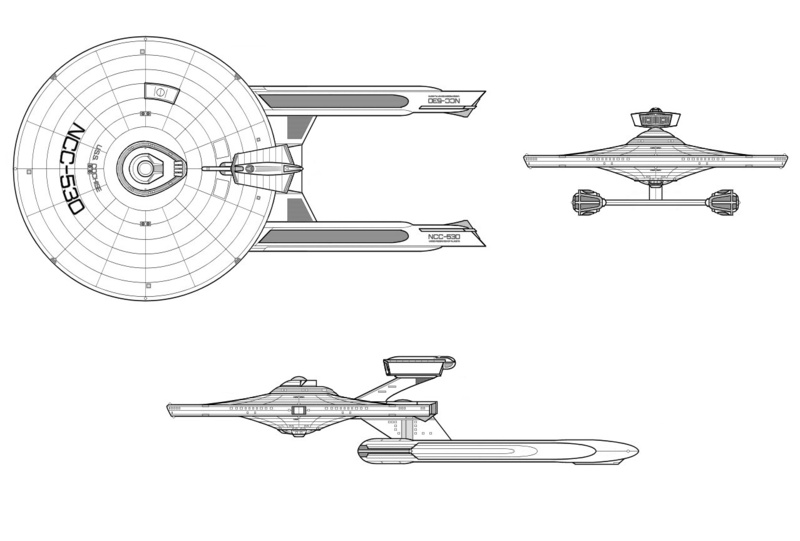 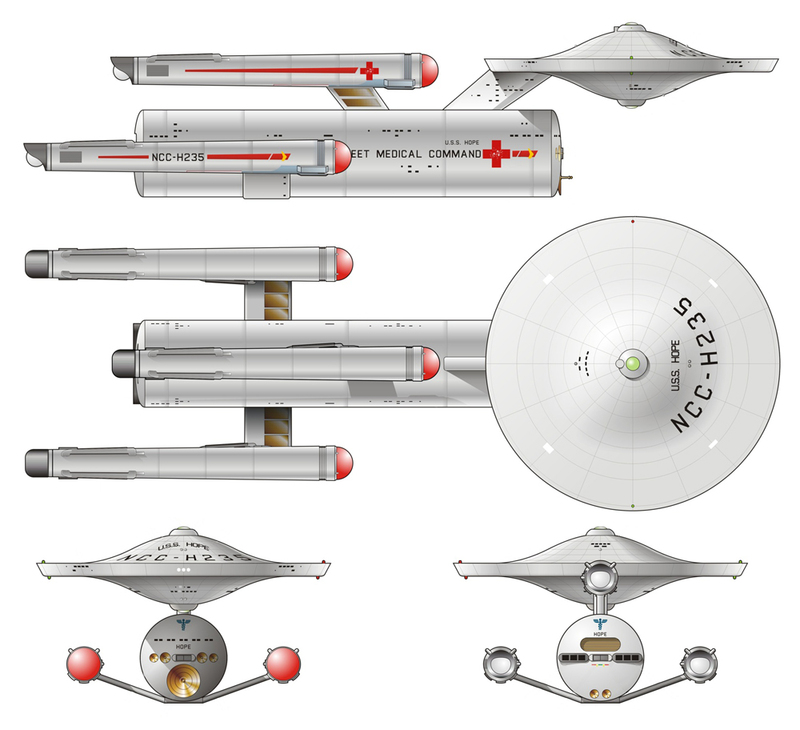 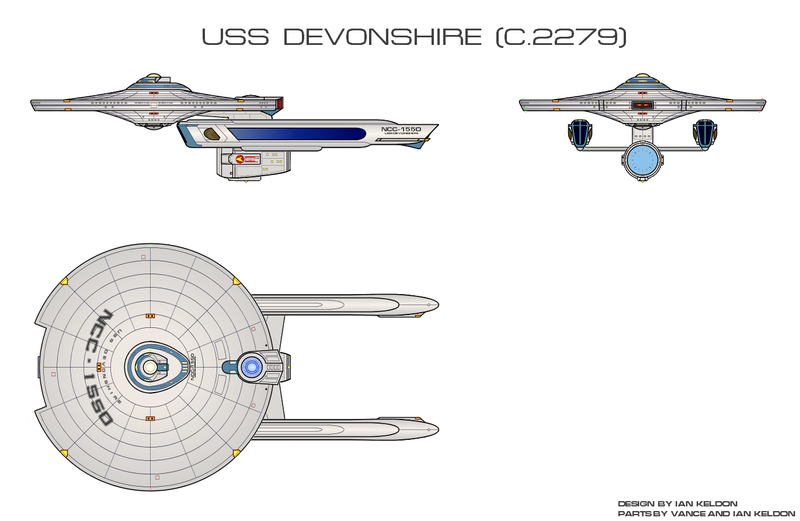 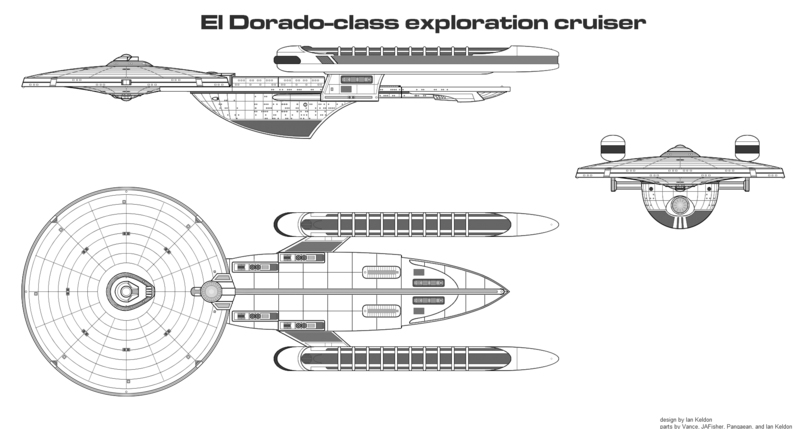 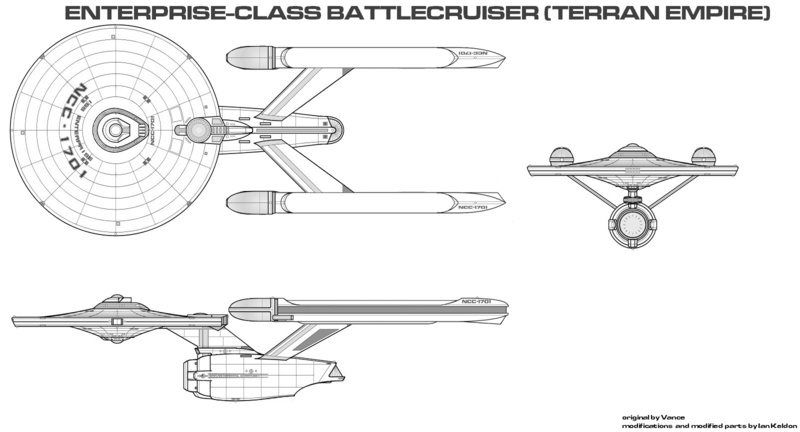 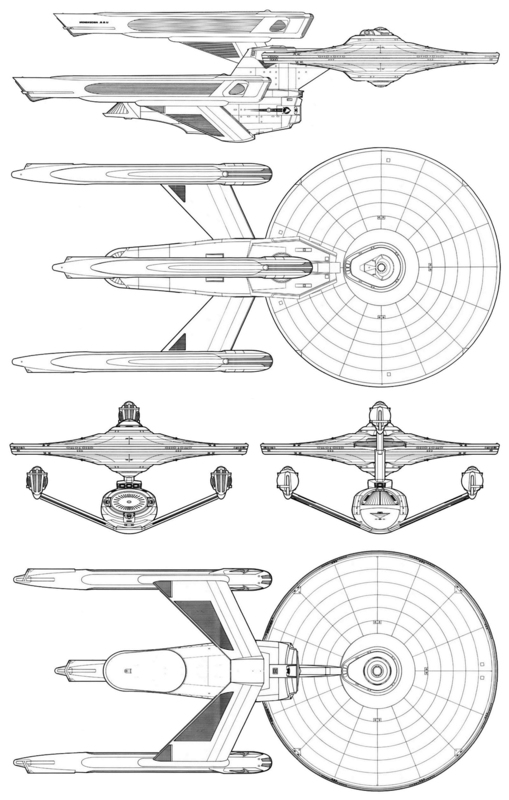 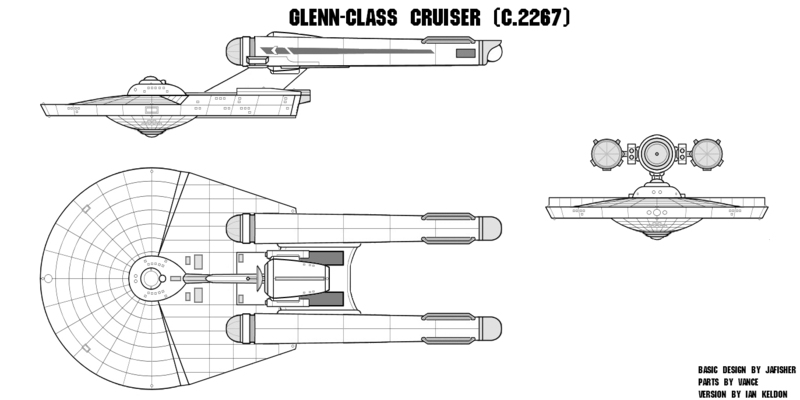 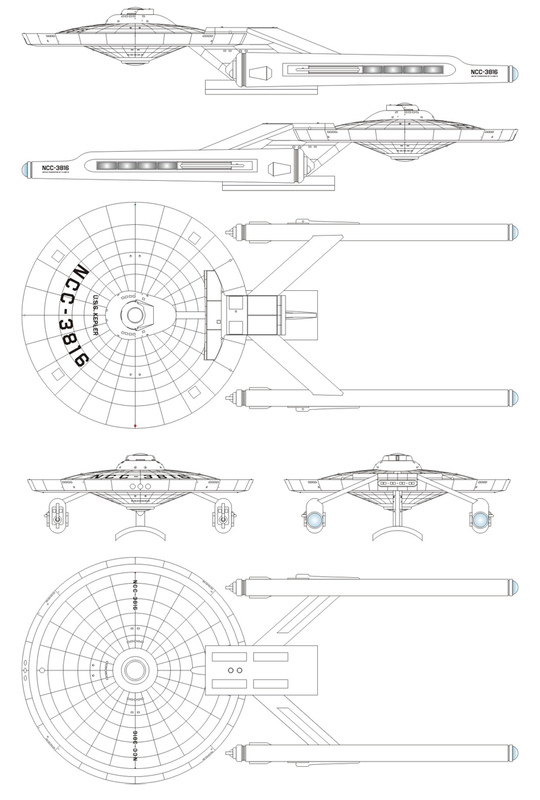 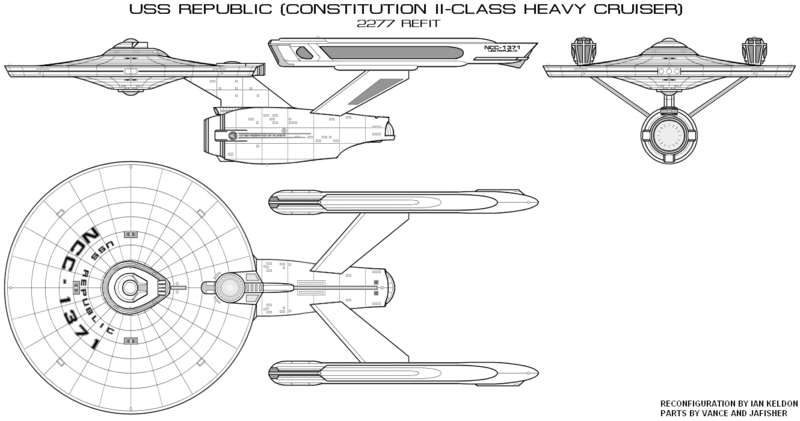 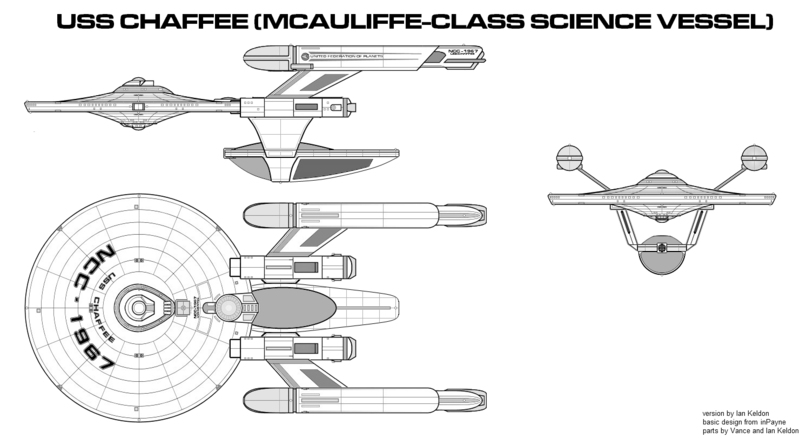 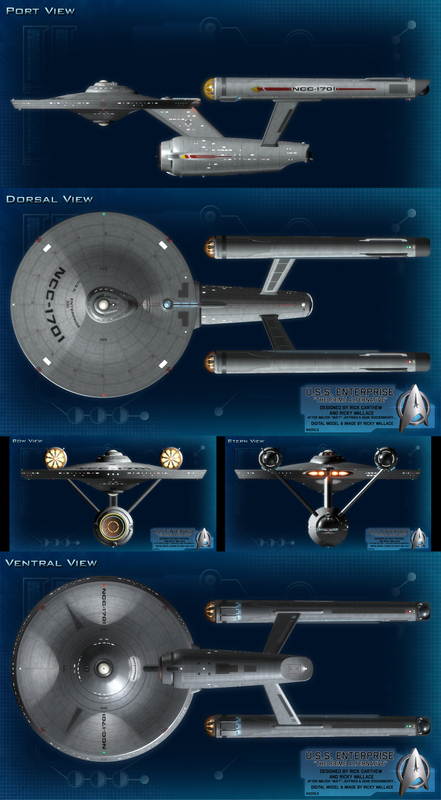 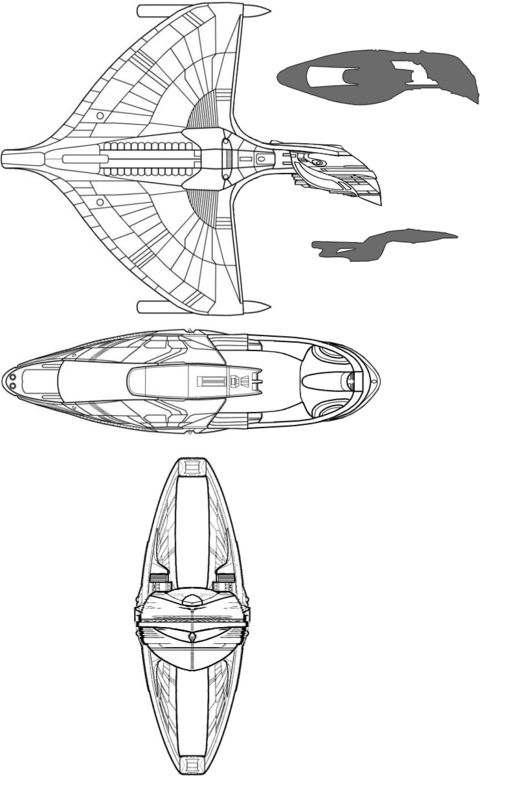 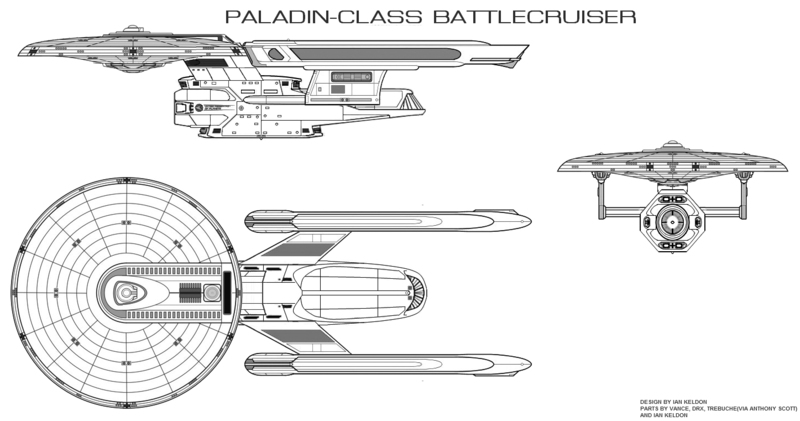 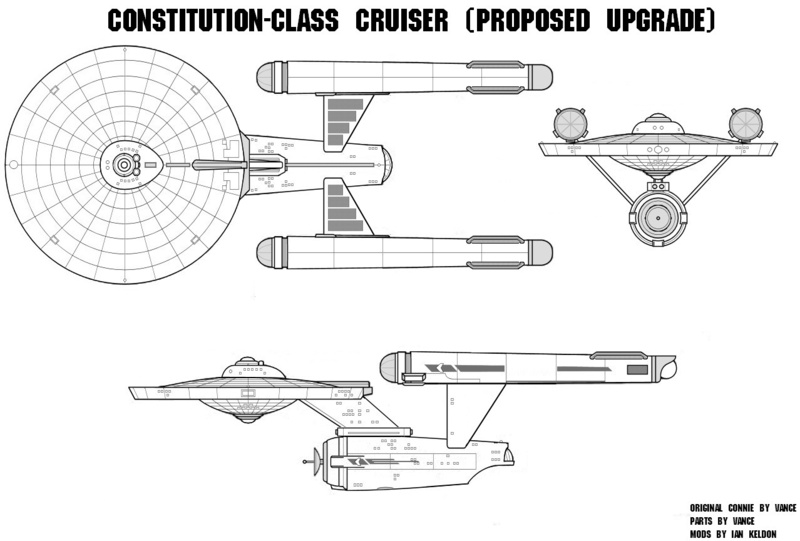 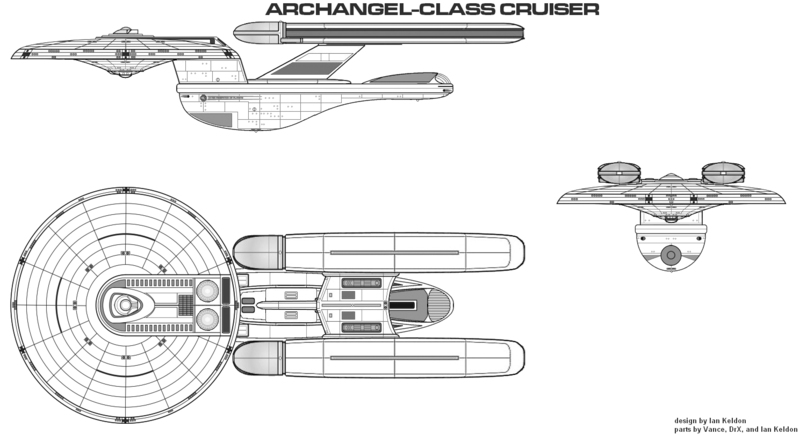 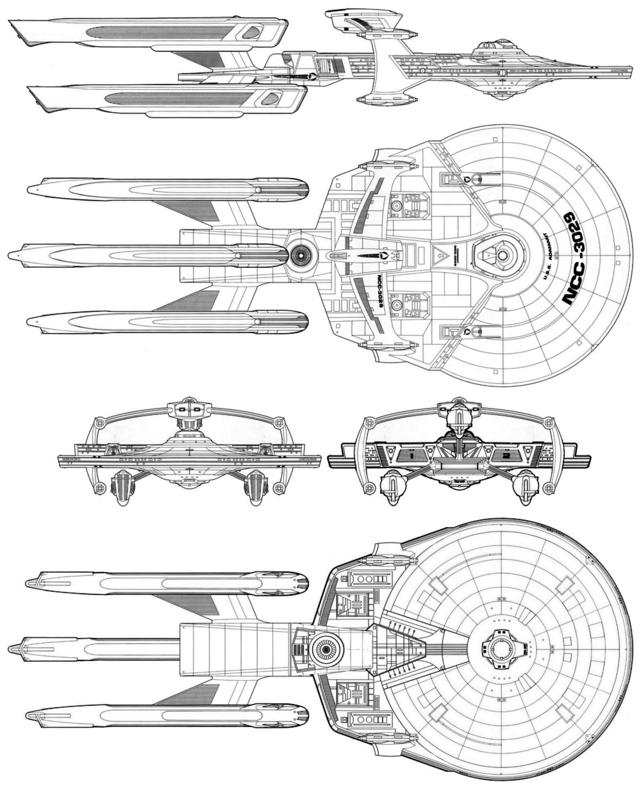 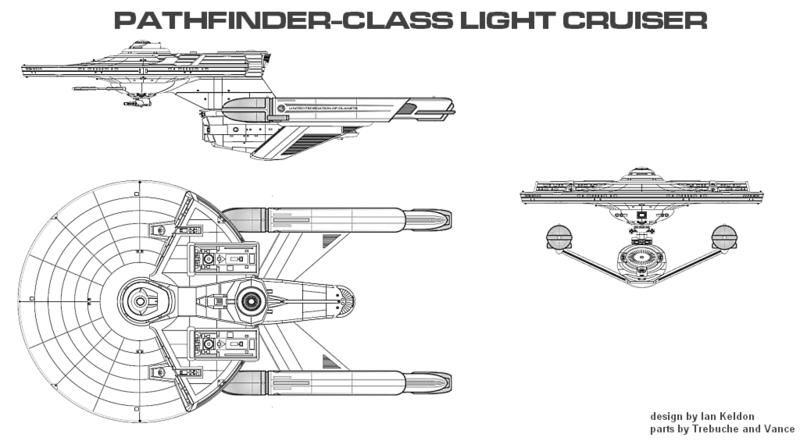 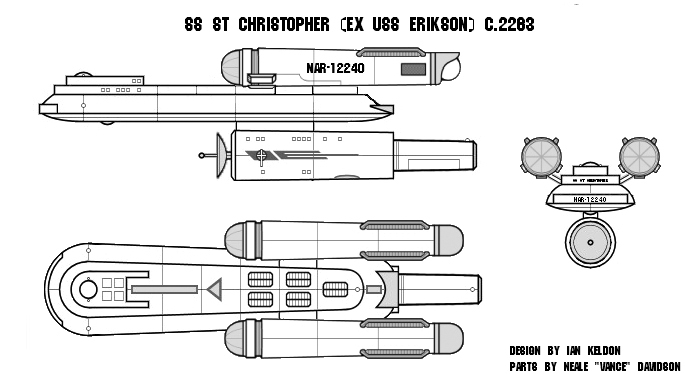 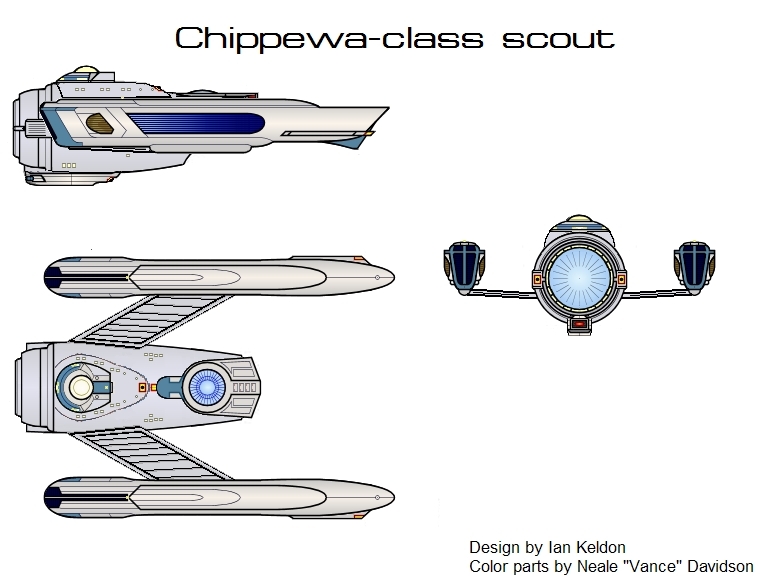 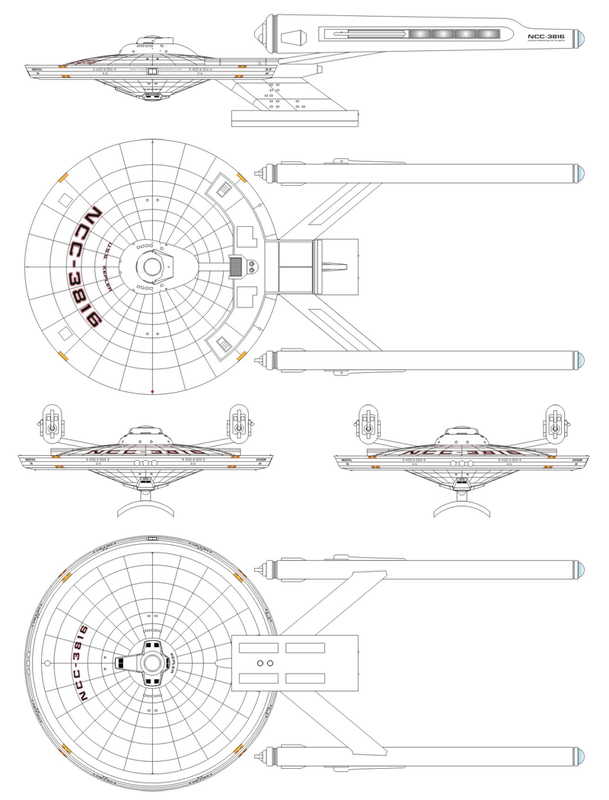 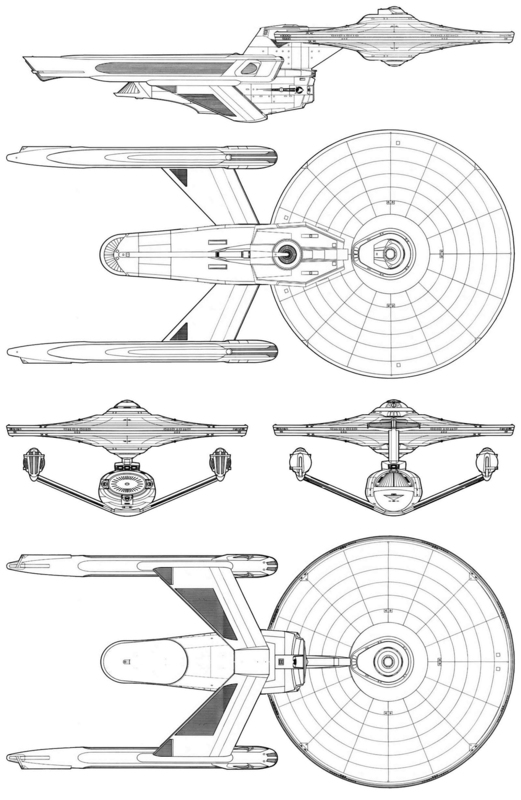 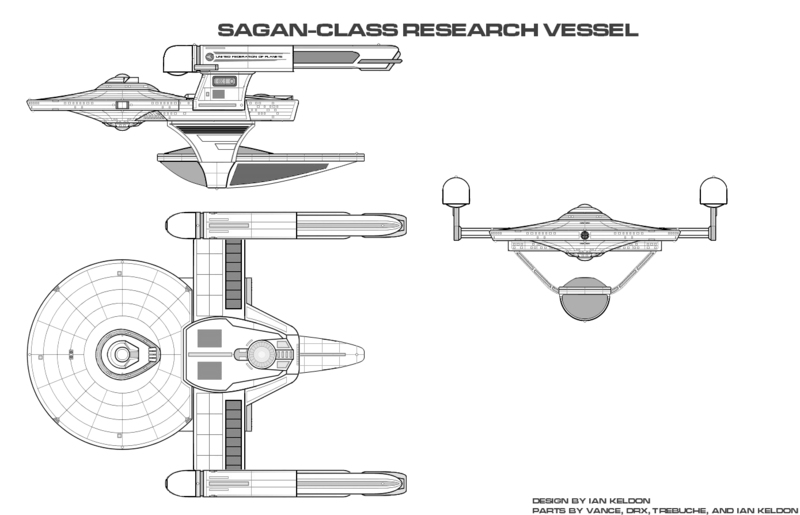 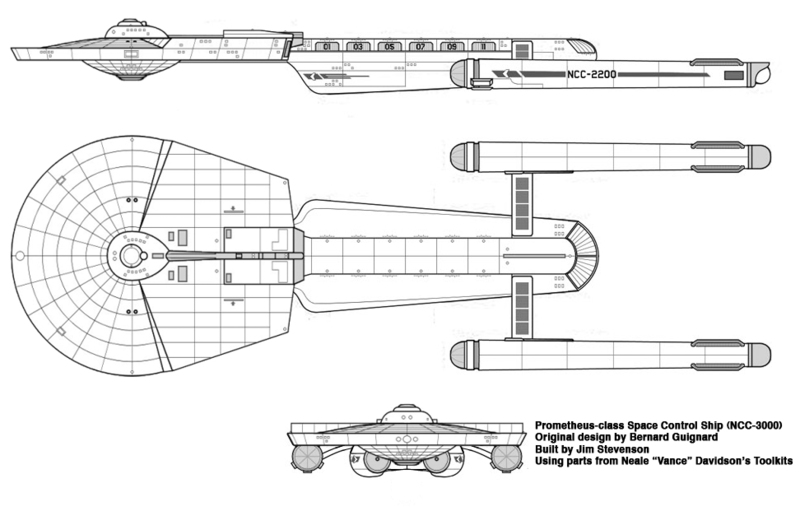 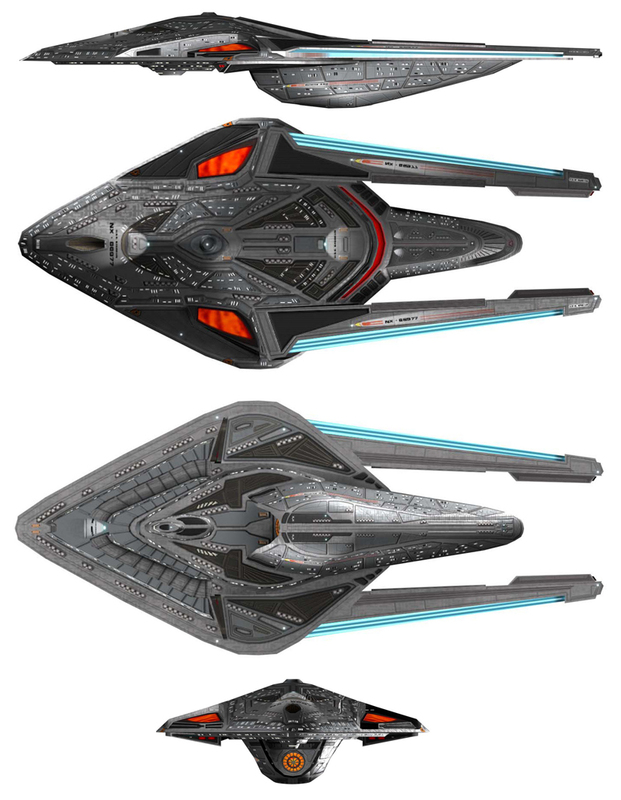 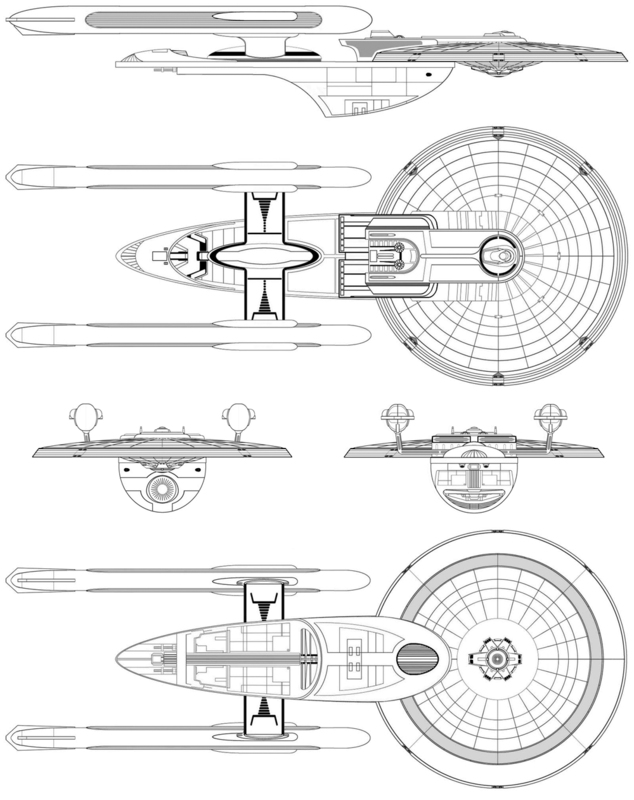 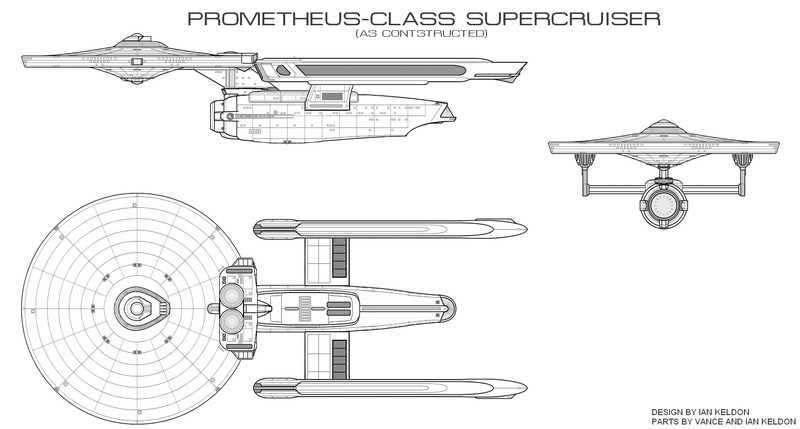 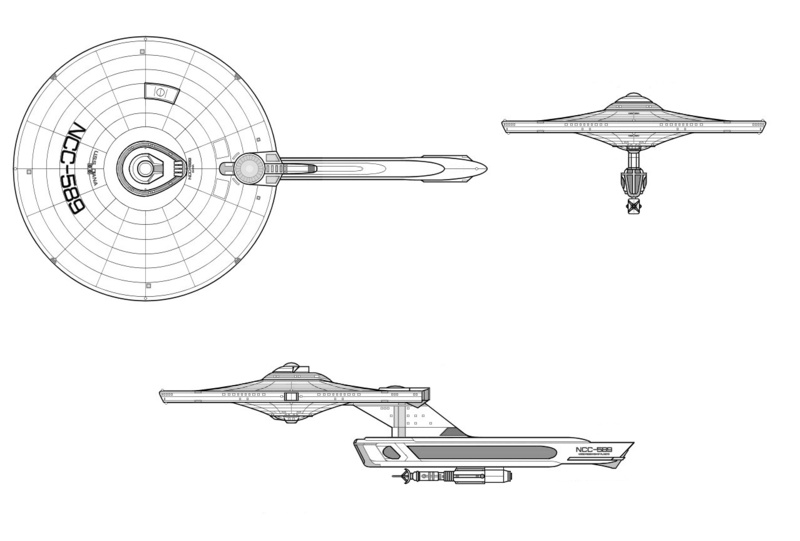 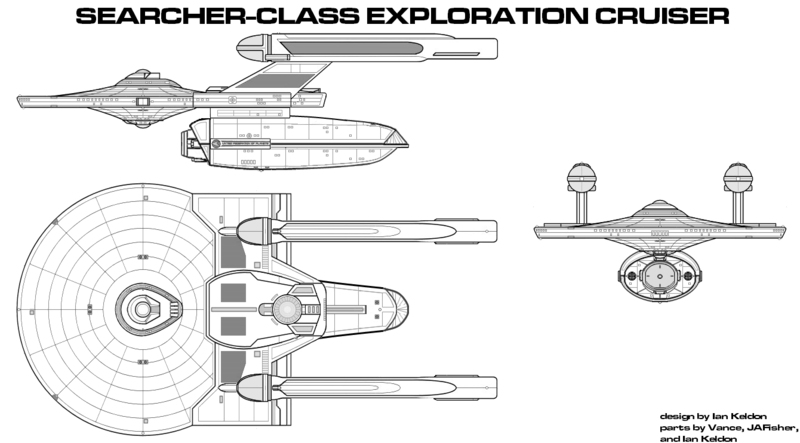 The Excelsior entries here are all four known study models of the ship made for Star Trek III: The Search for Spock. 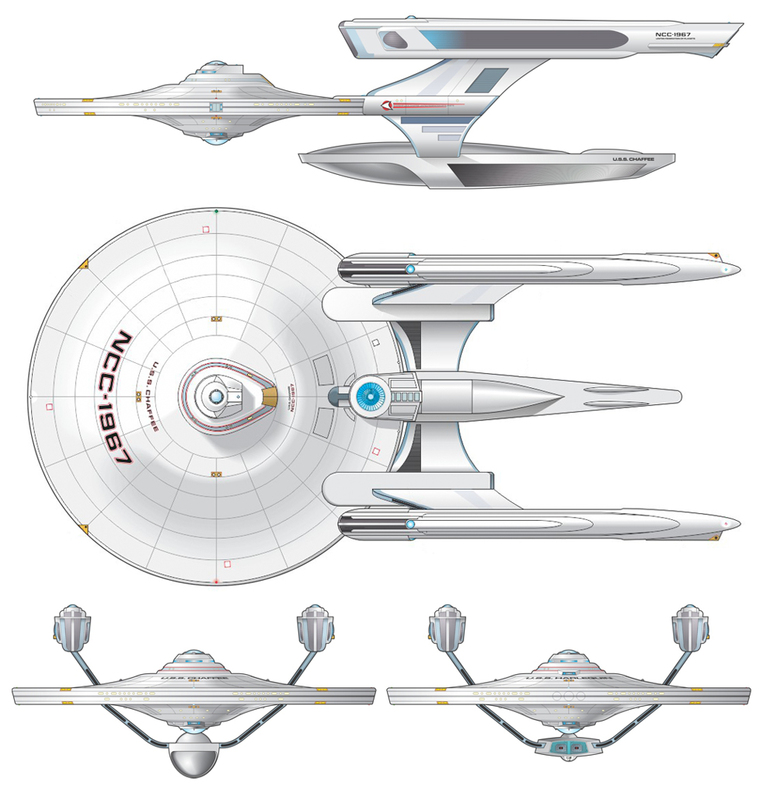 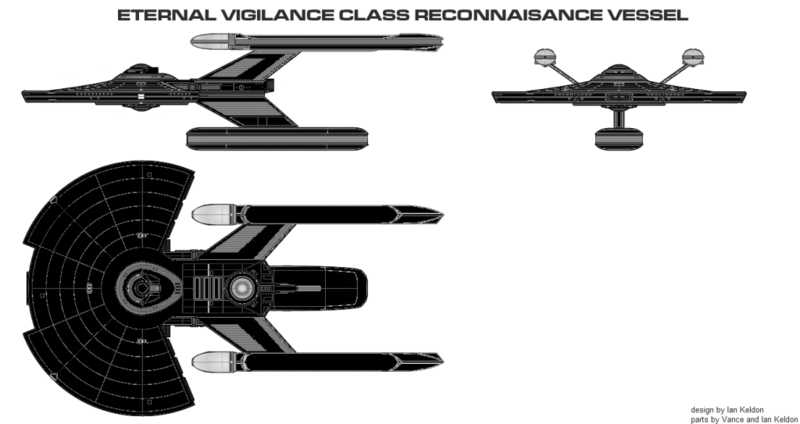 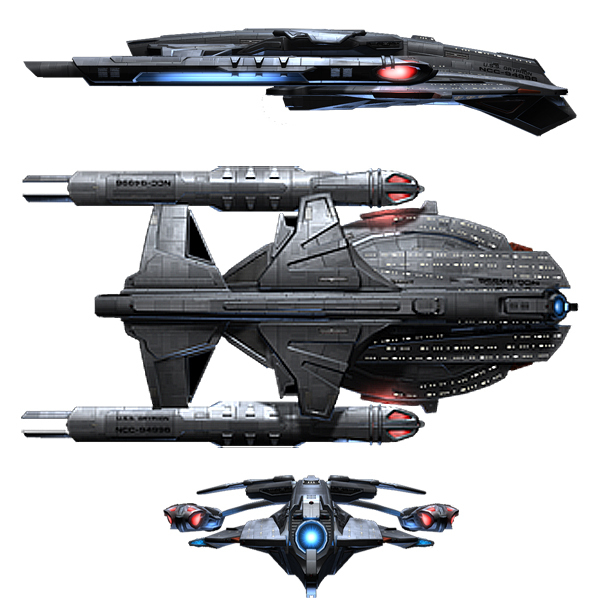 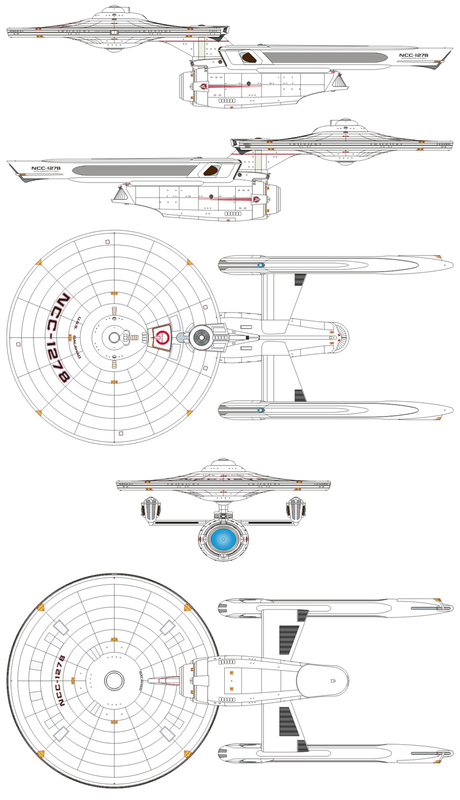 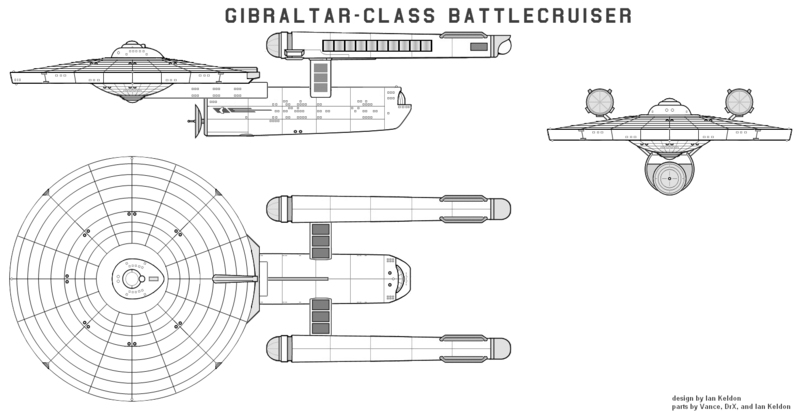 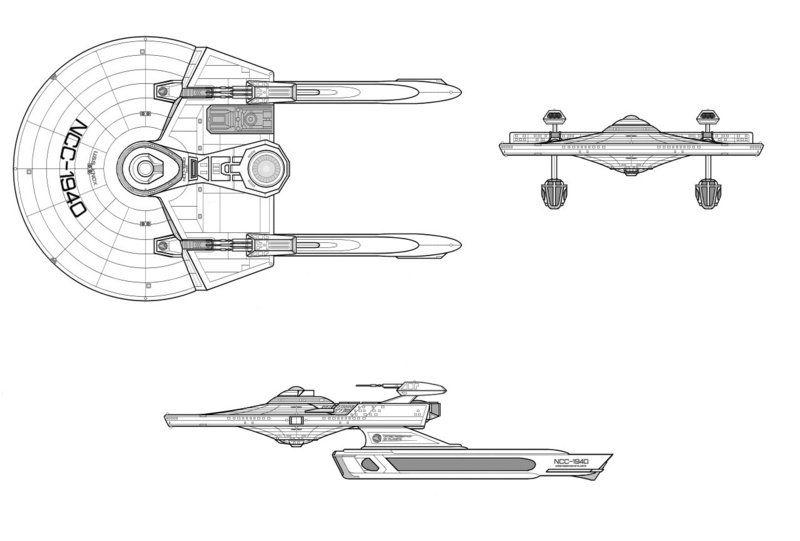 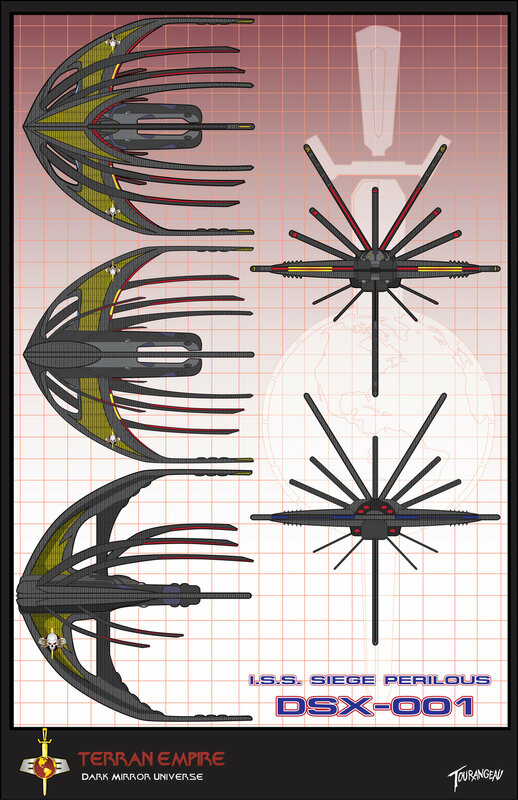 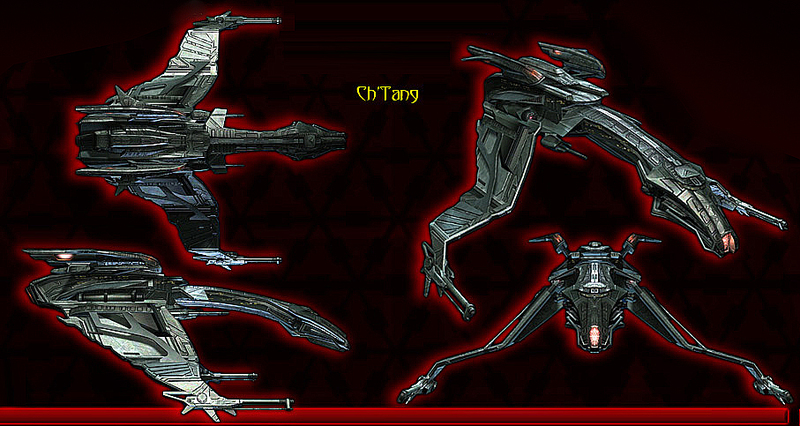 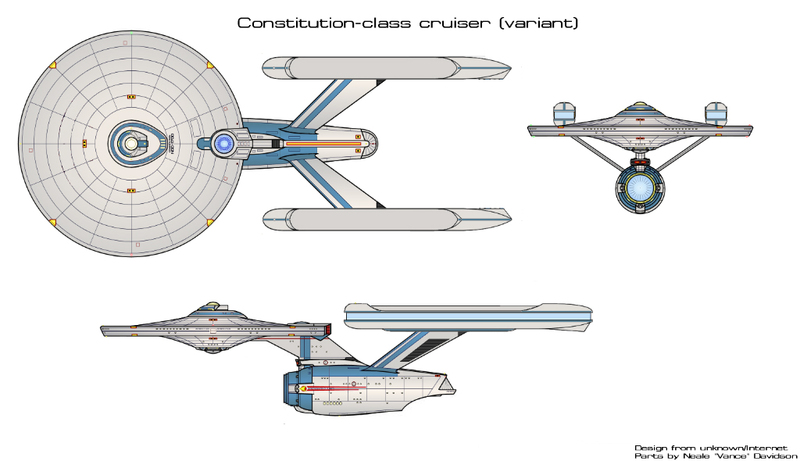 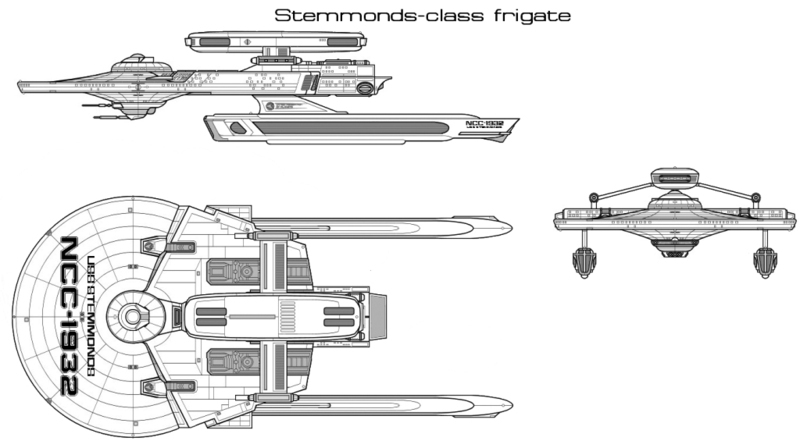 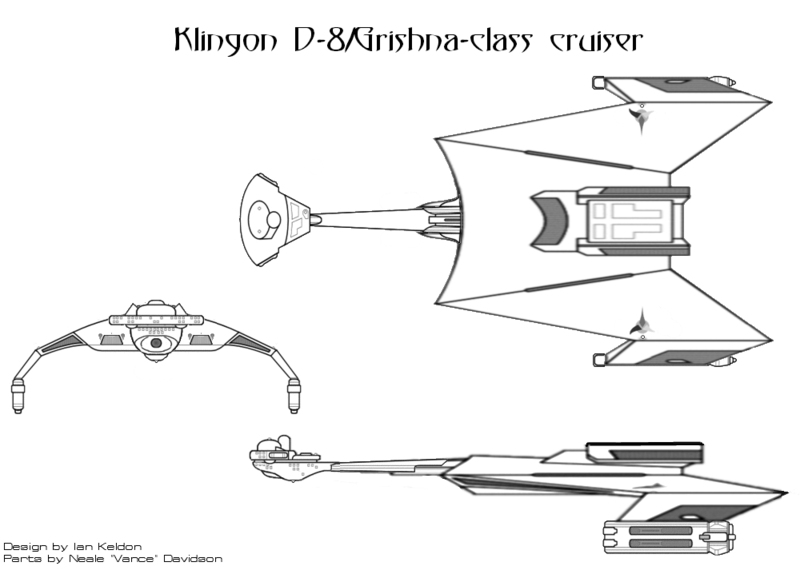 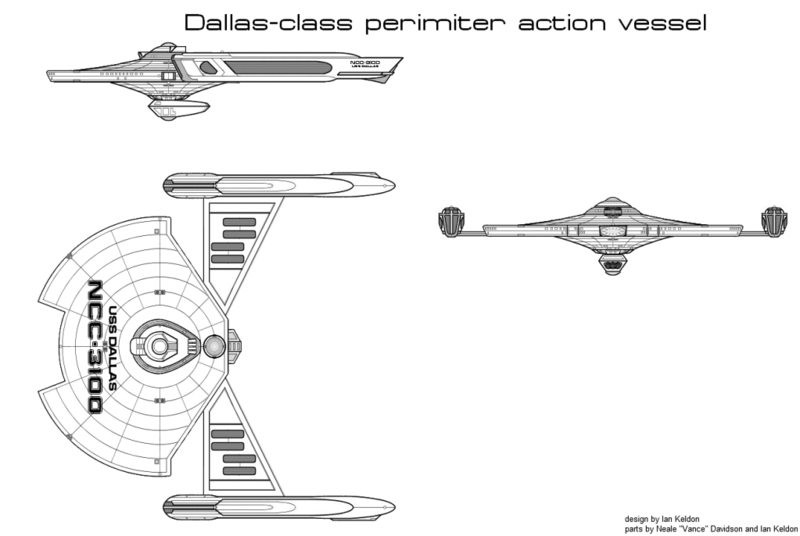 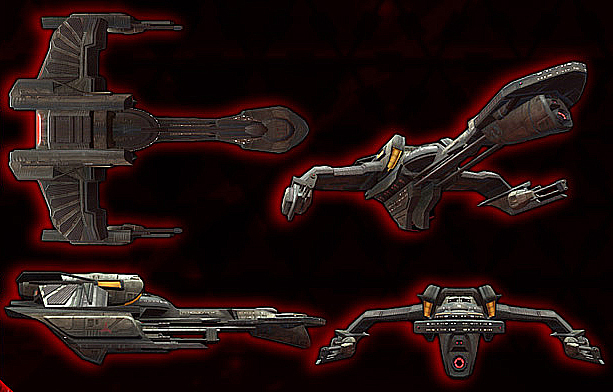 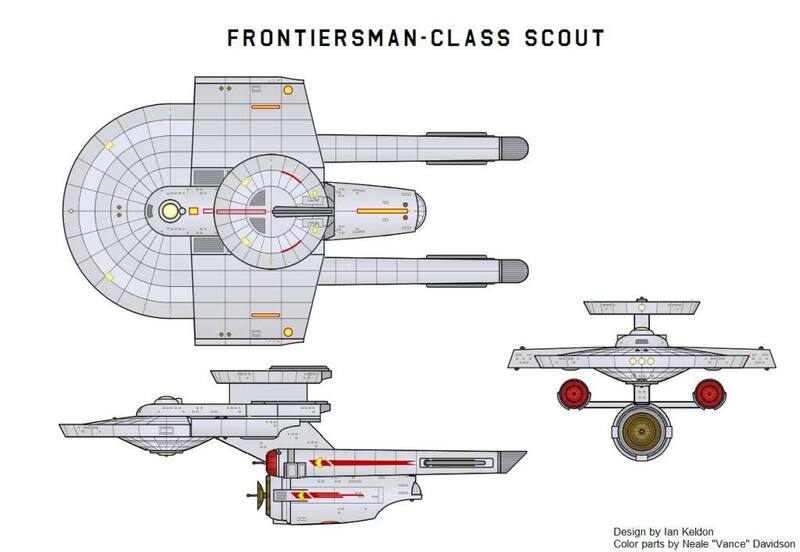 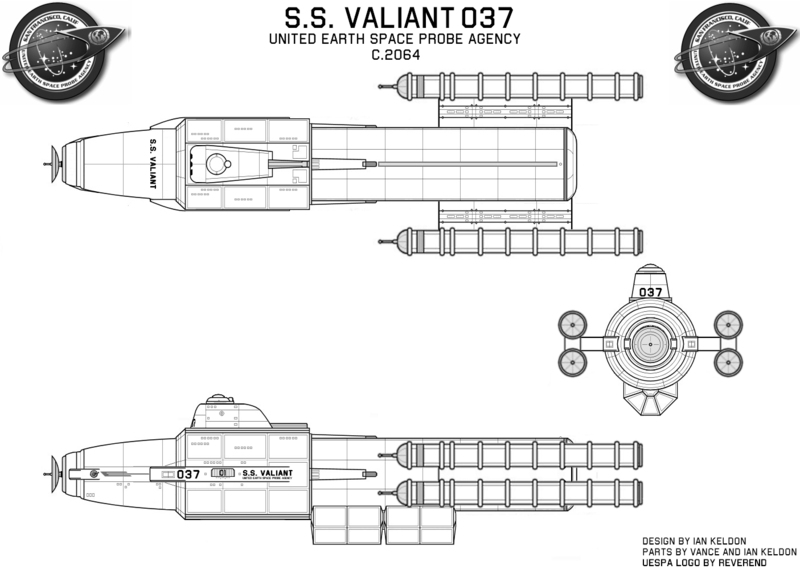 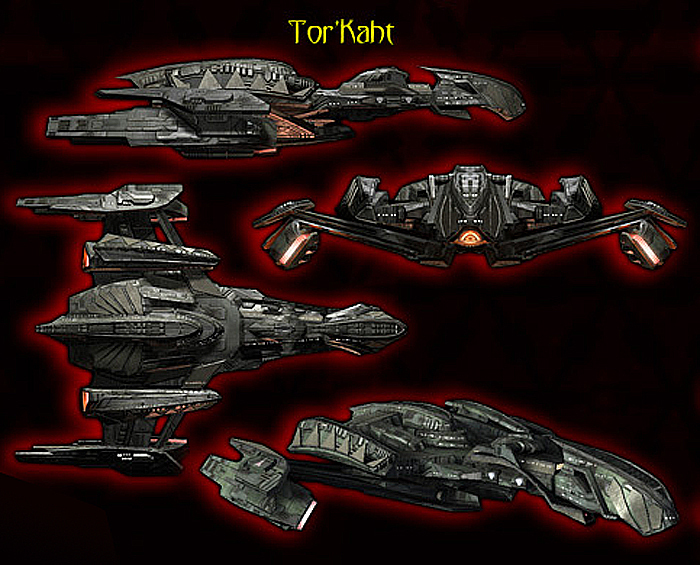 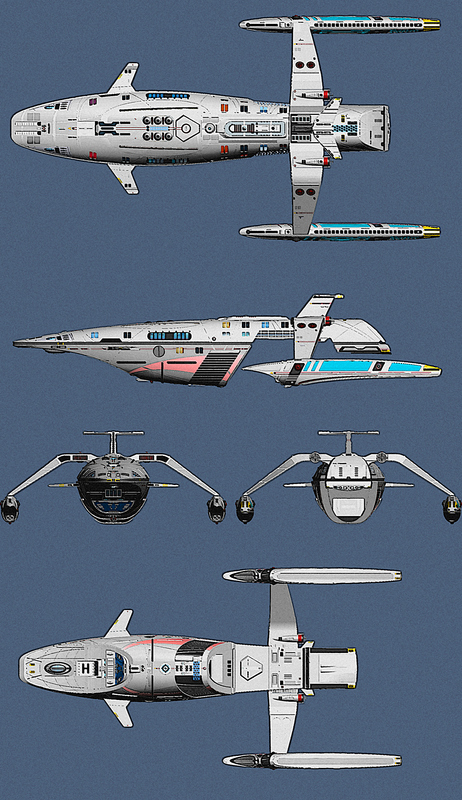 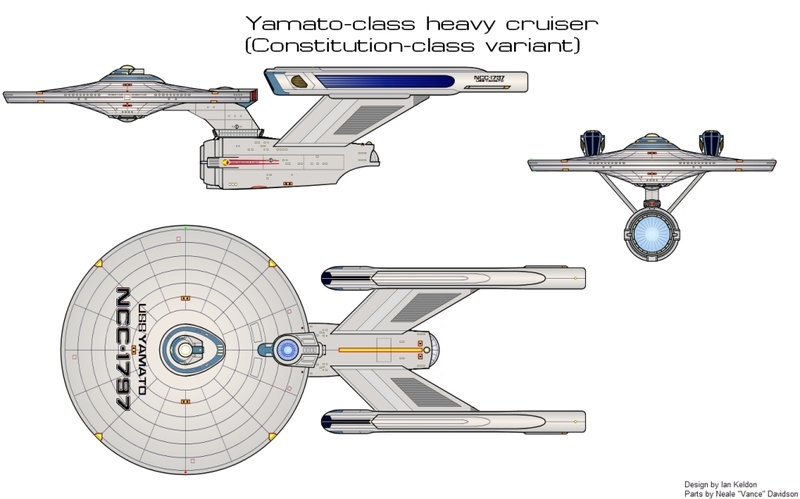 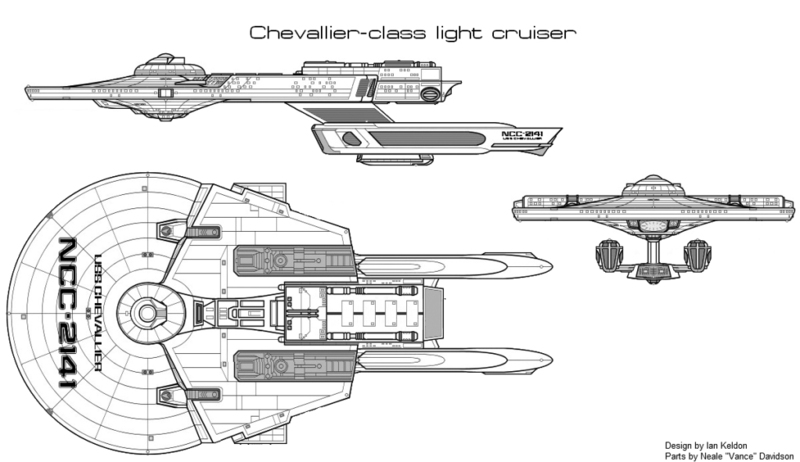 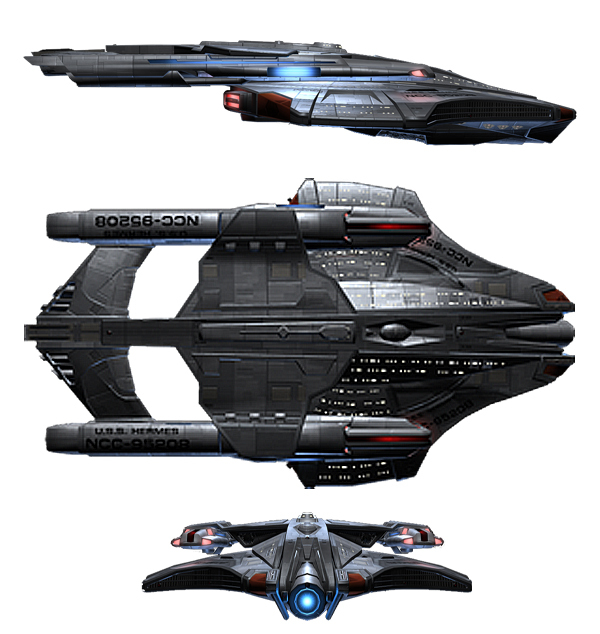 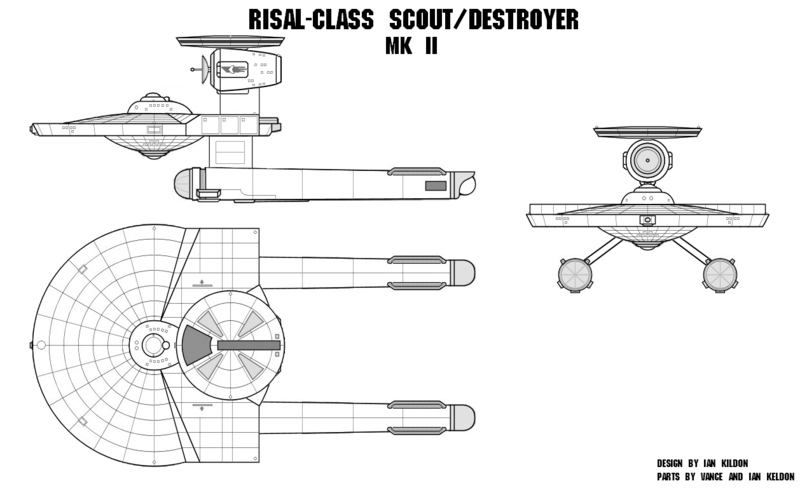 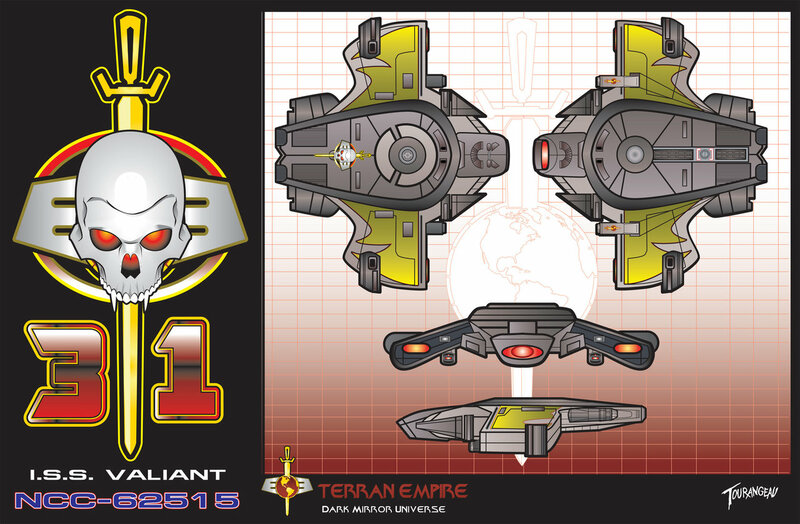 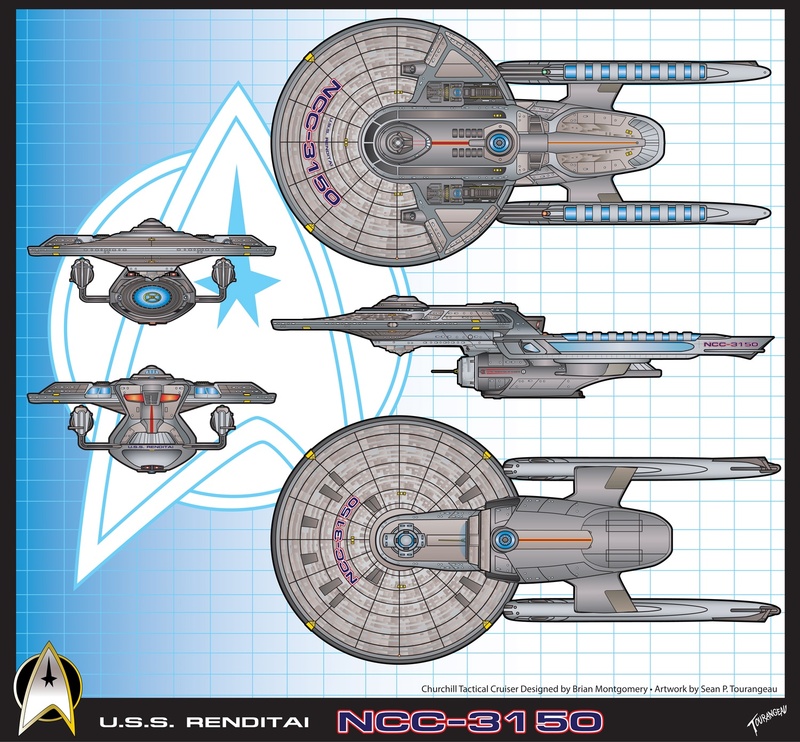 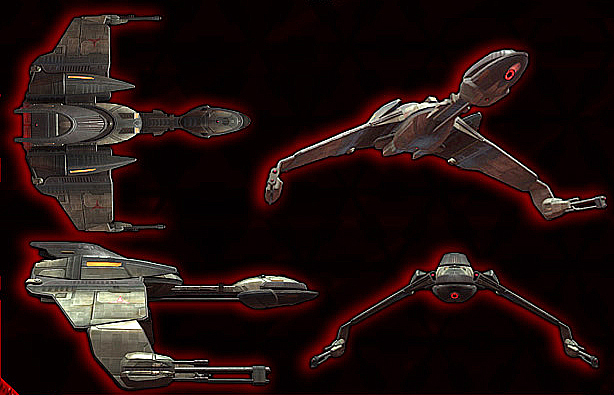 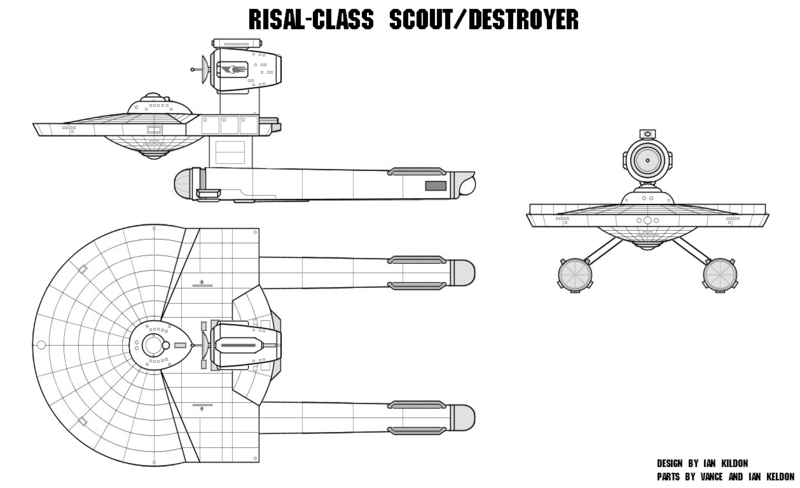 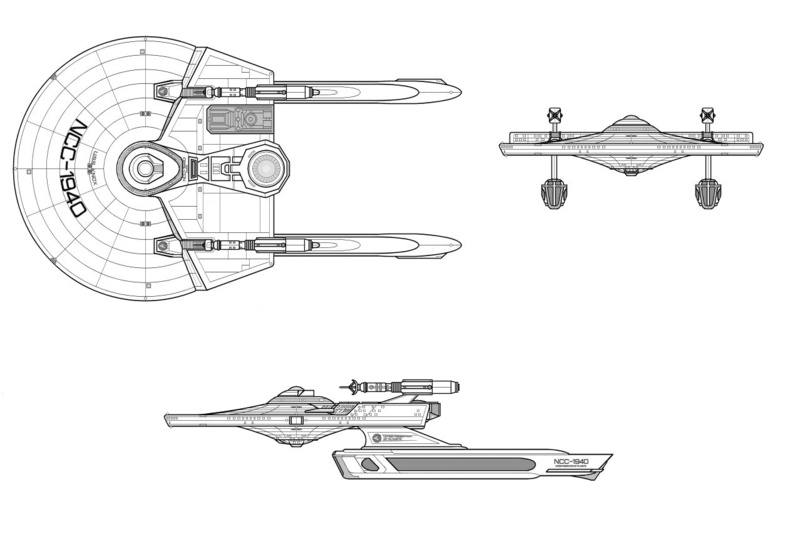 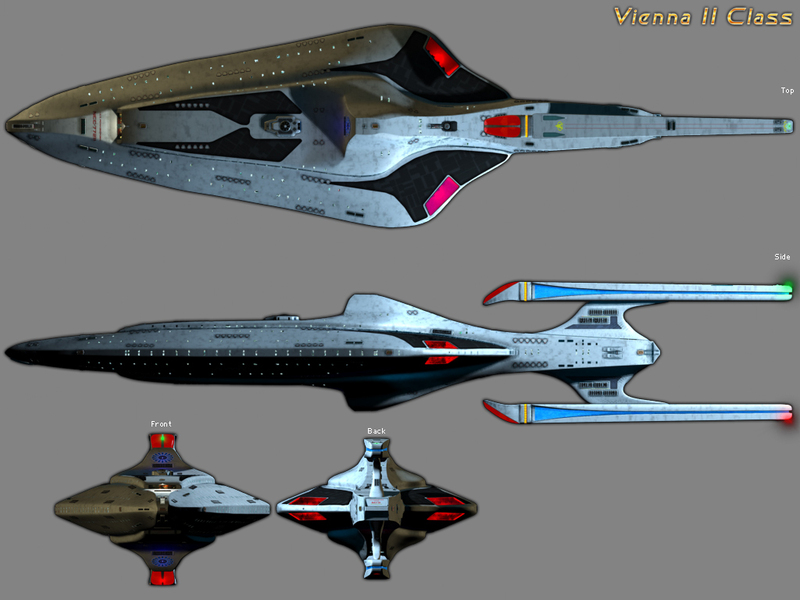 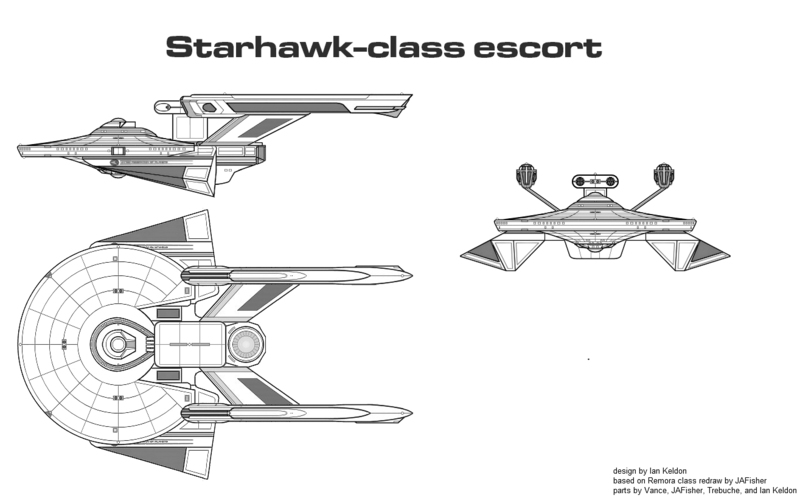 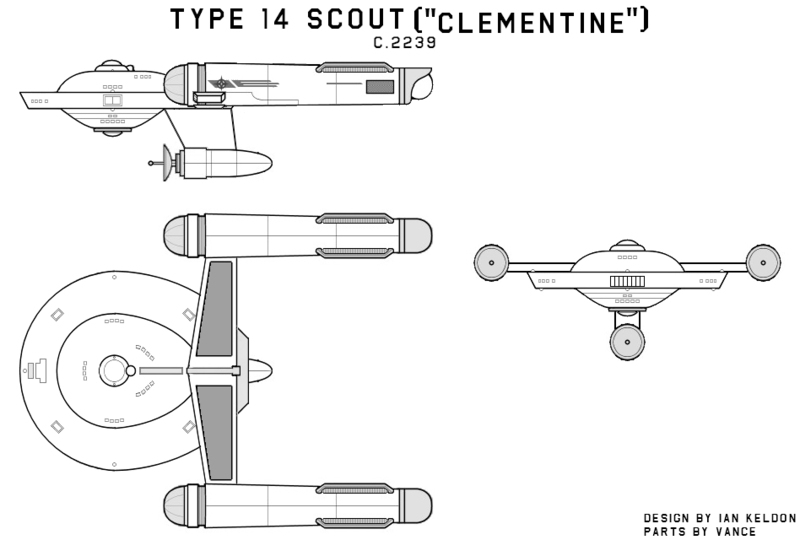 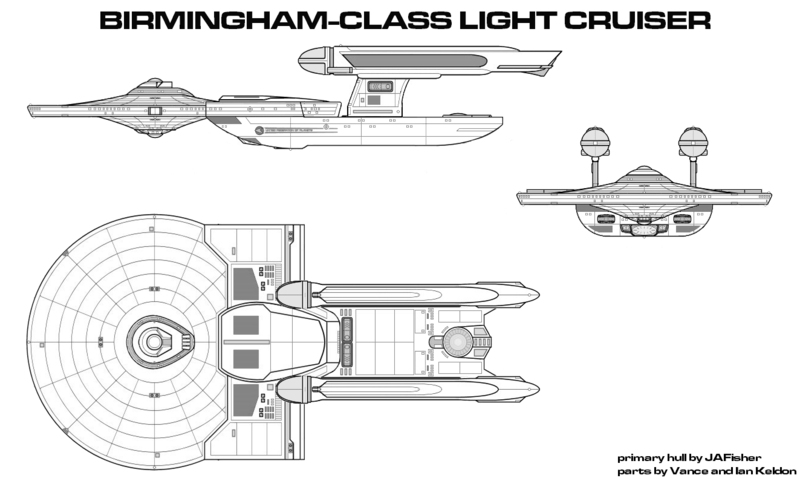 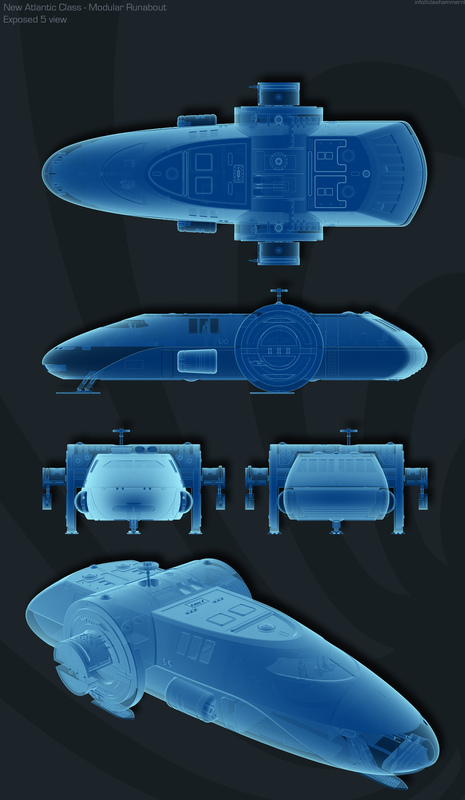 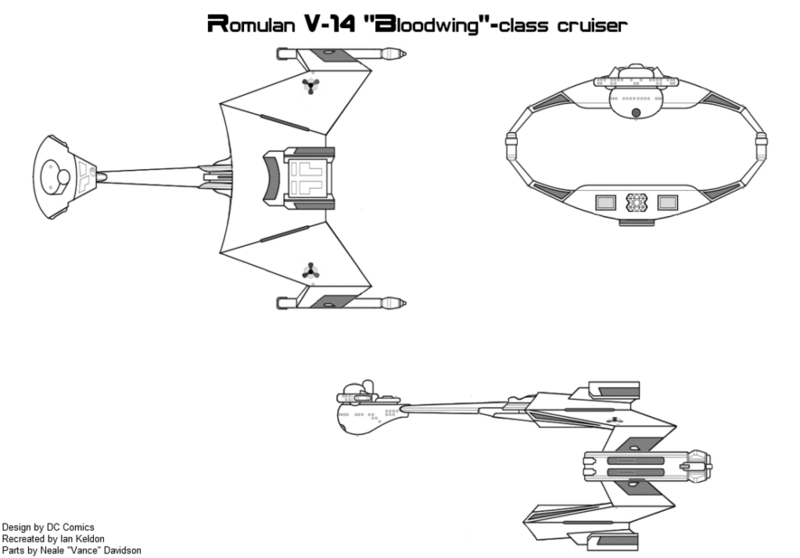 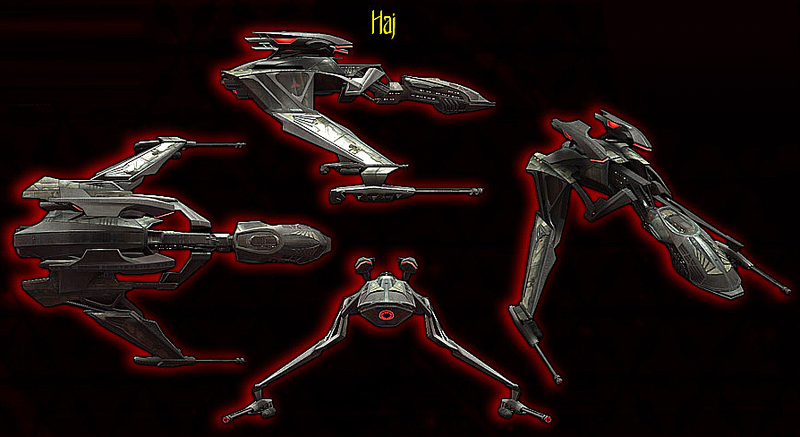 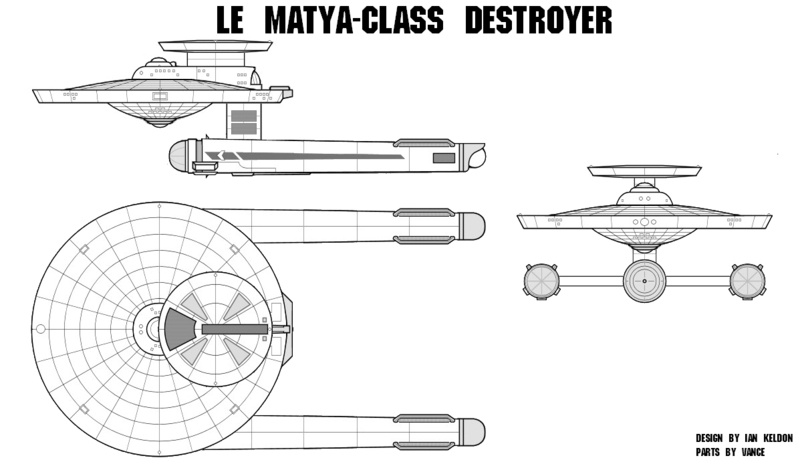 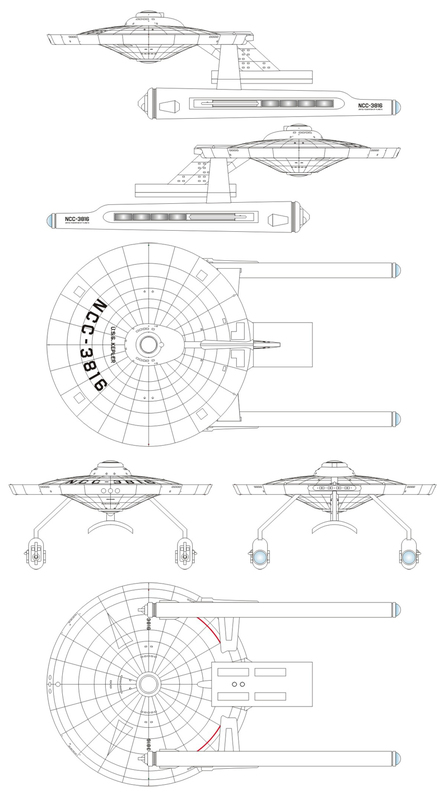 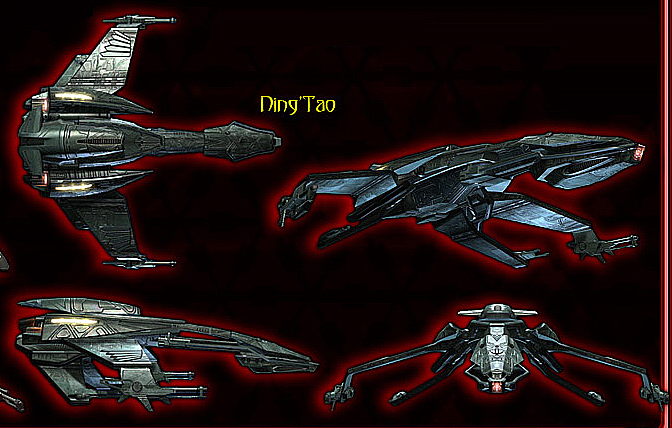 Since their creation, they are all known to have been shown as distant background ships in various movies and episodes throughout the years, warranting their inclusion as "official" designs in this database. 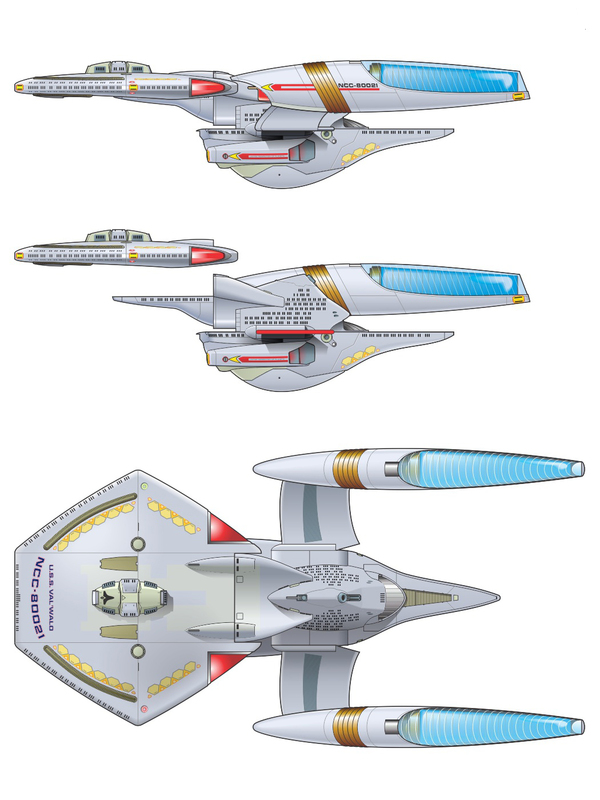 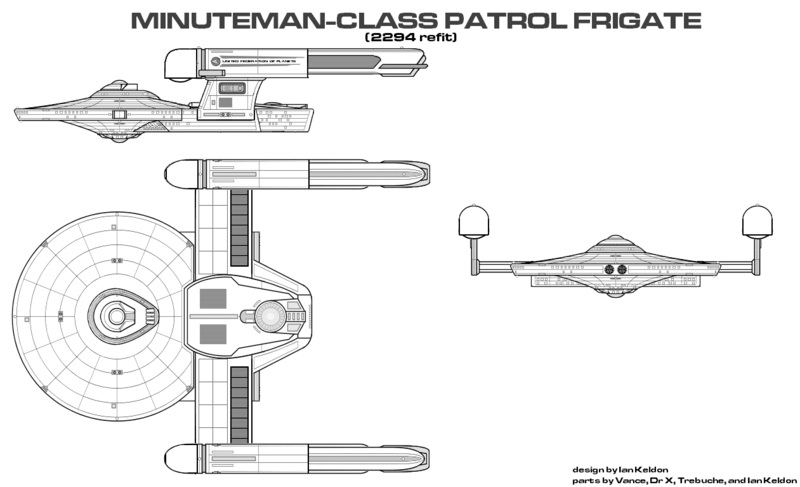 The Unknown "Fast Frigate" was a design that was built from an AMT/ERTL USS Reliant kit, with some extra USS Enterprise top engines glued on to the rollbar that appeared in the It's a Wrap! 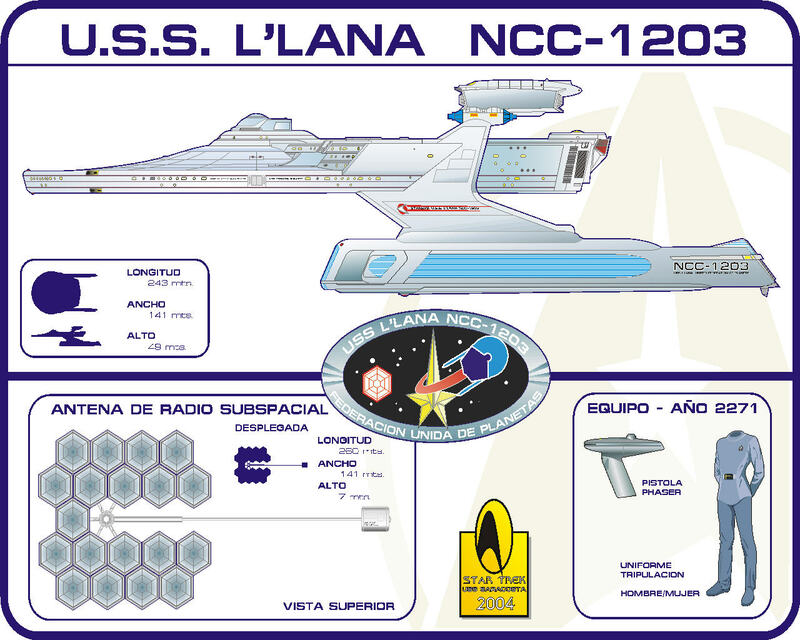 online sale and auction in 2007. 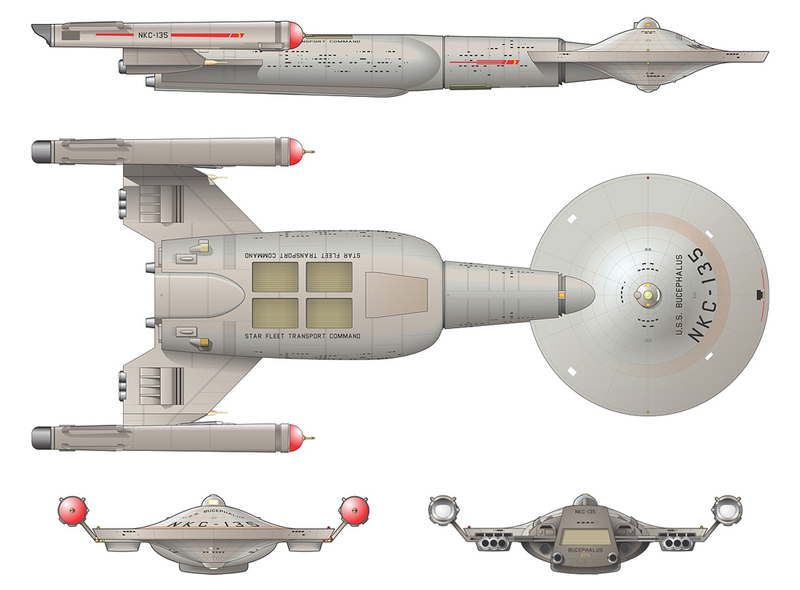 Described as a "Bronzed Starship Model", it was claimed to have been purposed for a desk model in Star Trek: Deep Space Nine. 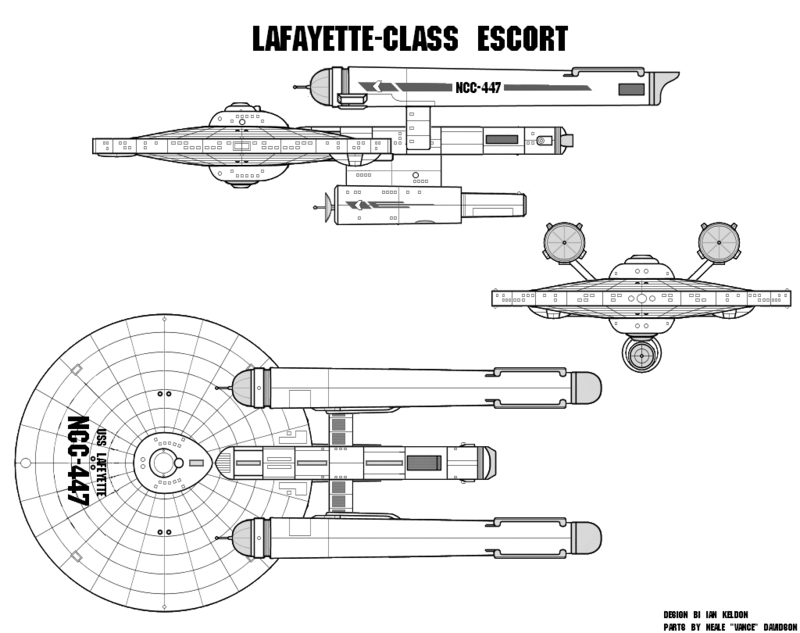 I'm really not terribly sure of its provenance and, like the Trieste above, I don't think it actually saw screen time, but it is still included here as "official" based on its intent of use. 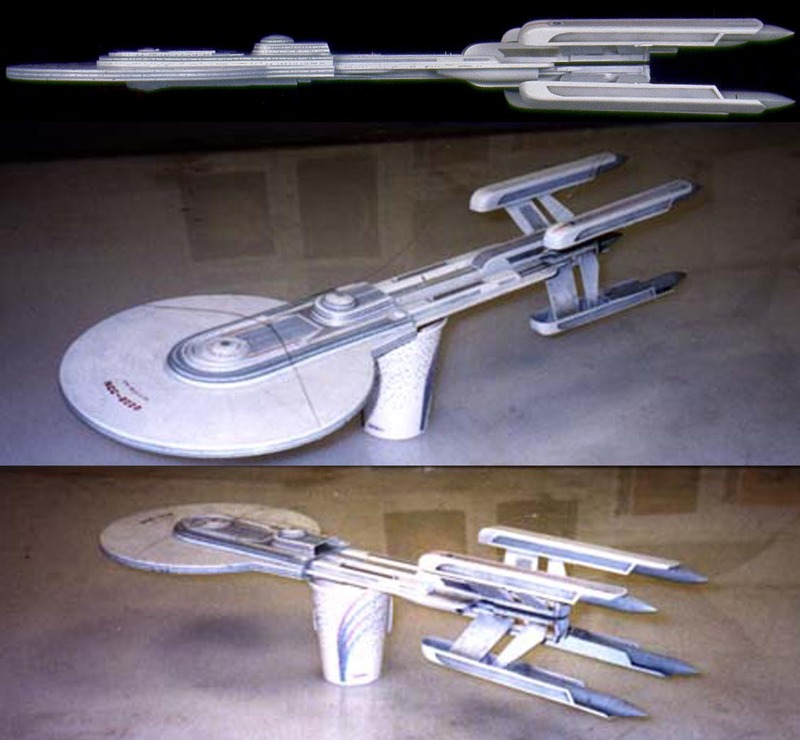 The Trial model was a simple AMT/ERTL USS Reliant model which had its rollbar glued on in reverse. 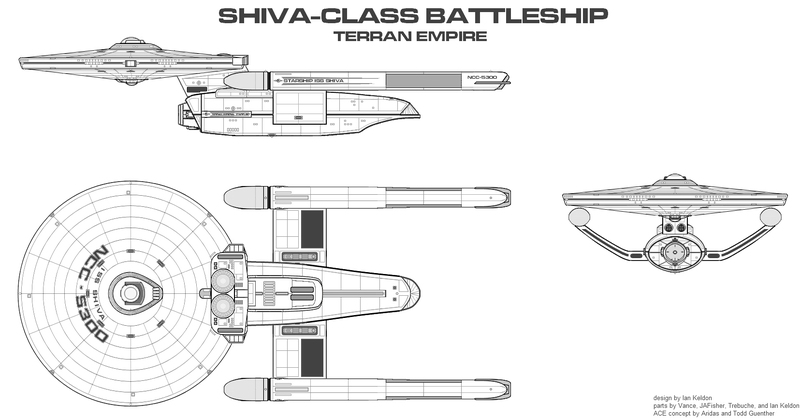 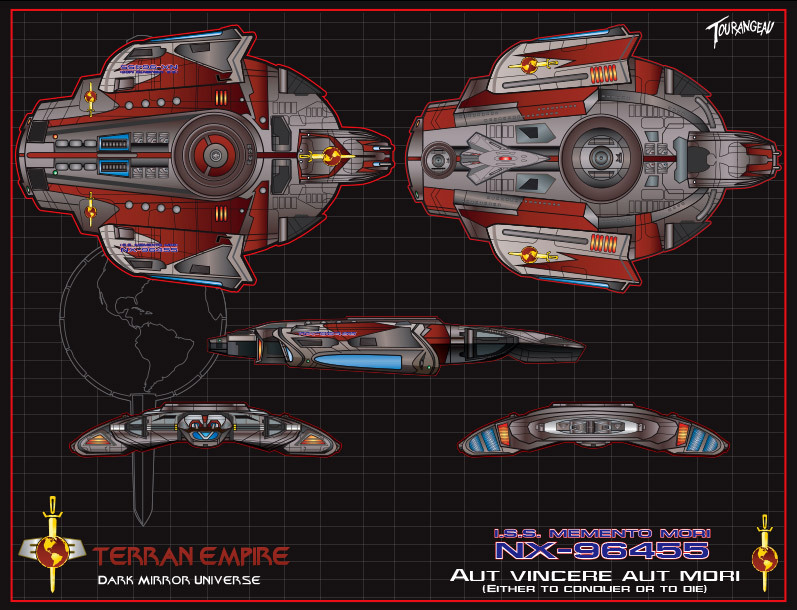 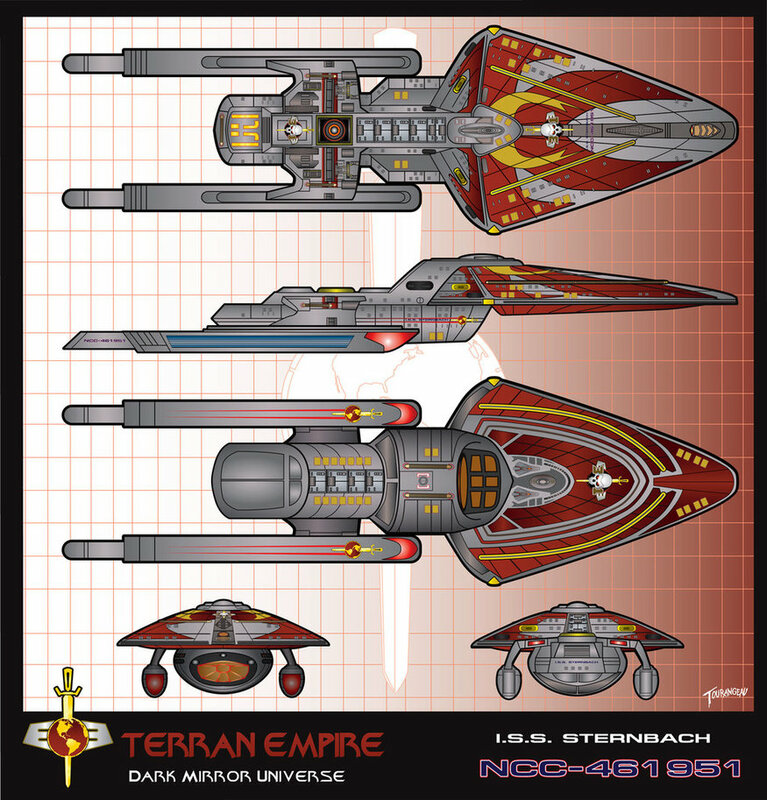 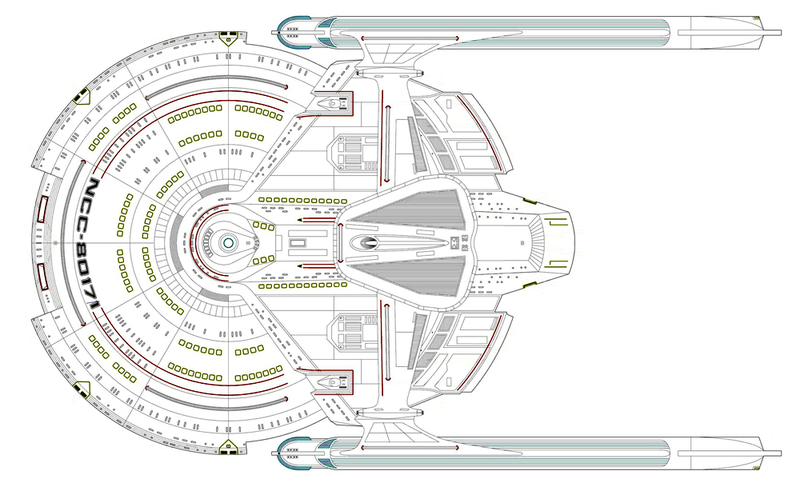 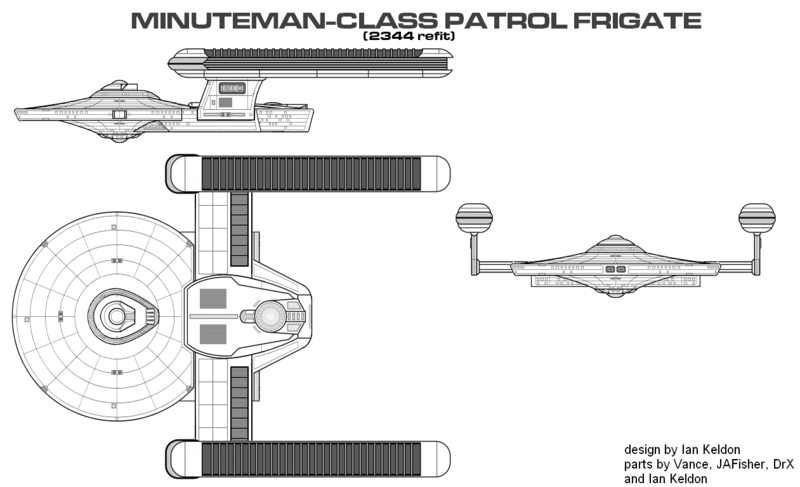 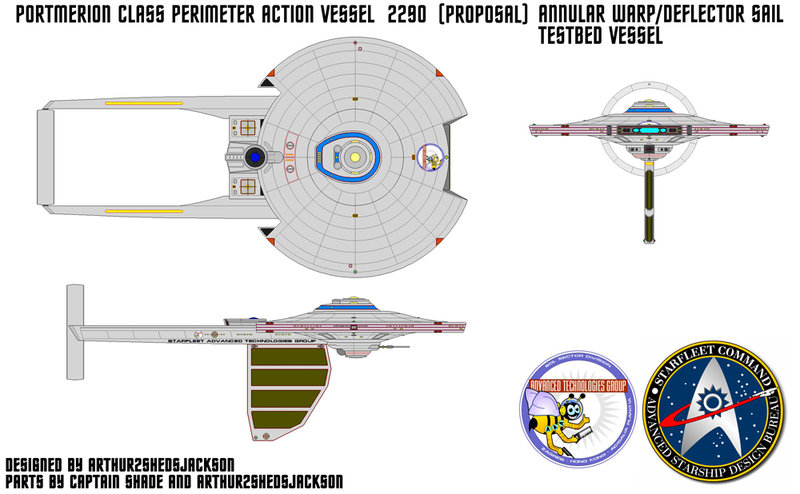 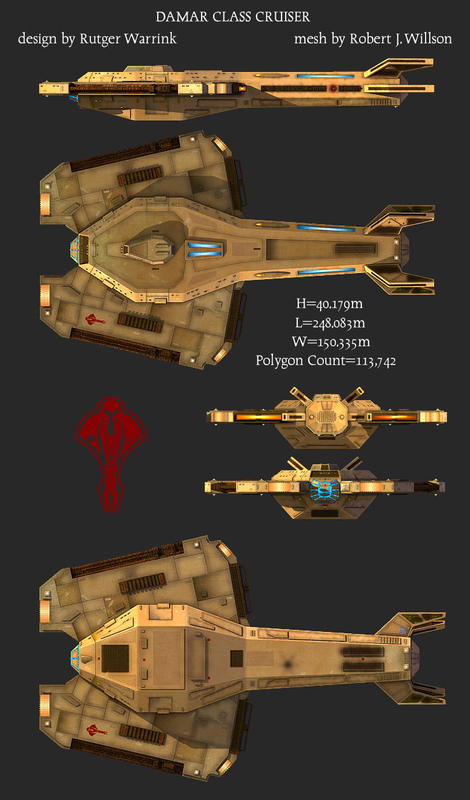 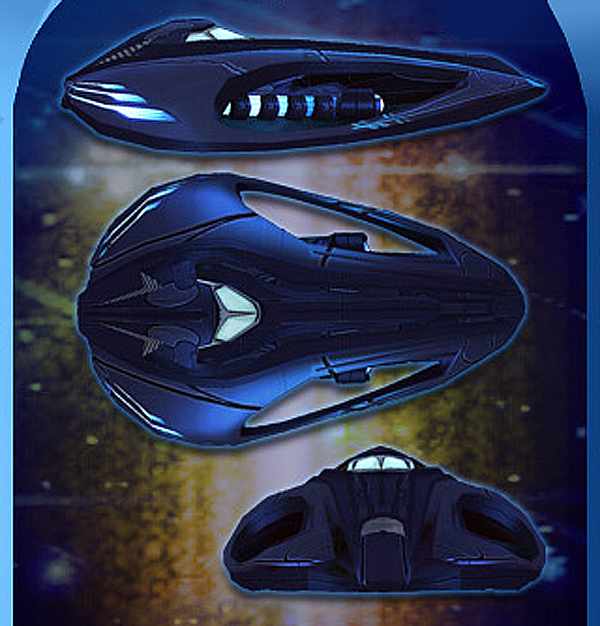 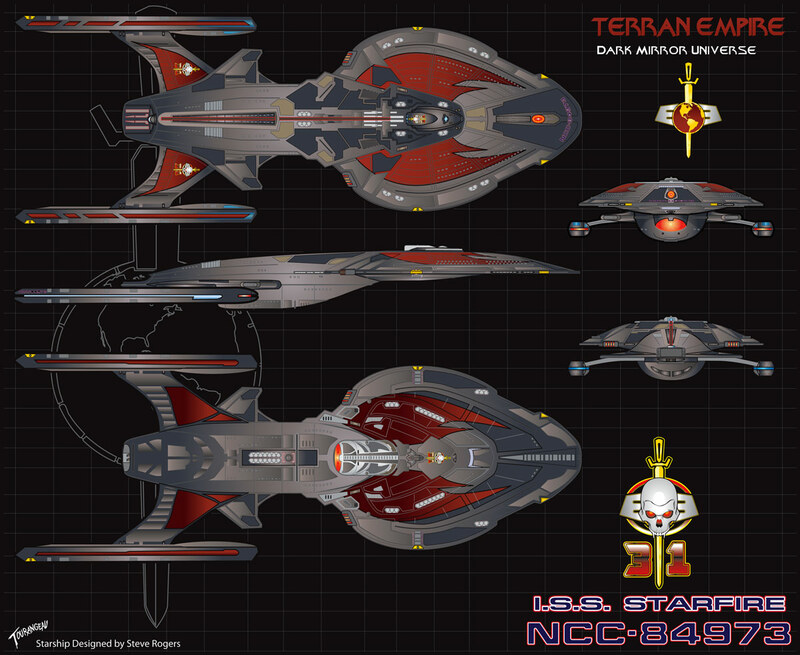 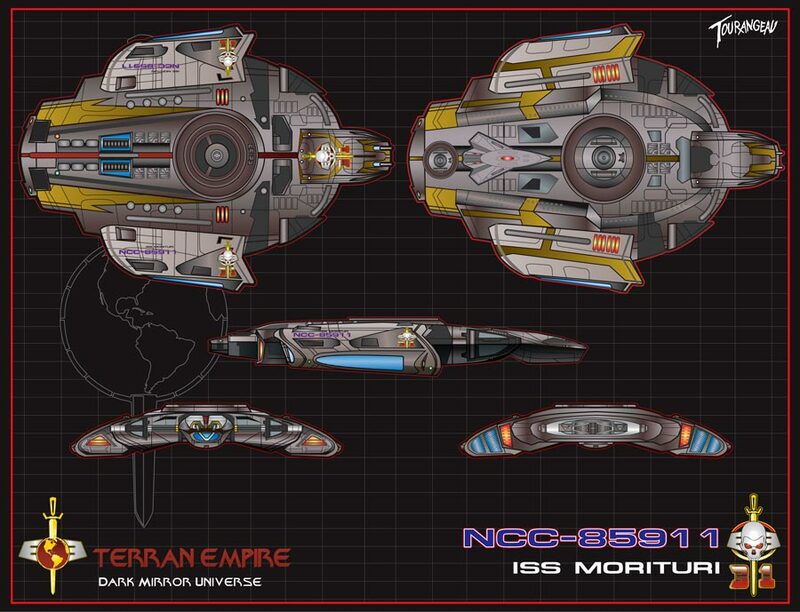 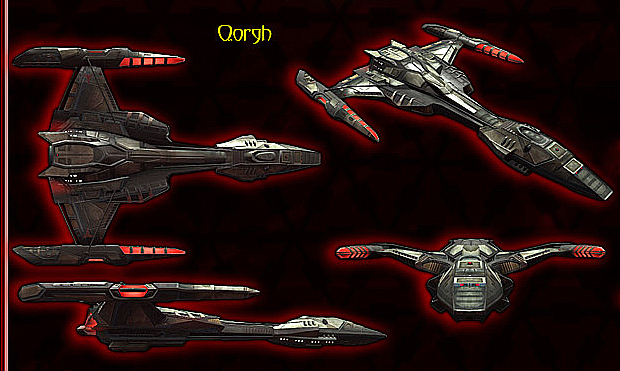 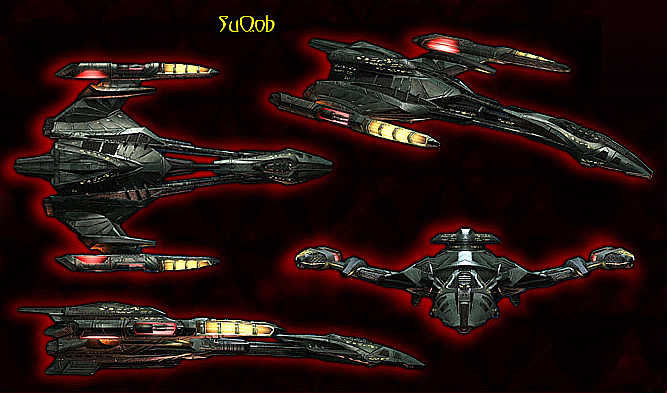 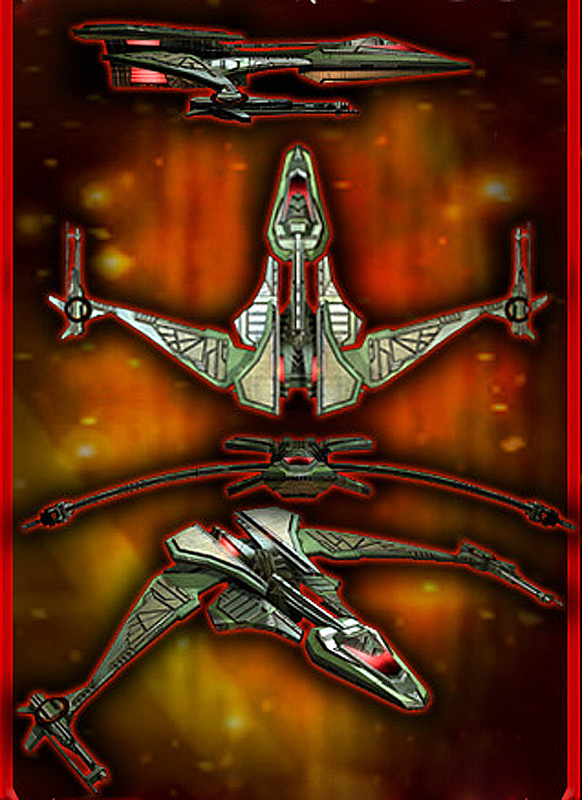 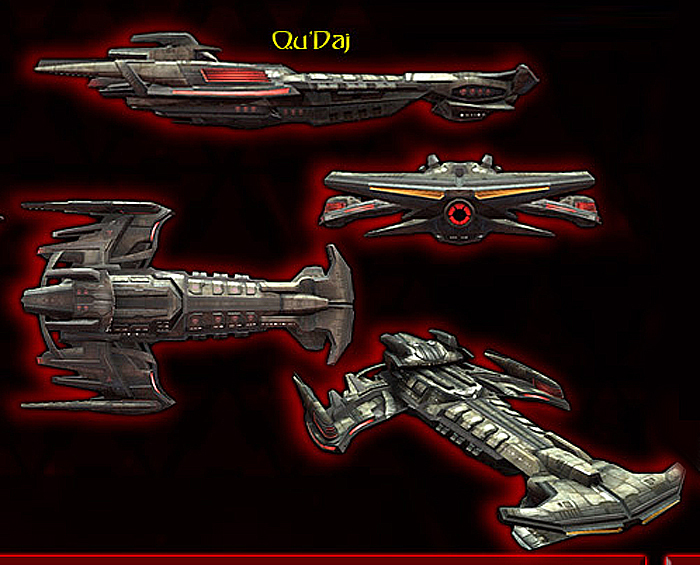 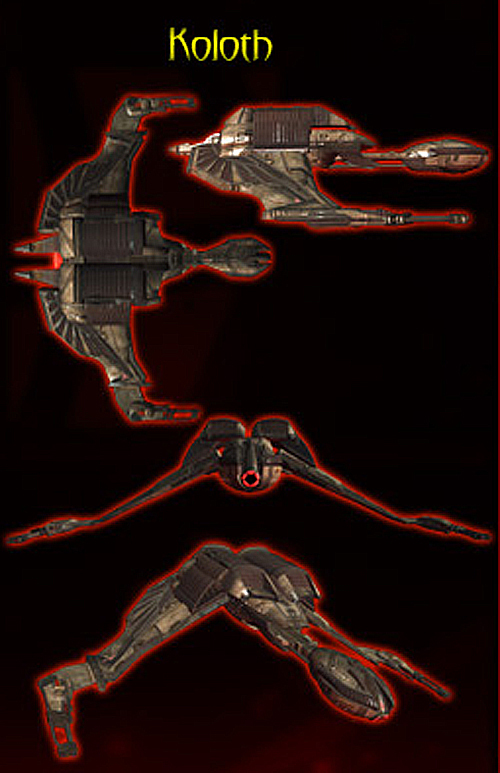 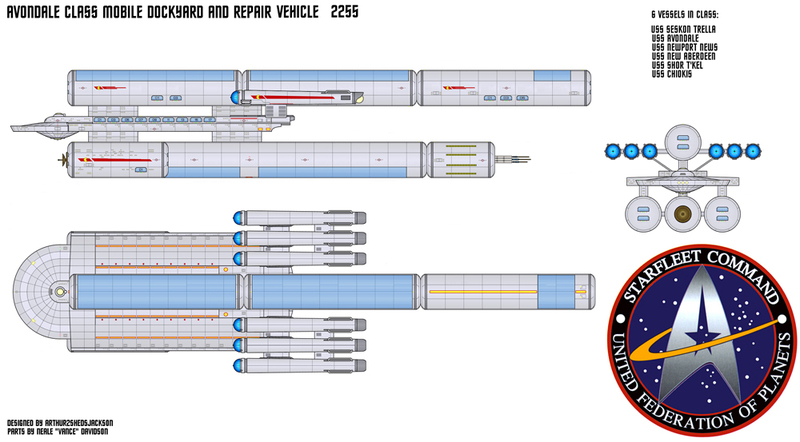 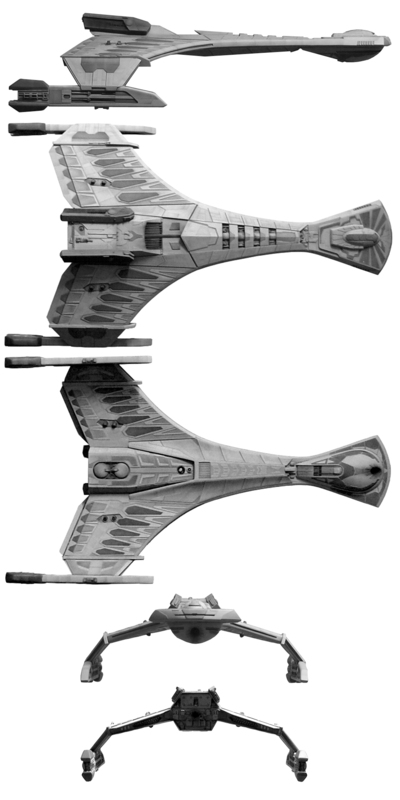 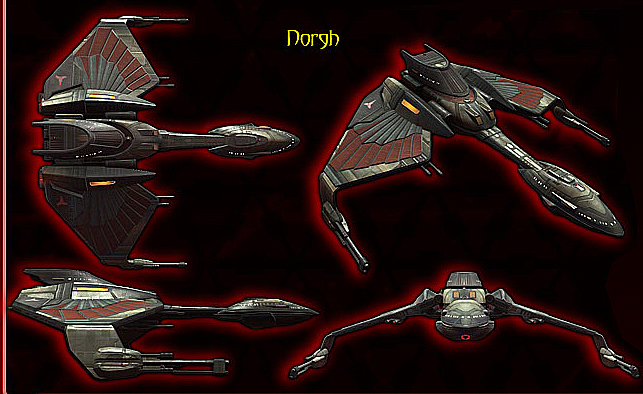 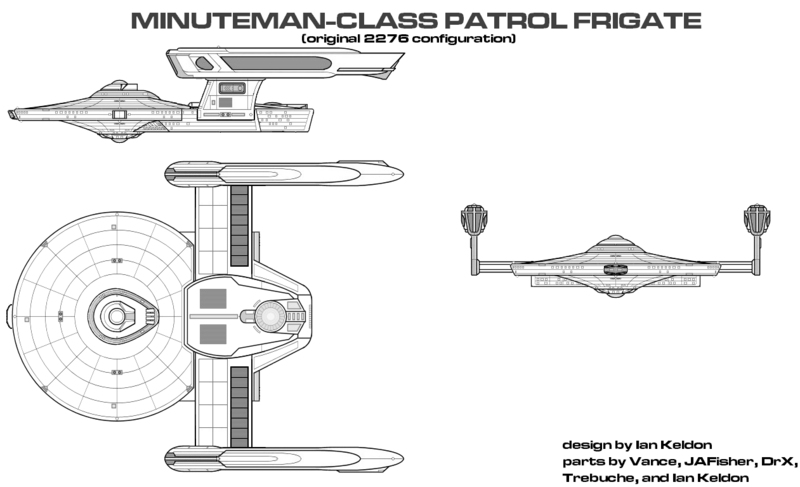 It made an appearanced docked at the Terrok Nor station in the "Star Trek: Deep Space Nine" episode "Way of the Warrior". 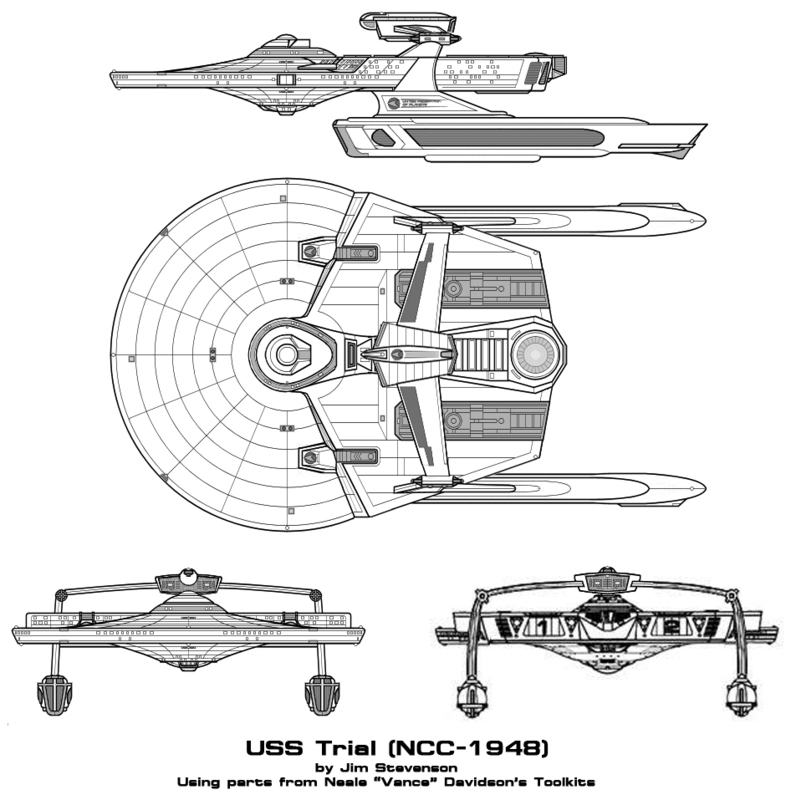 Oddly, another photo surfaced later of the Trial with its rollbar properly aligned, so I am not 100% sure that this is the Trial, even though it's listed in Memory Alpha as such. 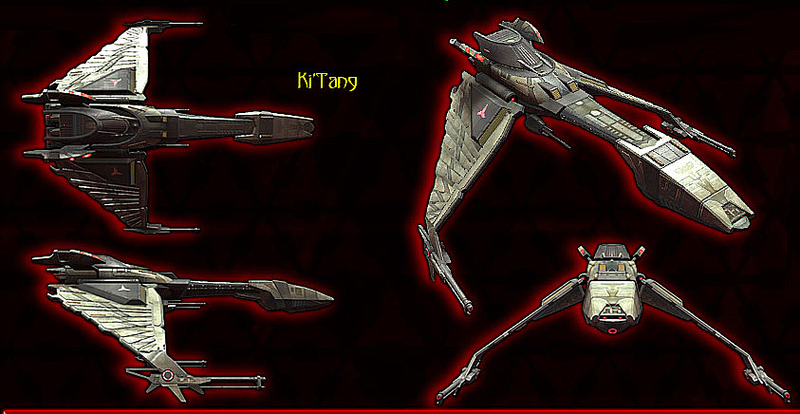 So who knows? 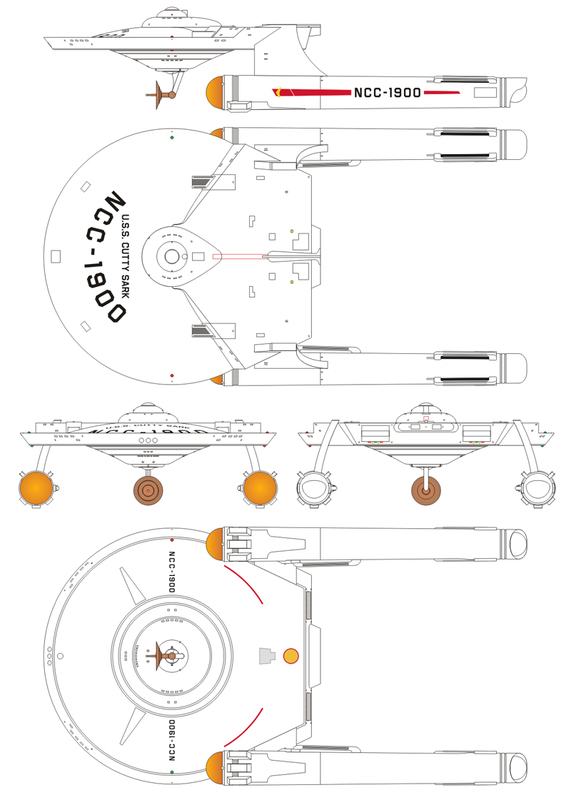 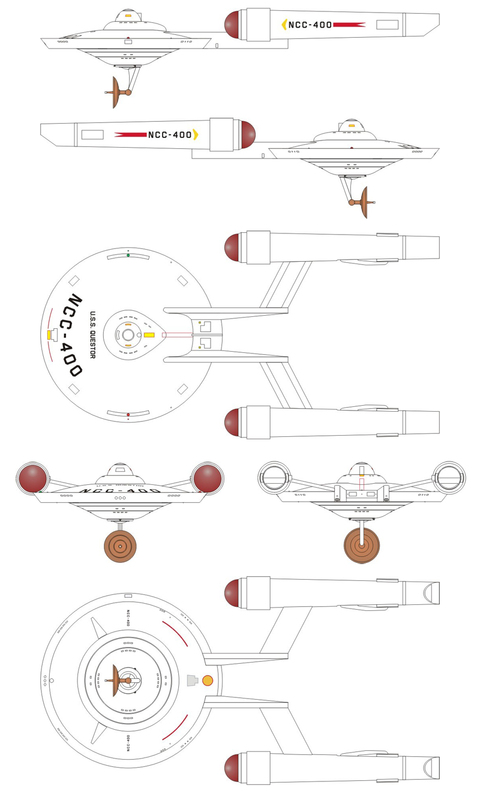 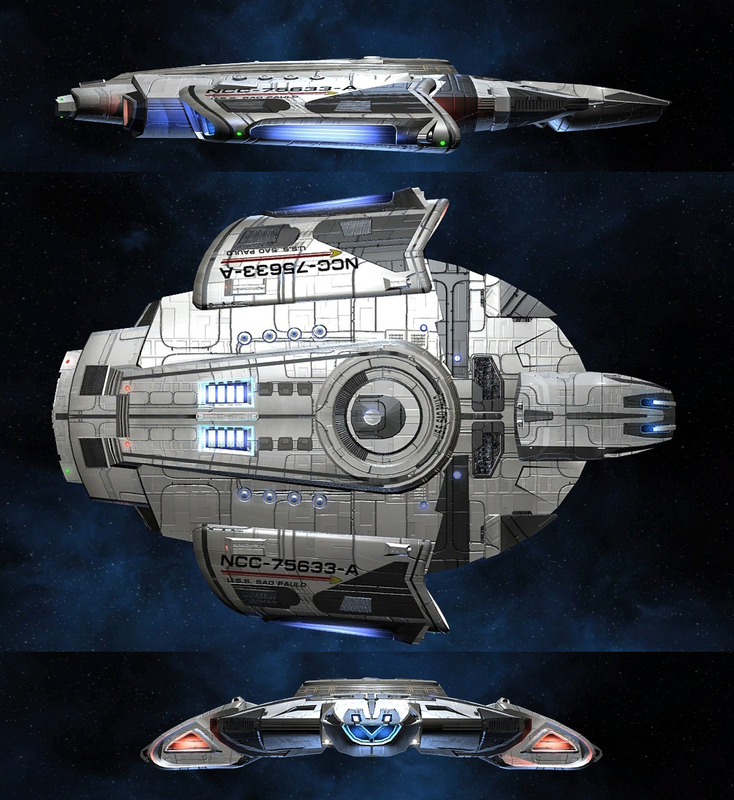 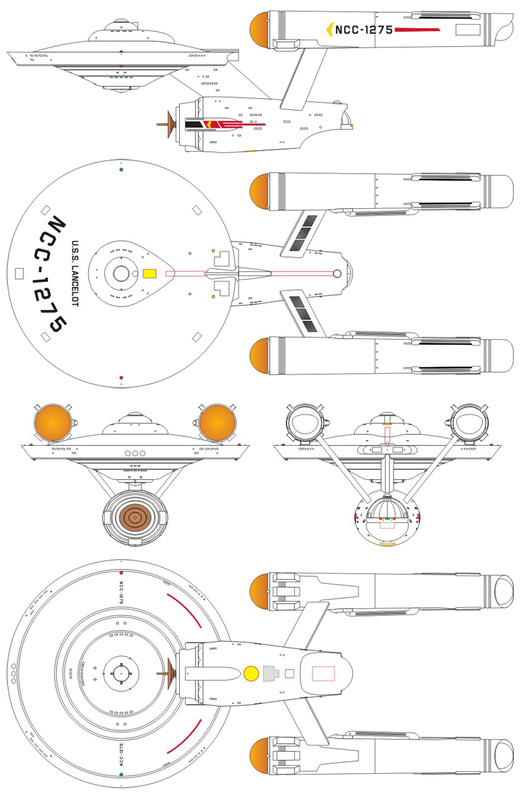 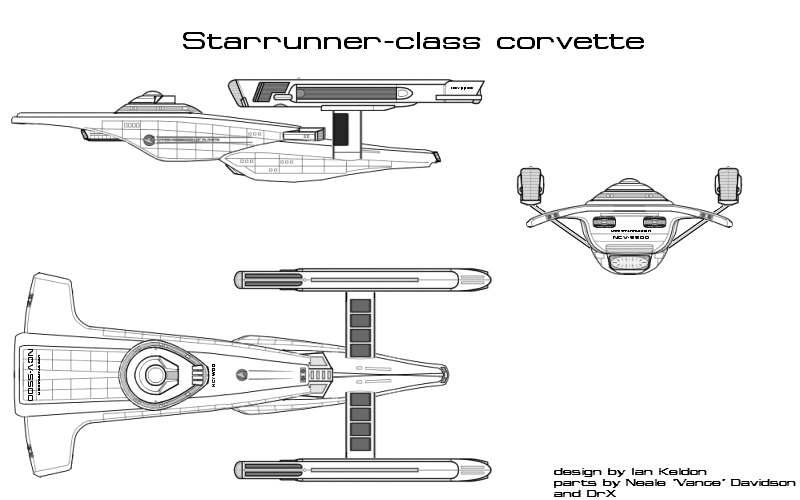 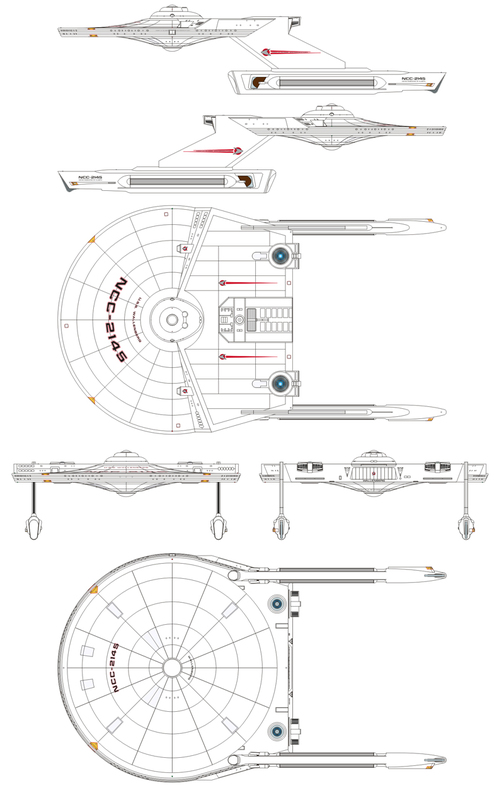 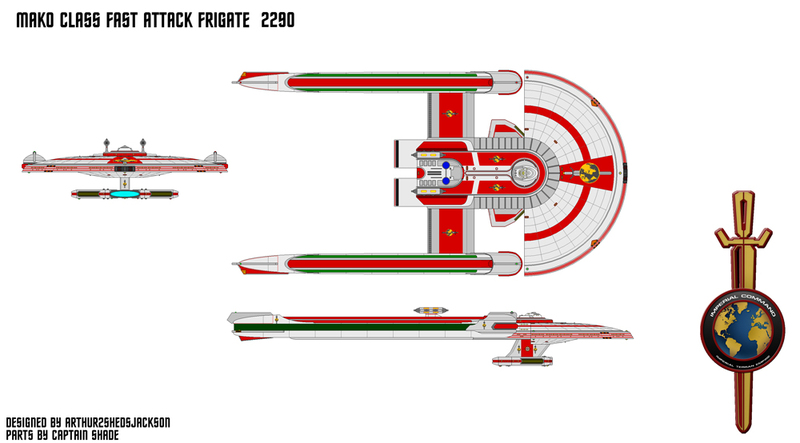 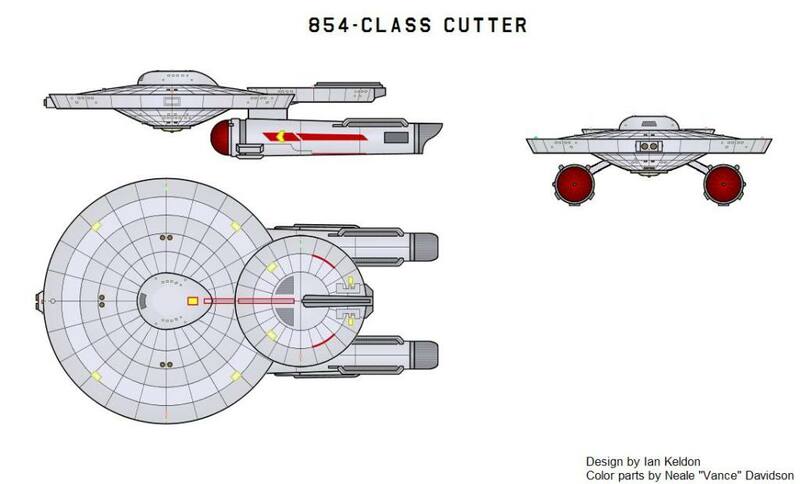 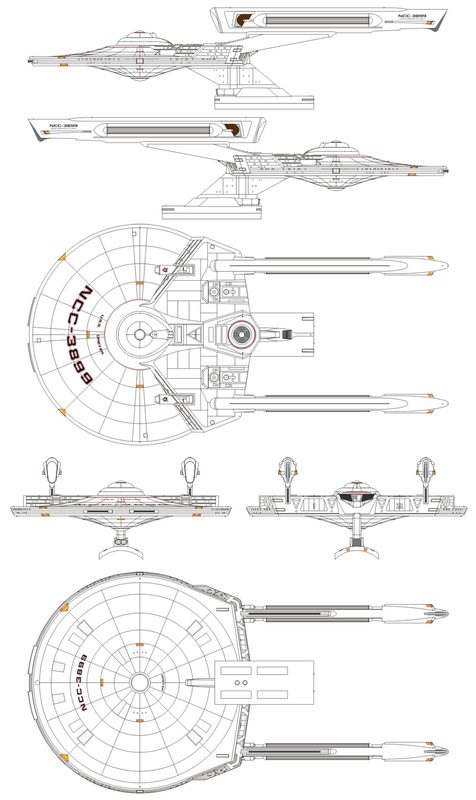 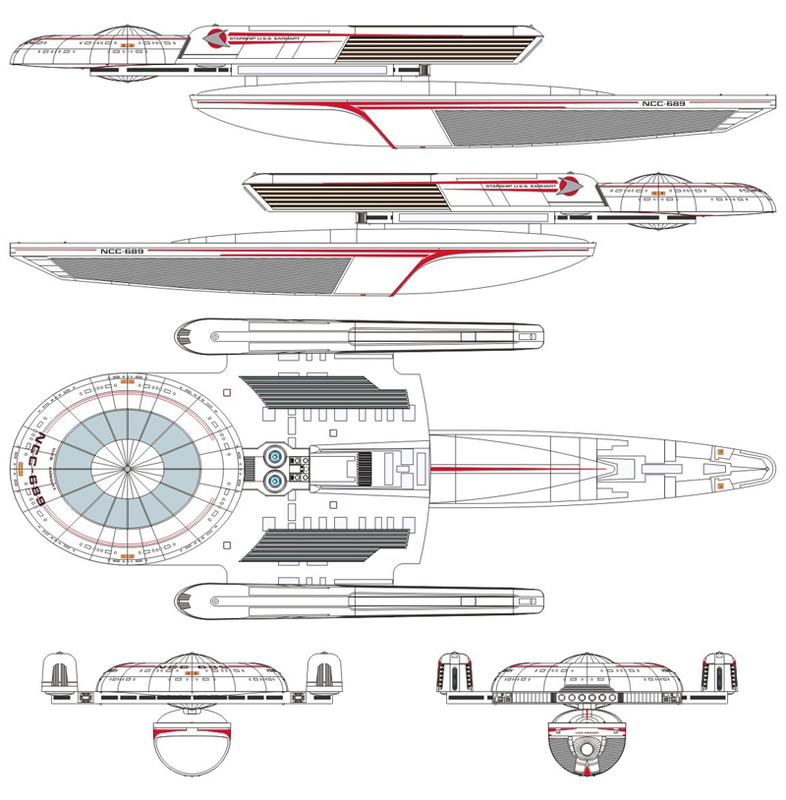 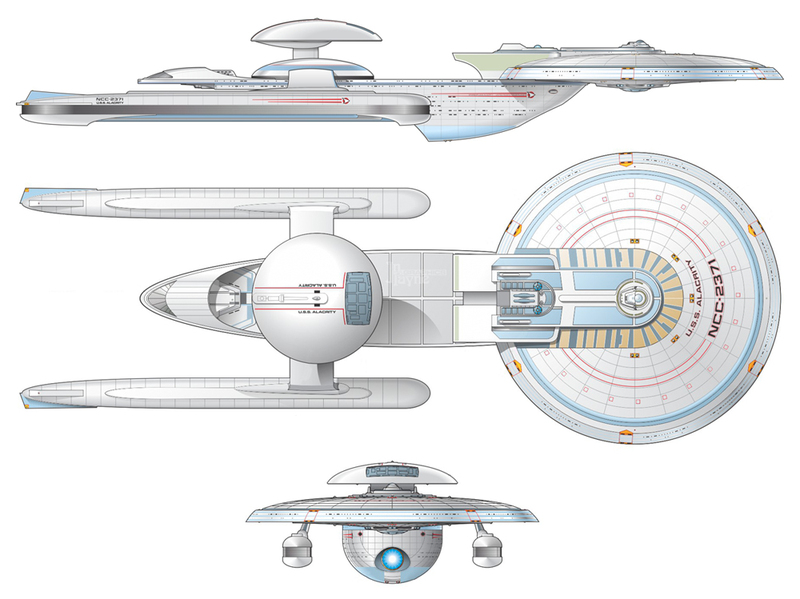 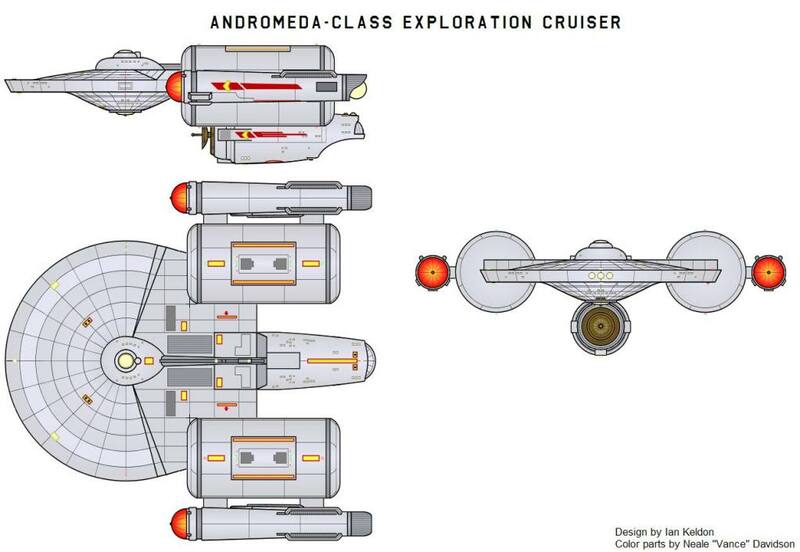 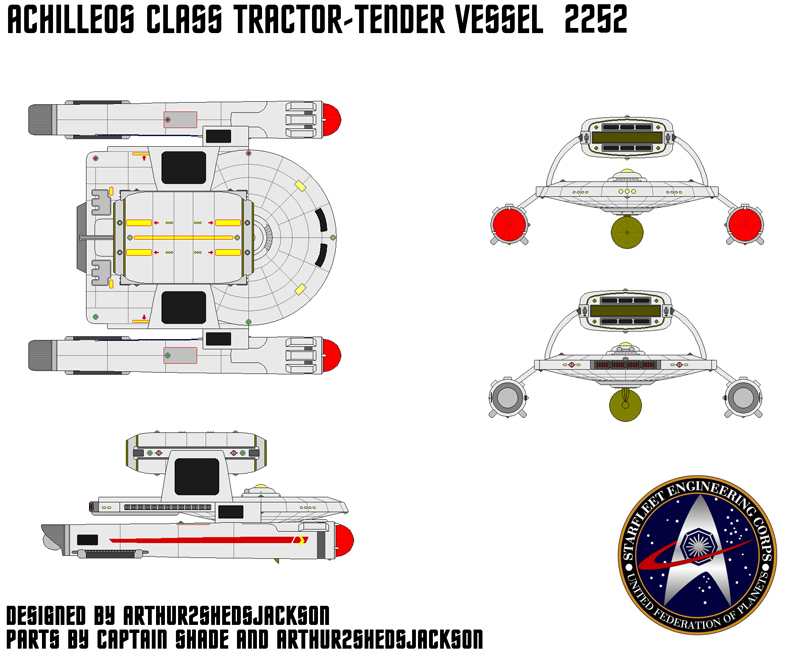 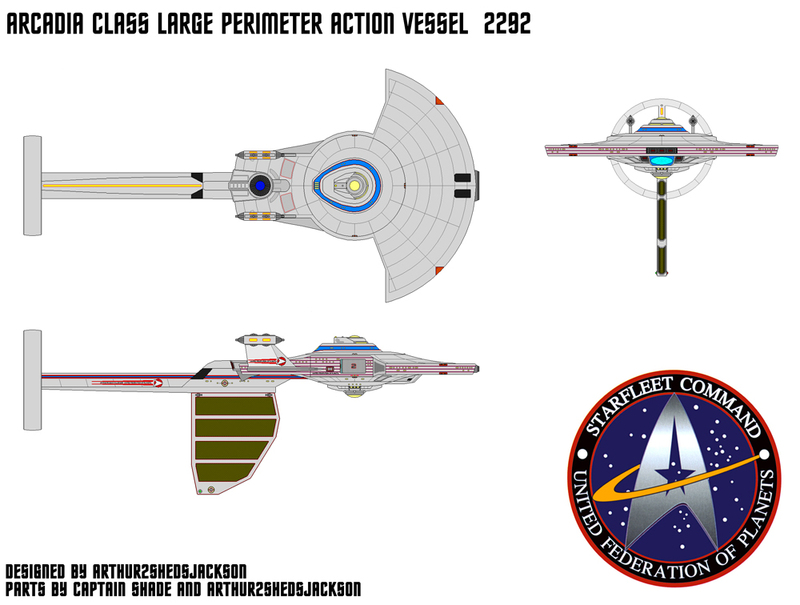 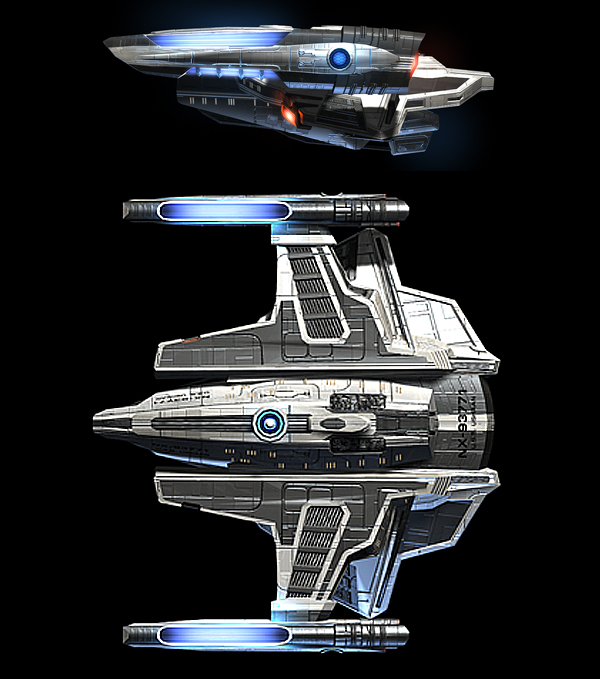 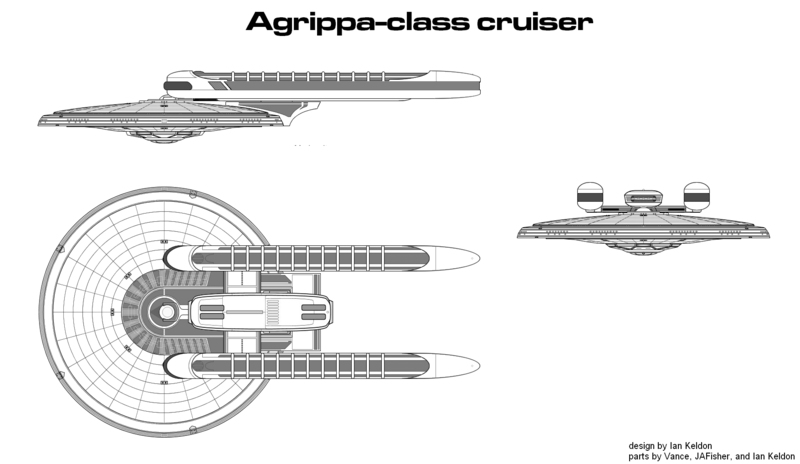 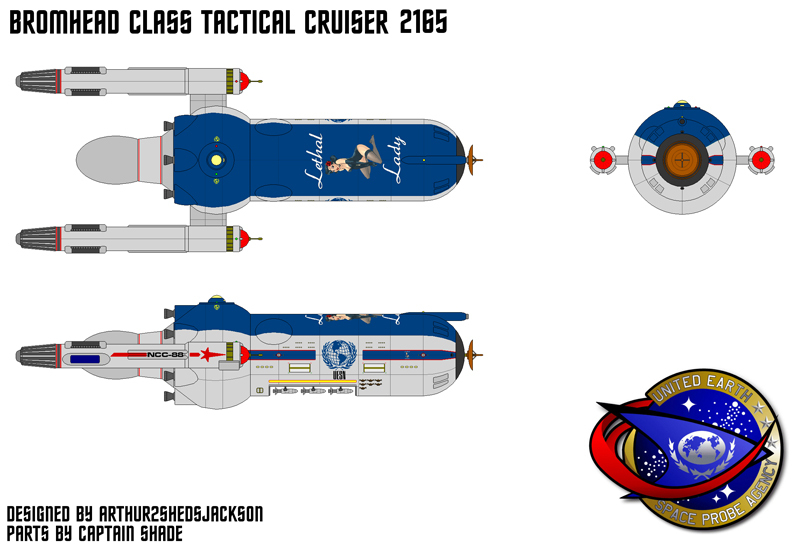 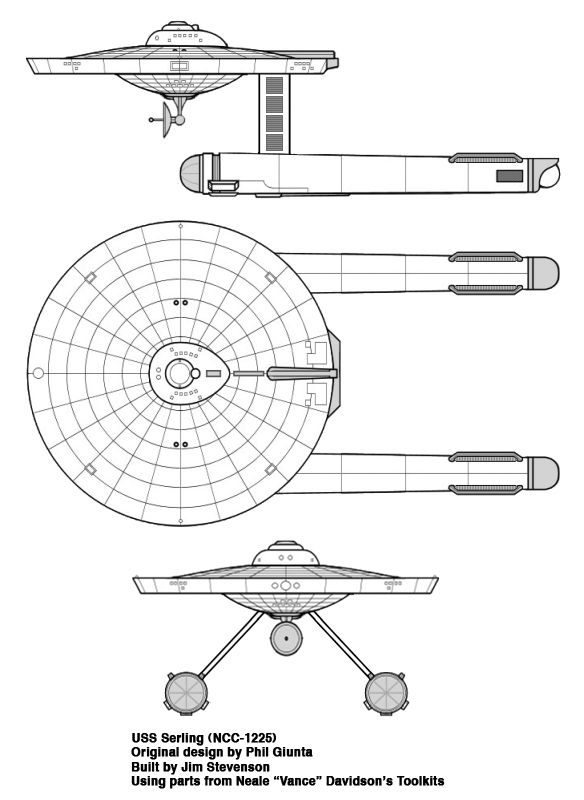 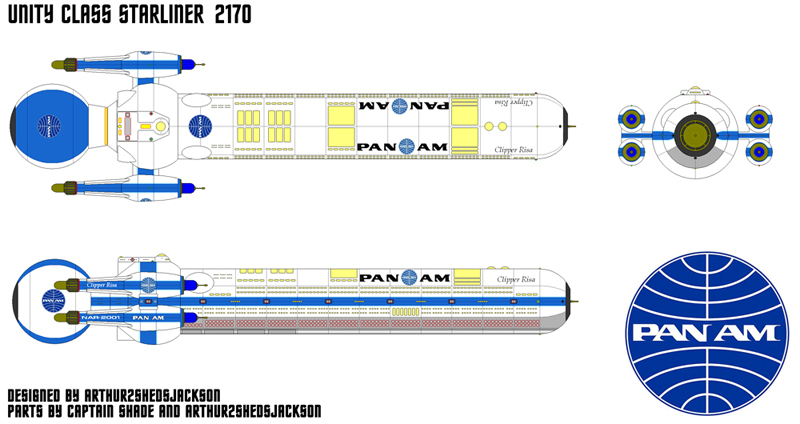 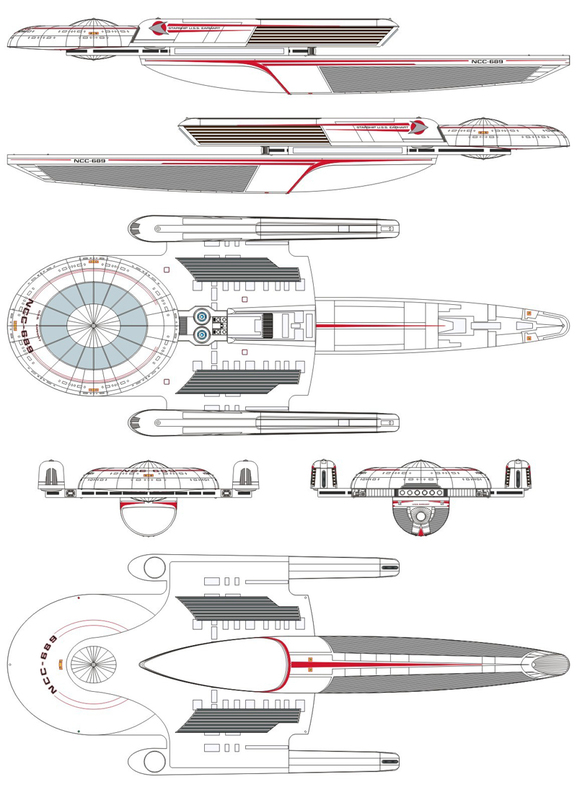 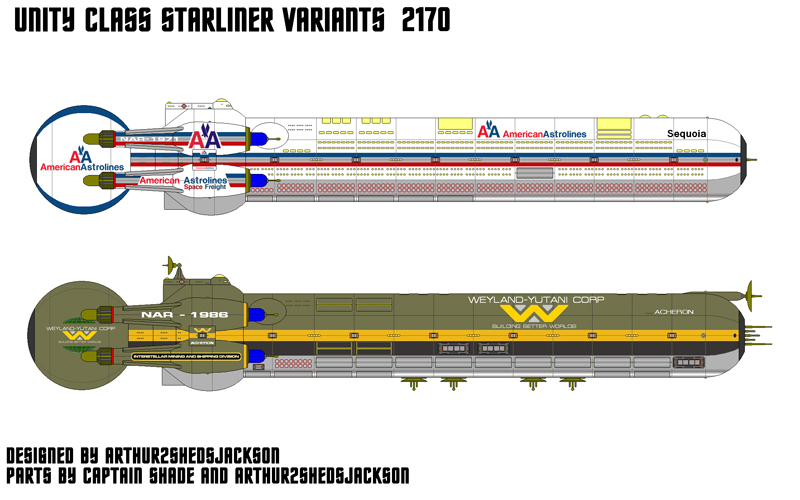 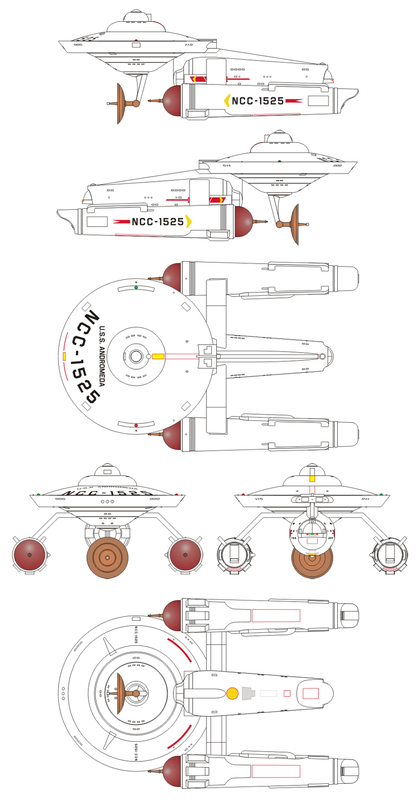 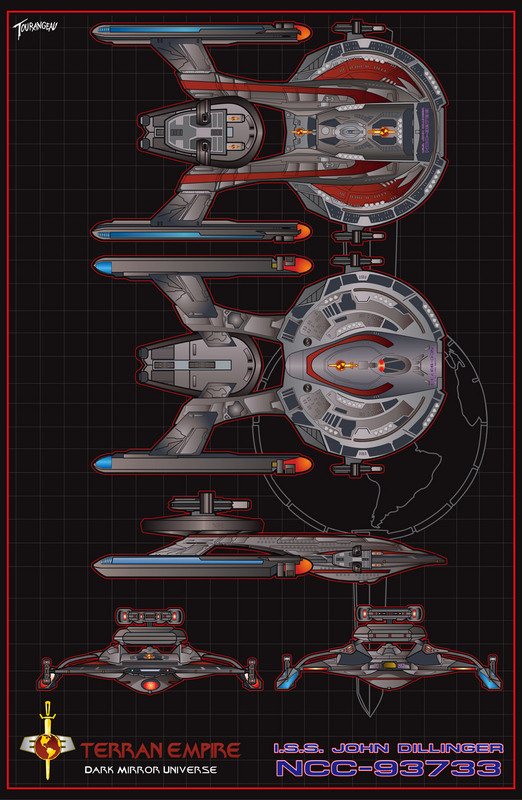 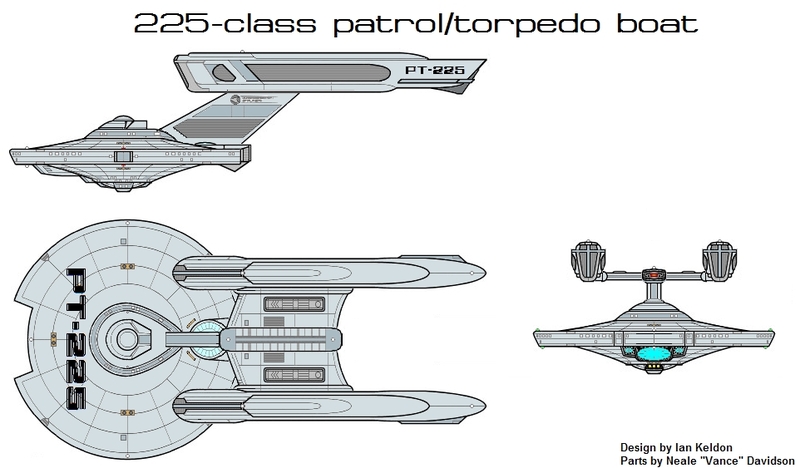 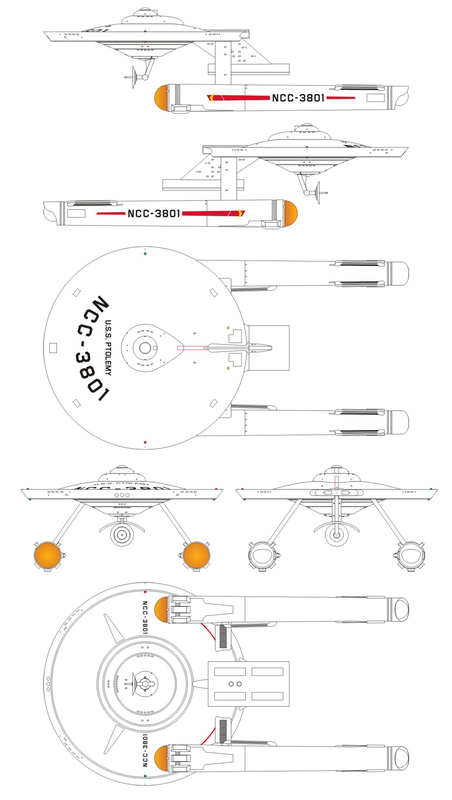 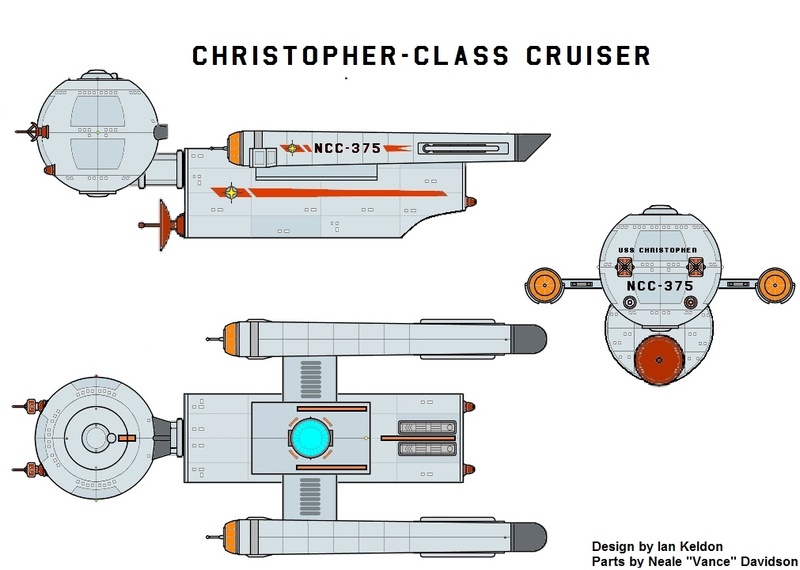 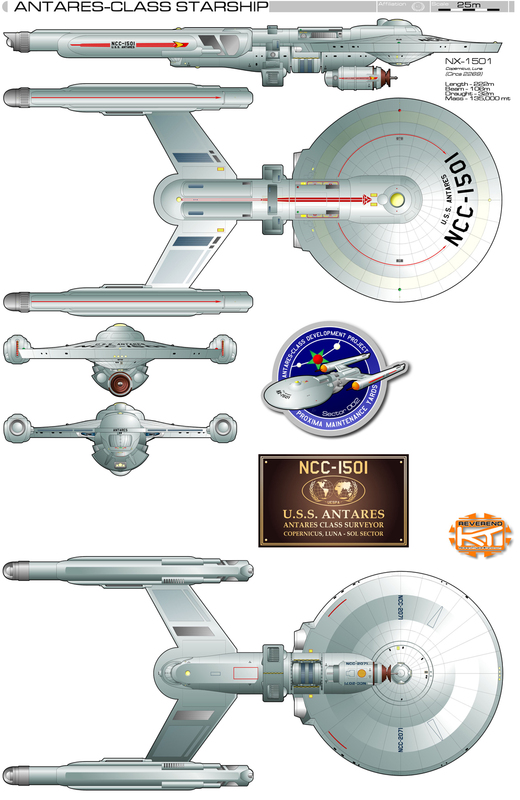 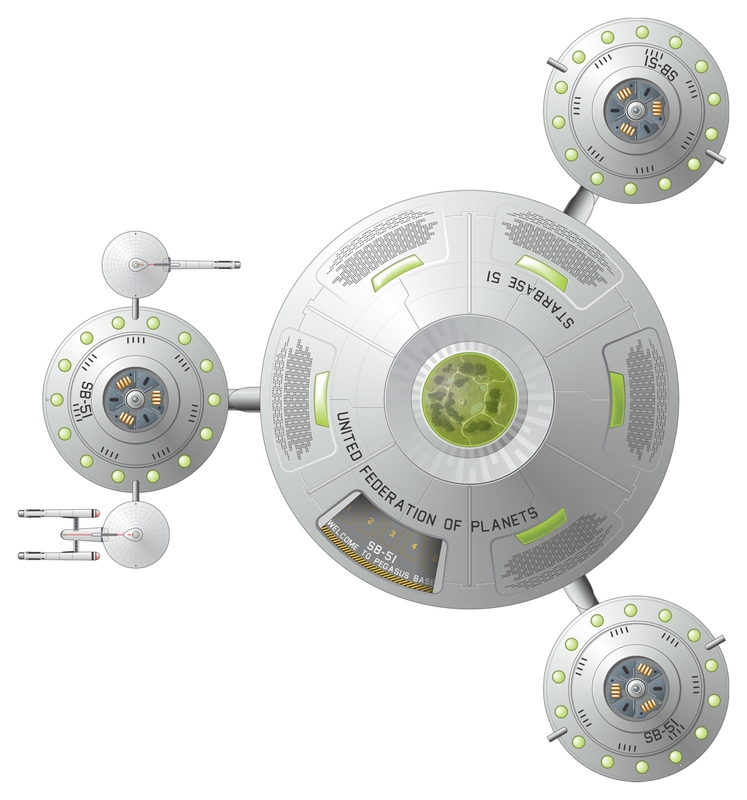 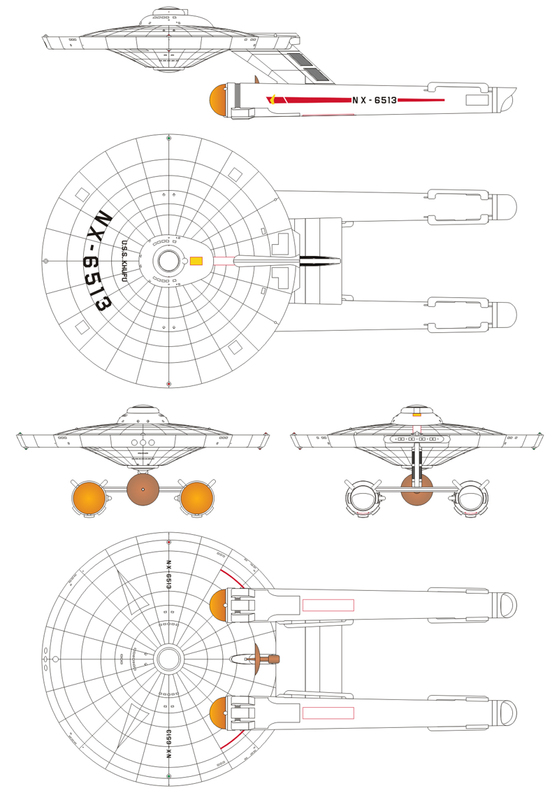 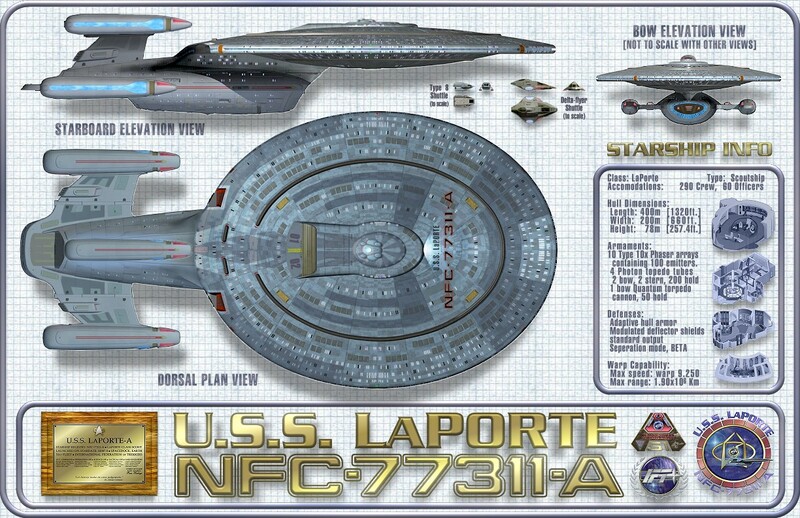 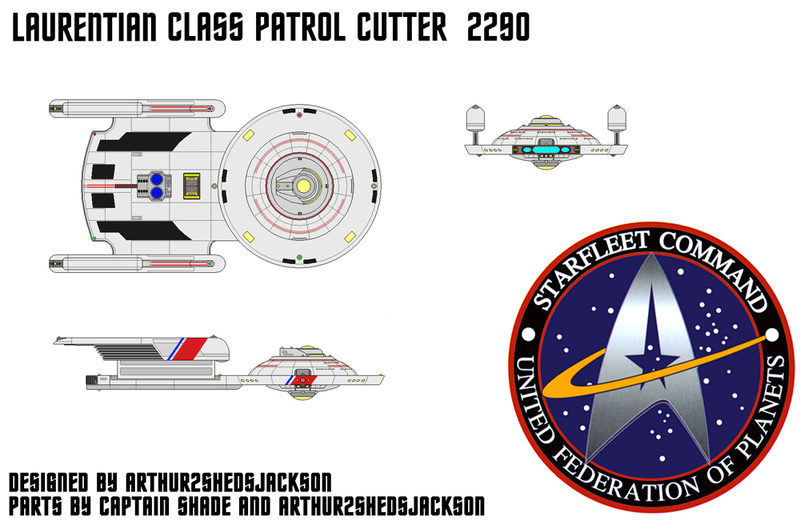 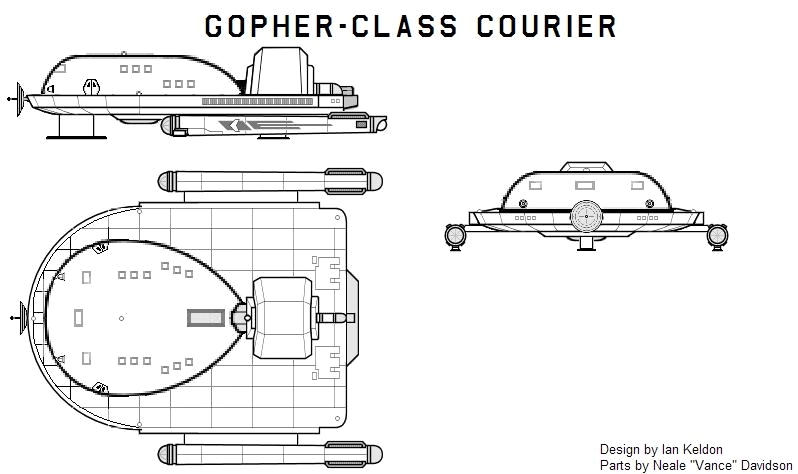 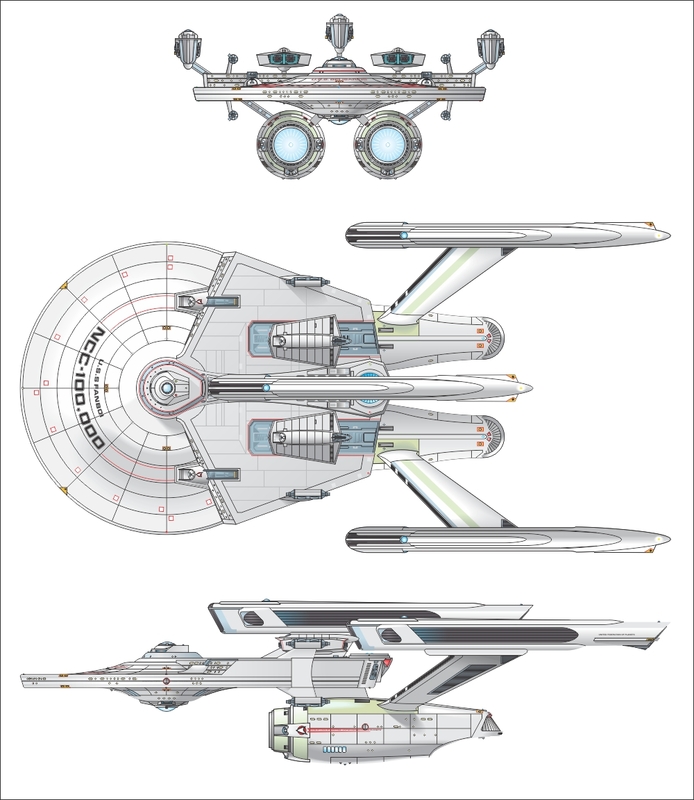 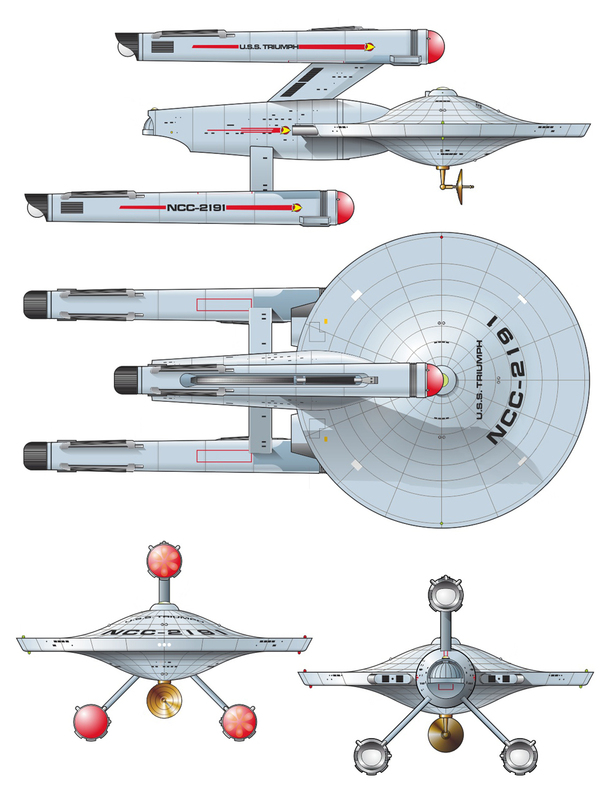 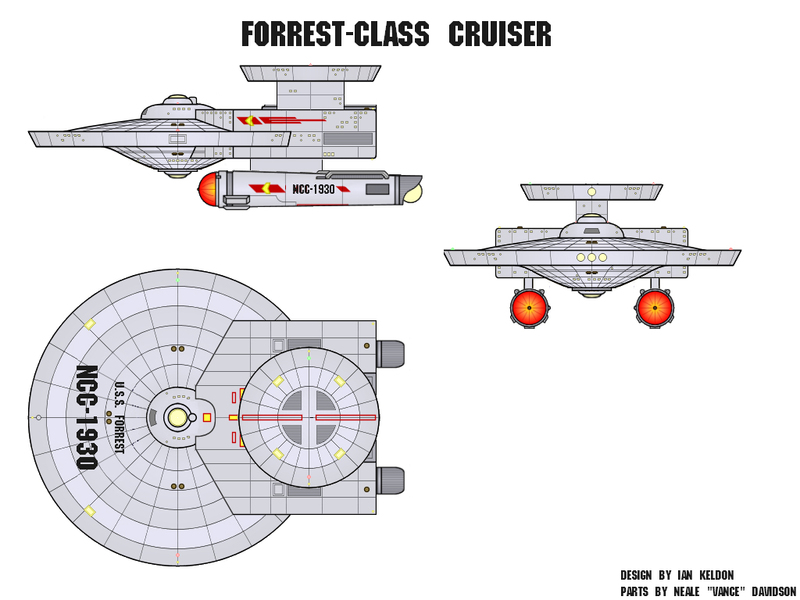 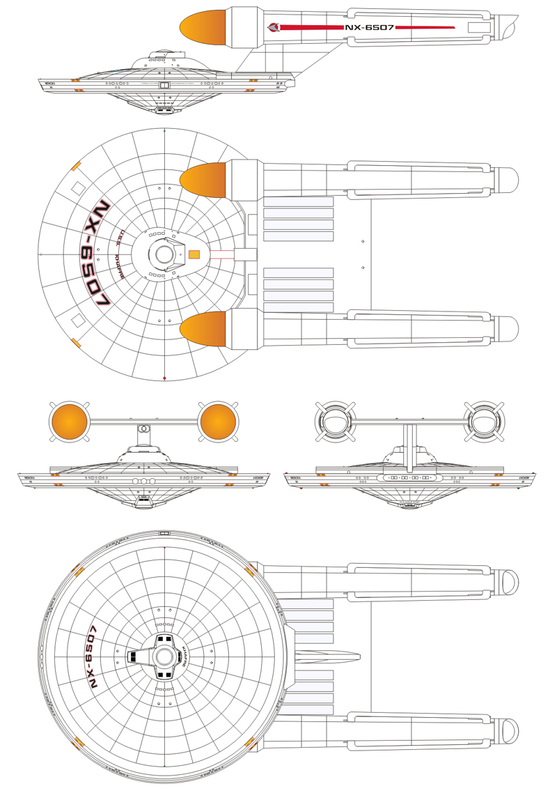 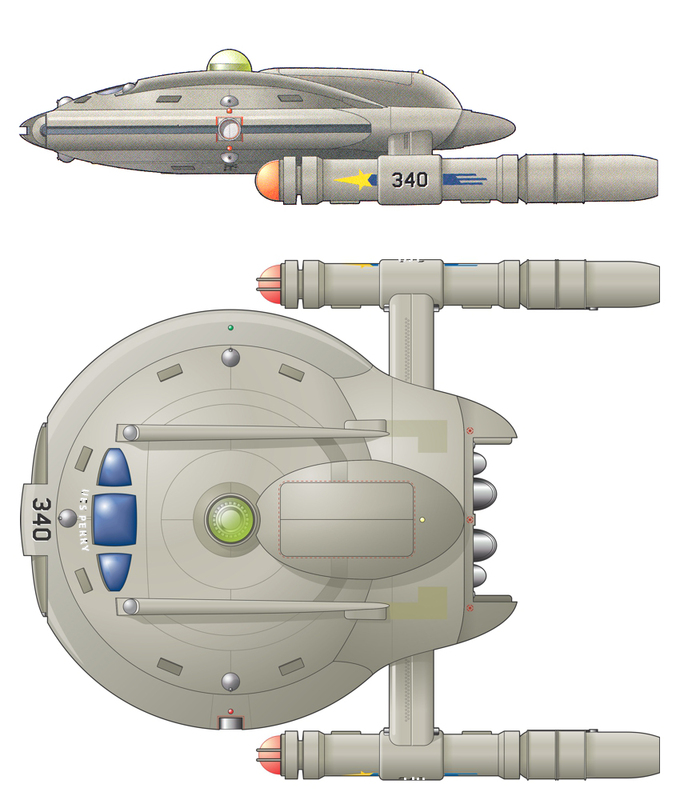 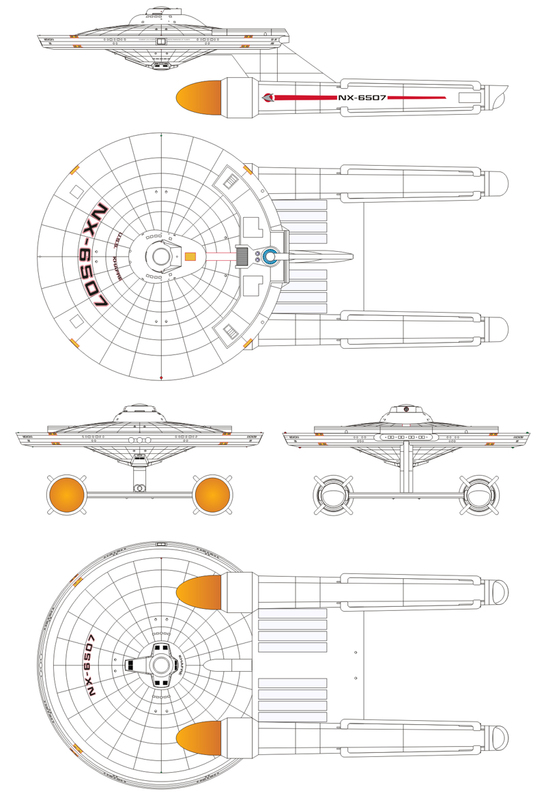 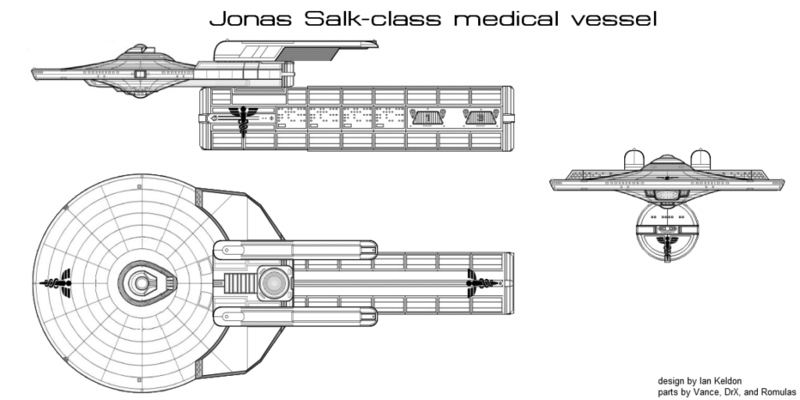 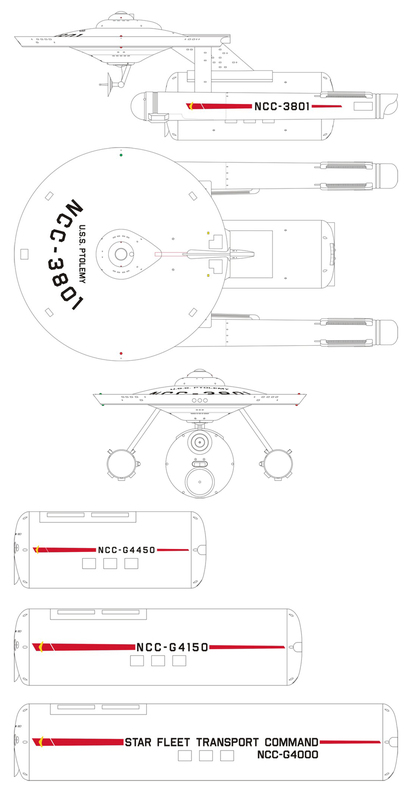 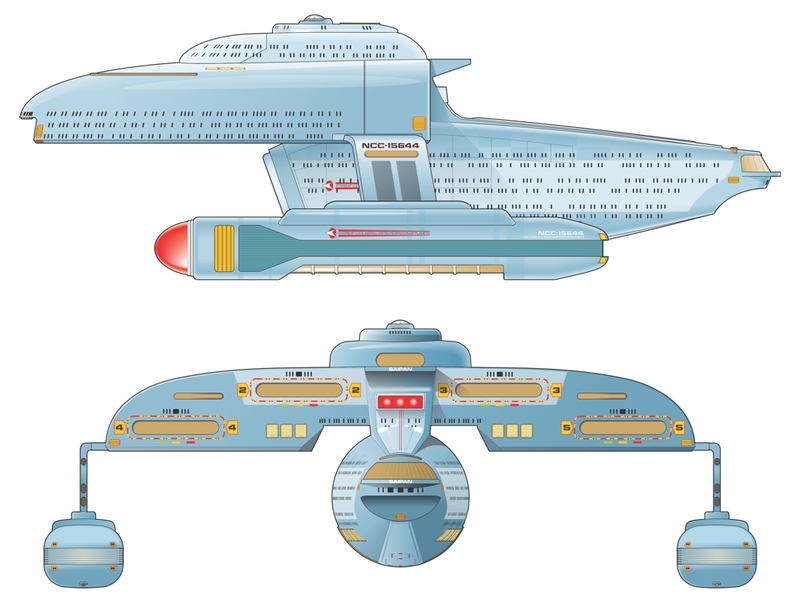 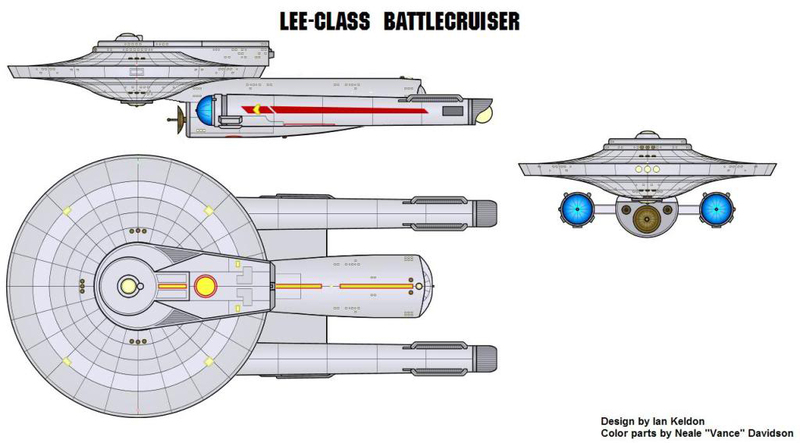 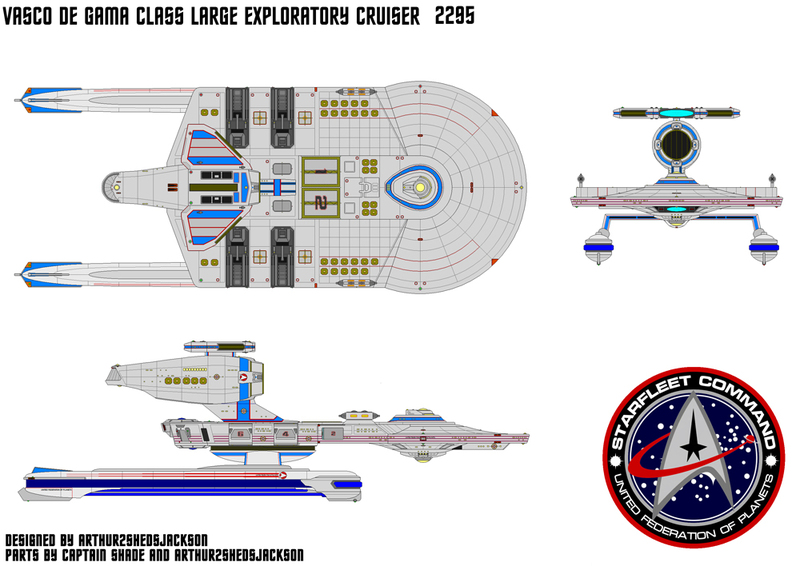 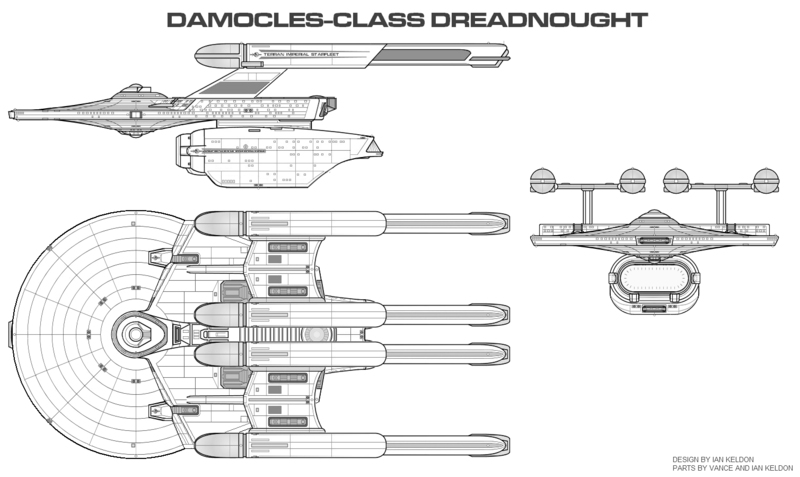 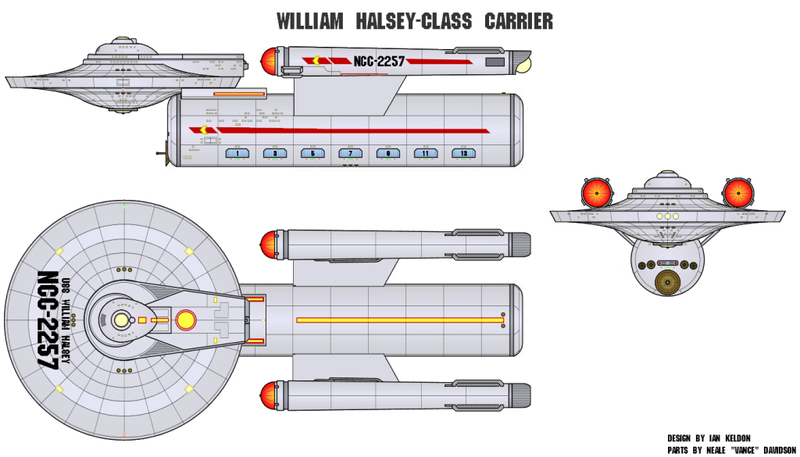 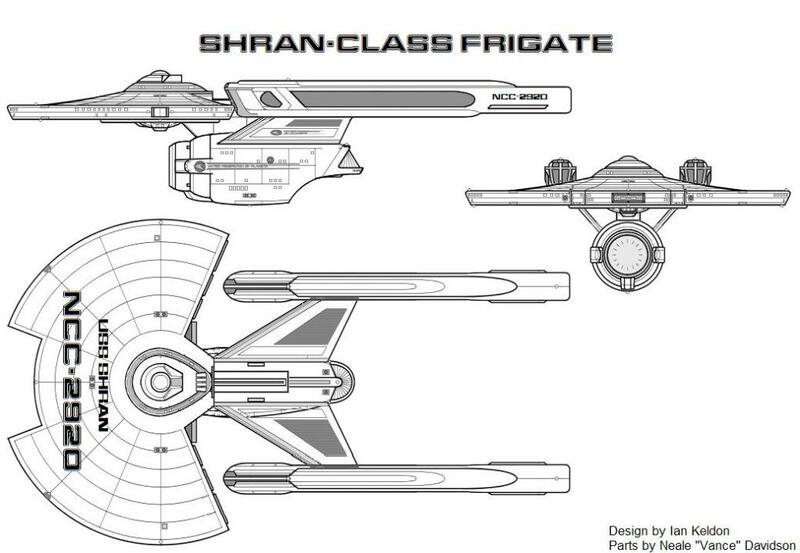 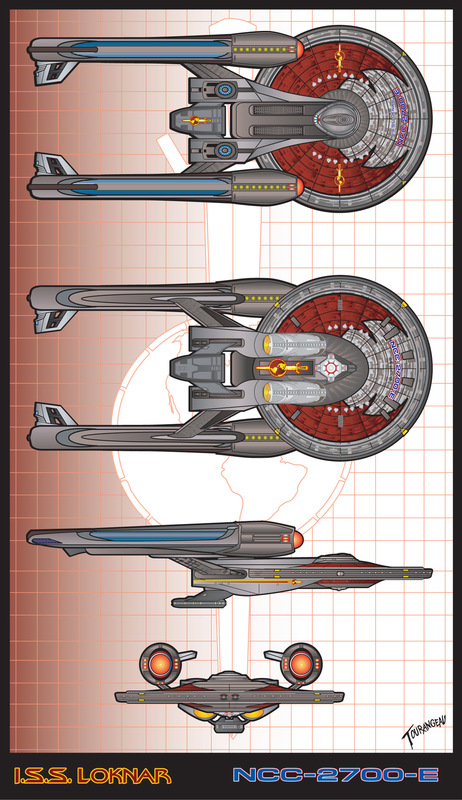 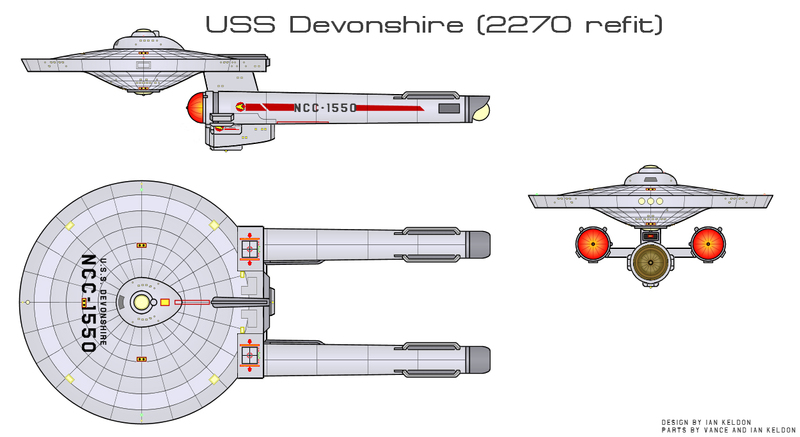 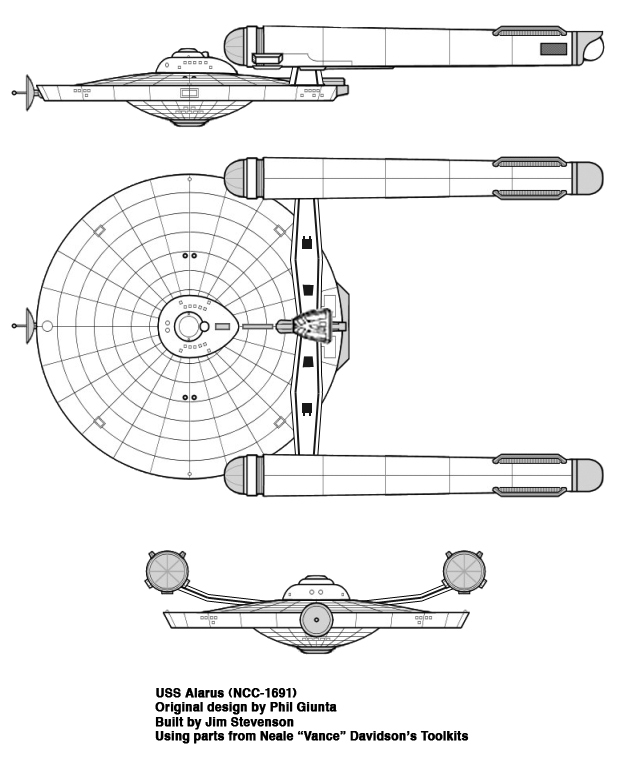 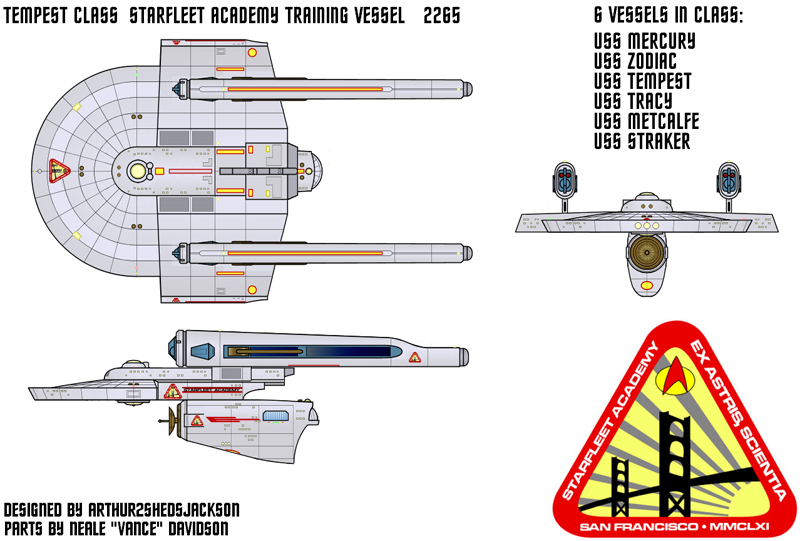 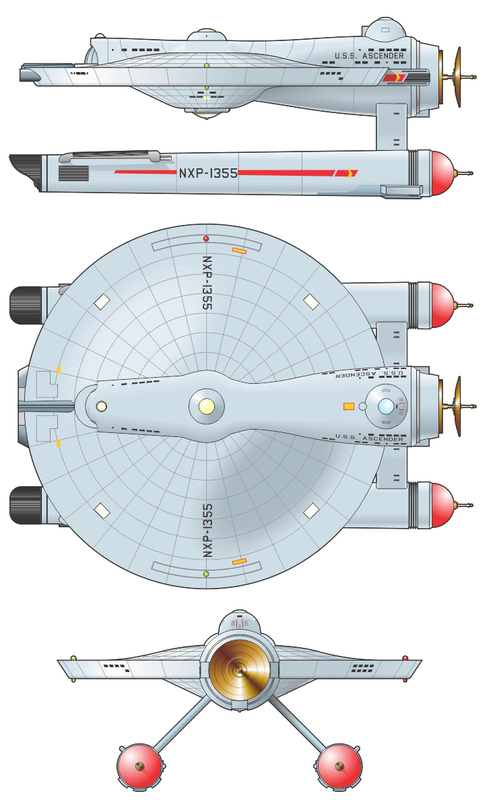 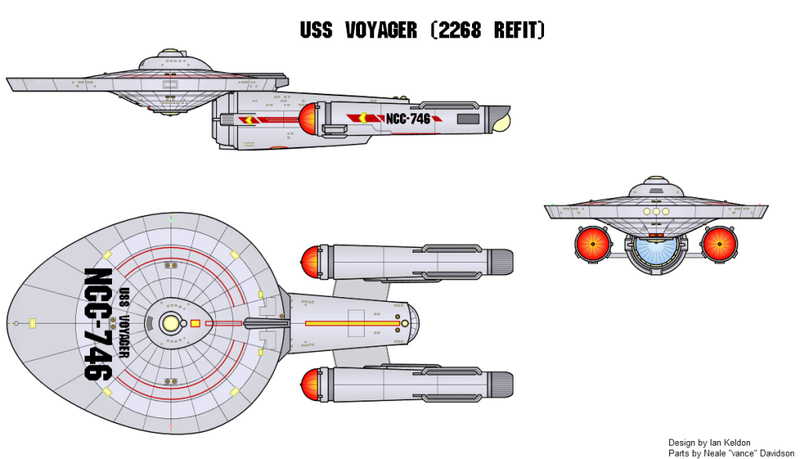 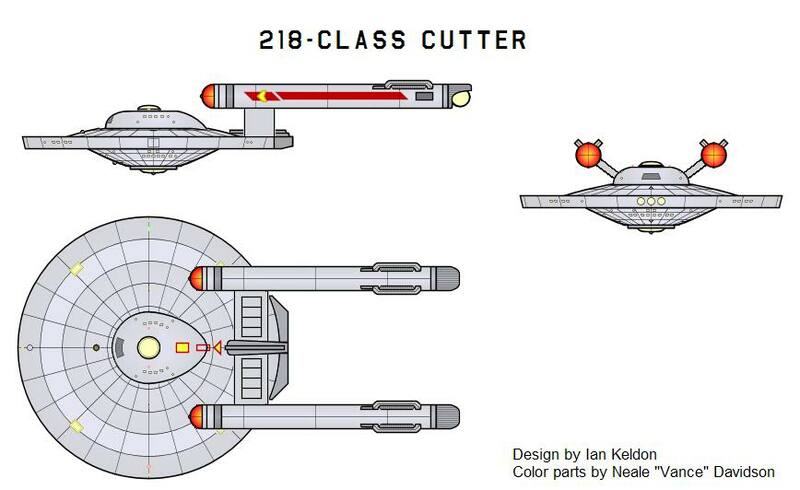 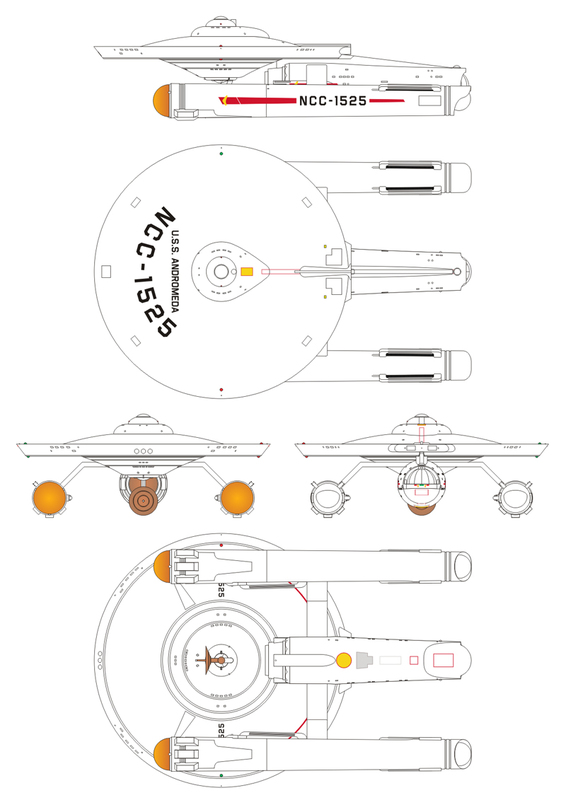 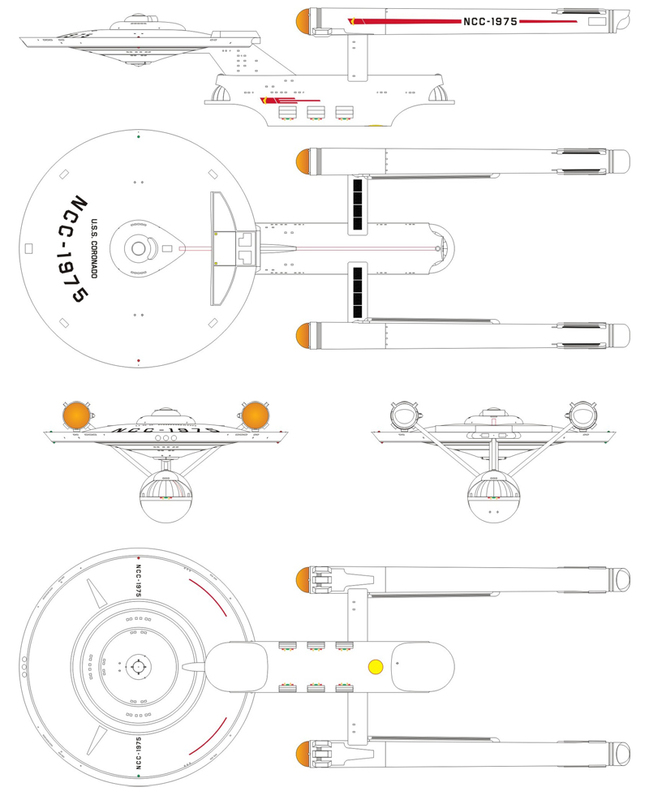 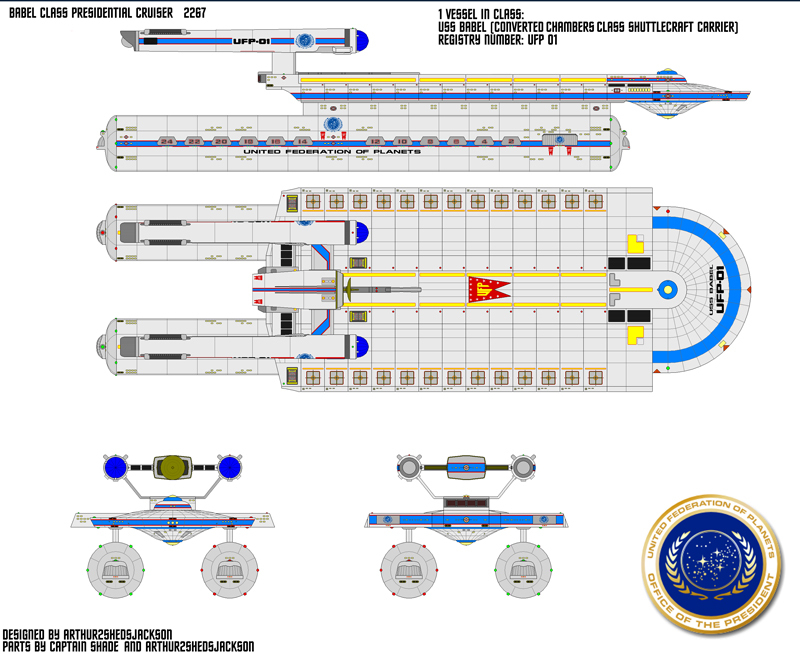 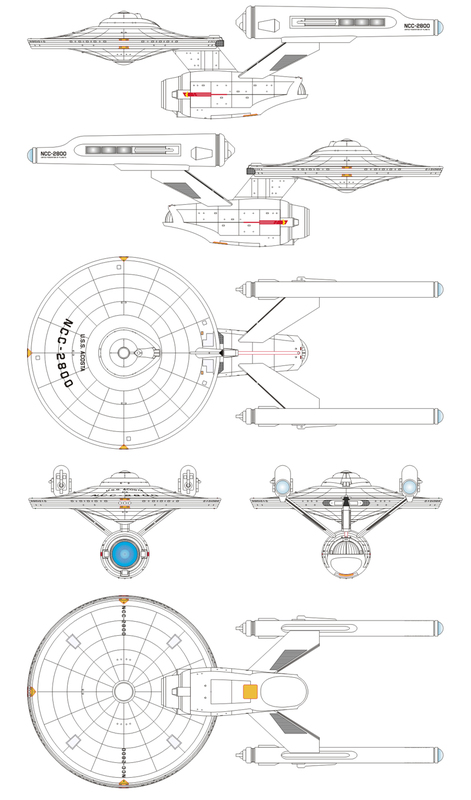 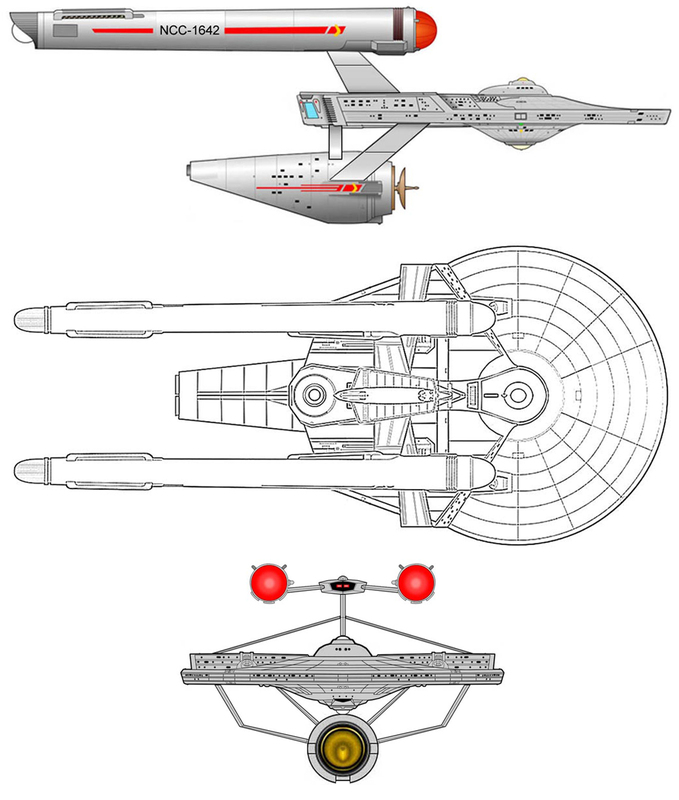 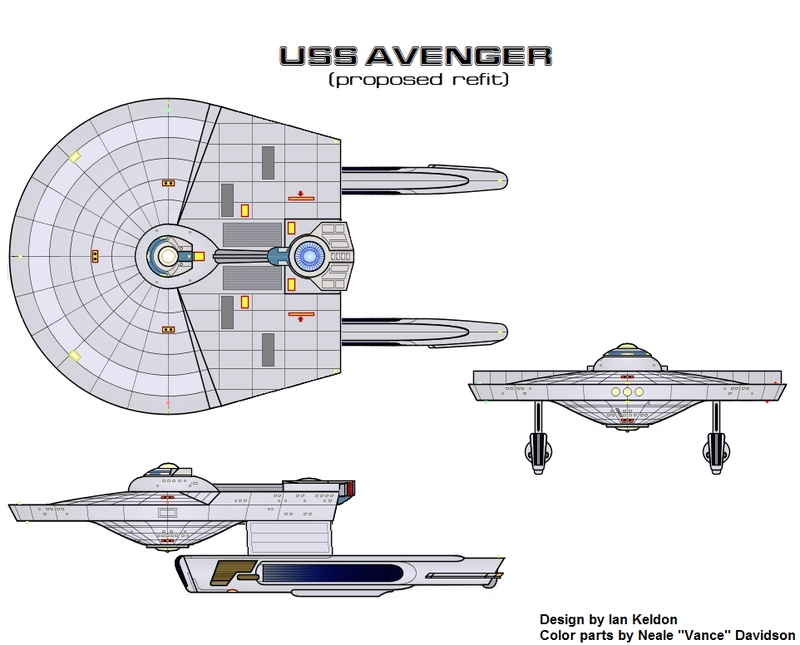 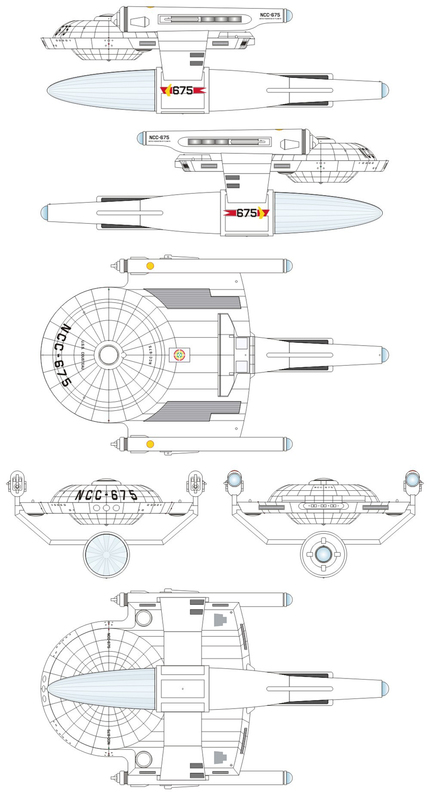 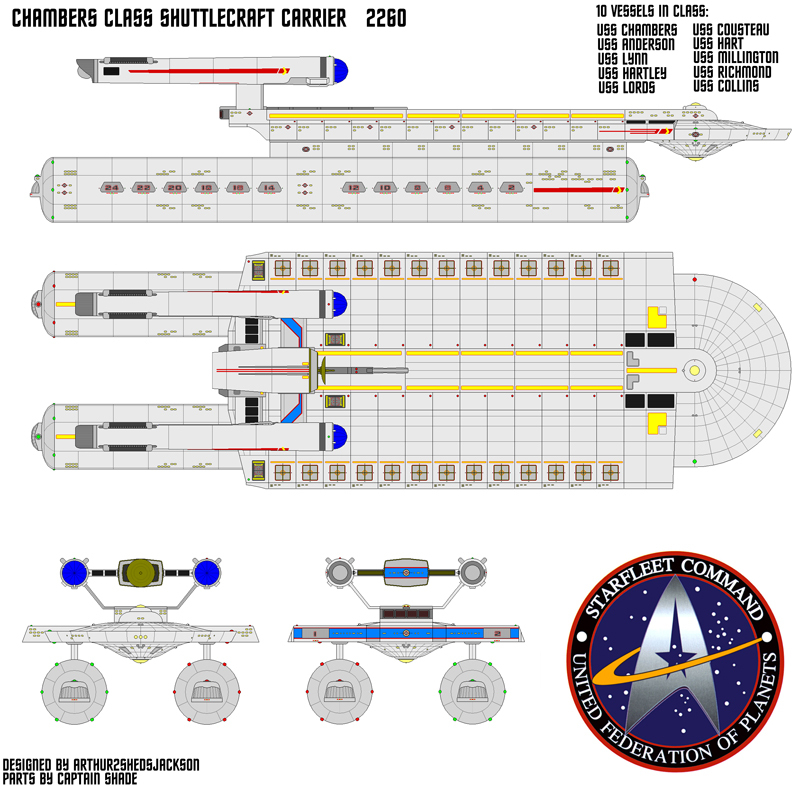 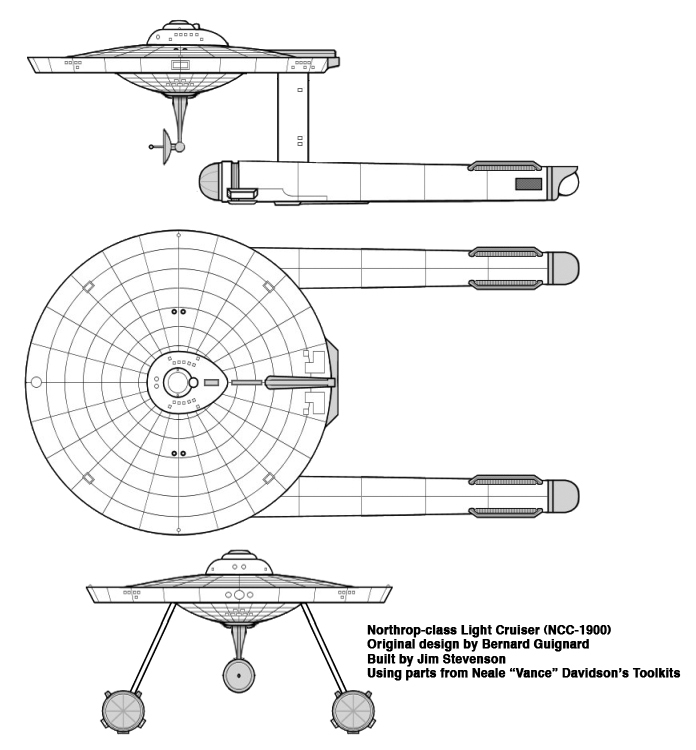 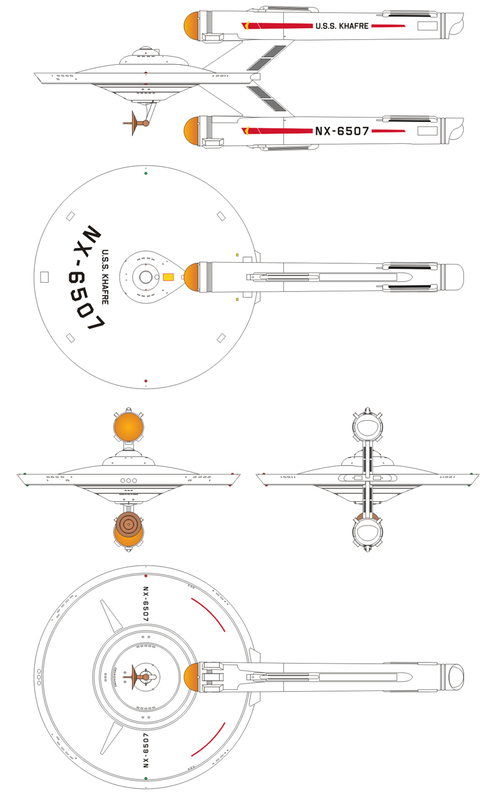 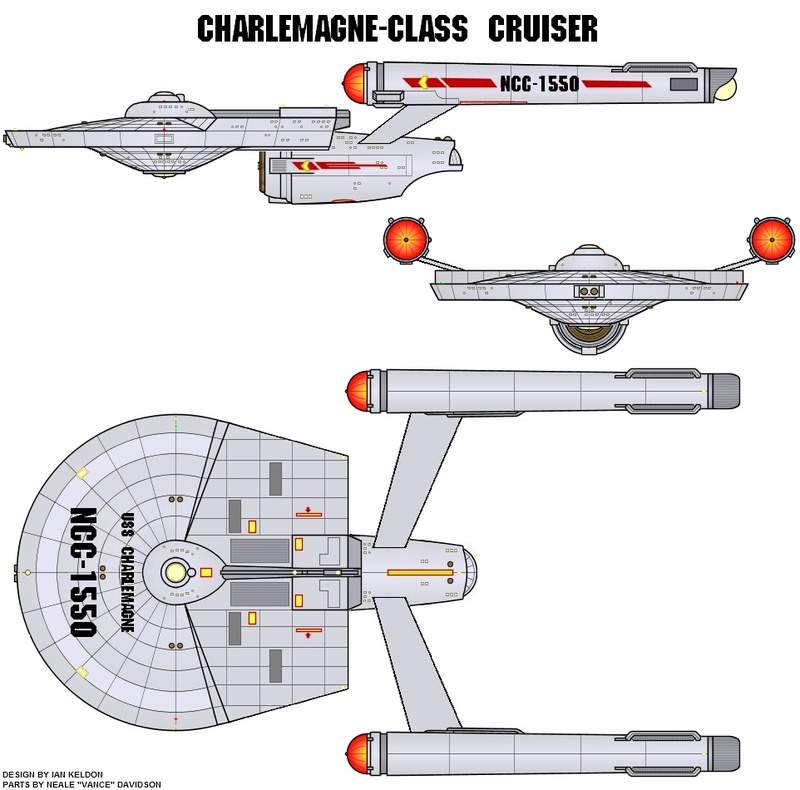 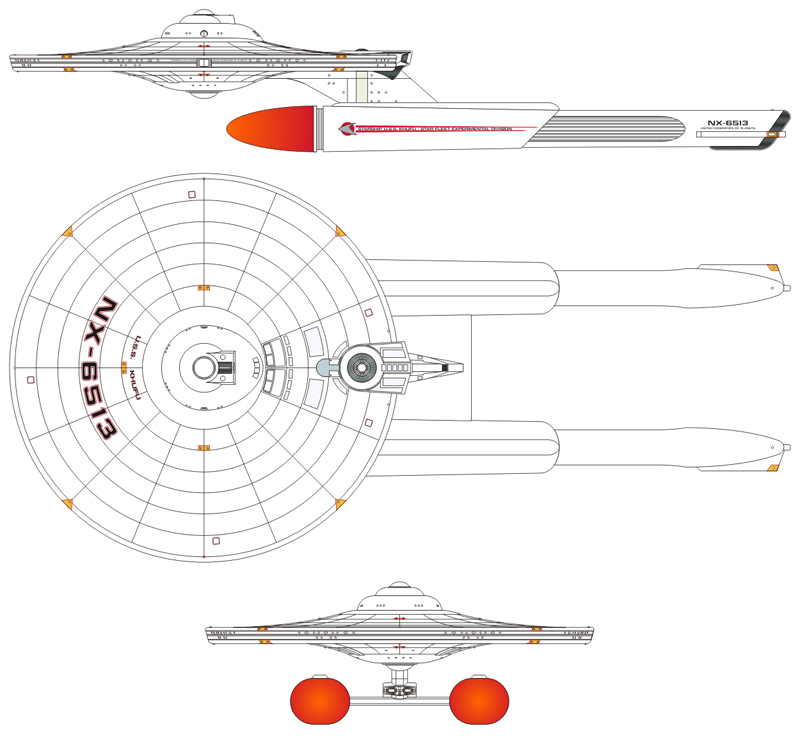 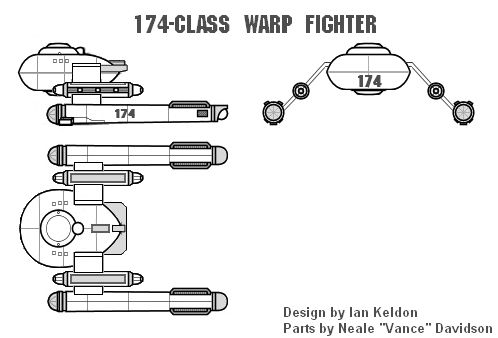 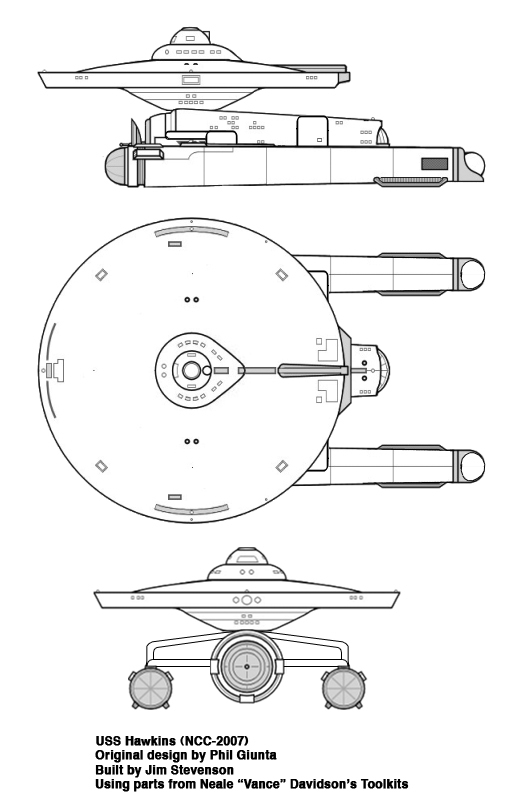 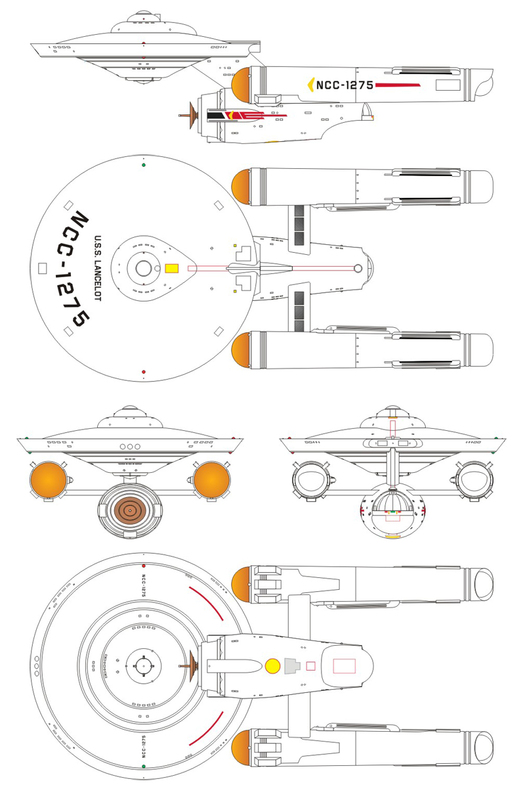 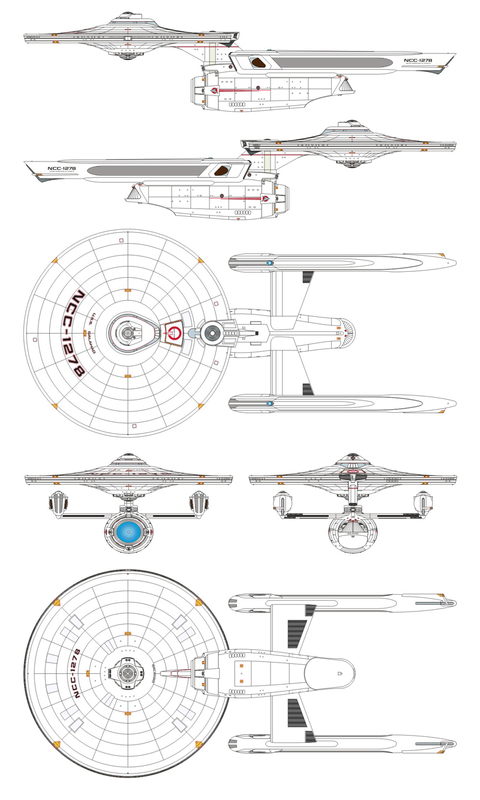 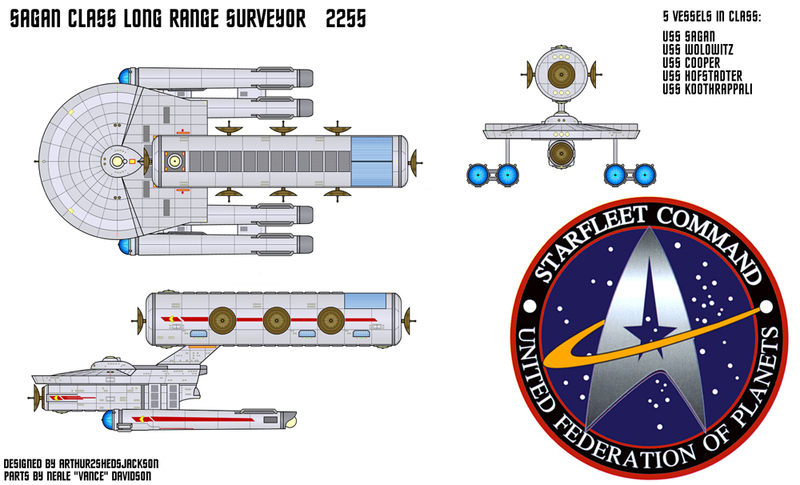 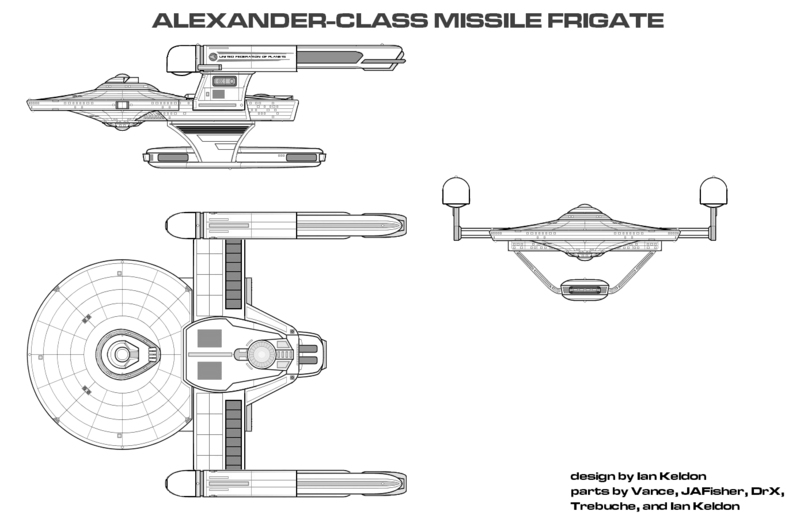 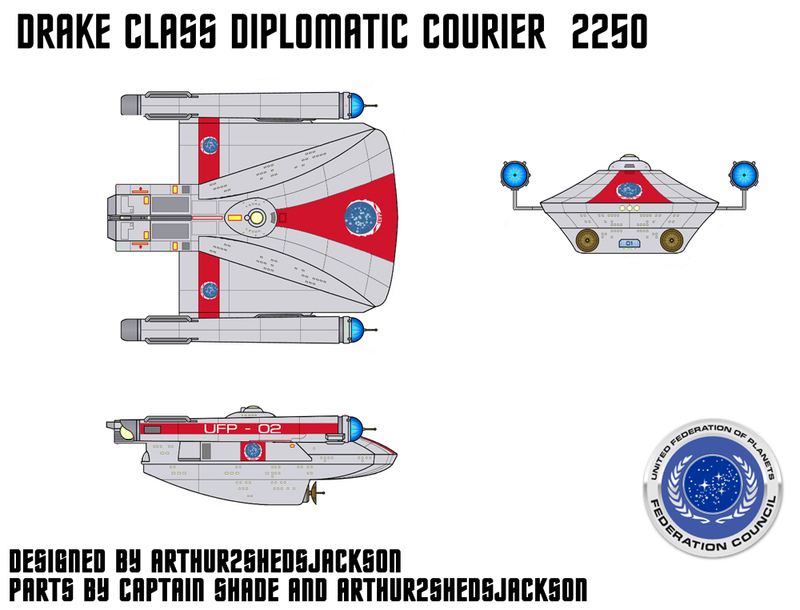 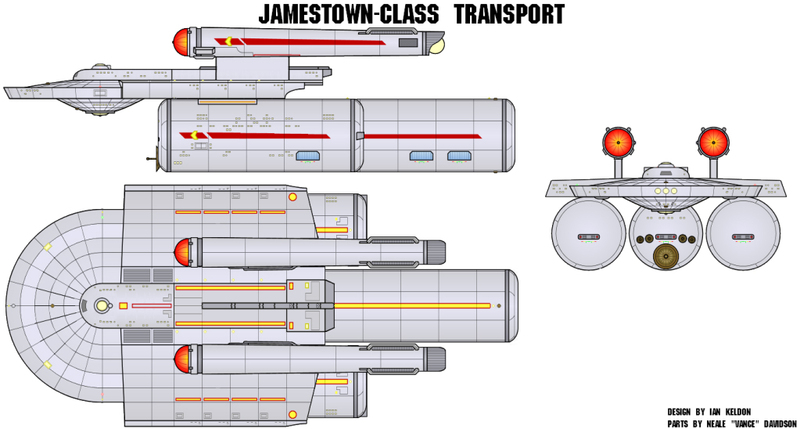 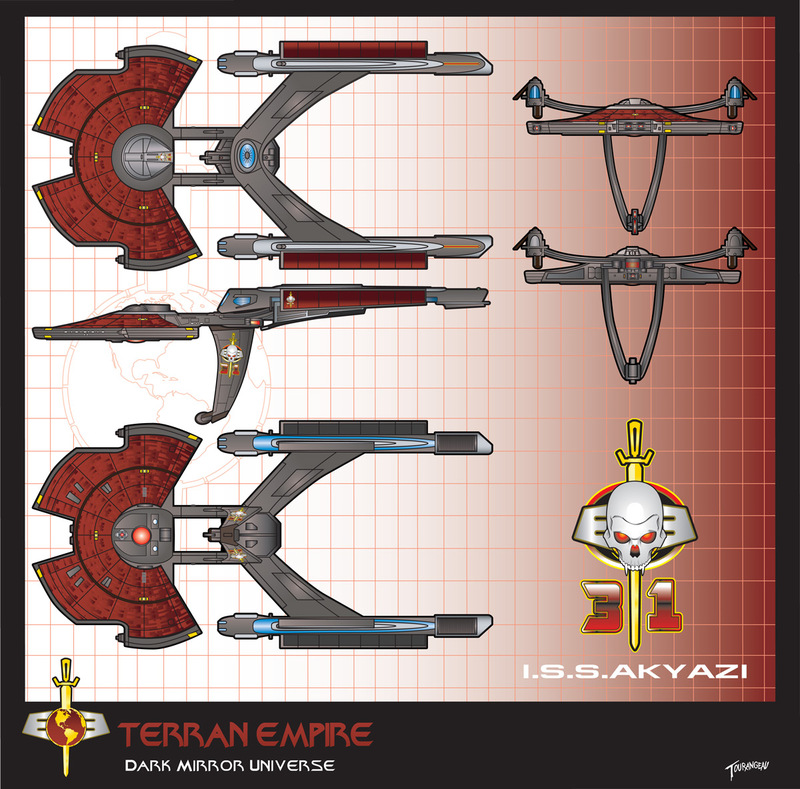 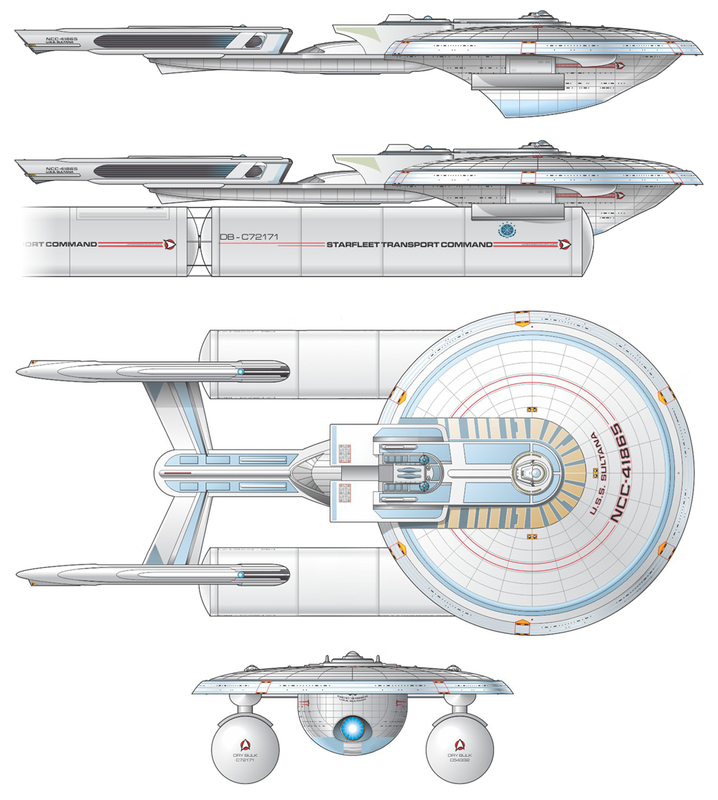 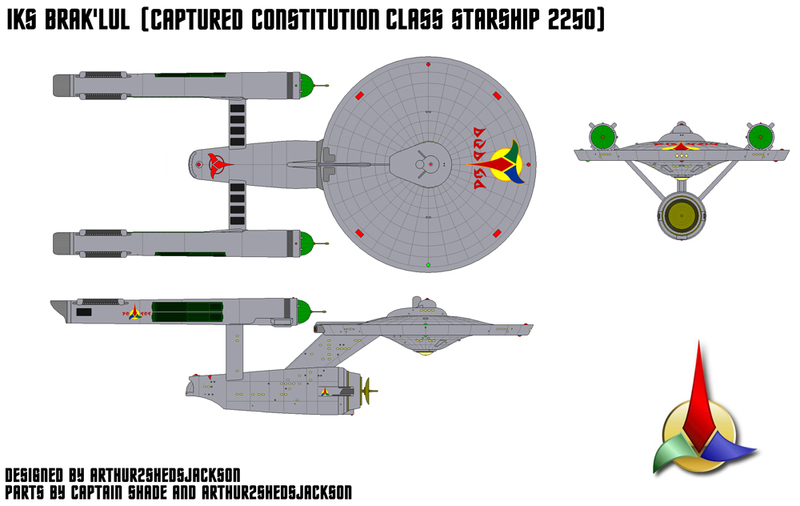 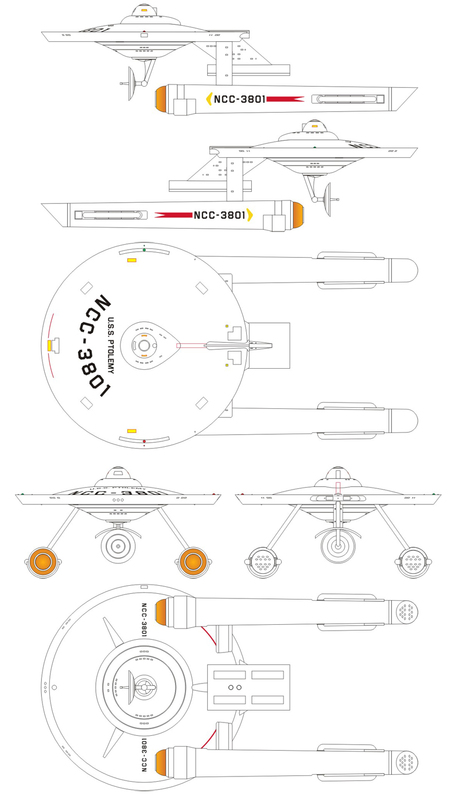 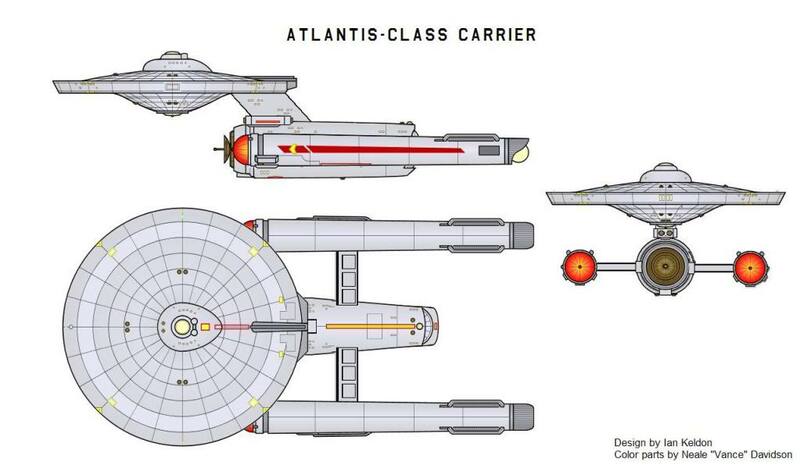 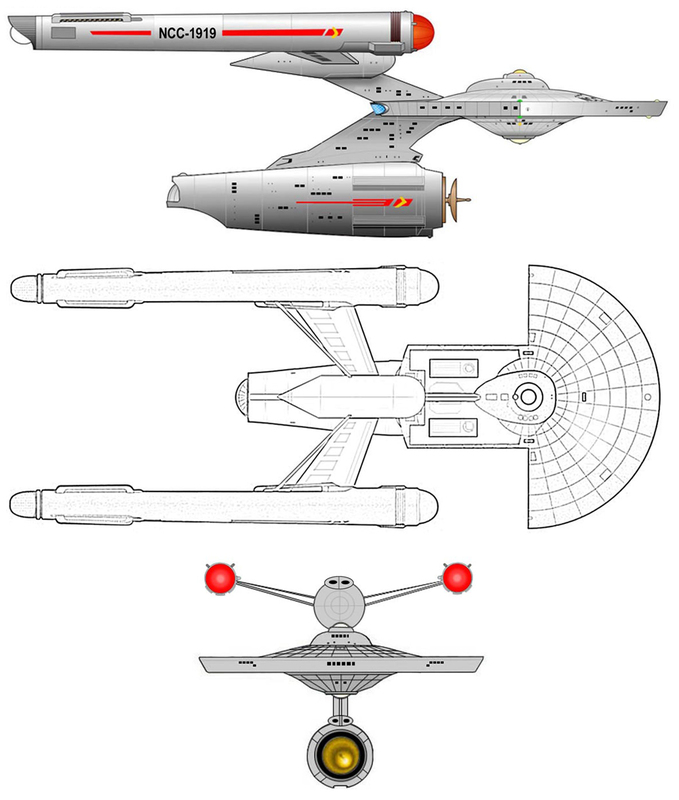 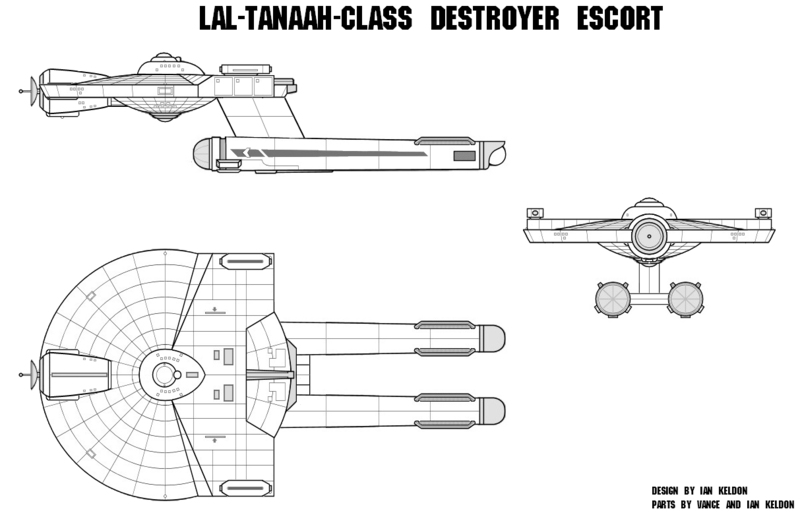 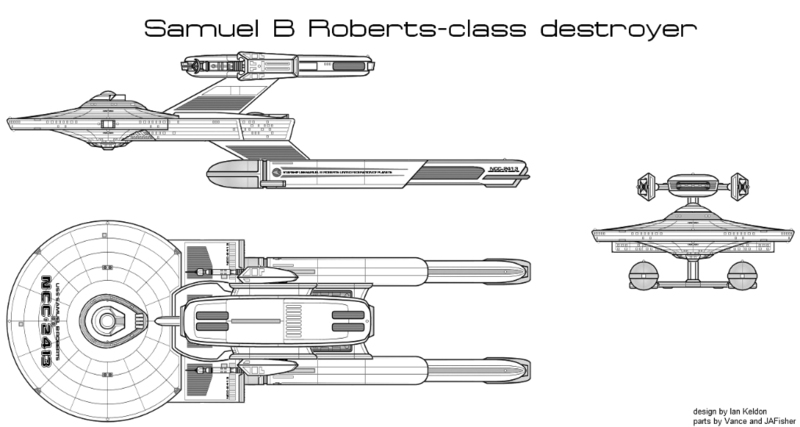 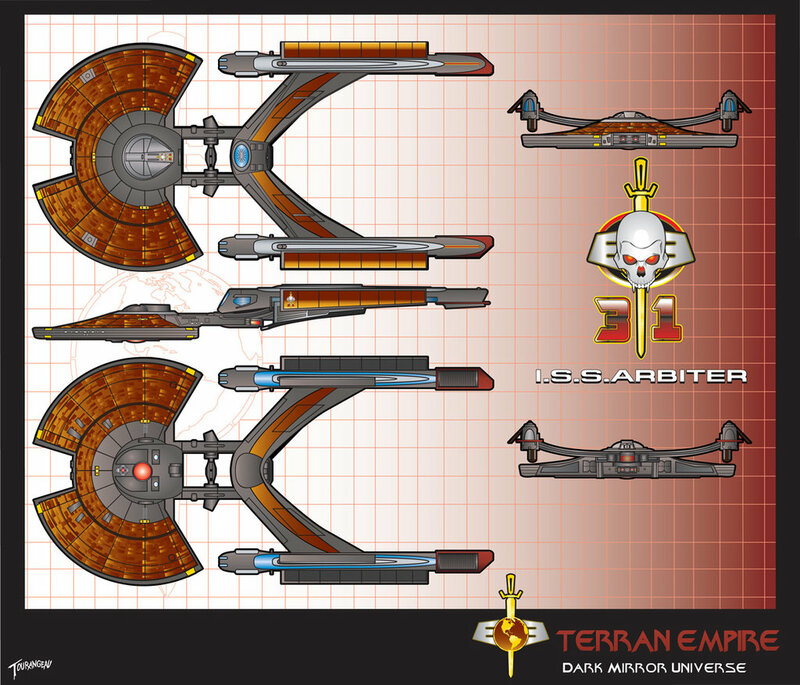 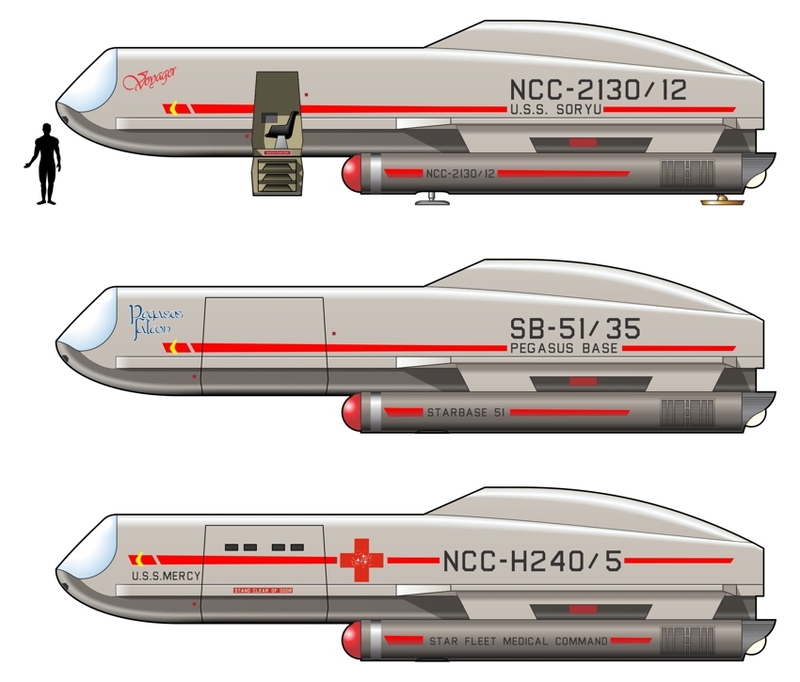 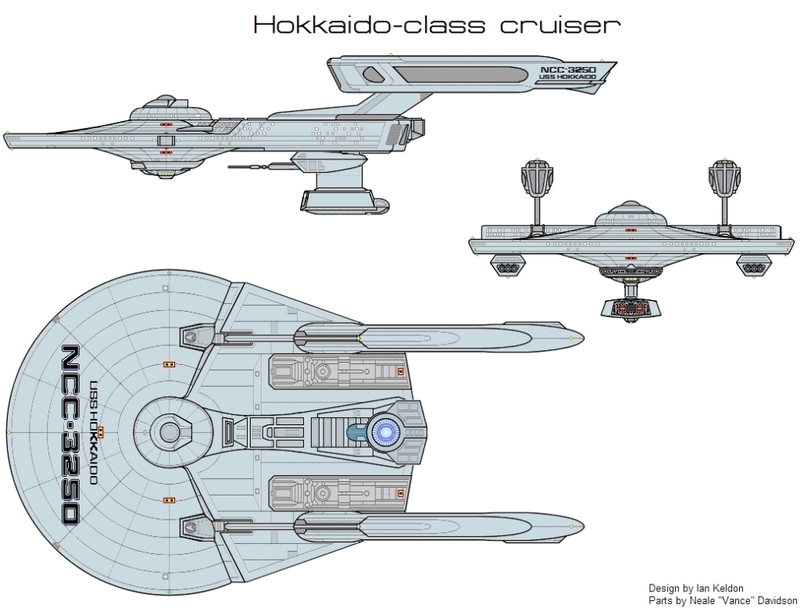 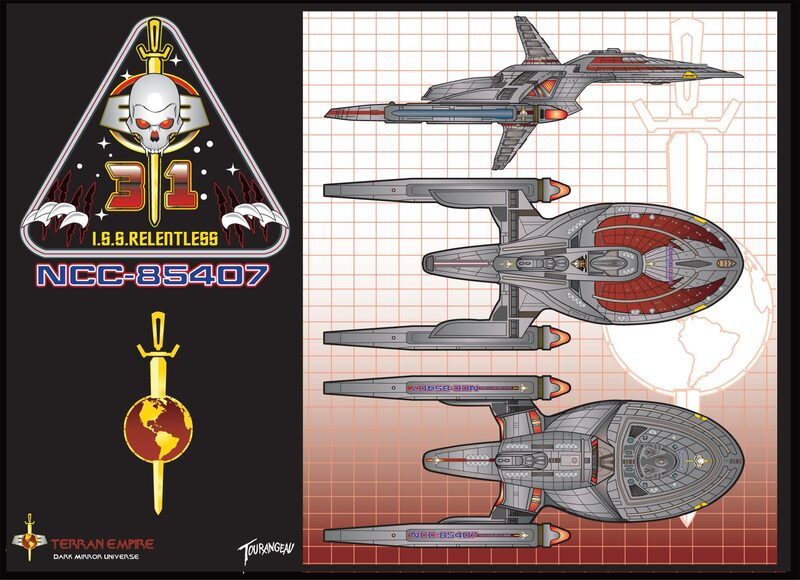 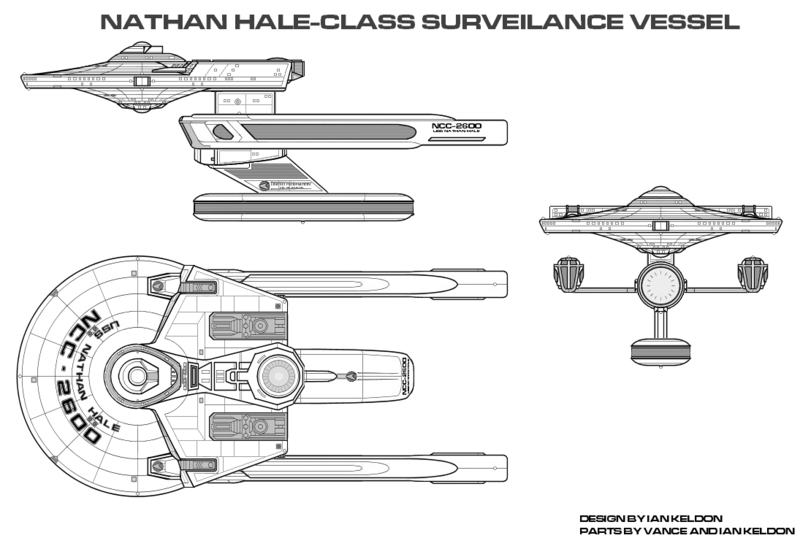 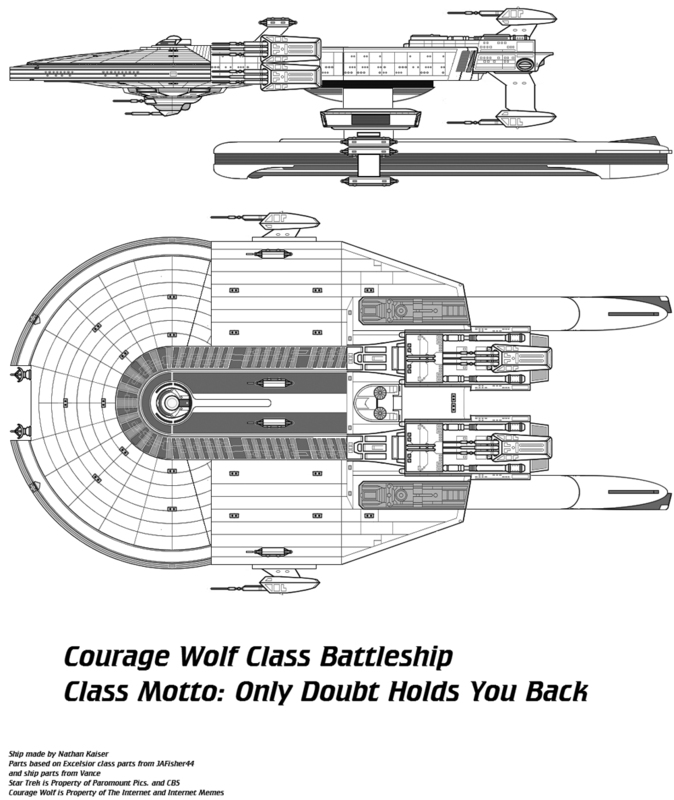 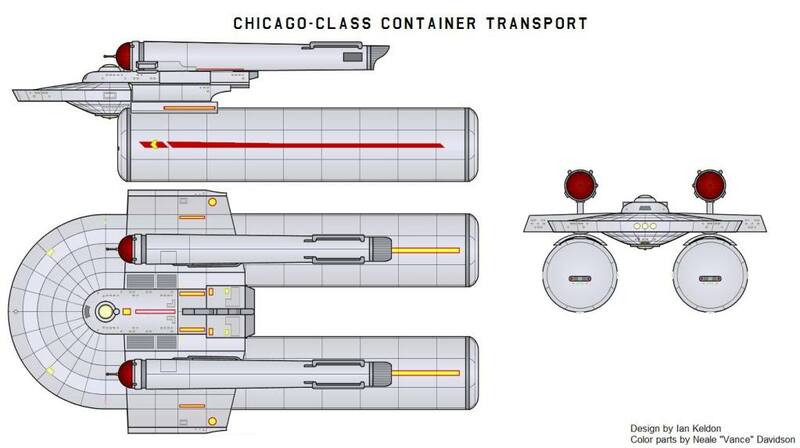 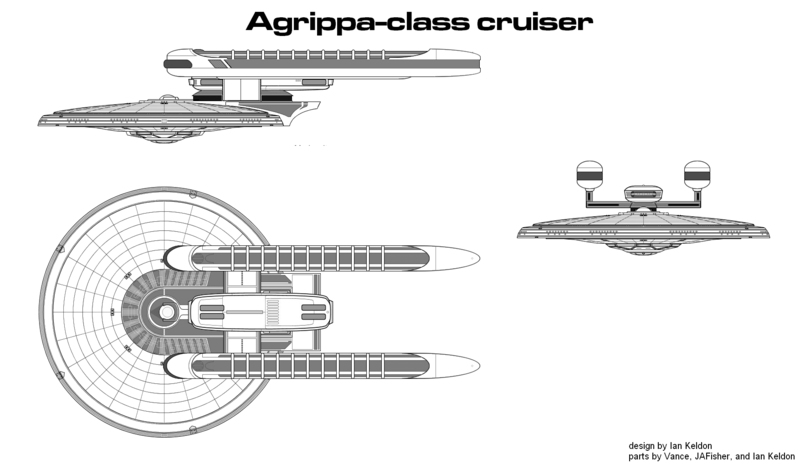 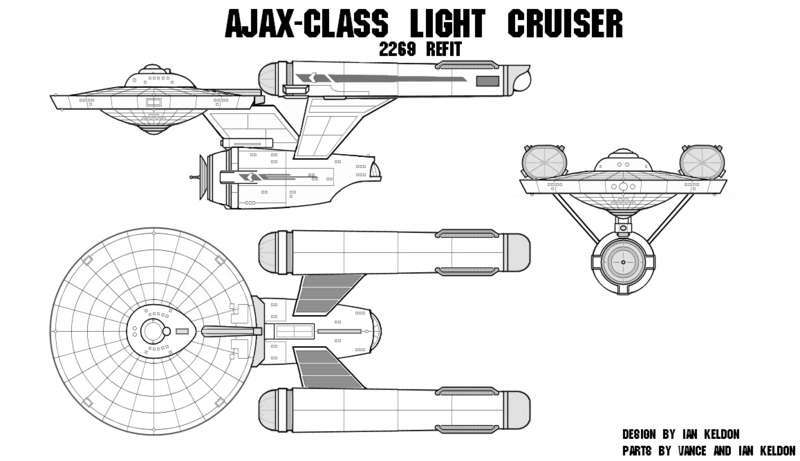 To add to the list of ships named Antares in the Star Trek universe (probably one of the most commonly used names in the franchise), we have another one, this one built by Adam Buckner. 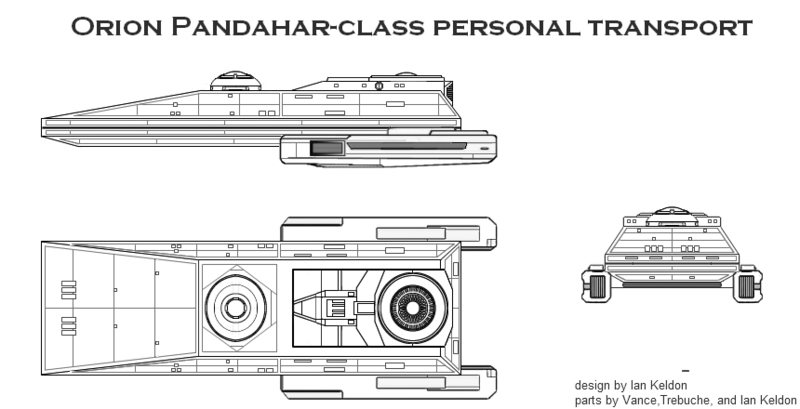 He took an AMT/ERTL USS Reliant kit, and added a couple of pieces from USS Excelsior warp engines (presumably torpedo launchers) and tacked an Excelsior display stand on top to serve as a delta-shaped "AWAX"-style module. 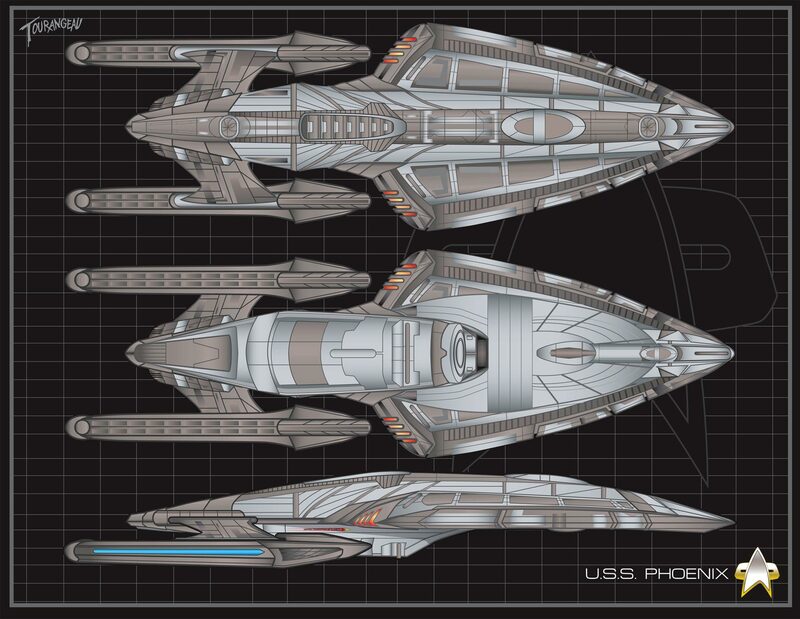 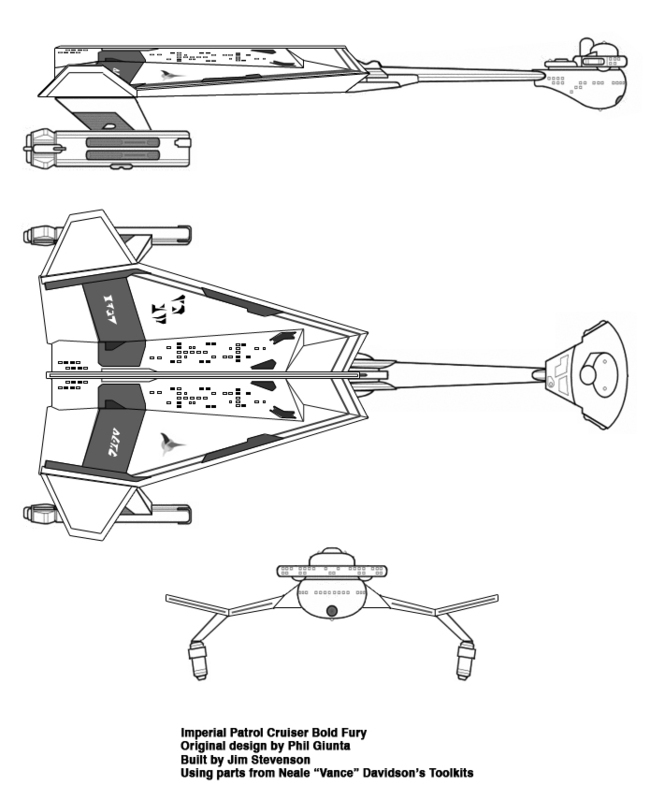 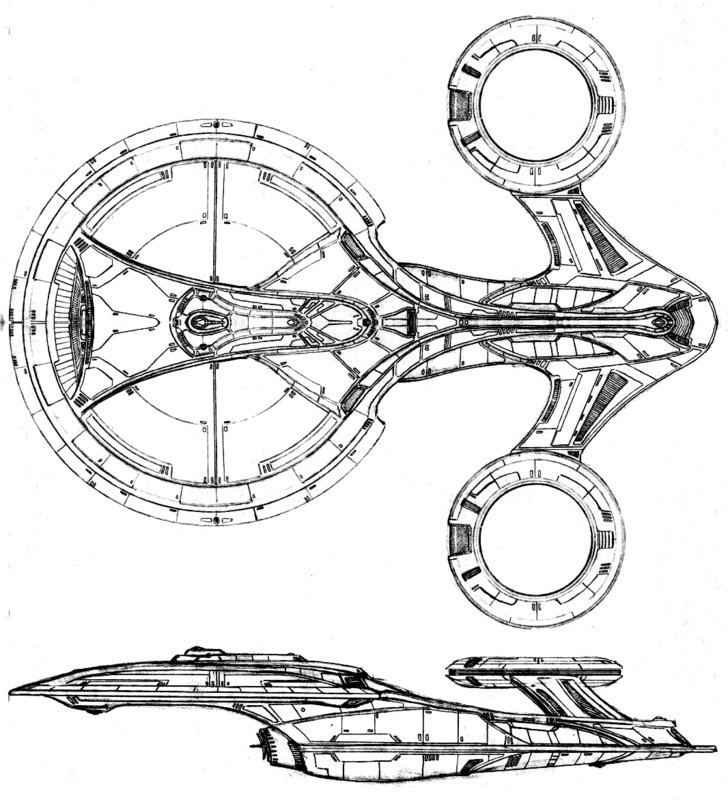 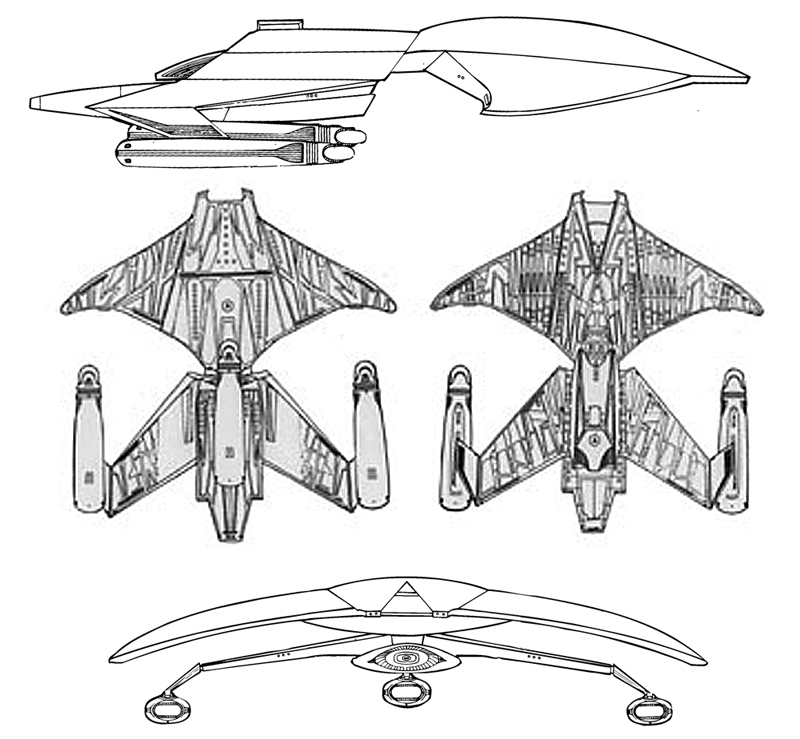 While a really interesting design, unfortunately very little of it was seen in the Star Trek: Deep Space Nine episode "Favor the Bold". 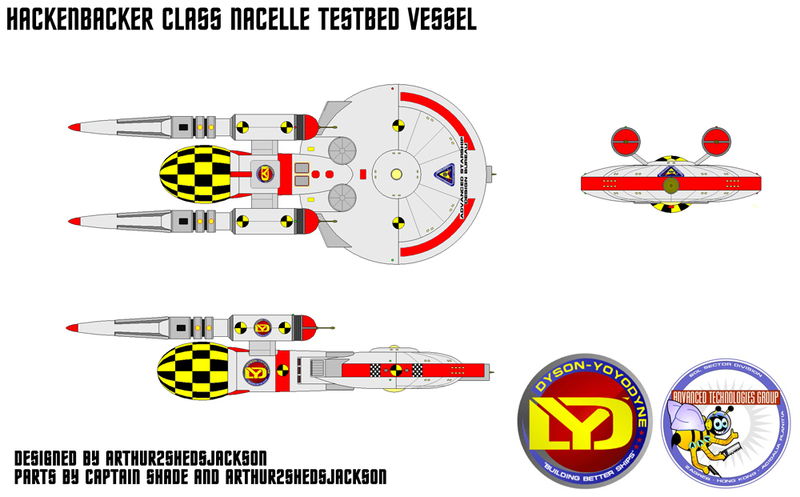 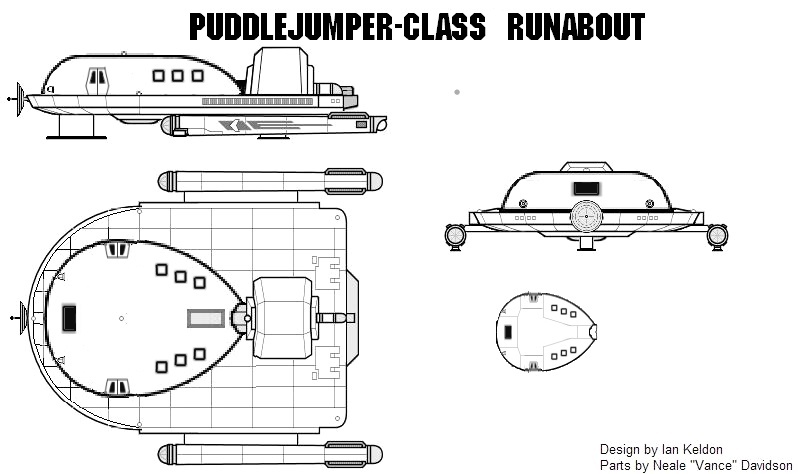 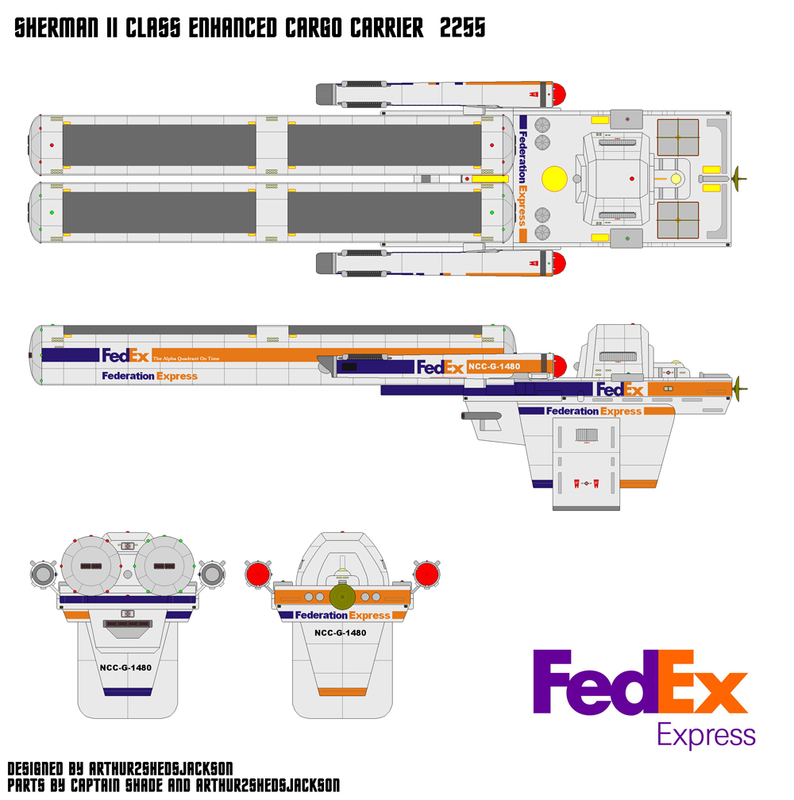 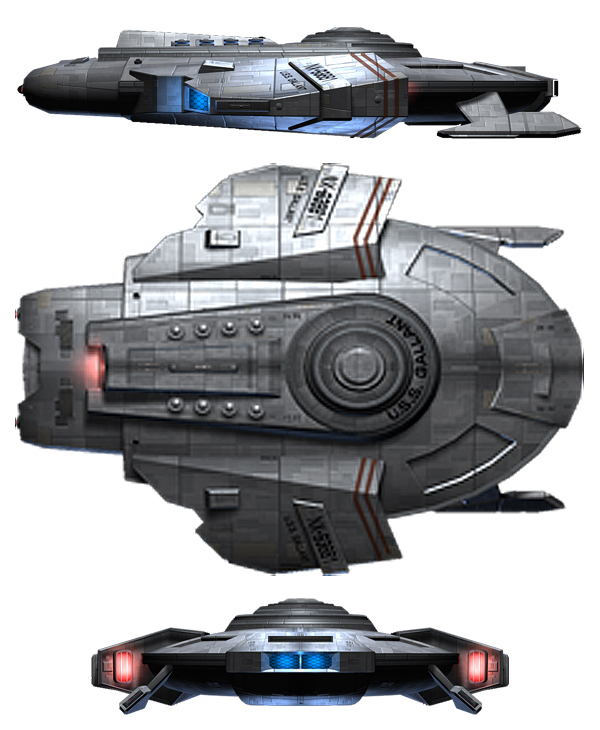 And finally we have the Badford, a Federation cargo transport tug with dual containers, built by Dan Curry, that made an appearance as a distant background ship in the Star Trek: Deep Space Nine episode "A Time to Stand".